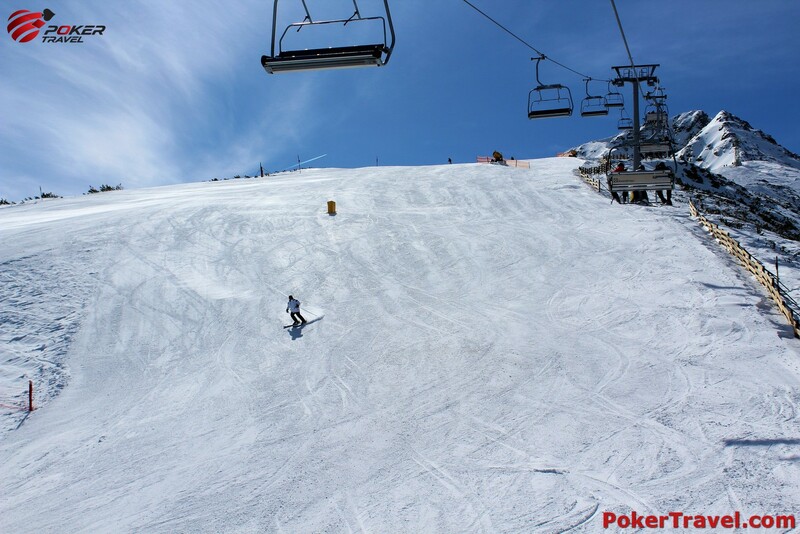 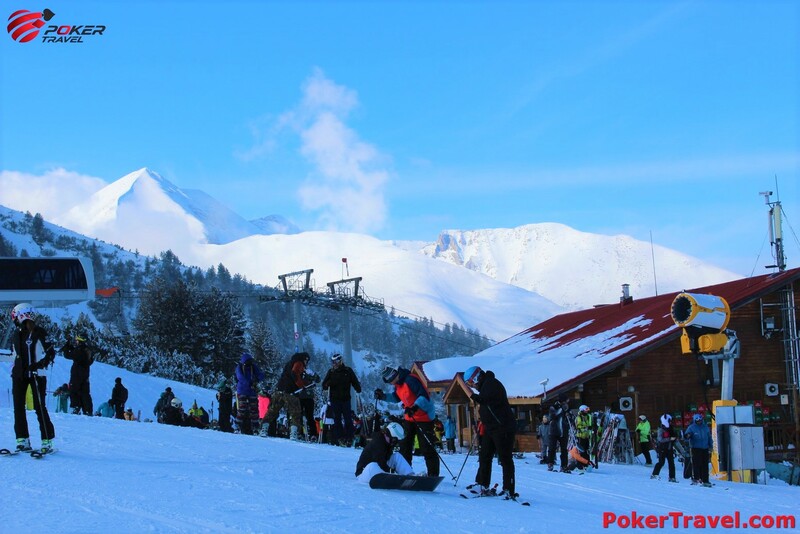 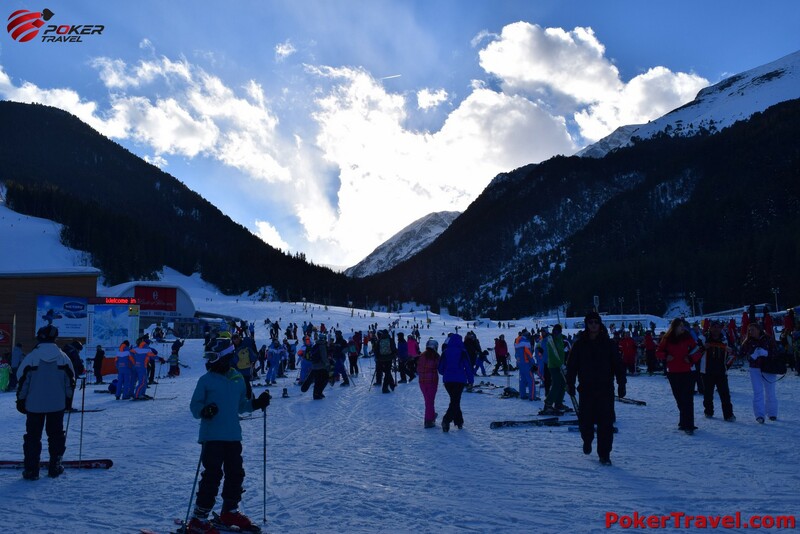 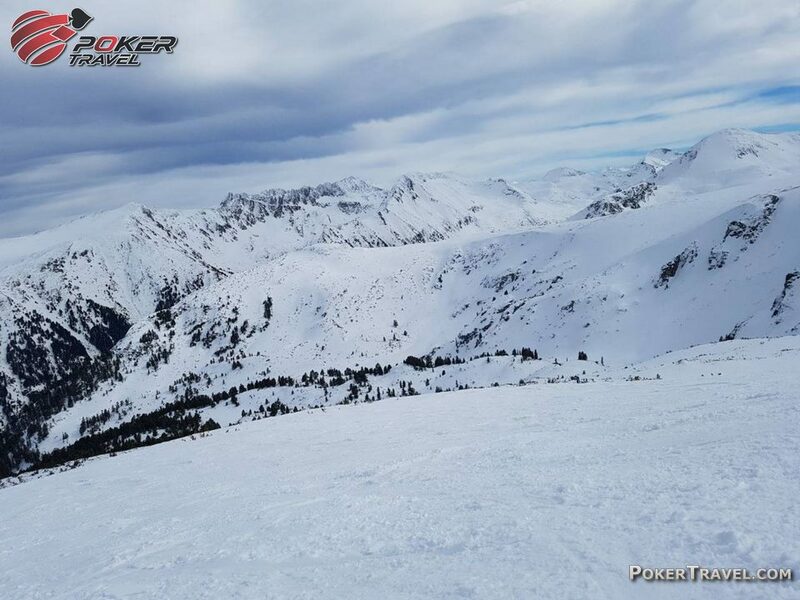 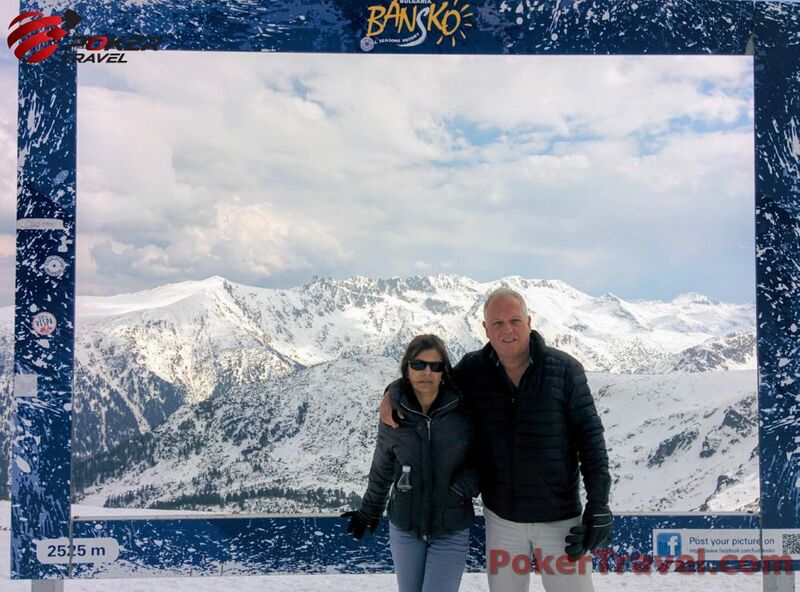 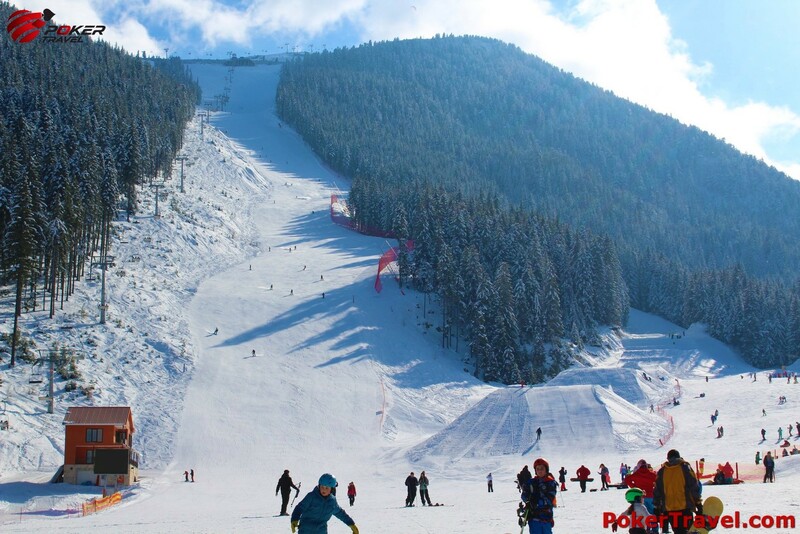 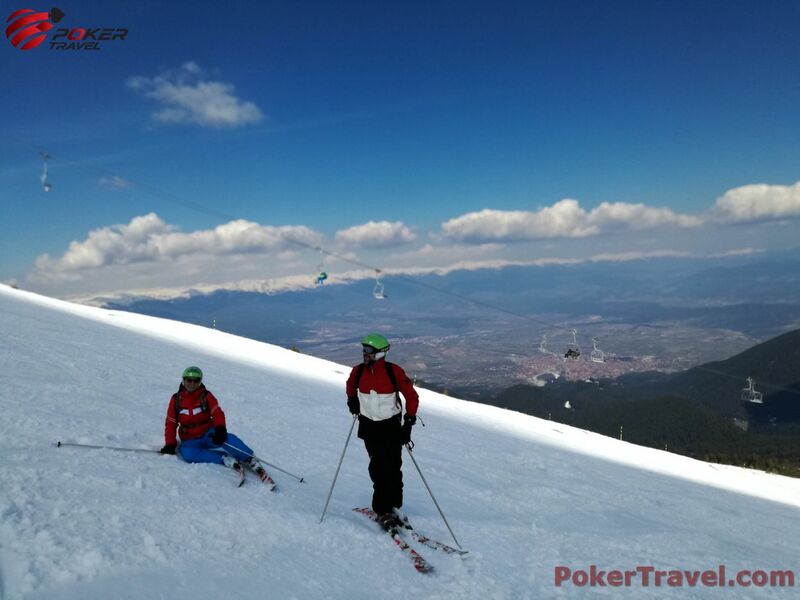 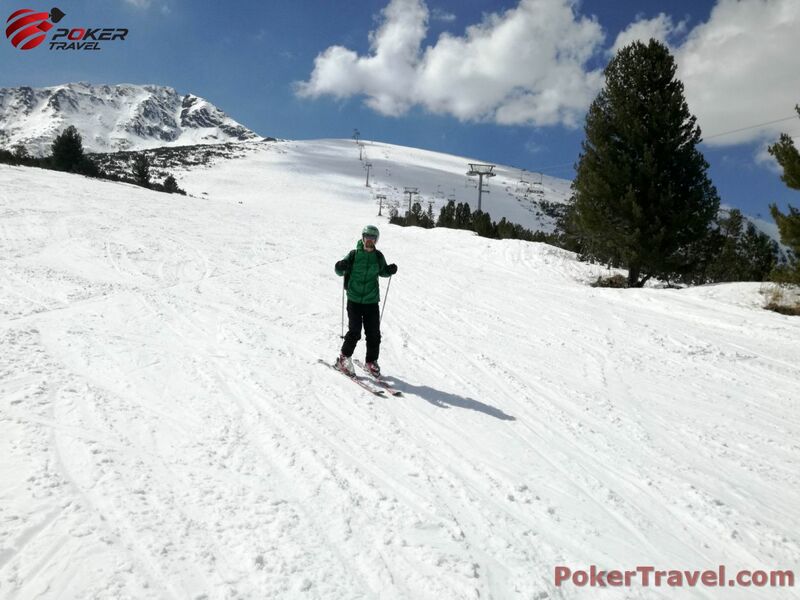 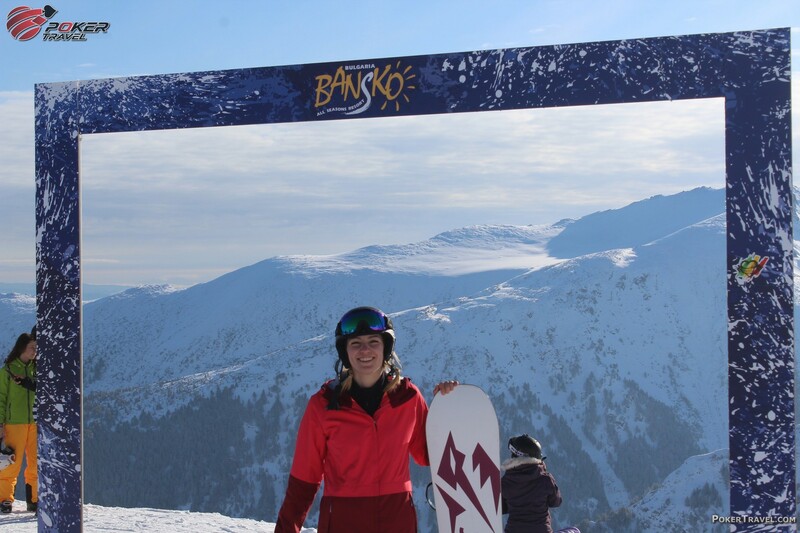 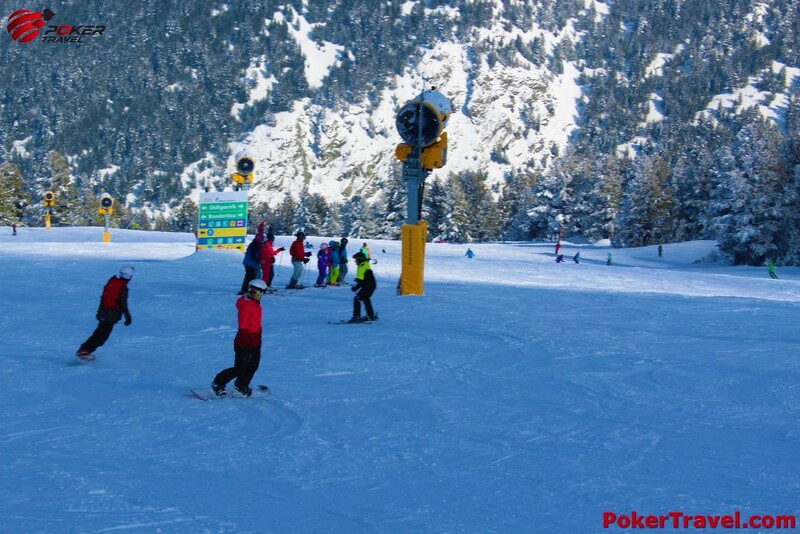 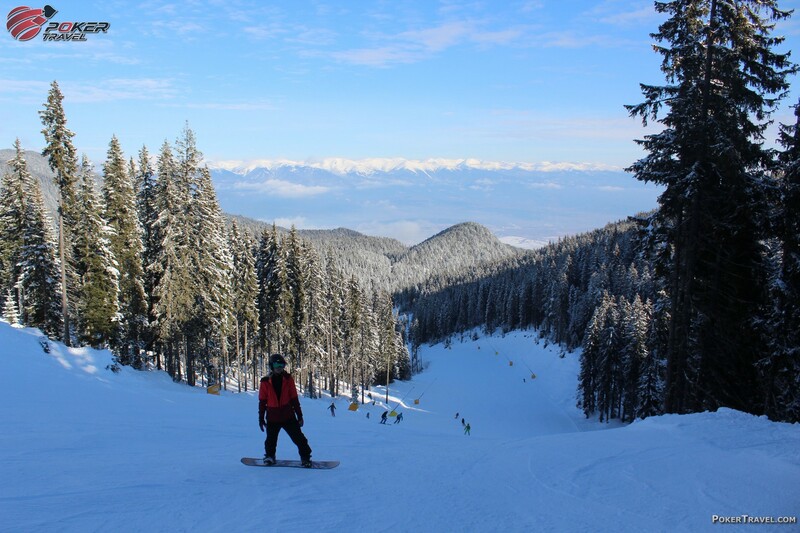 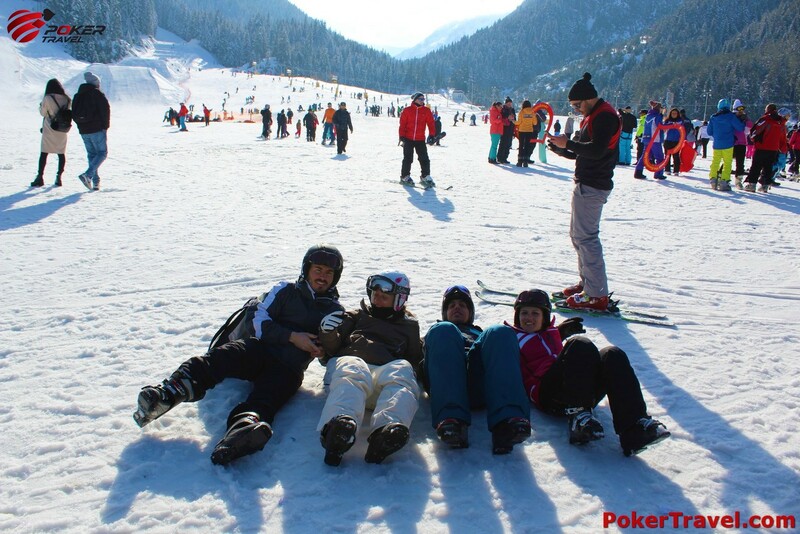 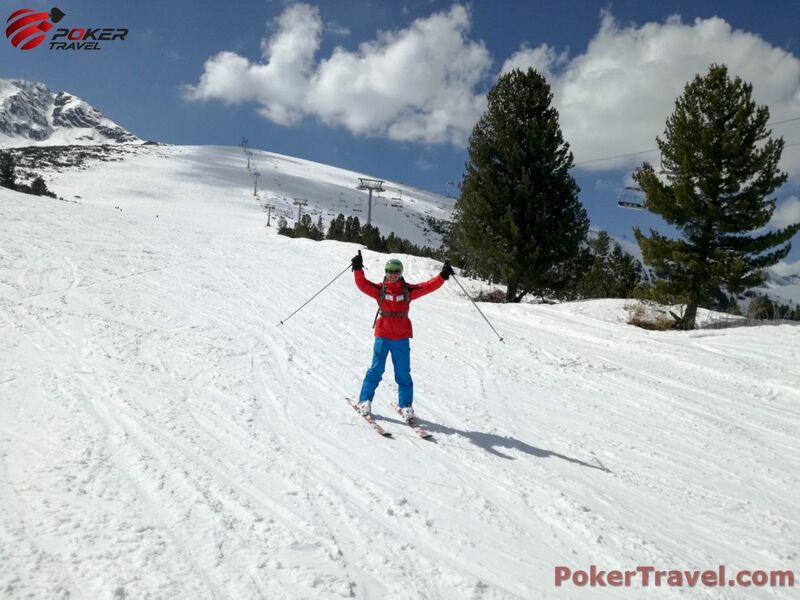 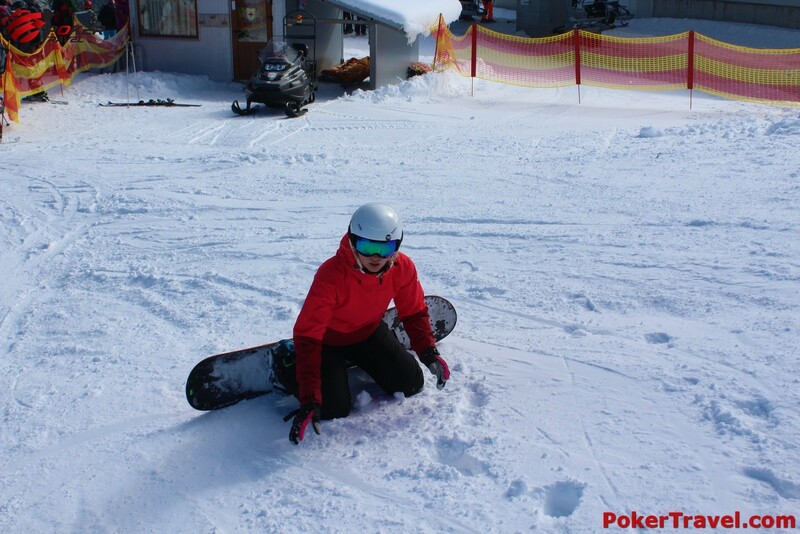 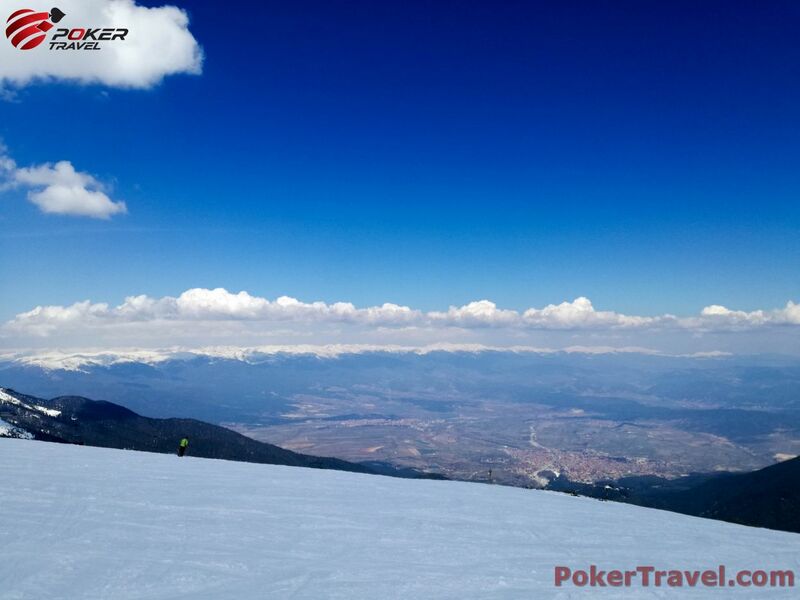 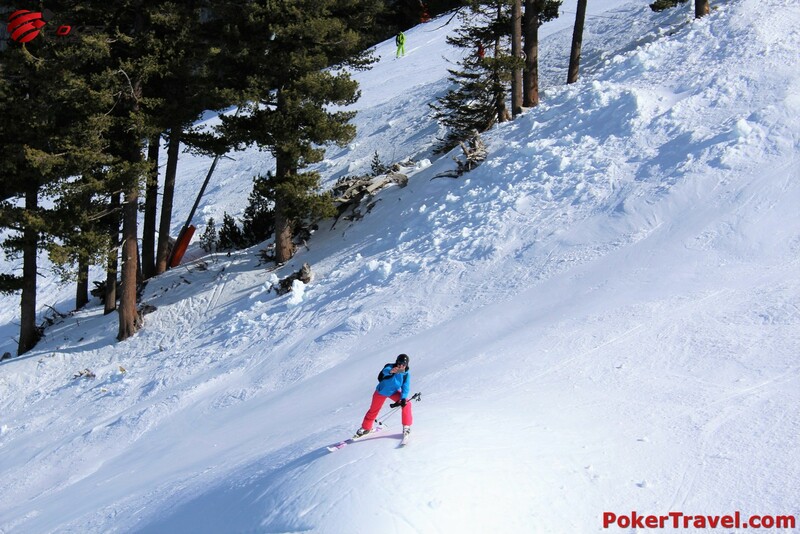 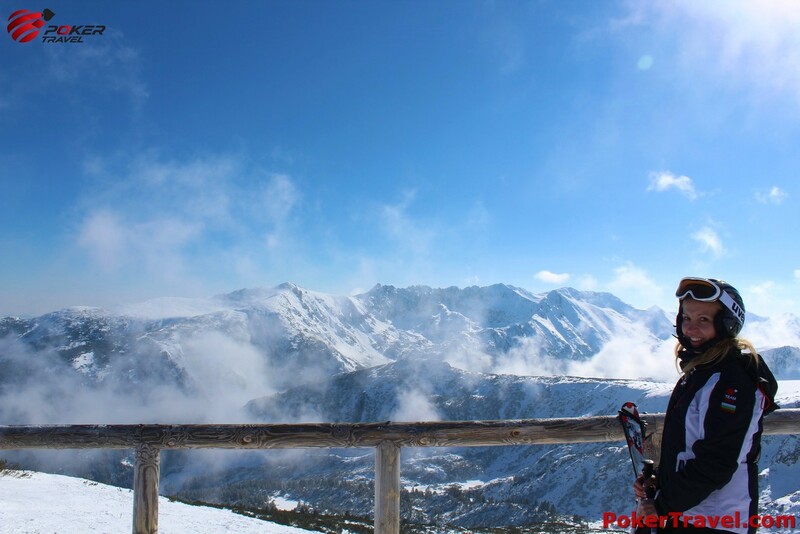 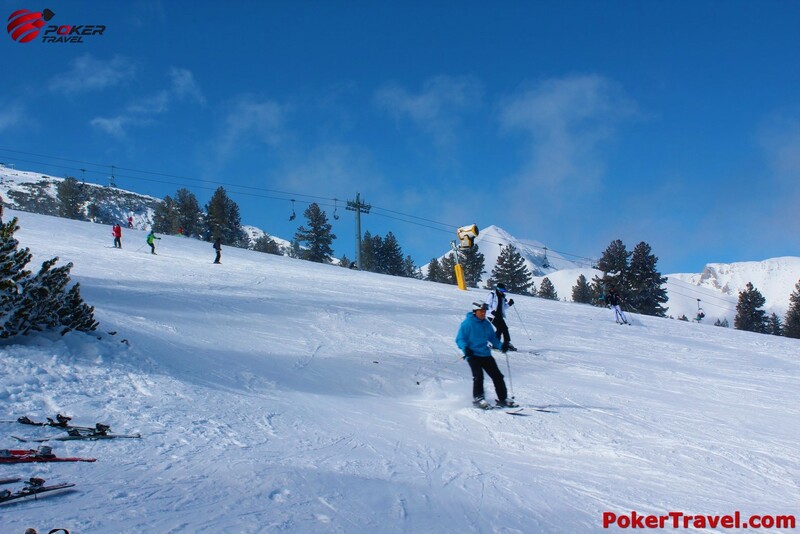 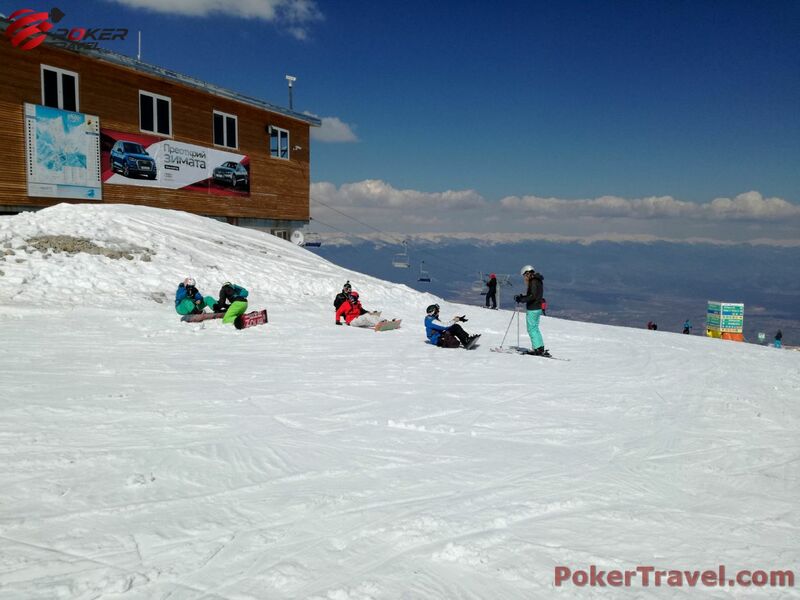 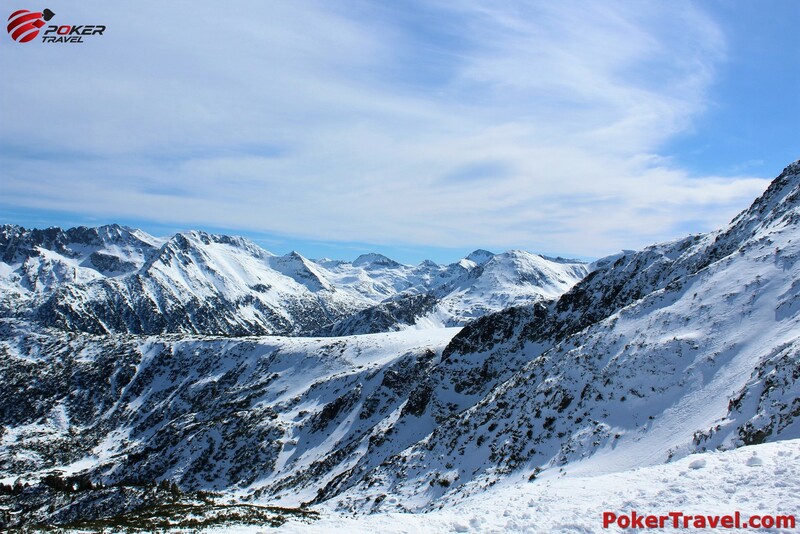 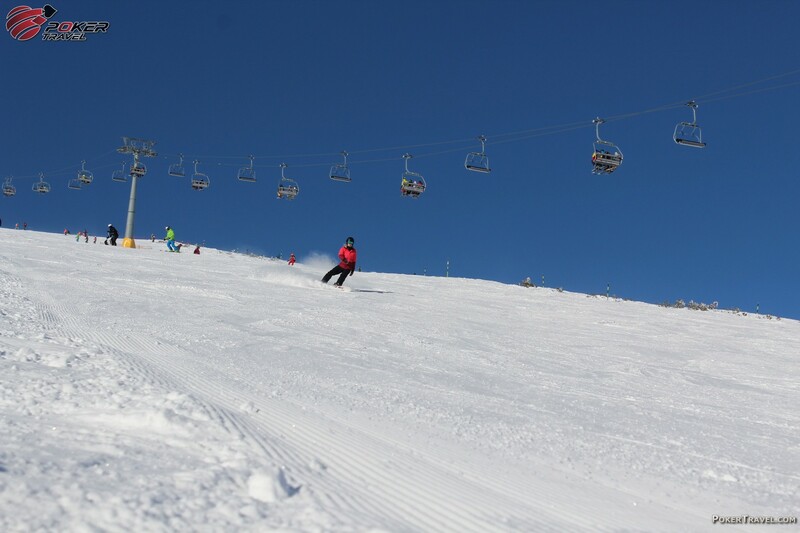 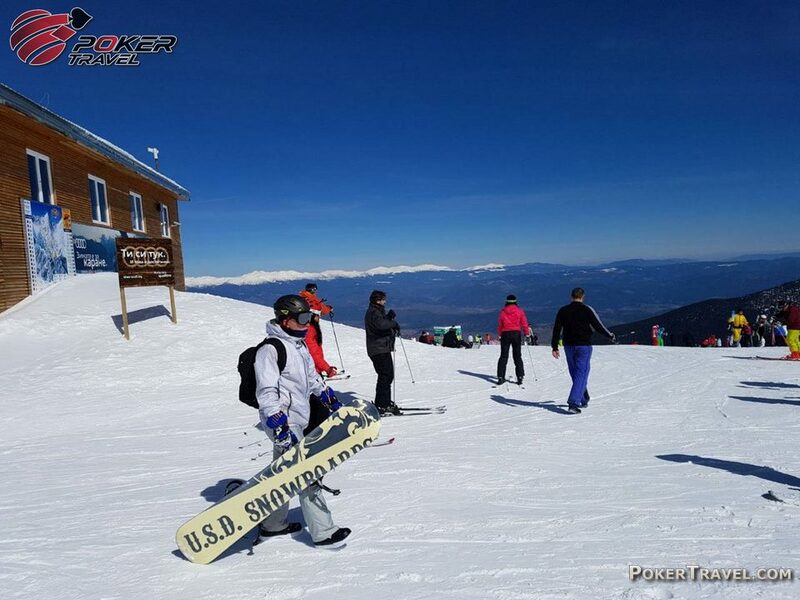 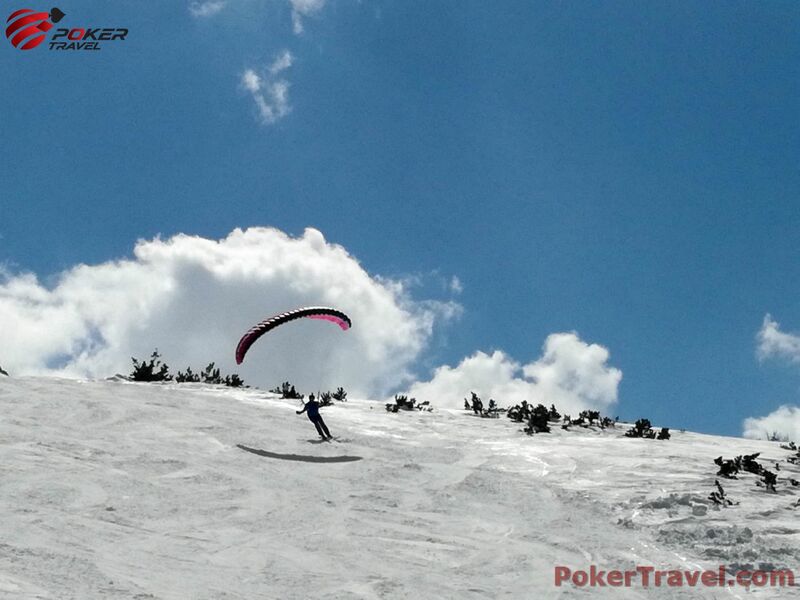 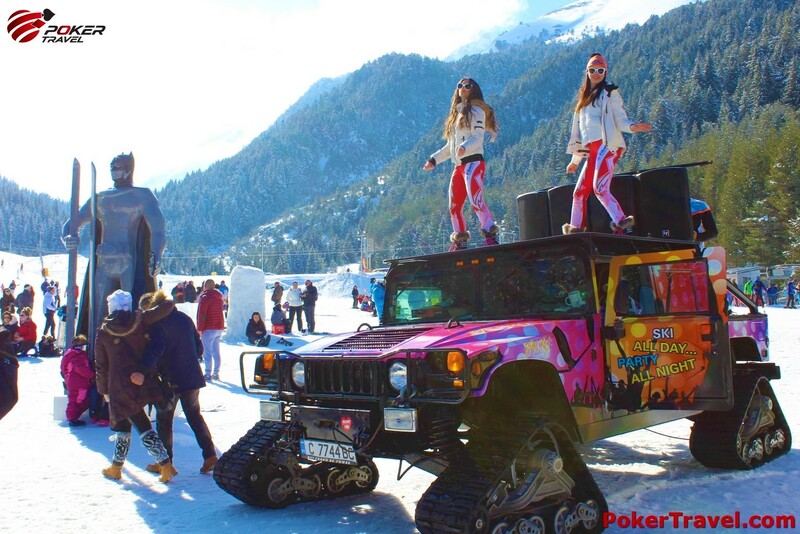 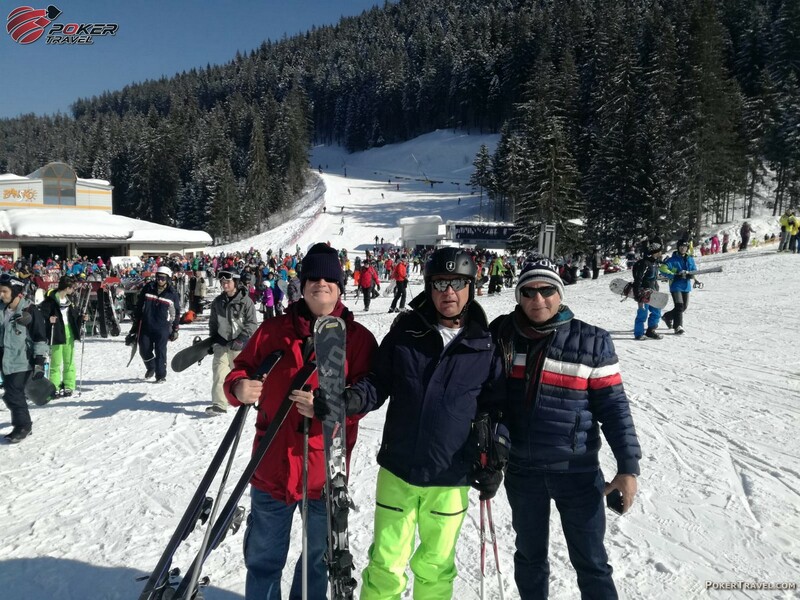 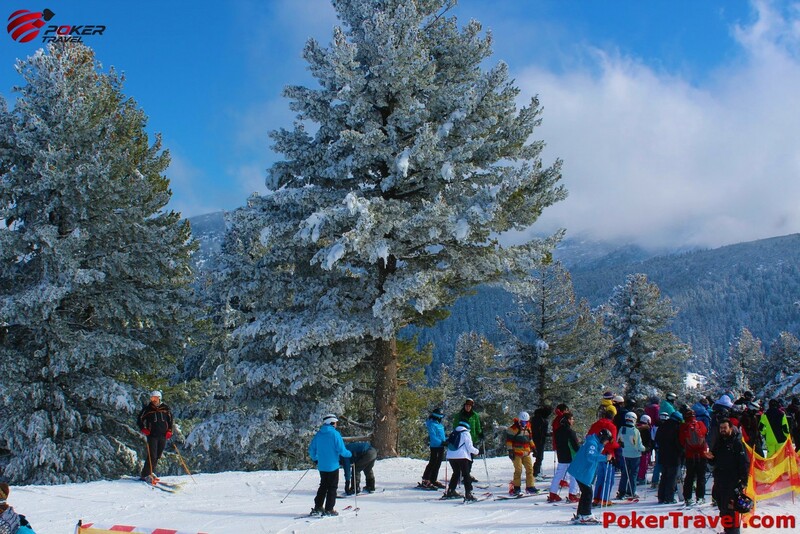 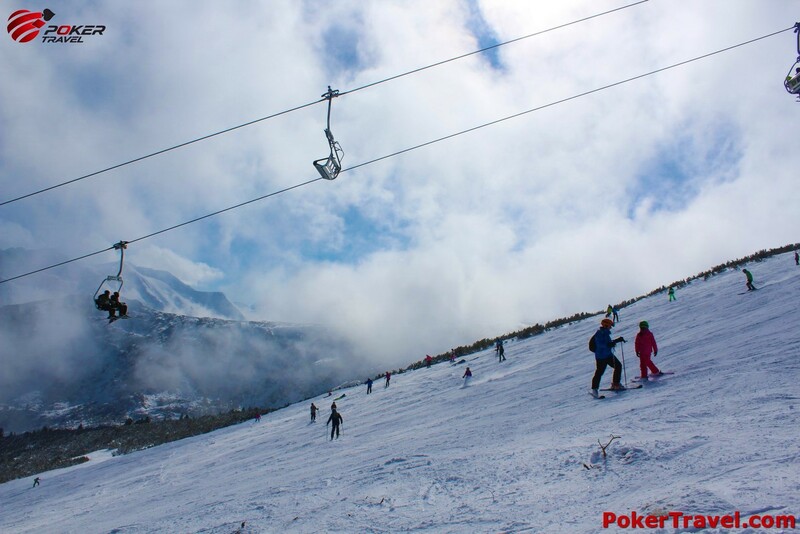 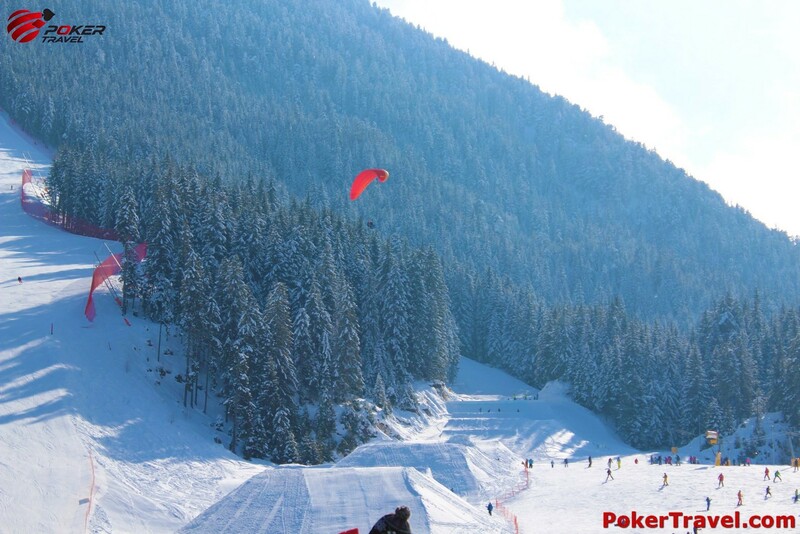 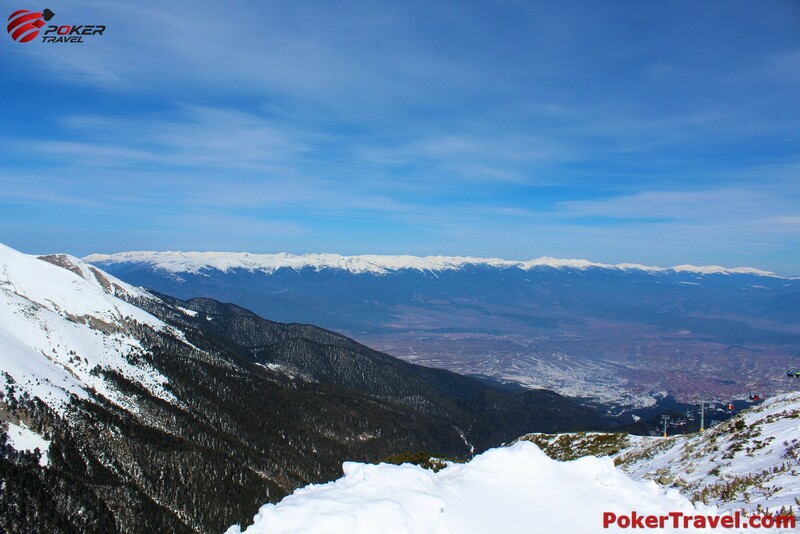 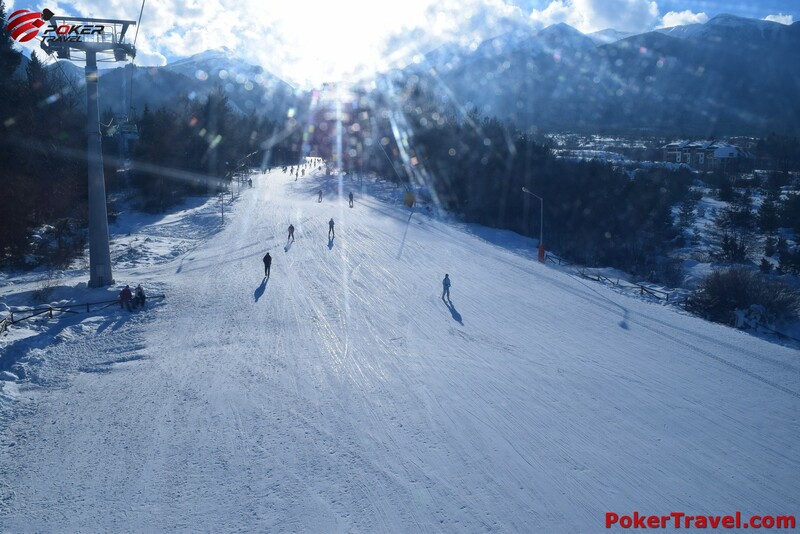 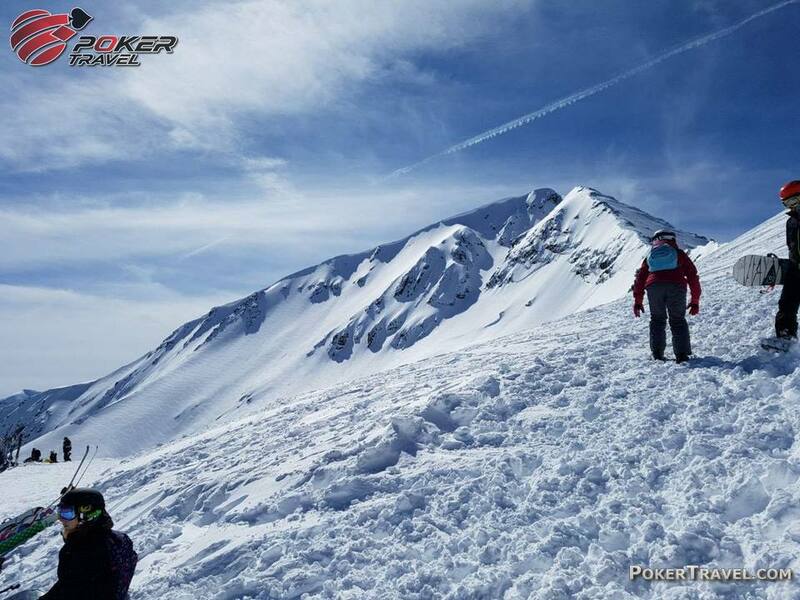 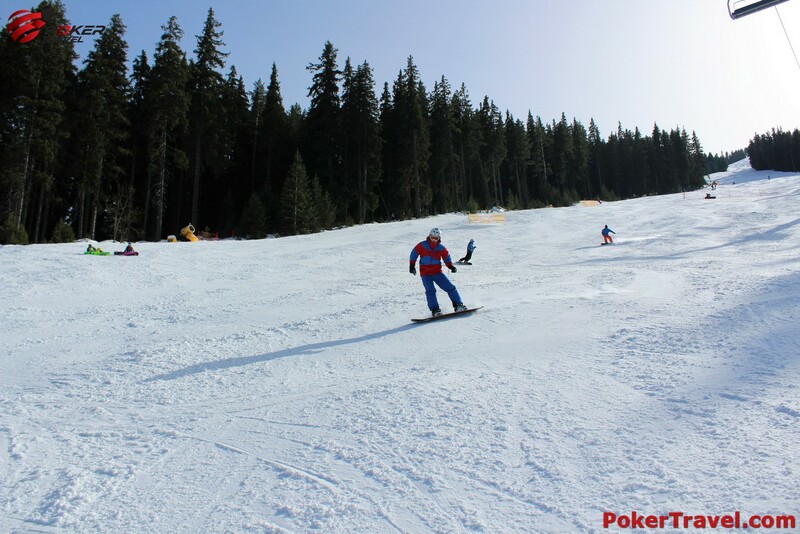 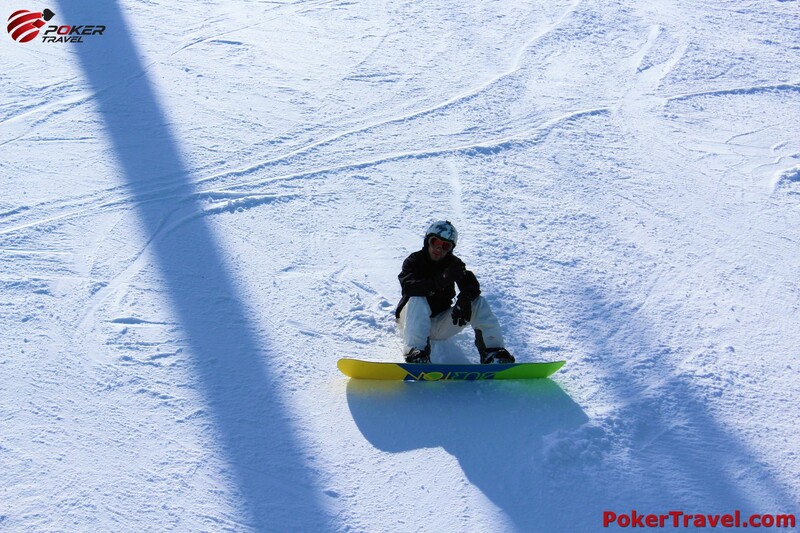 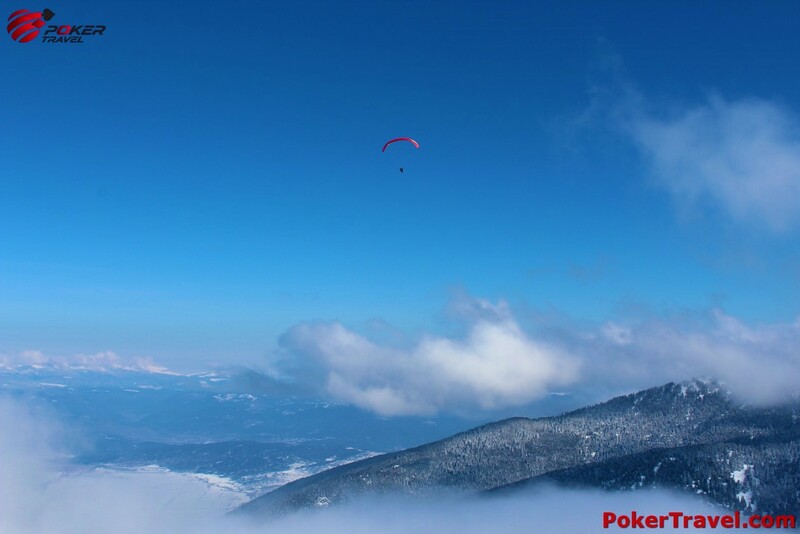 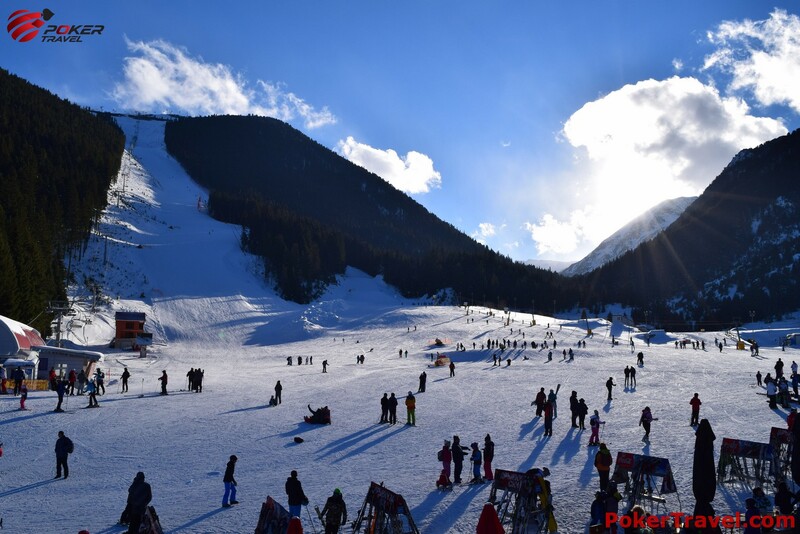 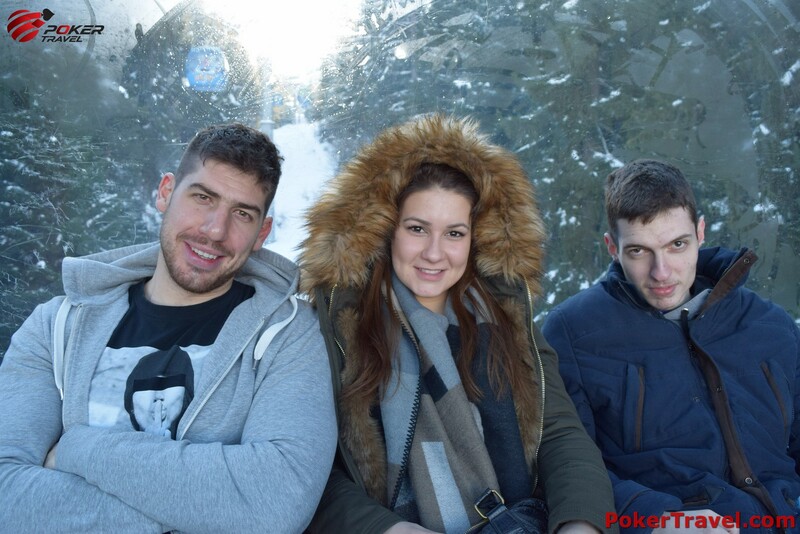 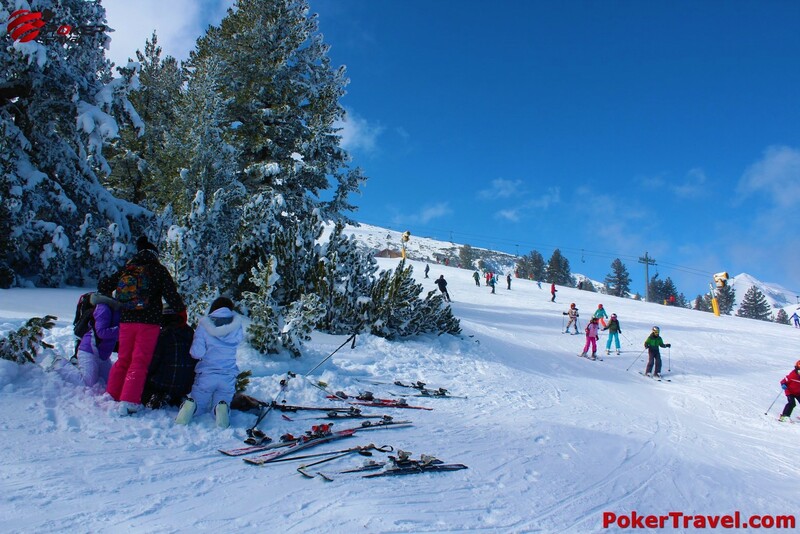 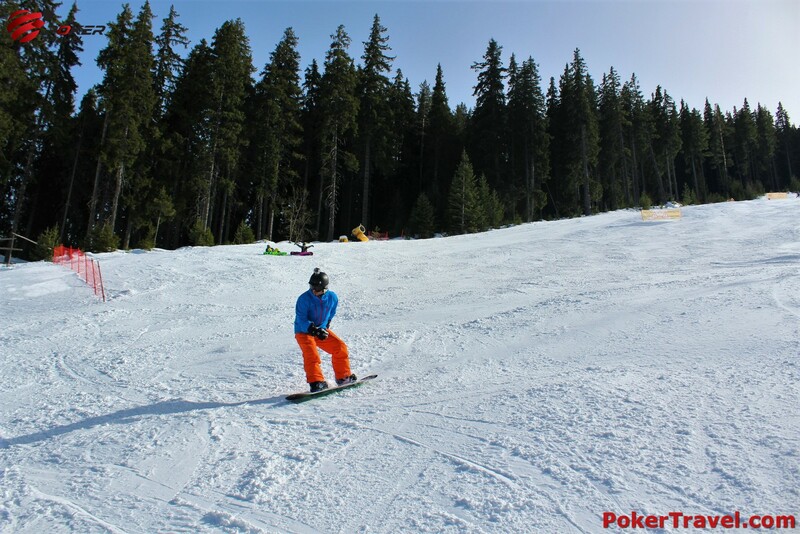 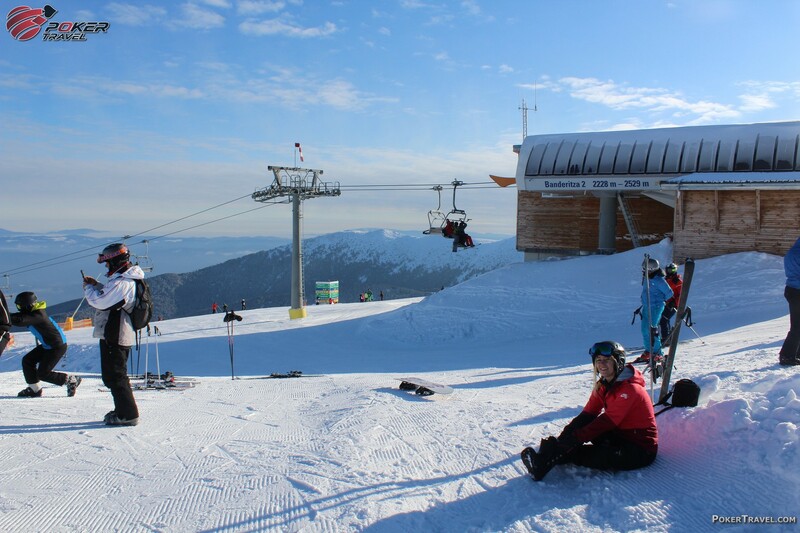 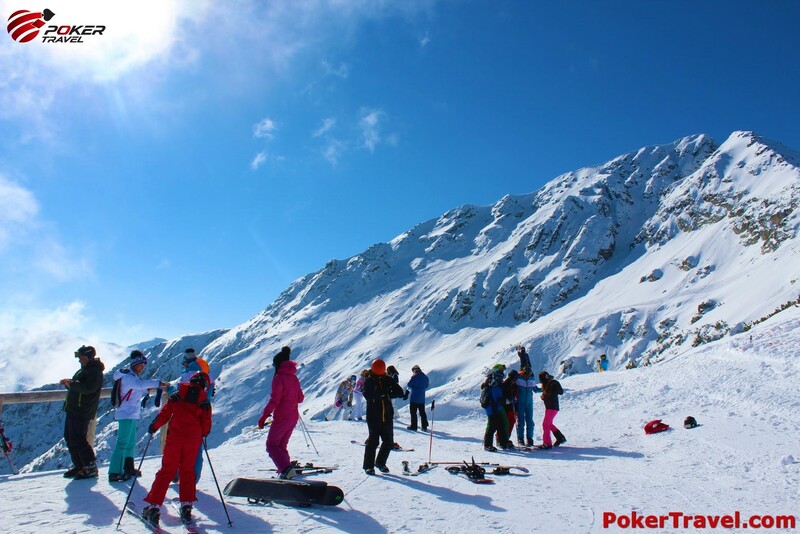 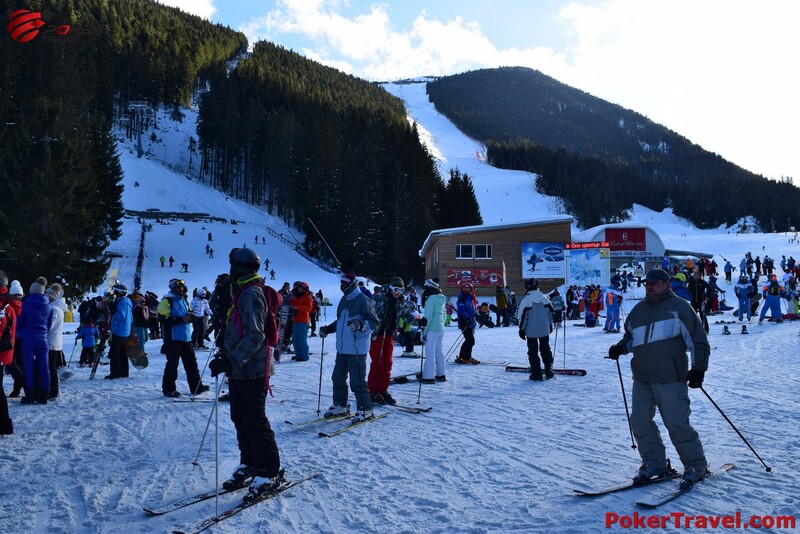 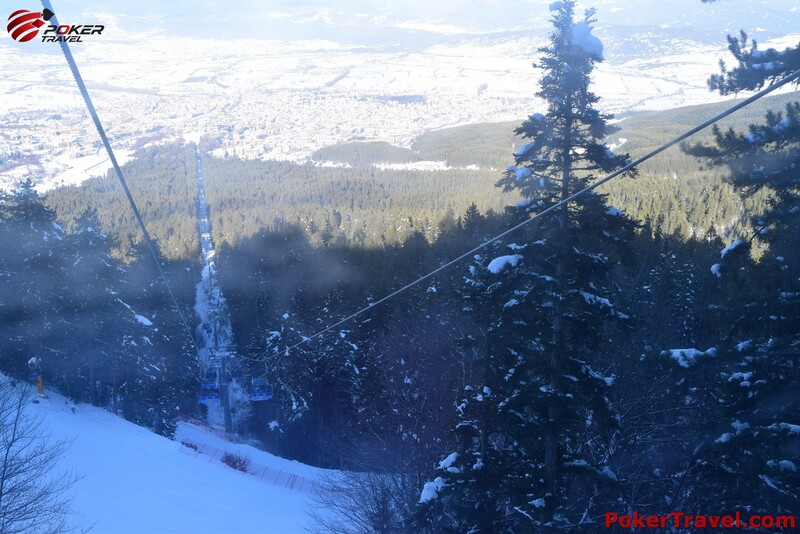 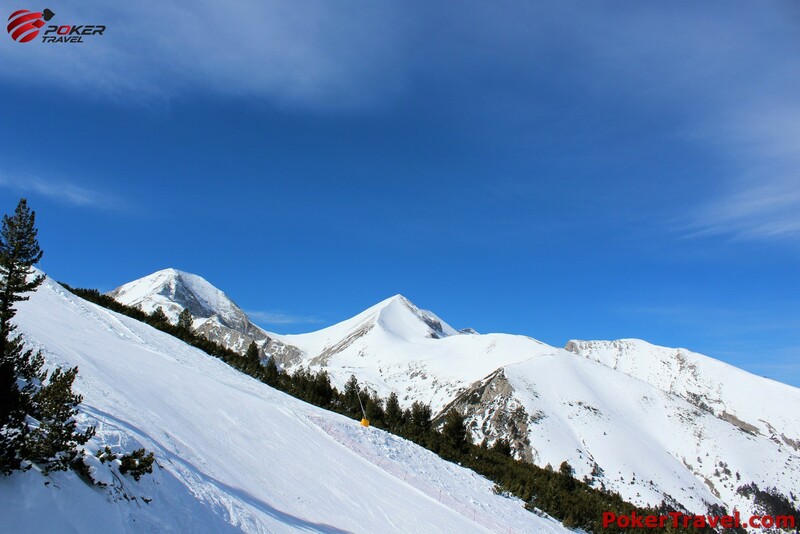 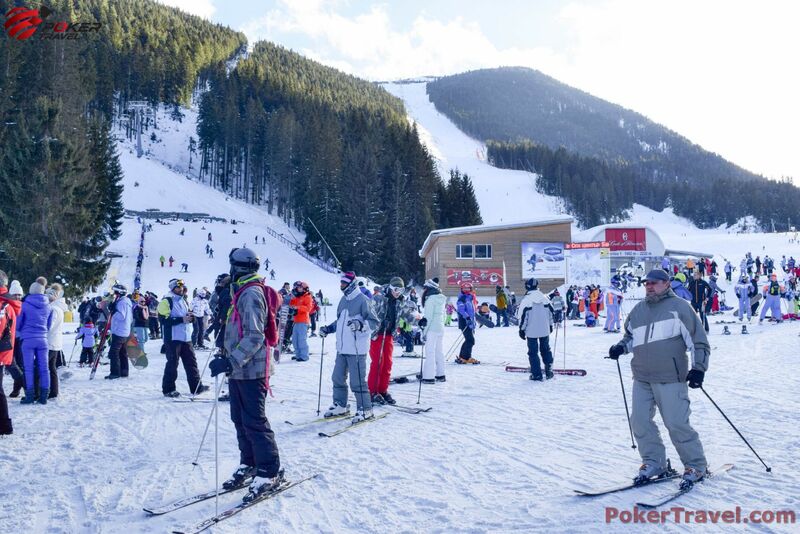 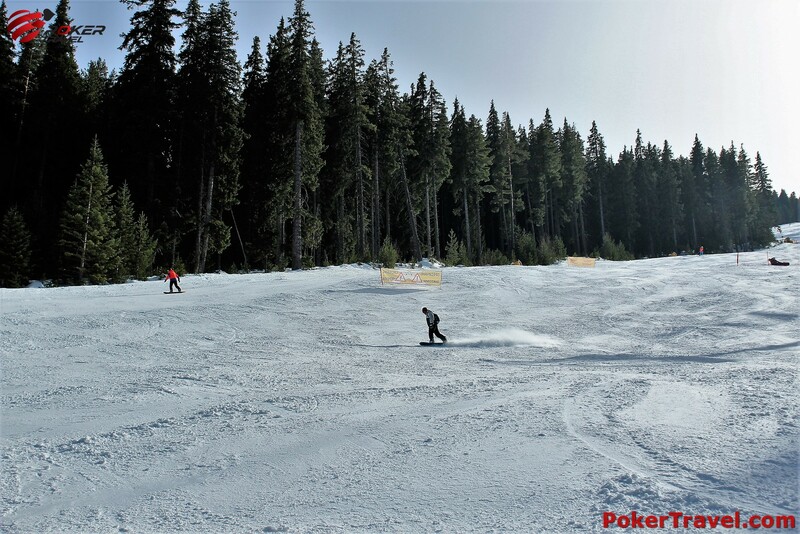 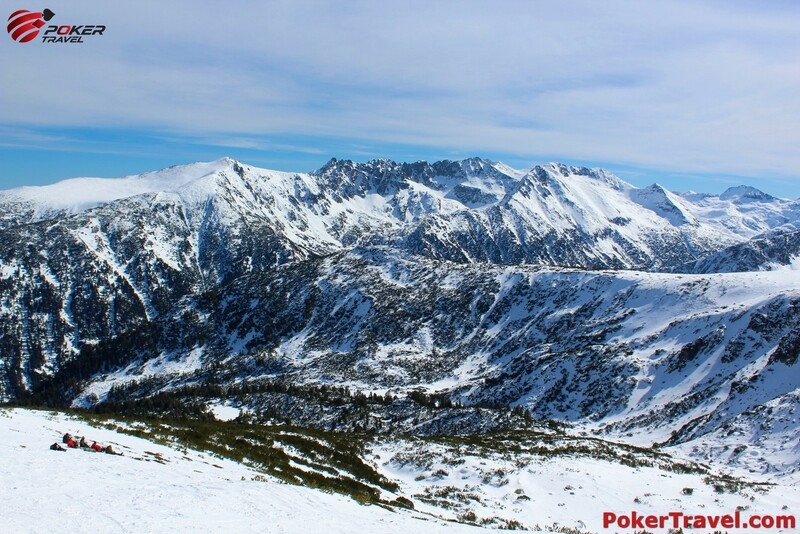 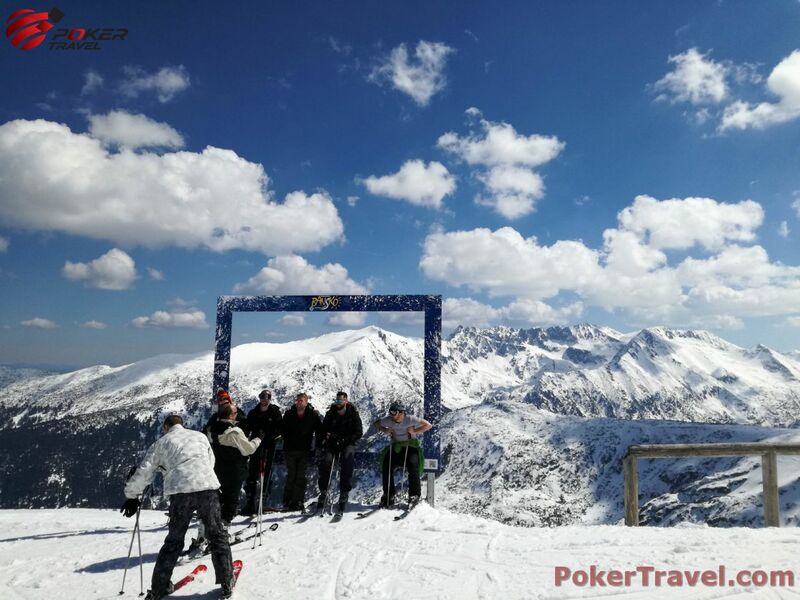 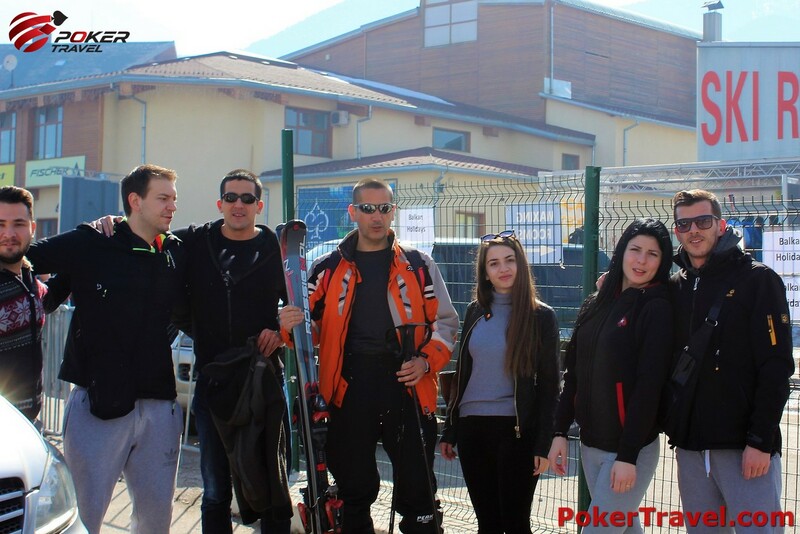 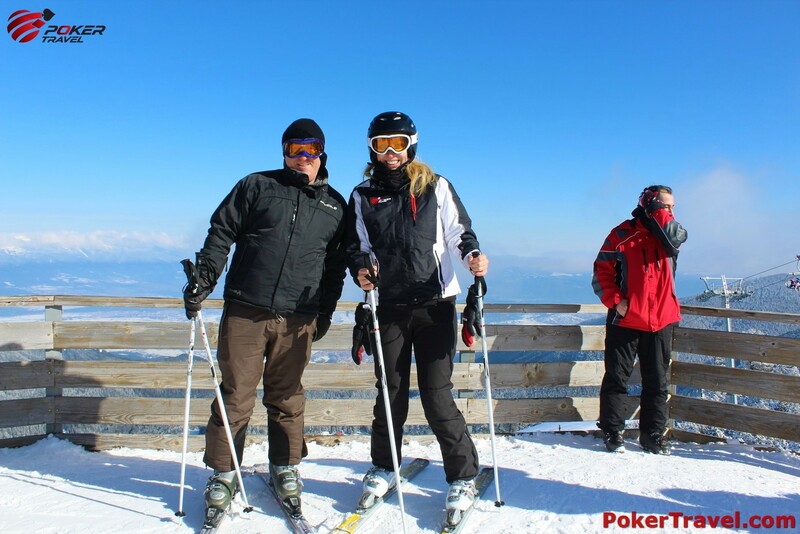 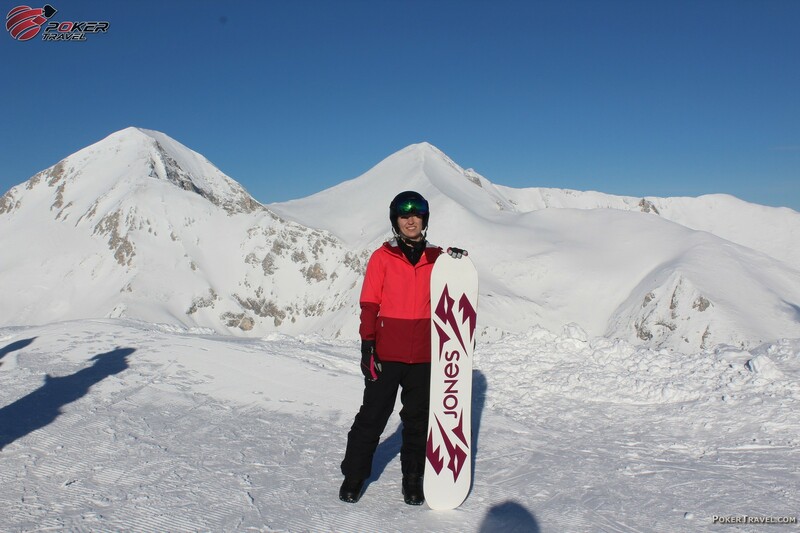 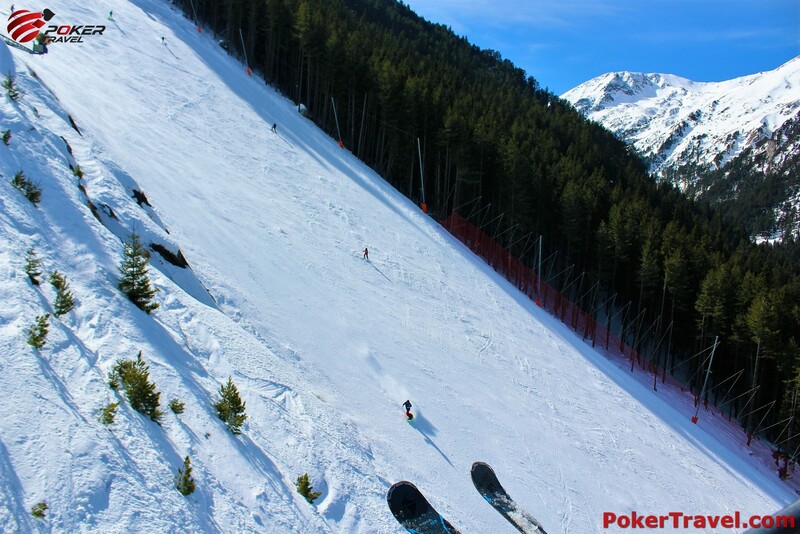 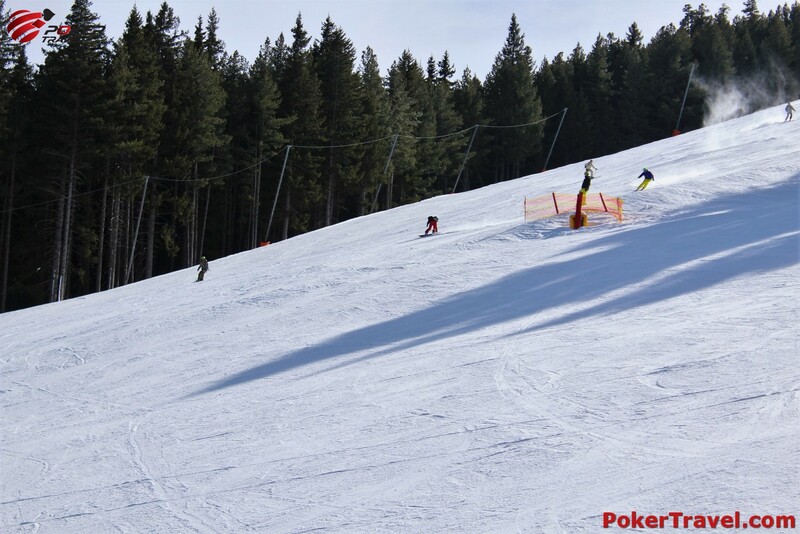 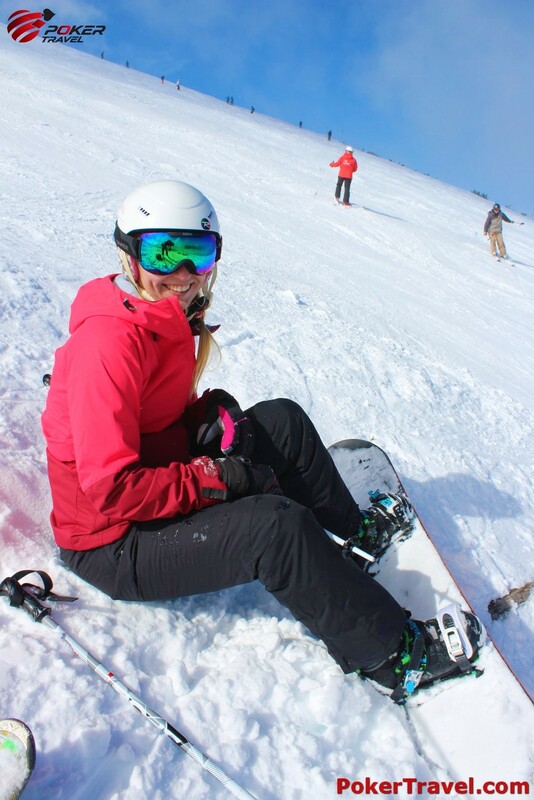 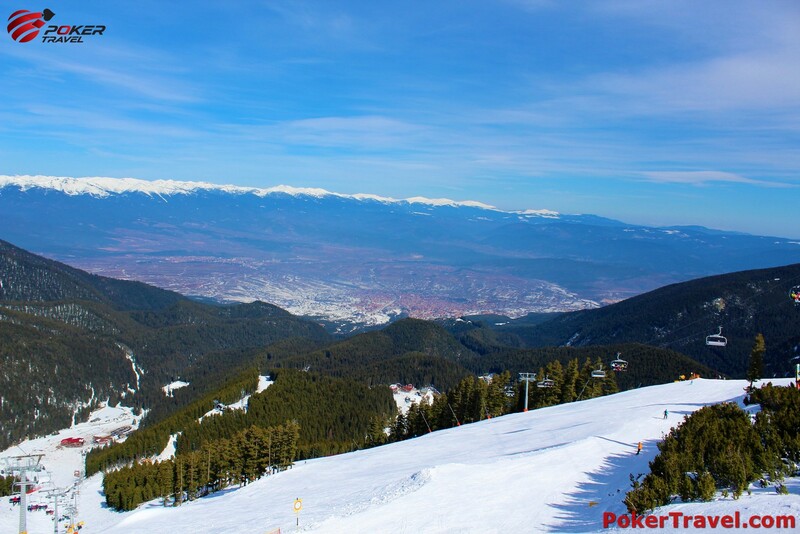 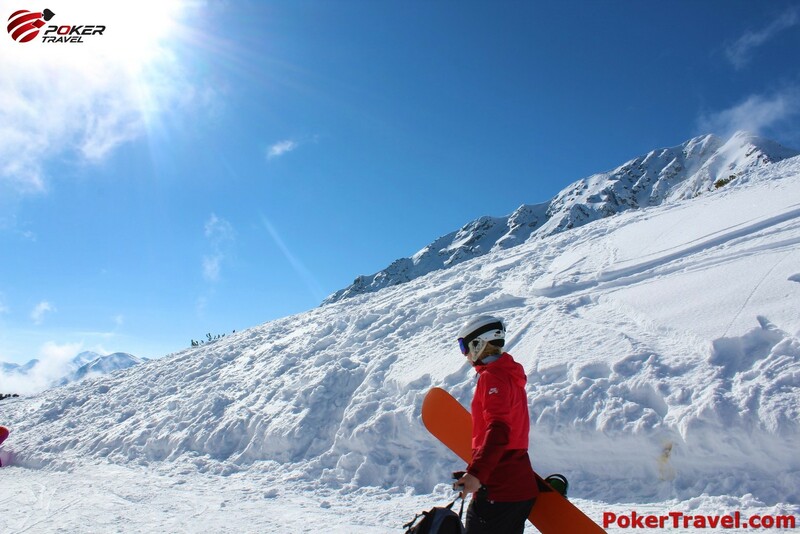 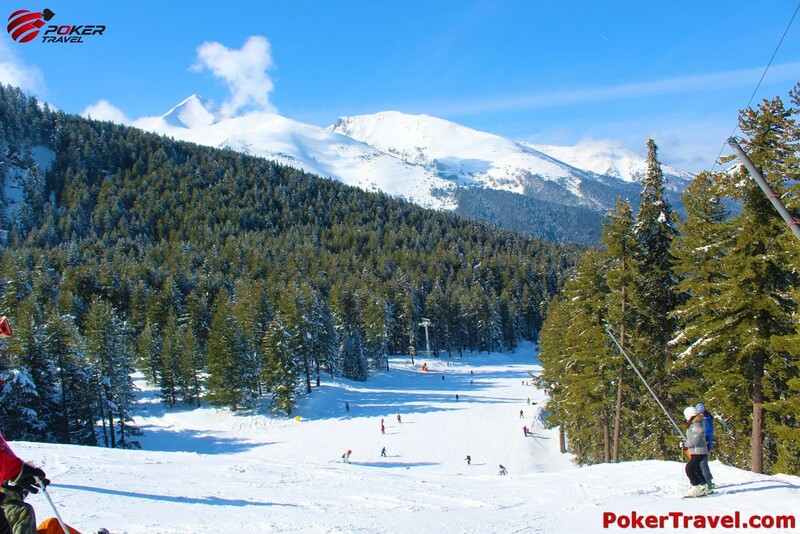 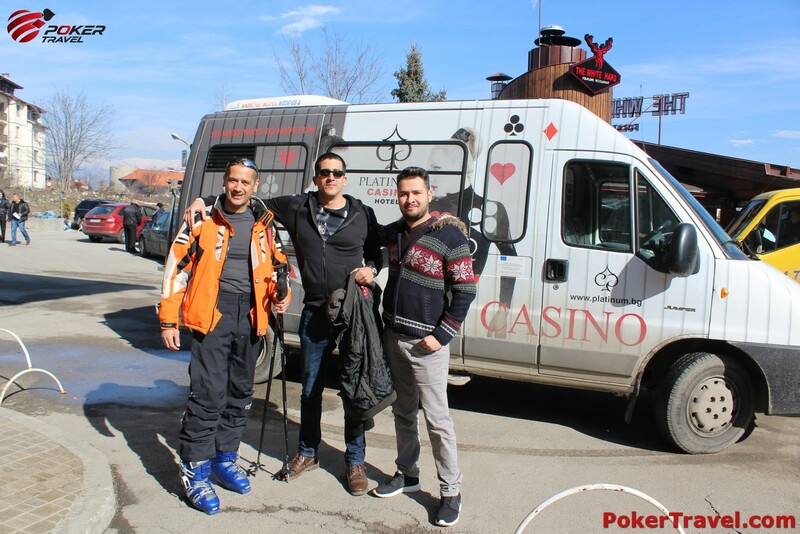 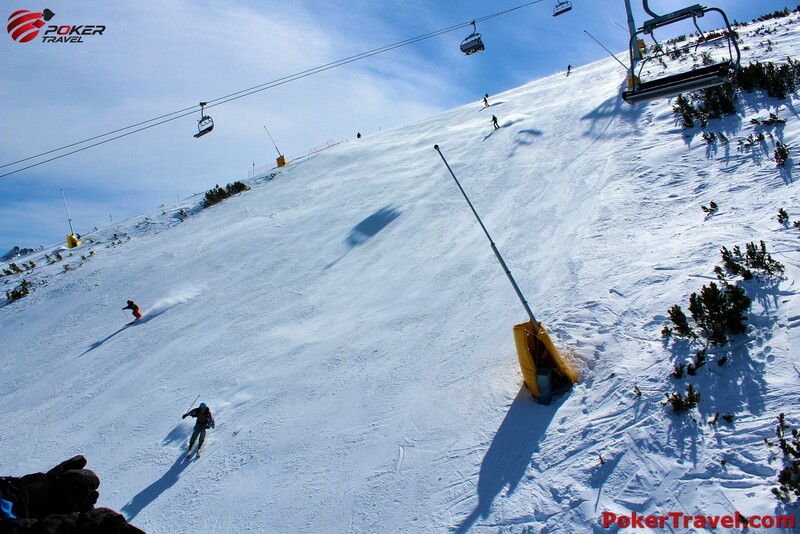 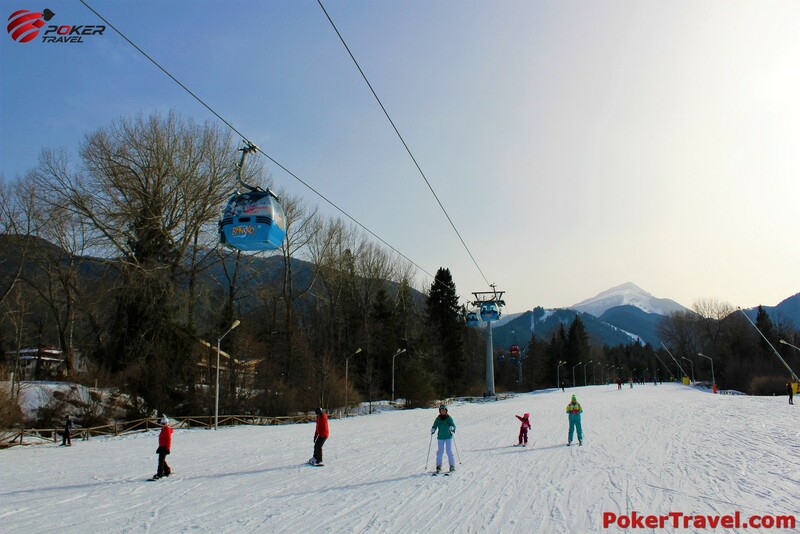 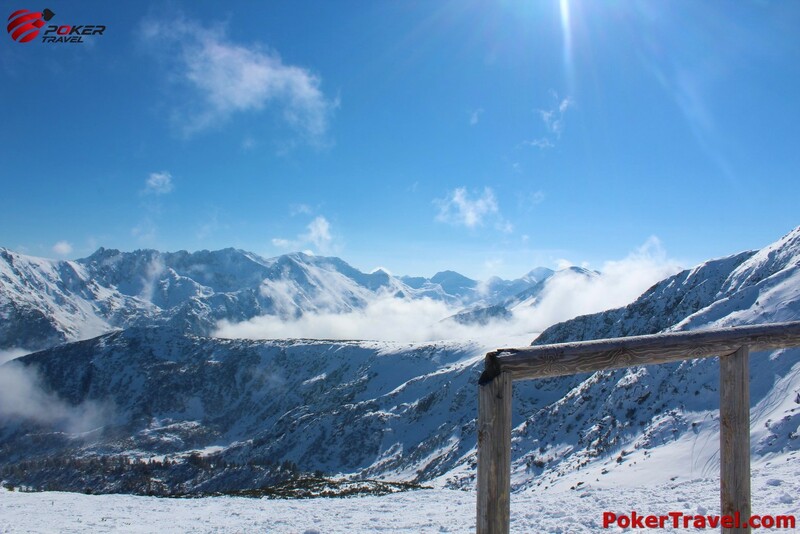 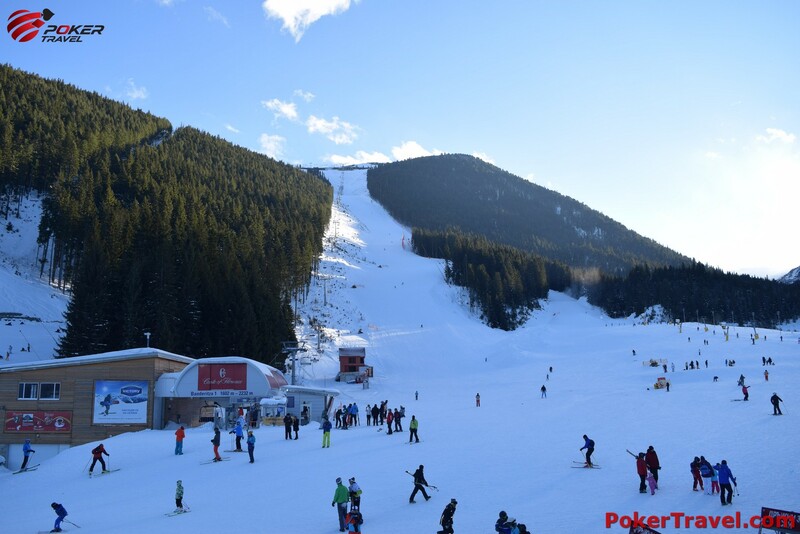 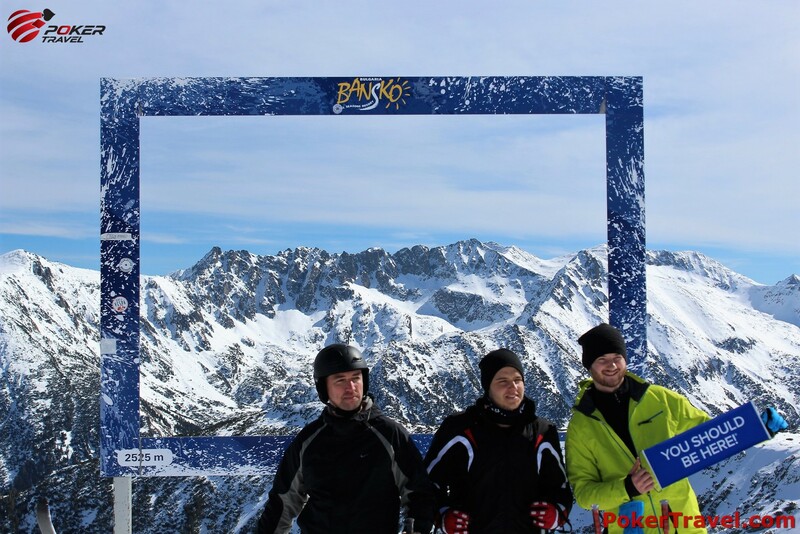 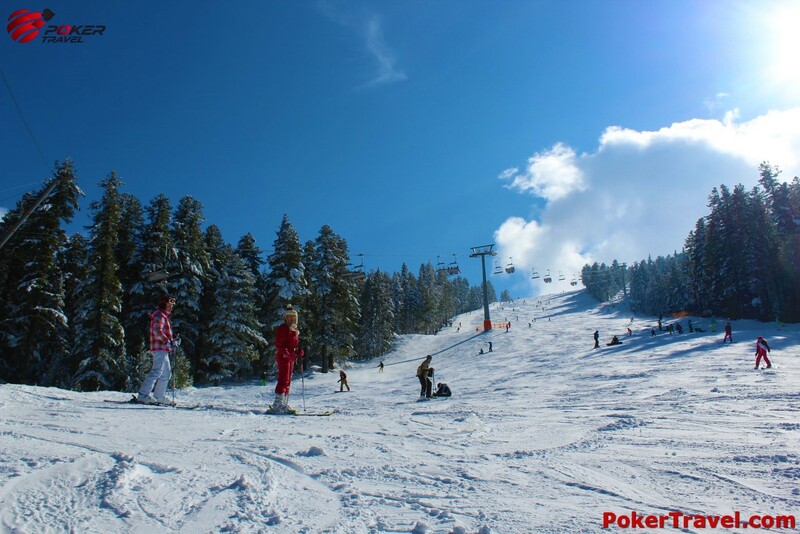 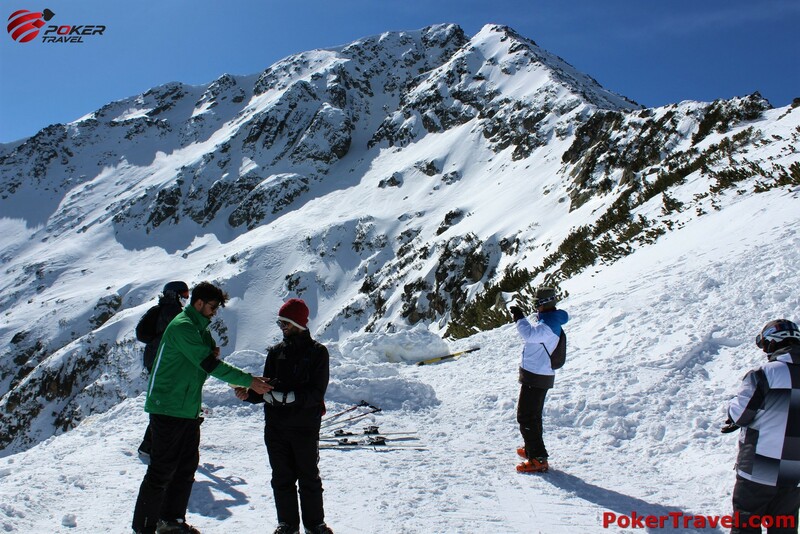 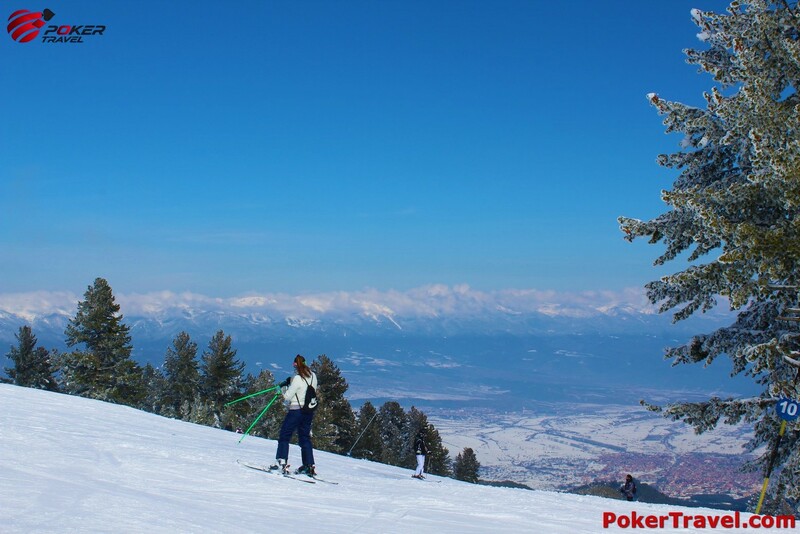 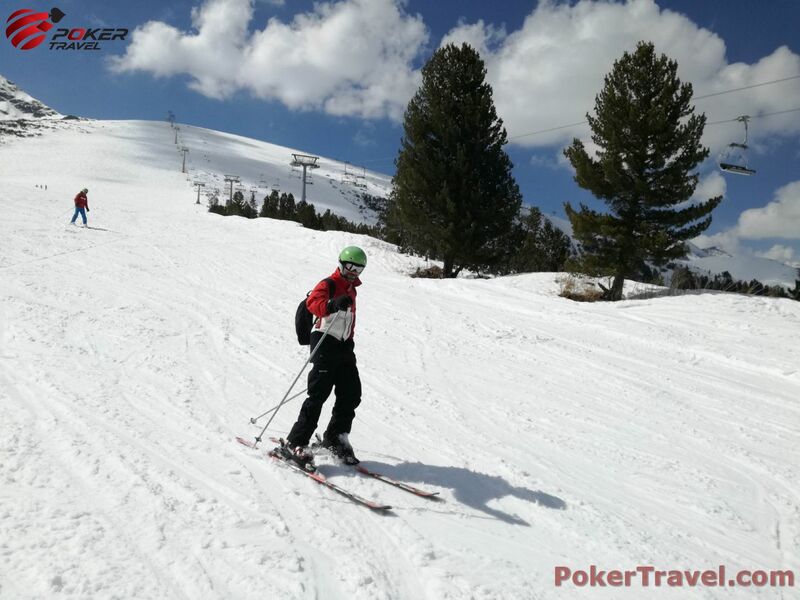 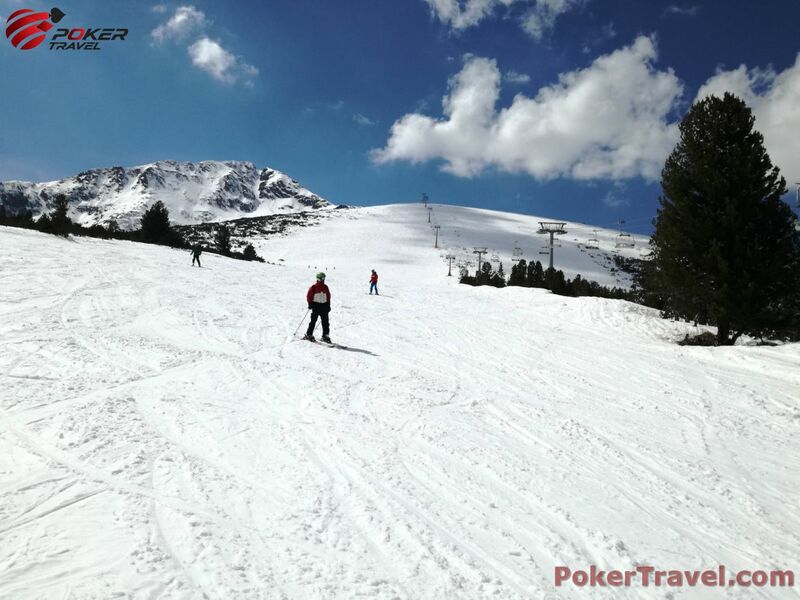 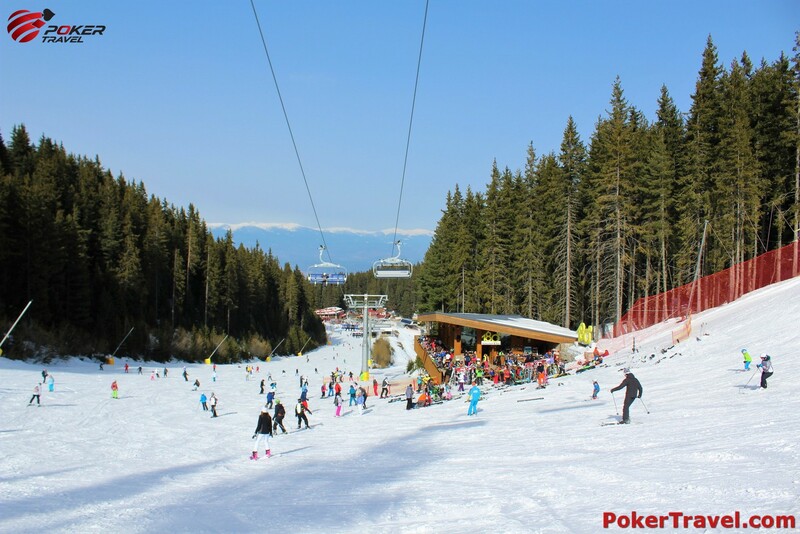 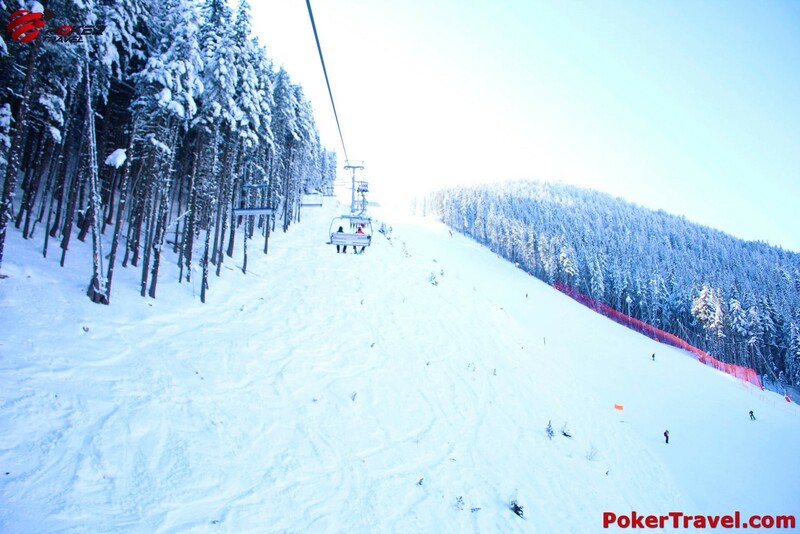 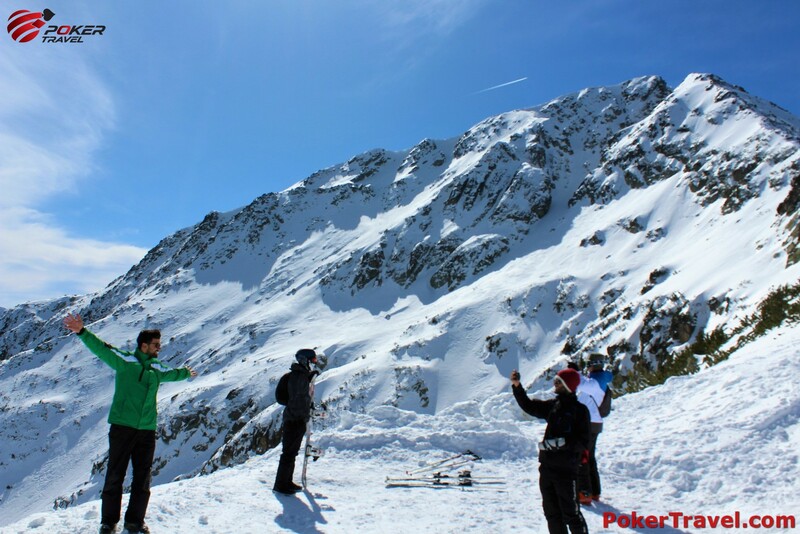 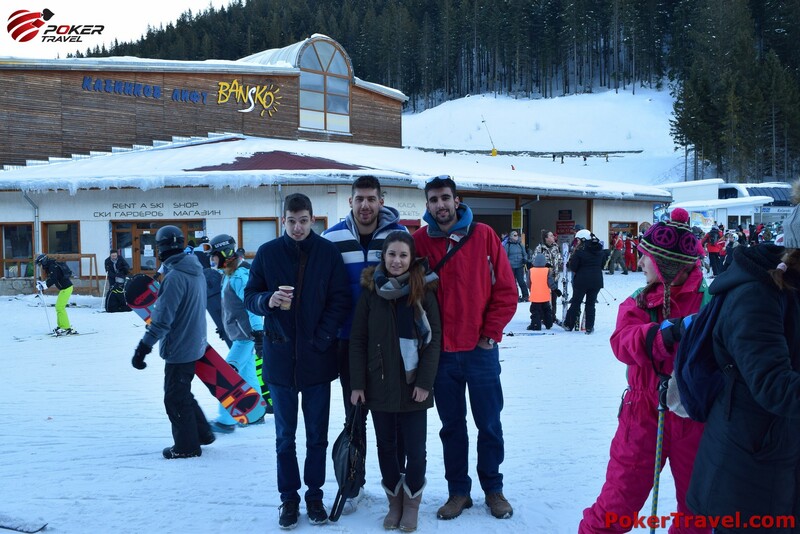 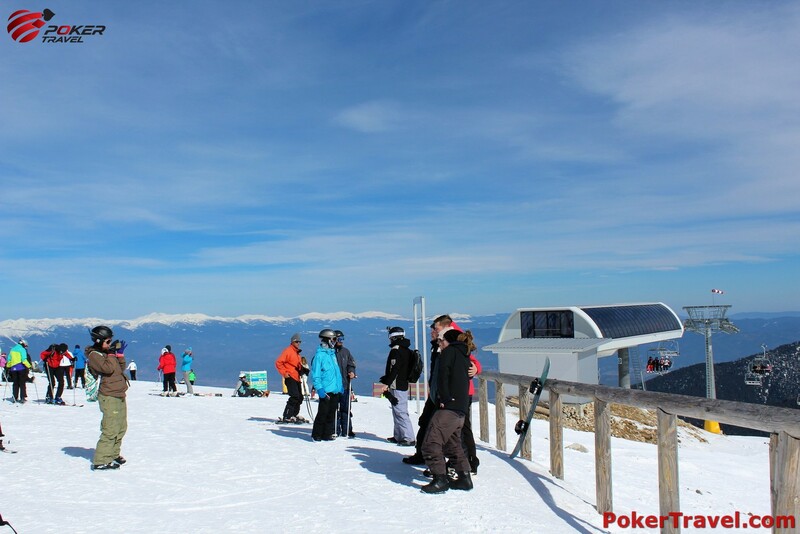 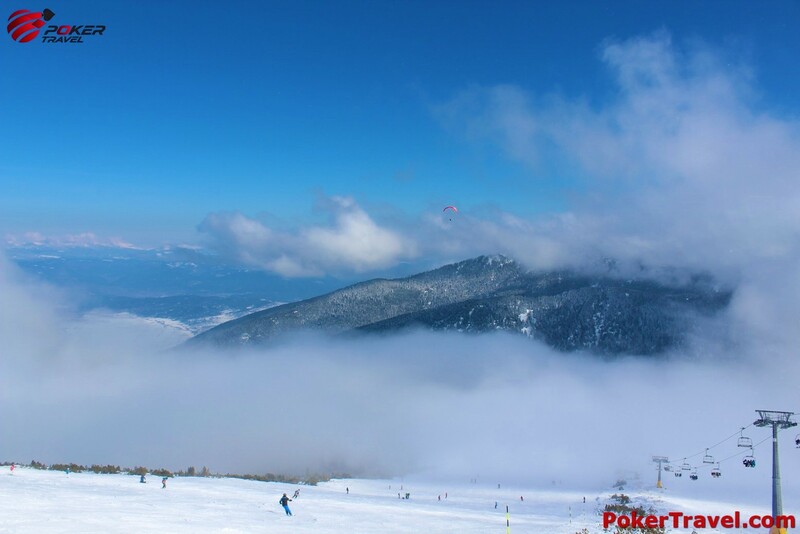 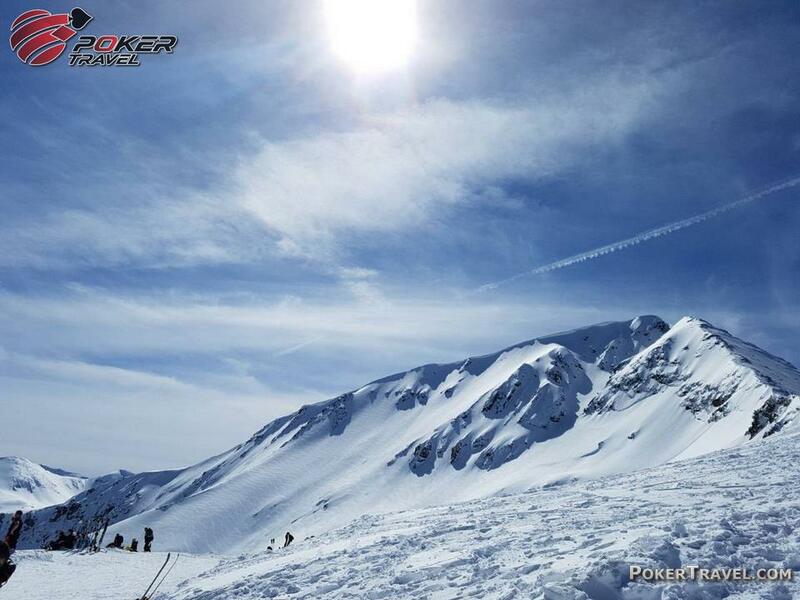 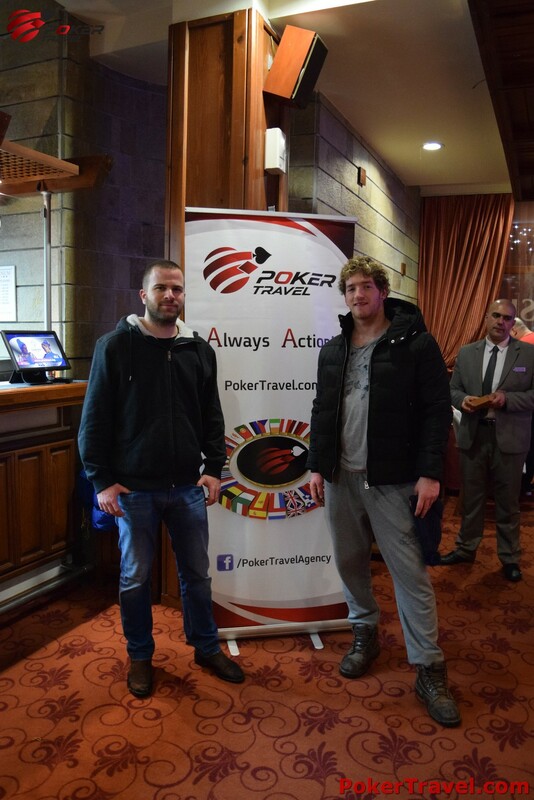 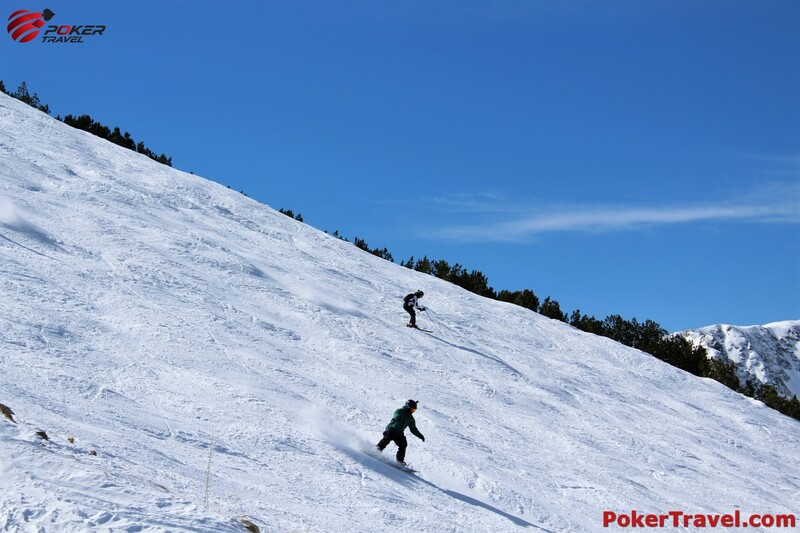 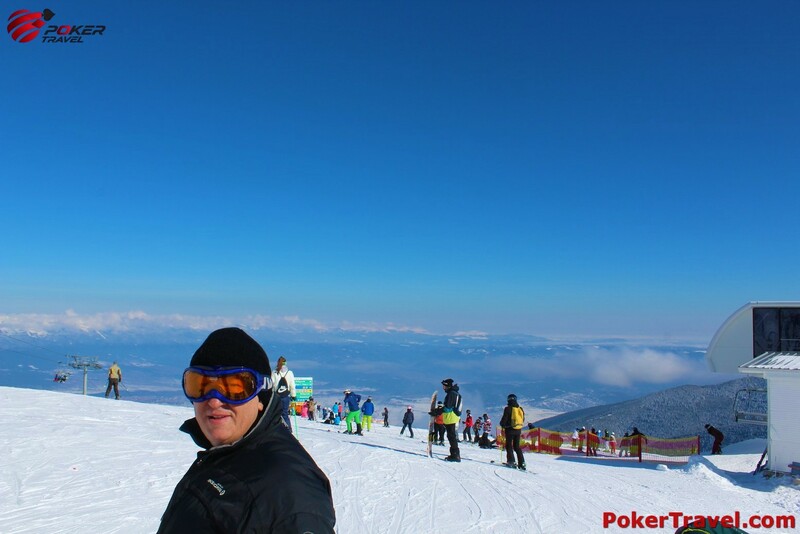 Visit Bansko with Poker Travel and take advantage of the perfect combination of skiing and poker. 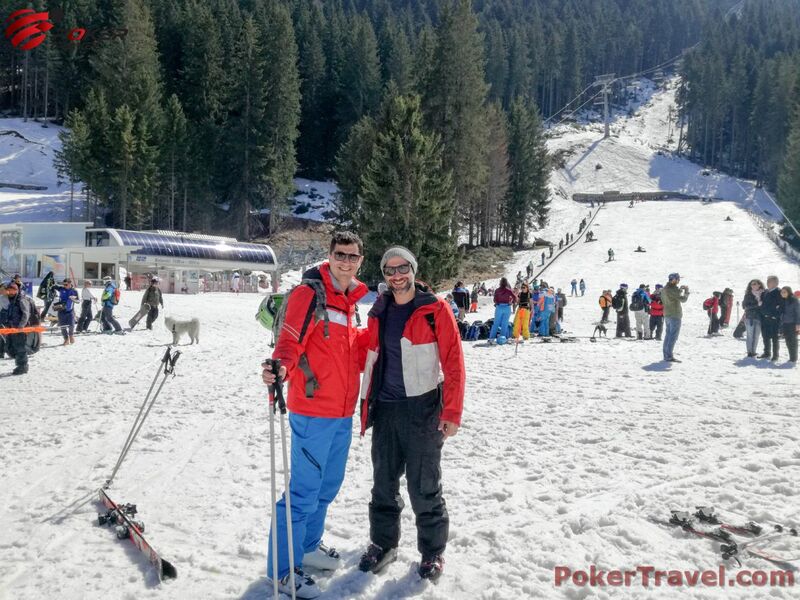 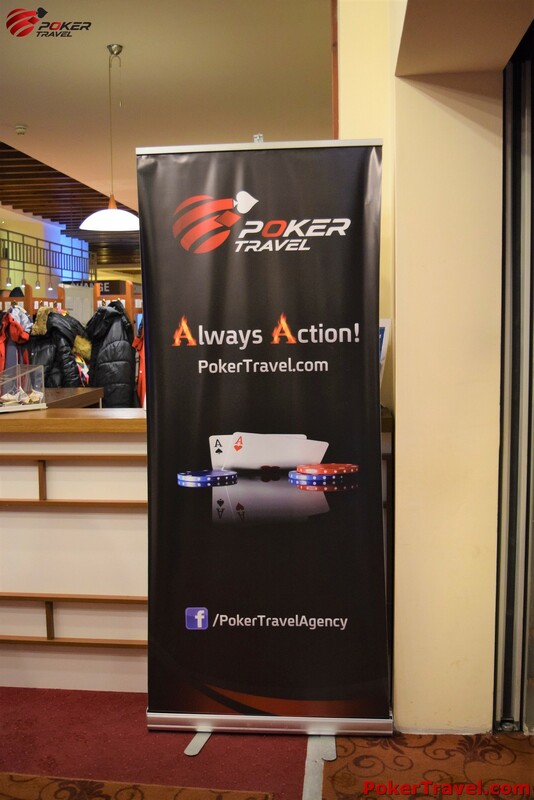 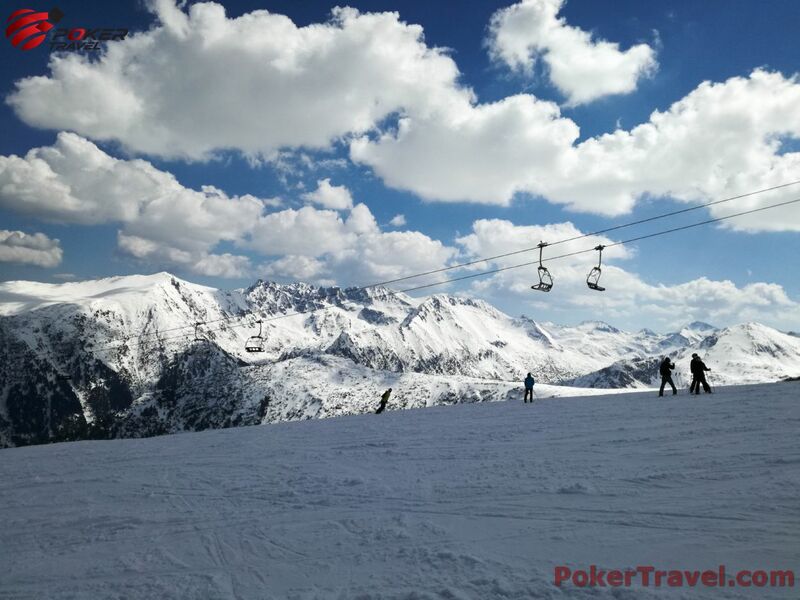 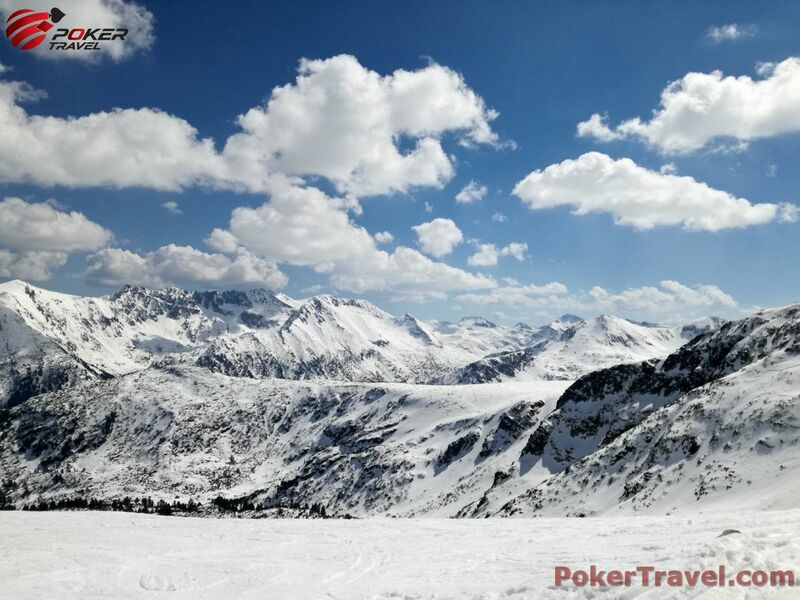 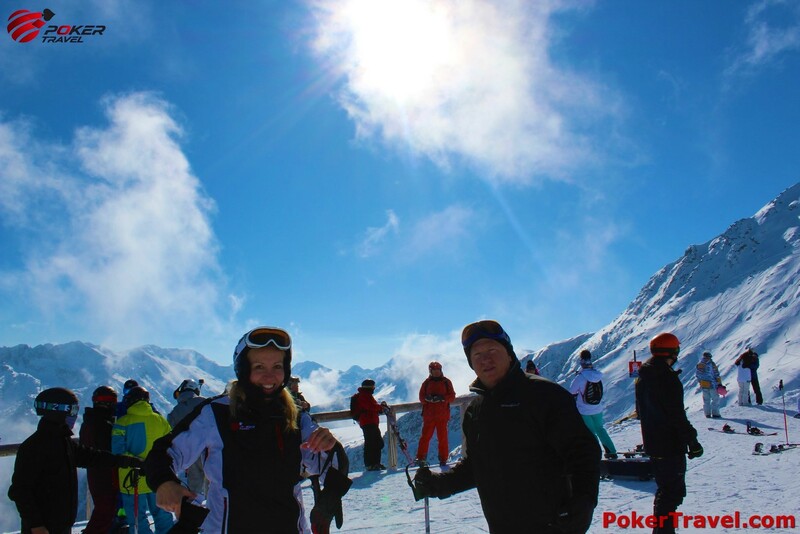 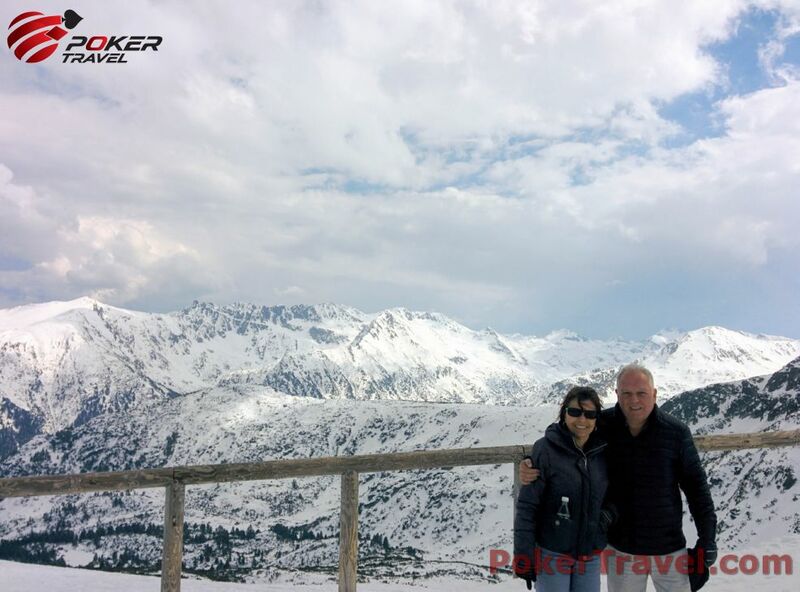 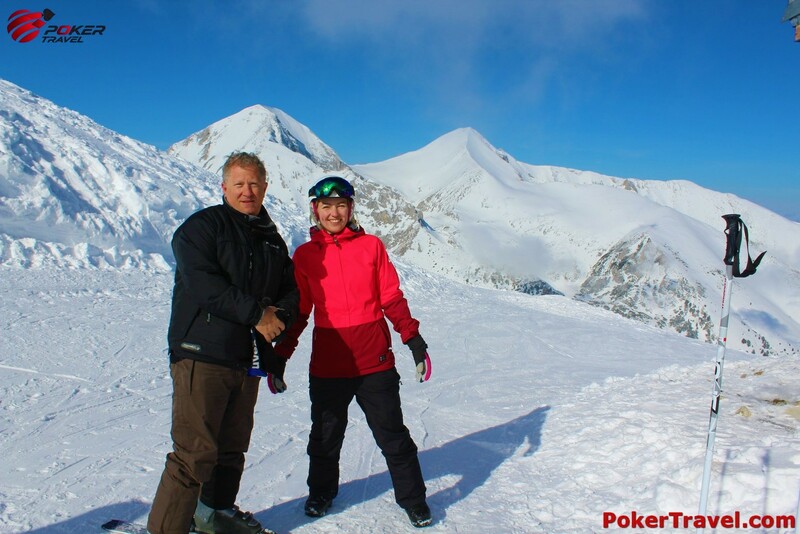 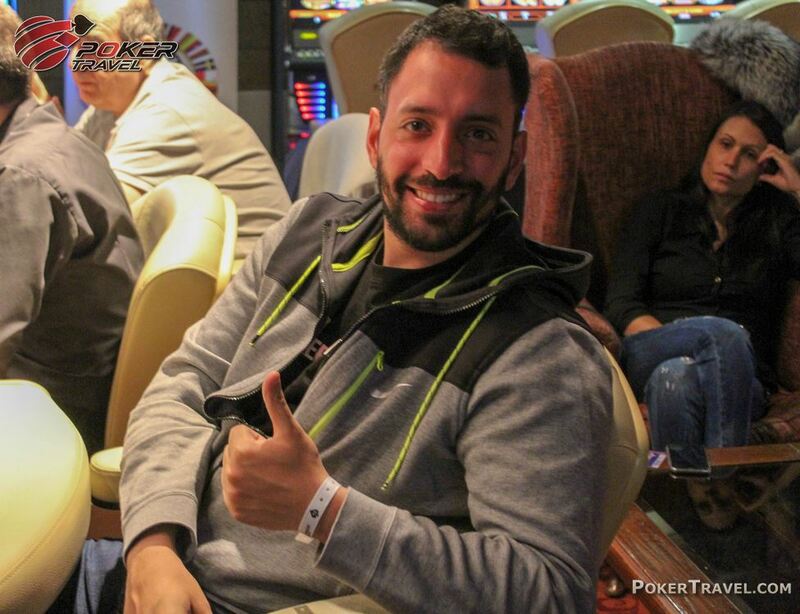 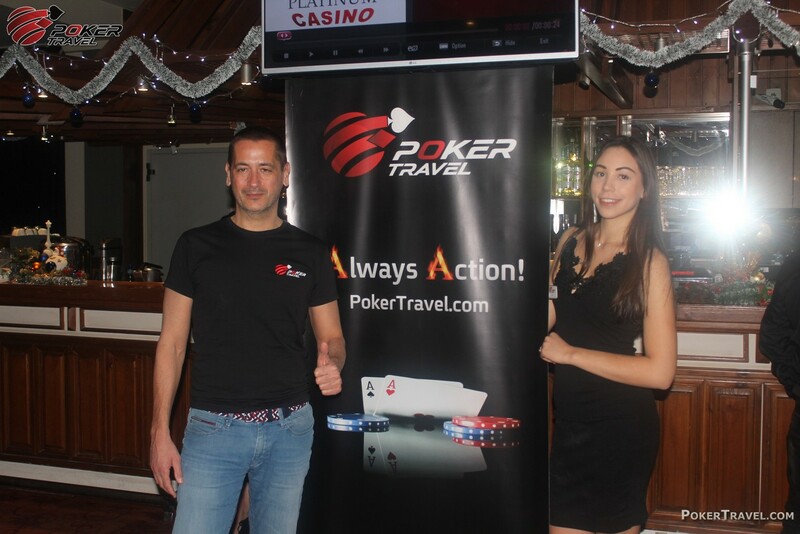 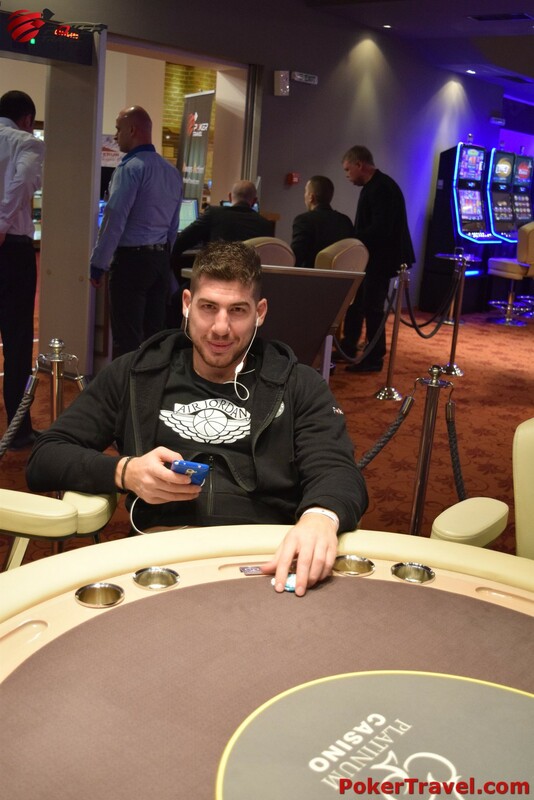 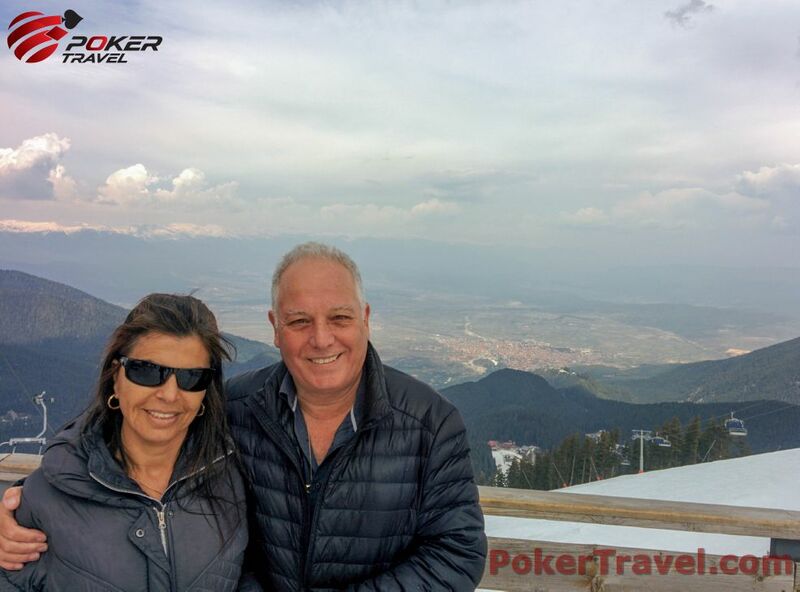 By coming to one of the top rated ski destinations in Europe you can have a magical vacation and experience great poker action. Travelling to the picturesque Bansko you can ski, dive into the history and culture of the 16th century and also relax at a modern and luxurious hotel at no cost. 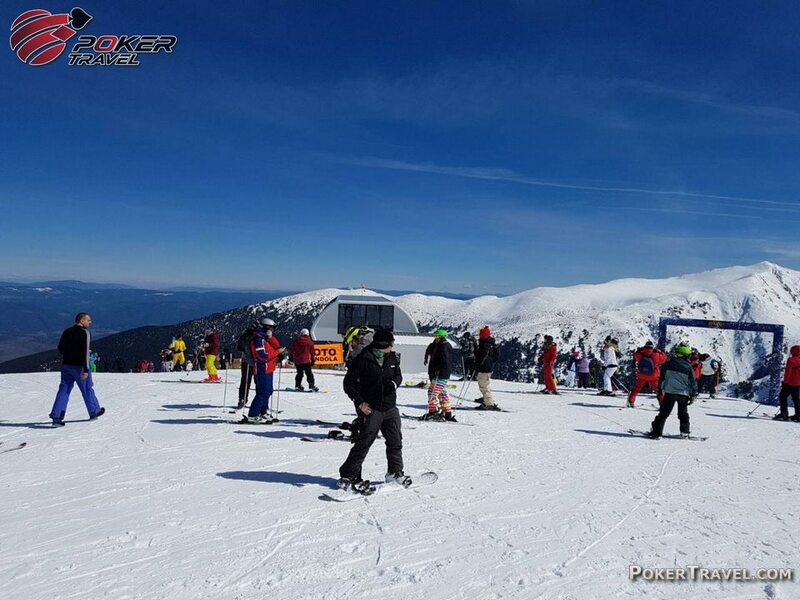 The ski capital of Bulgaria is also one of the best known entertainment locations where young people come to have fun and leisure. 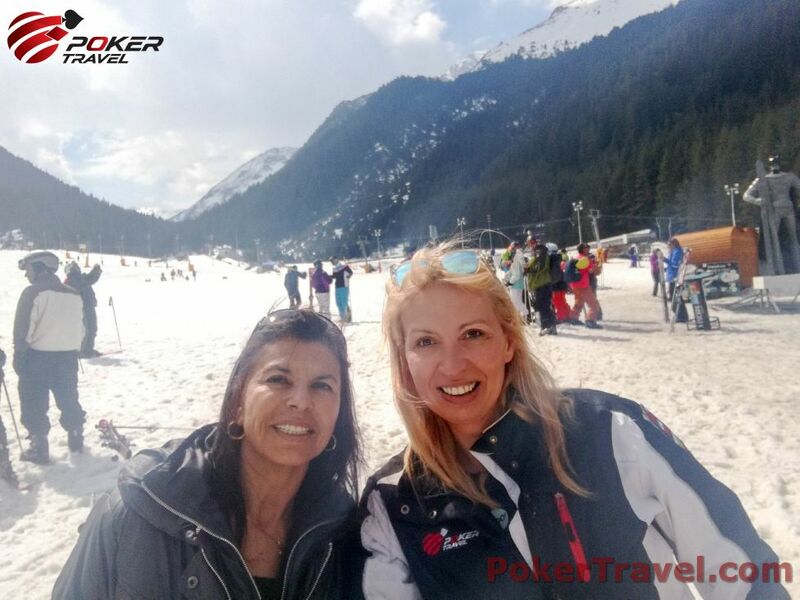 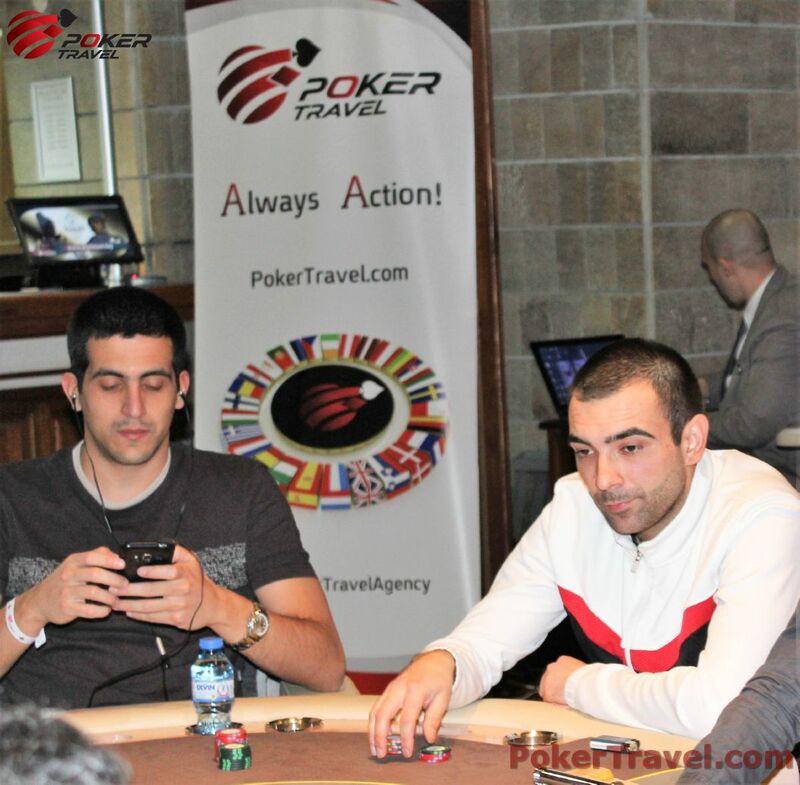 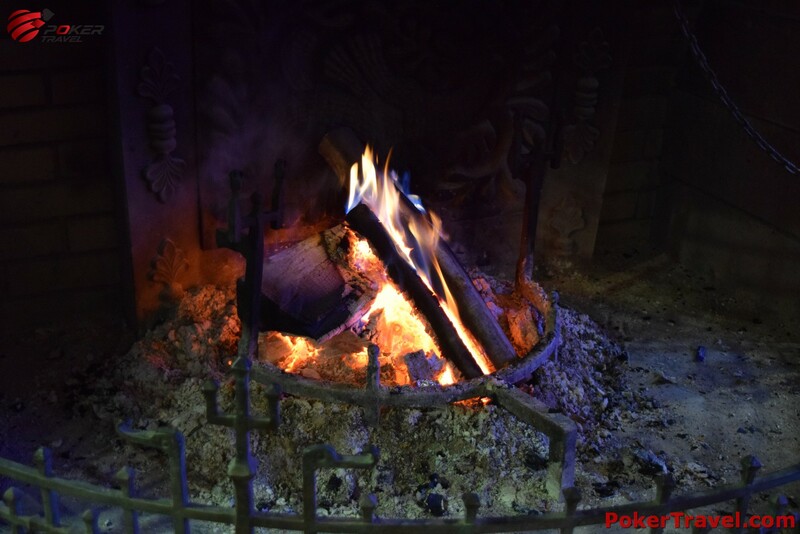 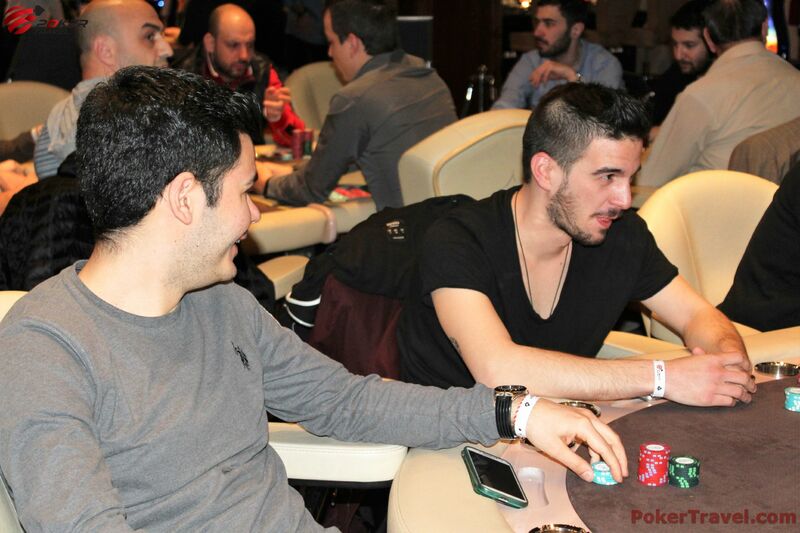 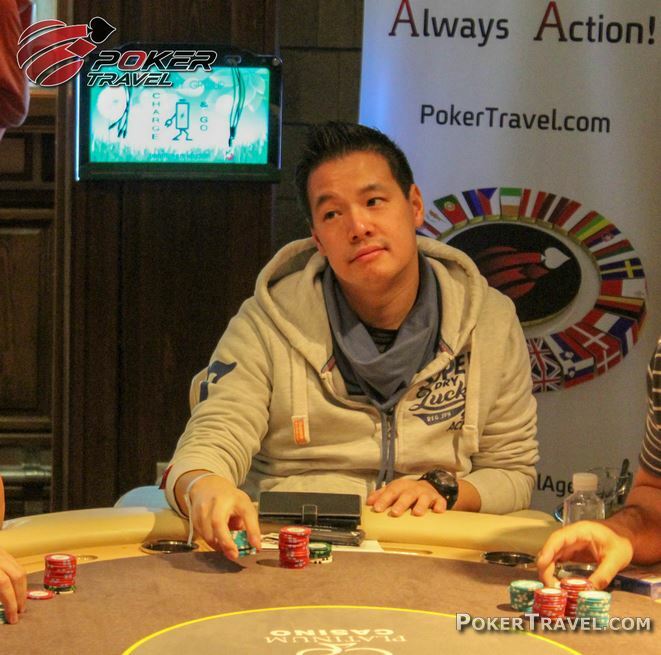 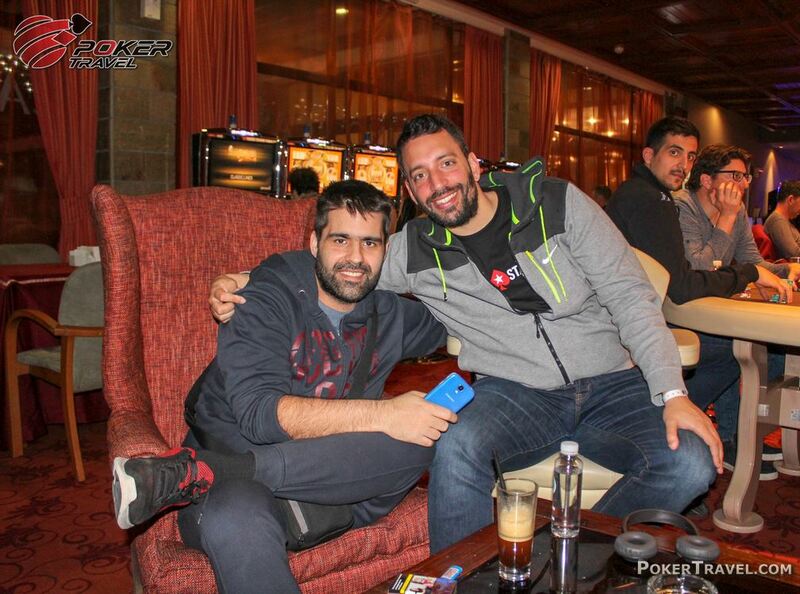 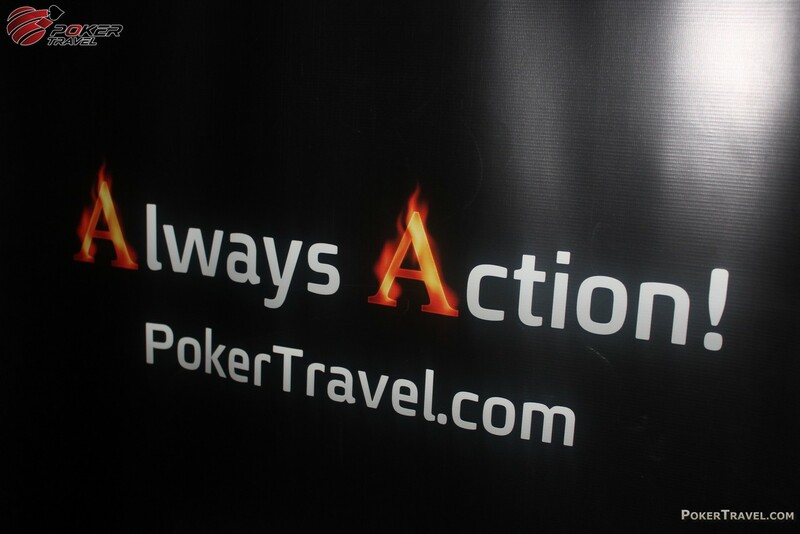 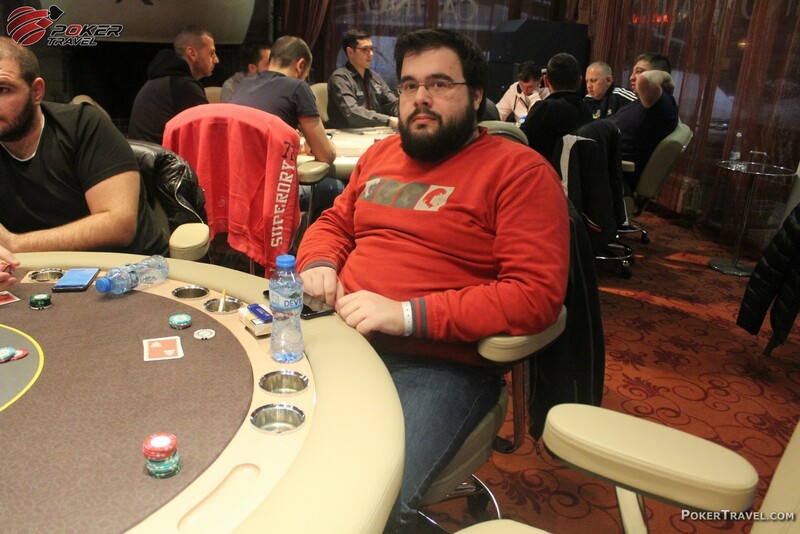 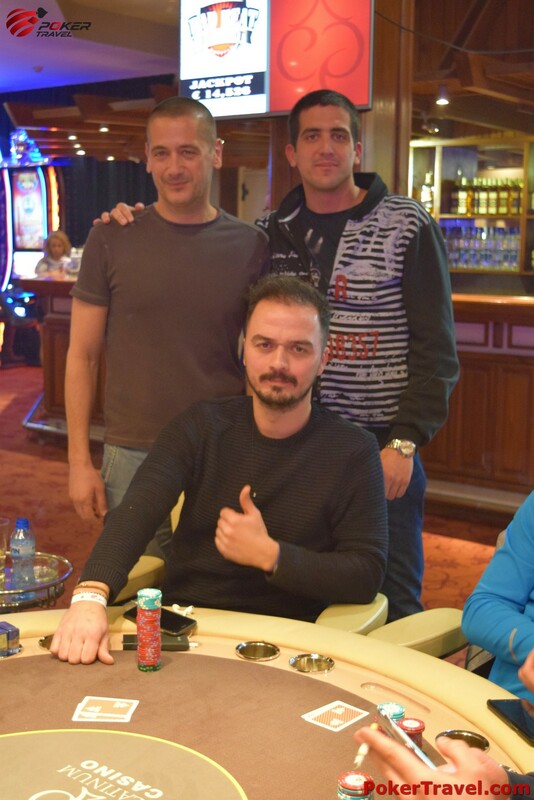 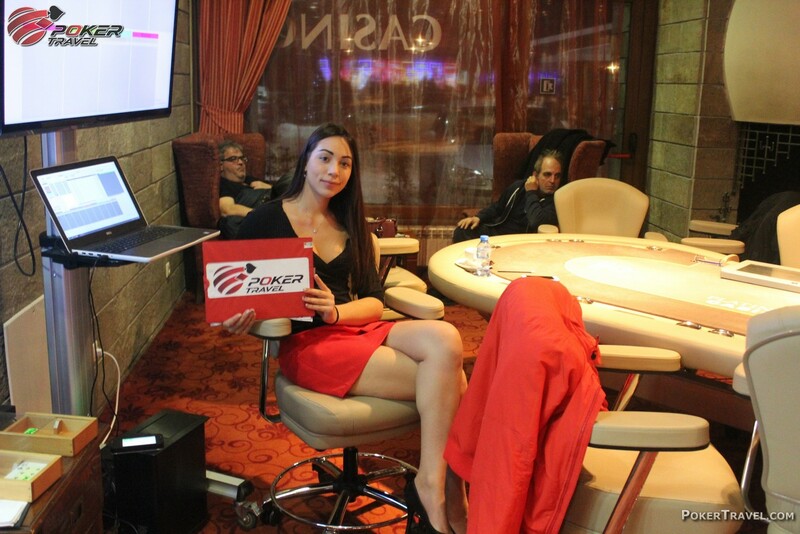 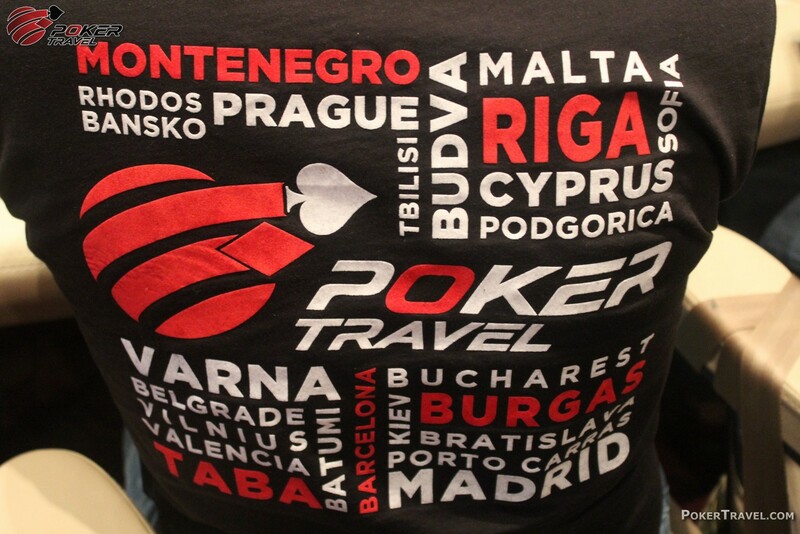 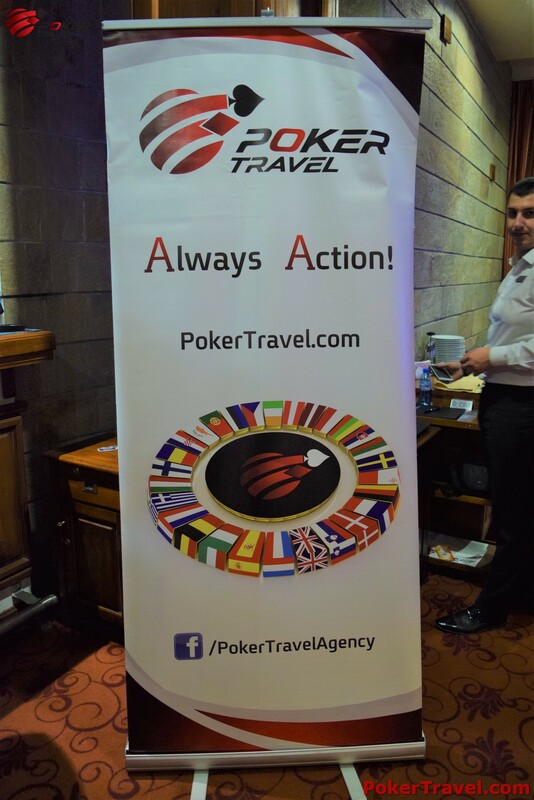 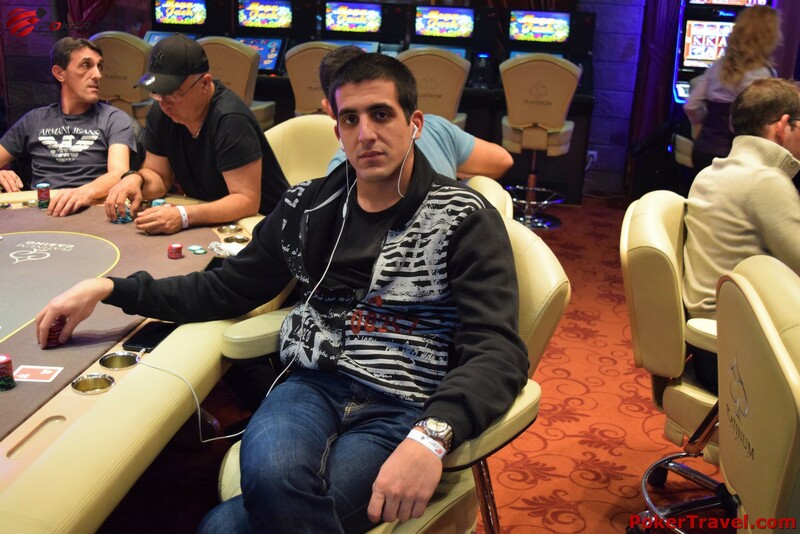 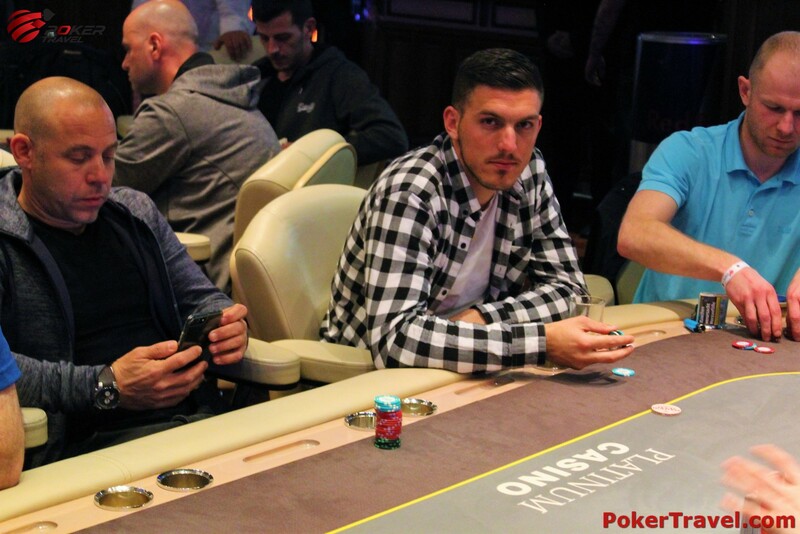 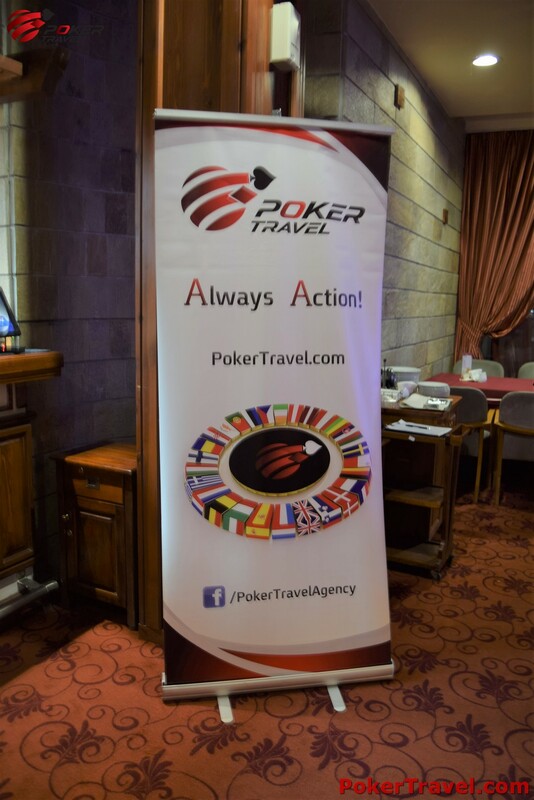 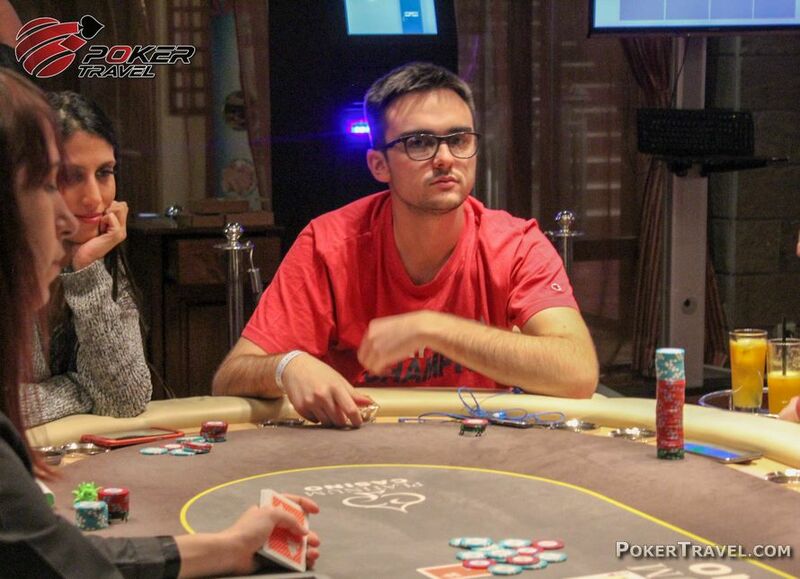 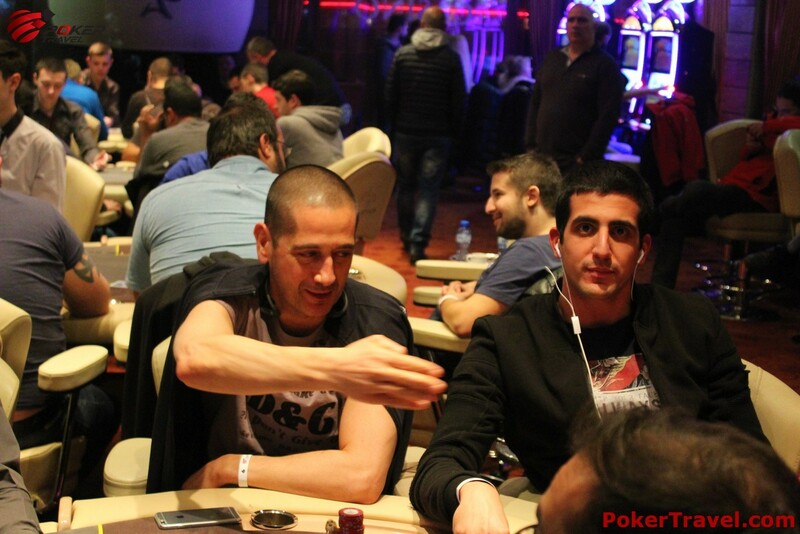 Bansko is the perfect location for your next poker vacation. 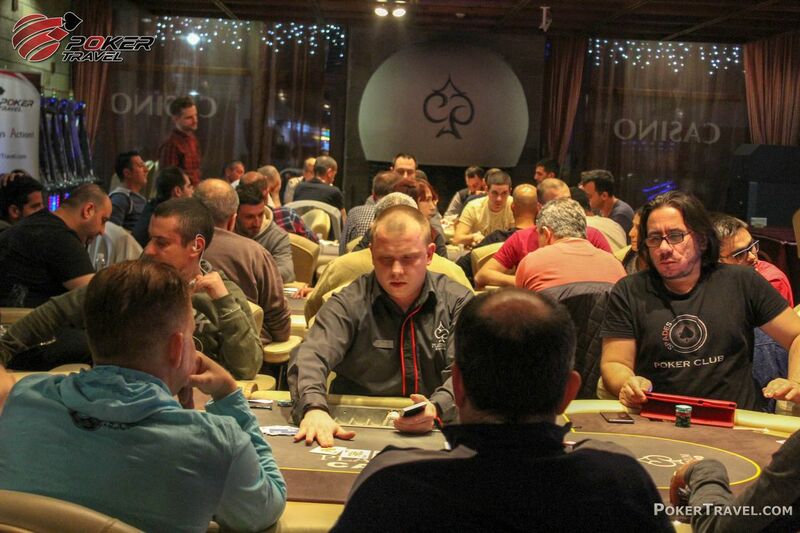 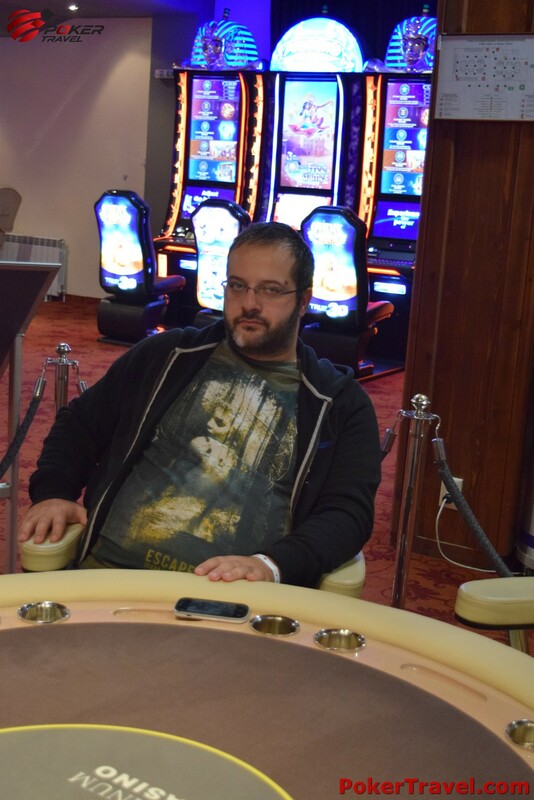 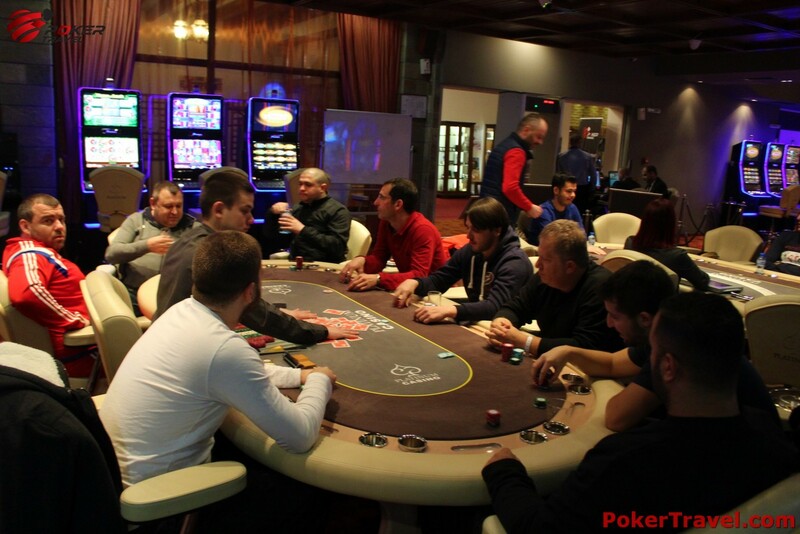 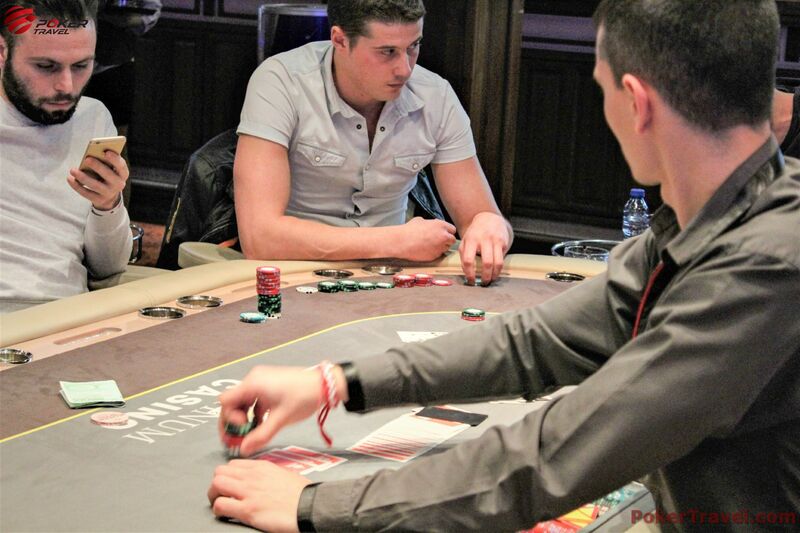 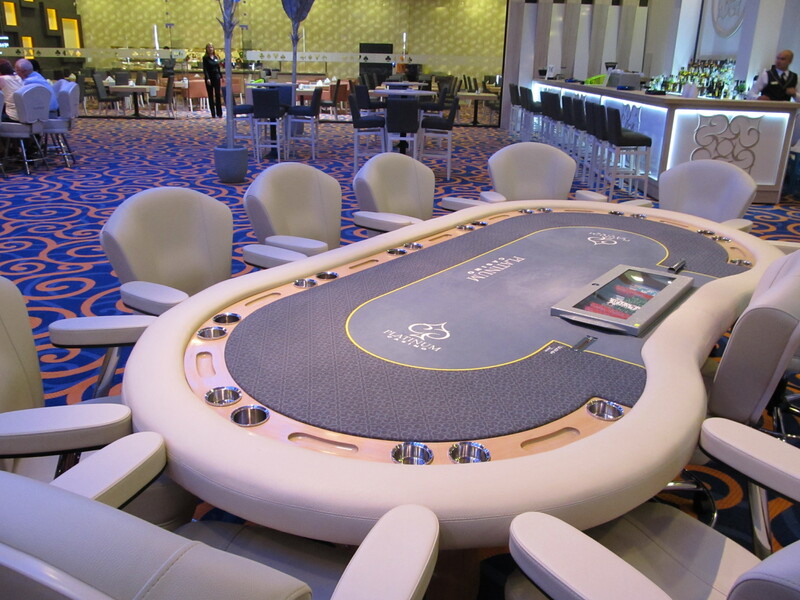 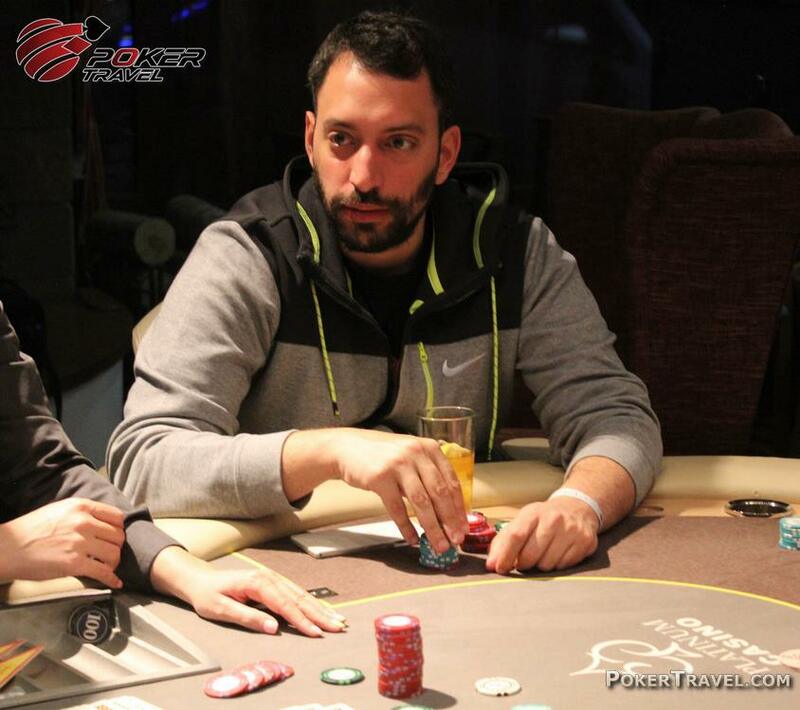 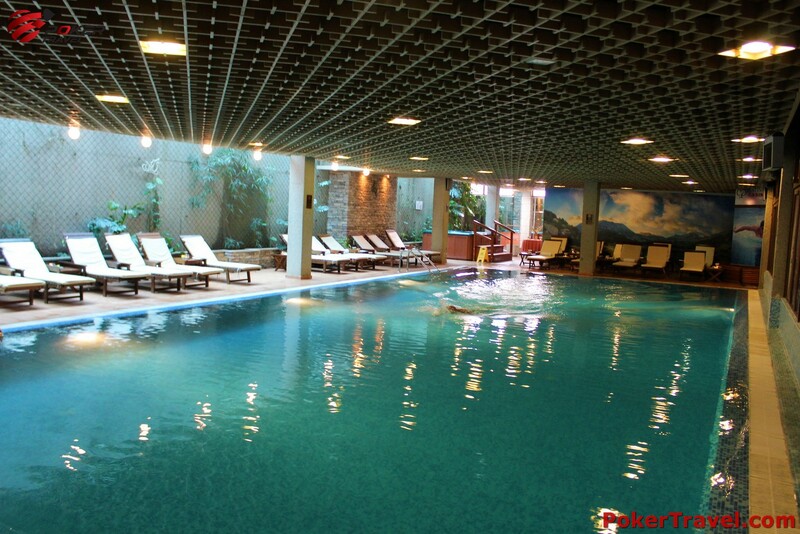 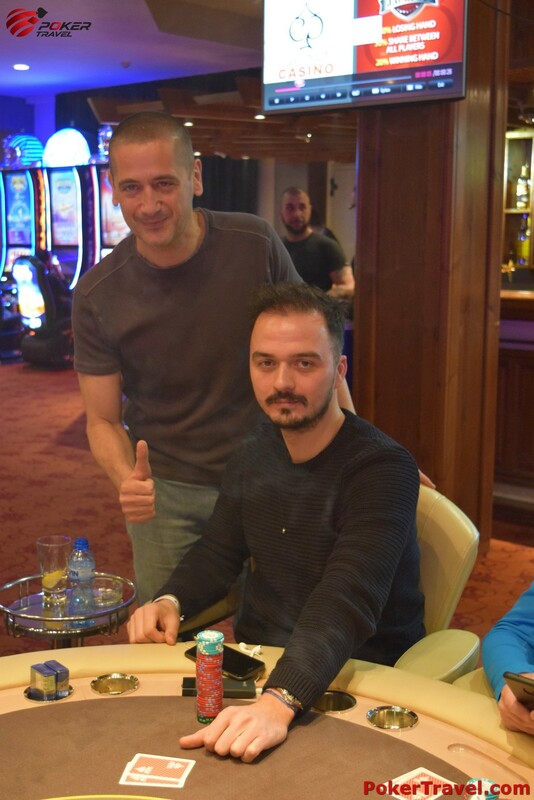 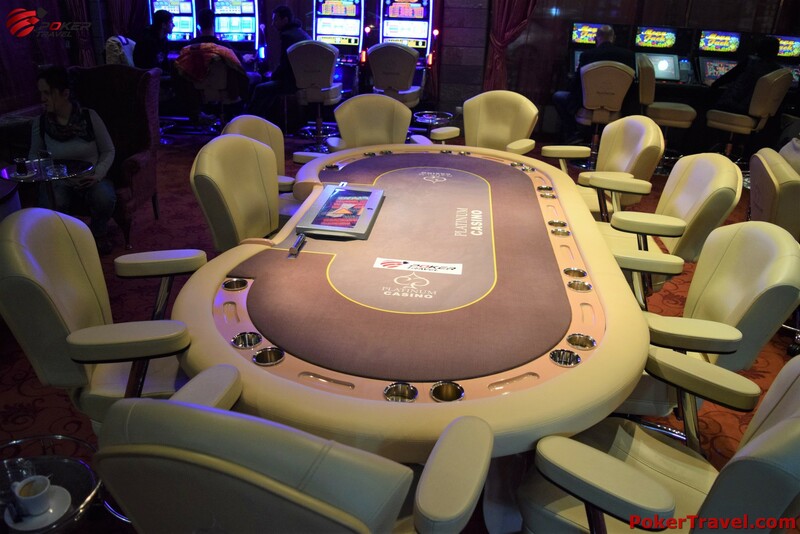 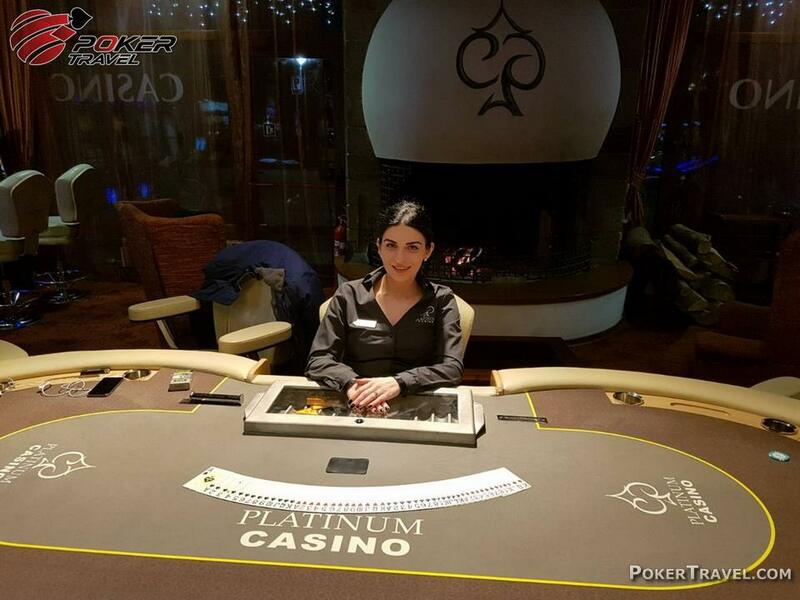 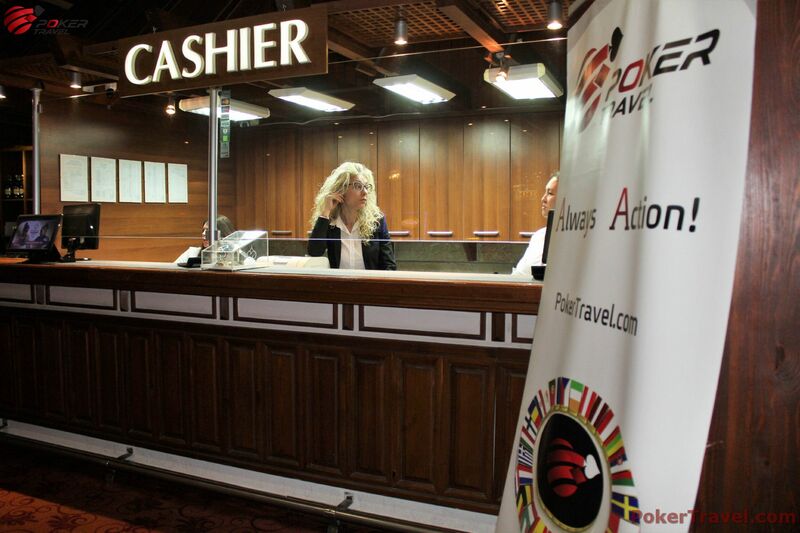 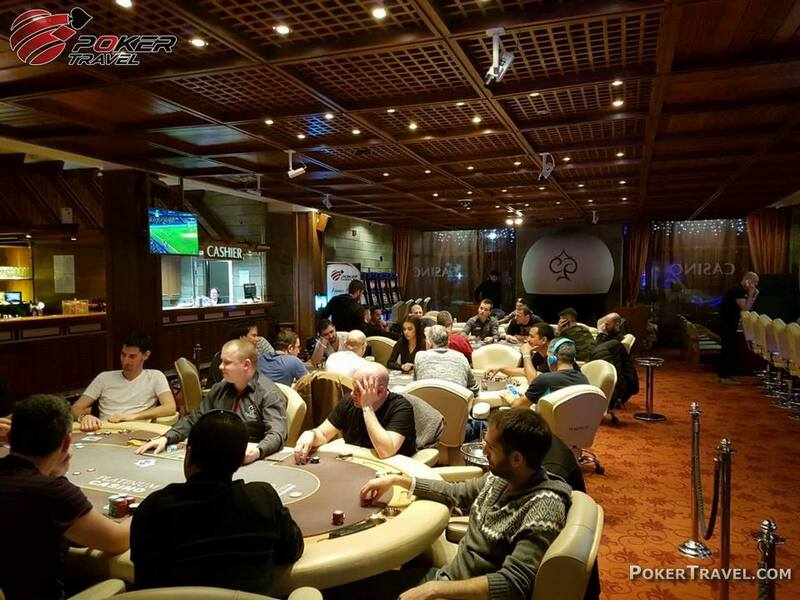 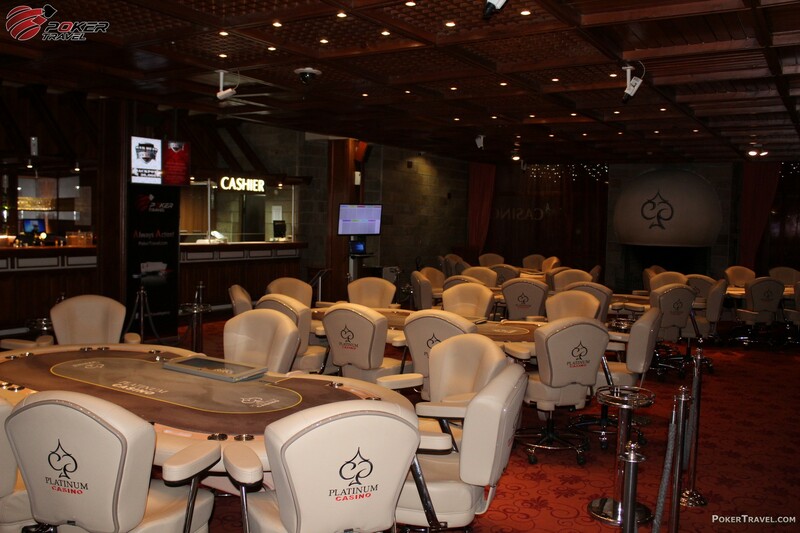 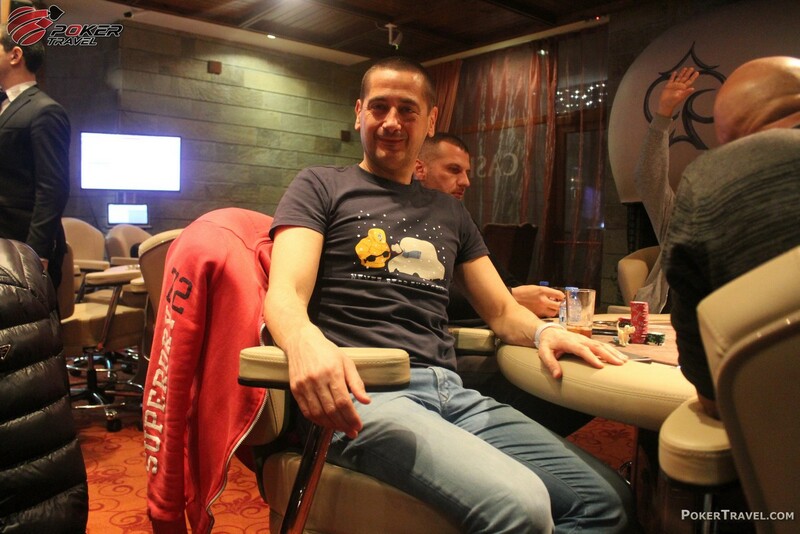 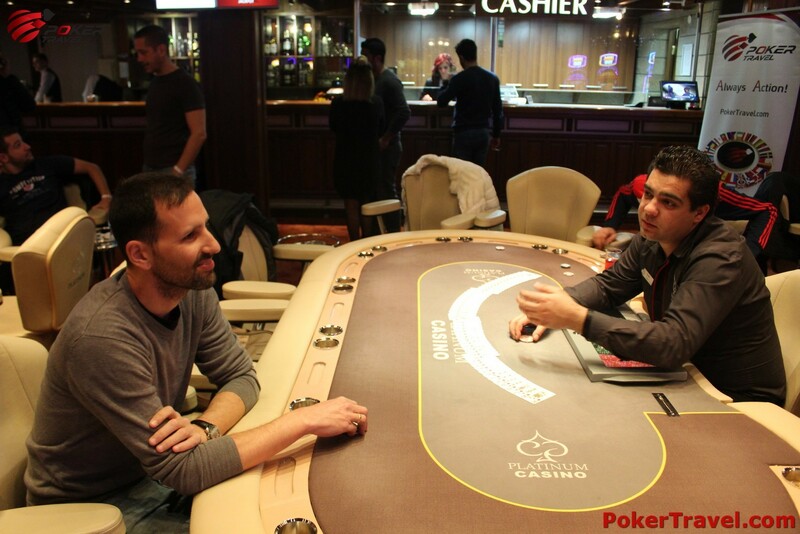 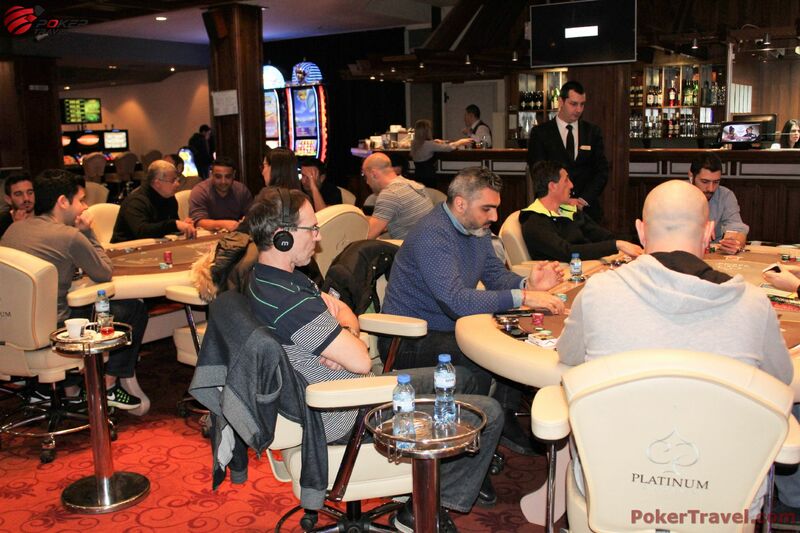 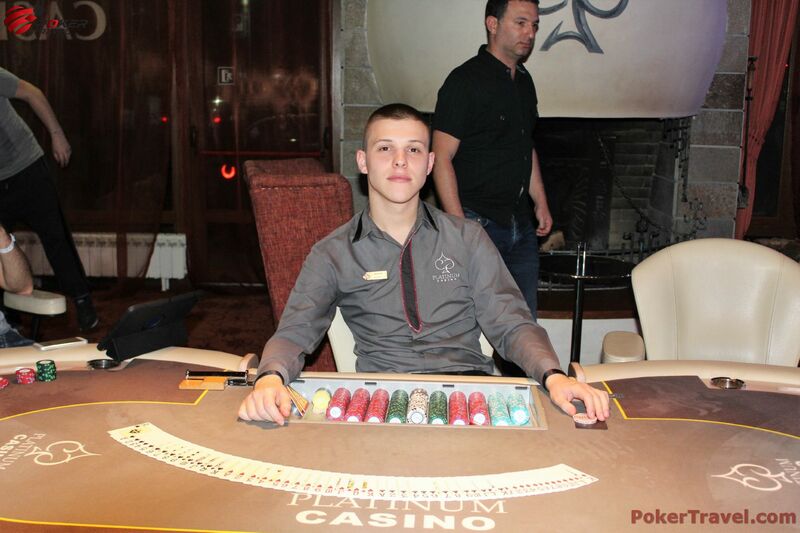 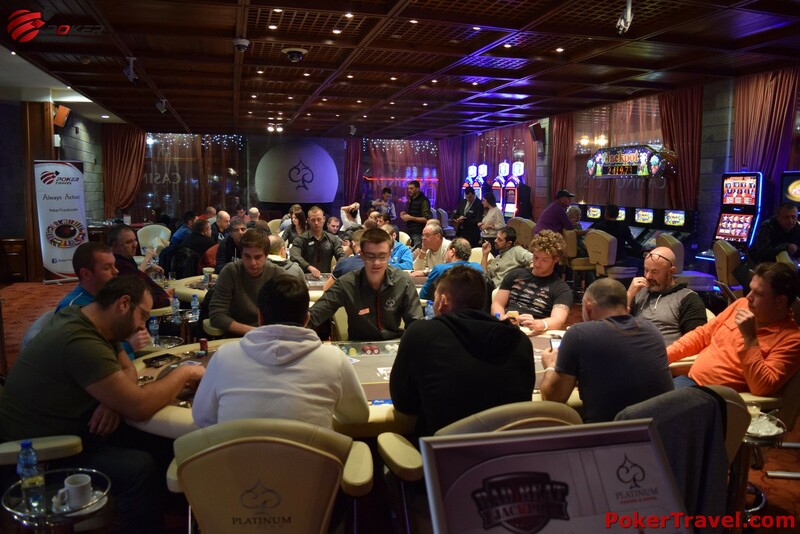 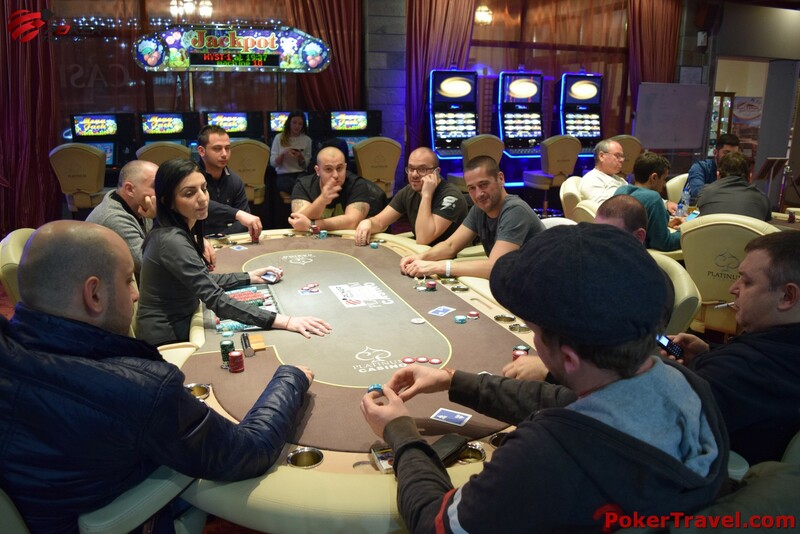 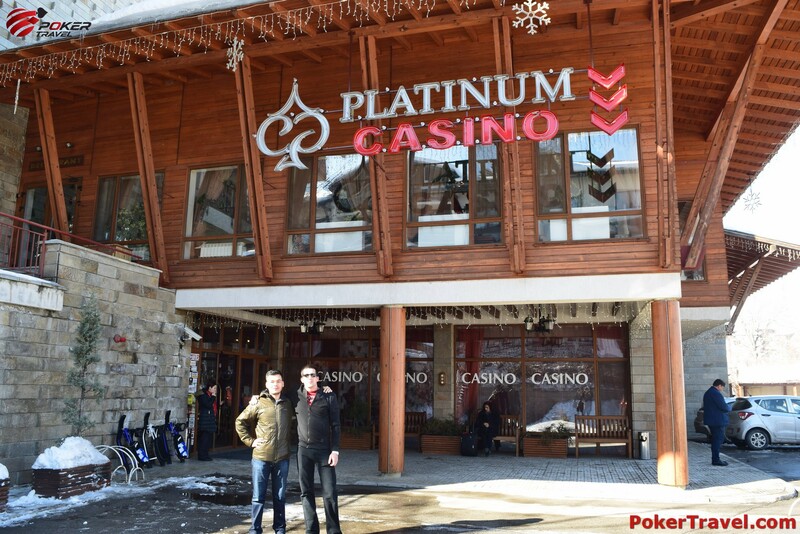 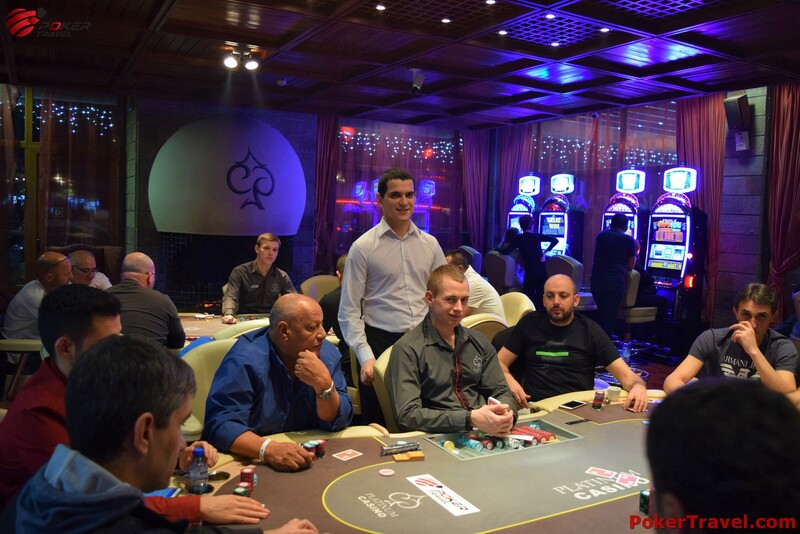 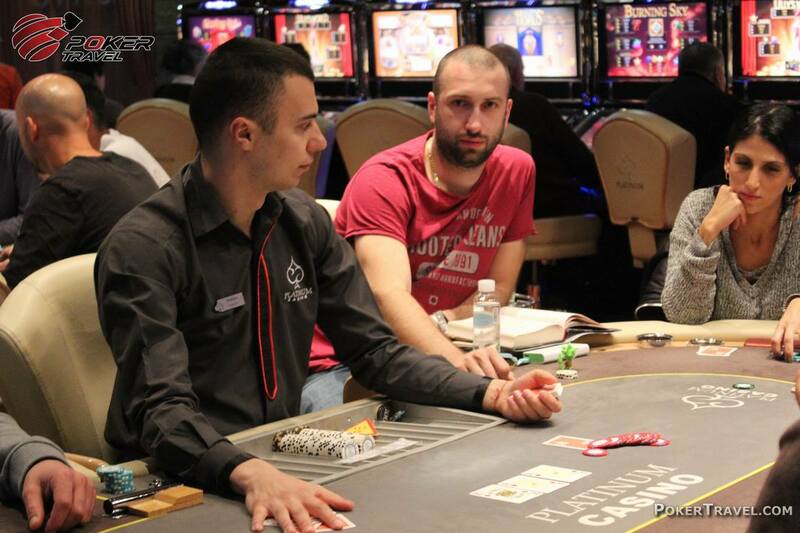 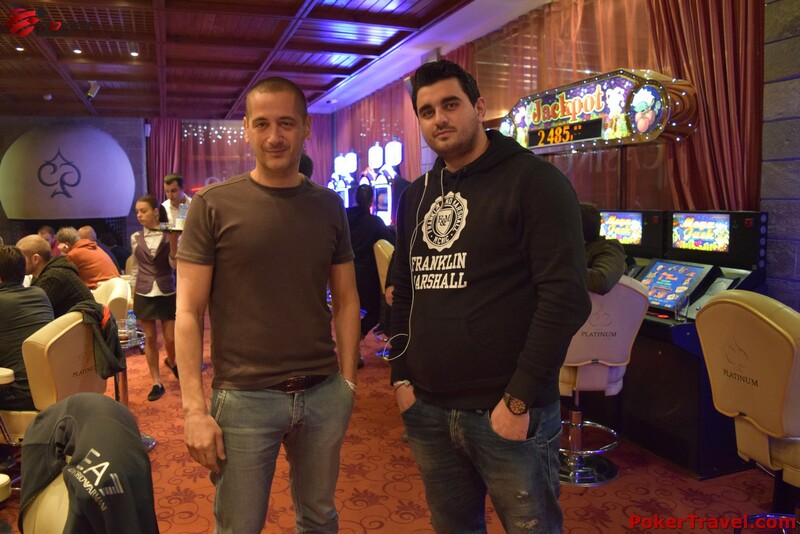 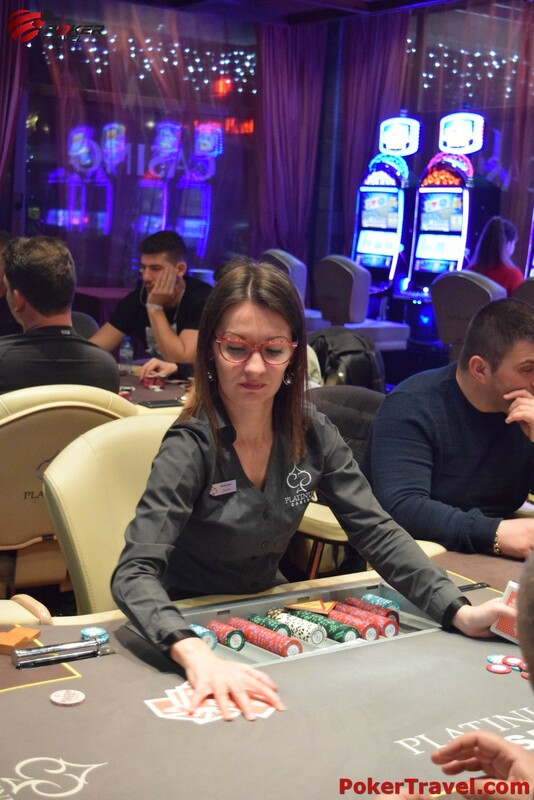 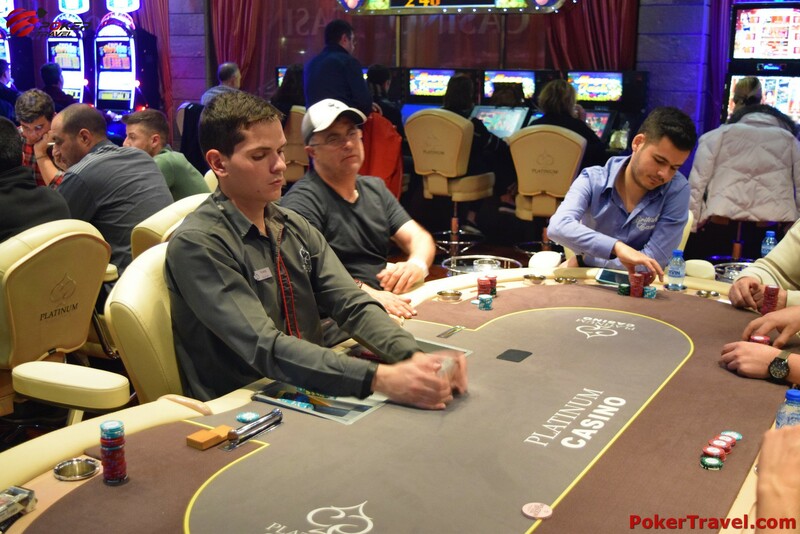 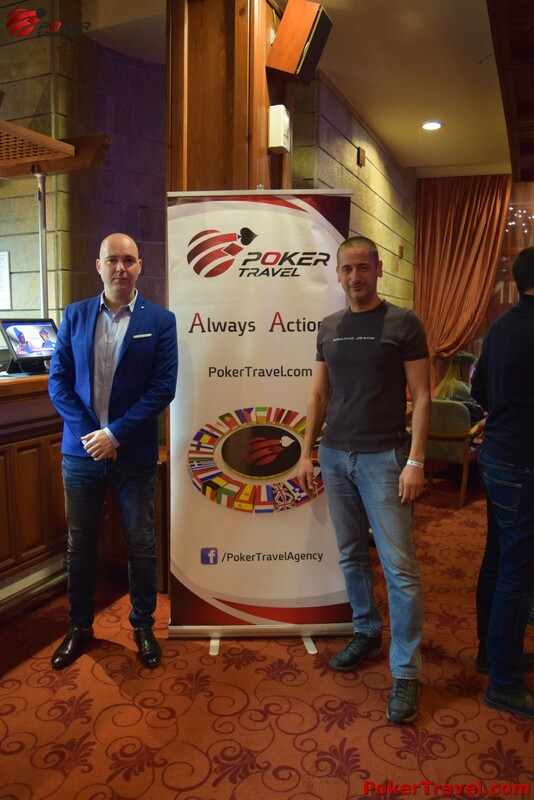 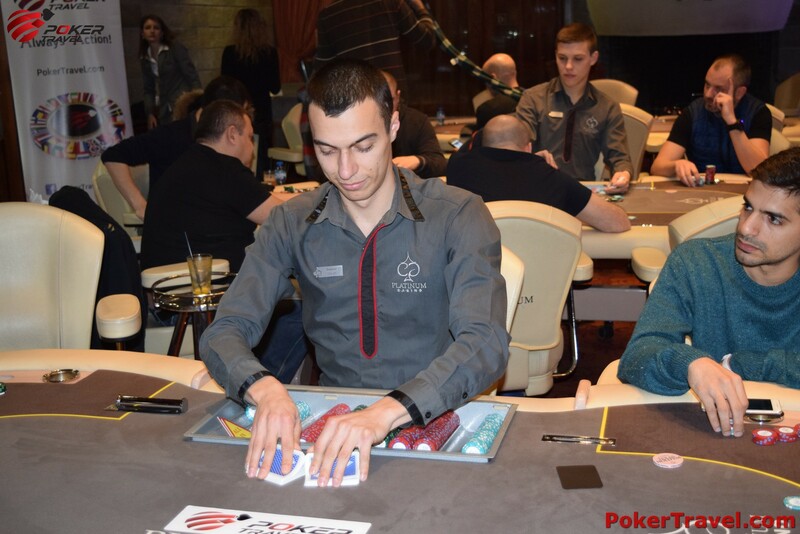 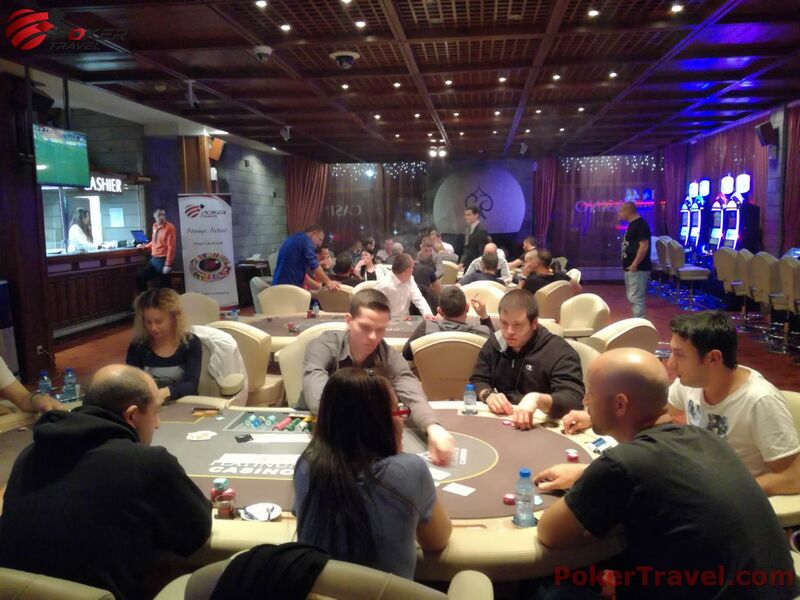 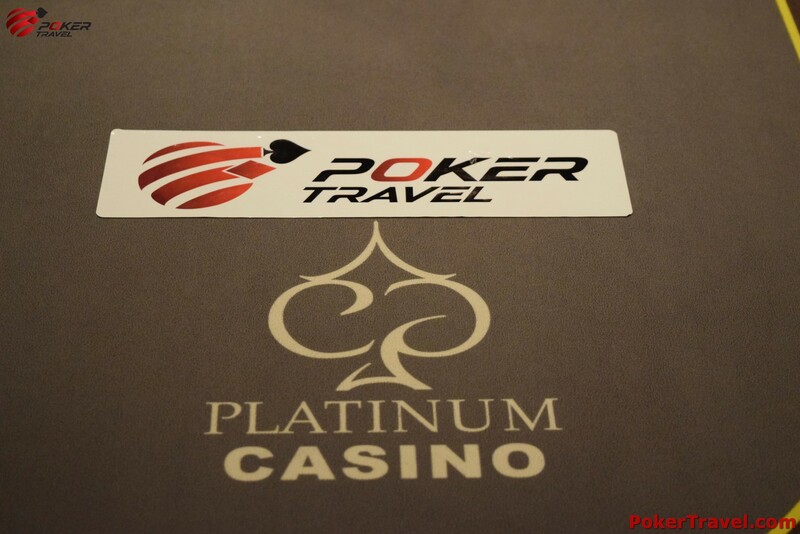 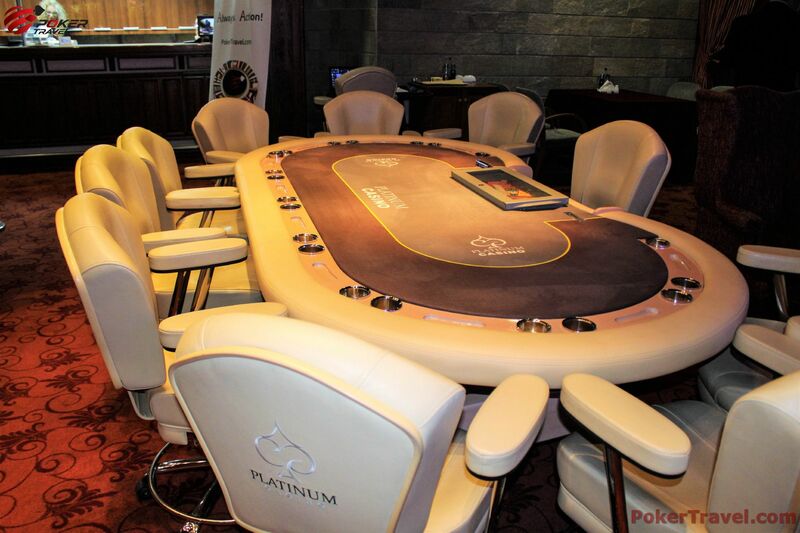 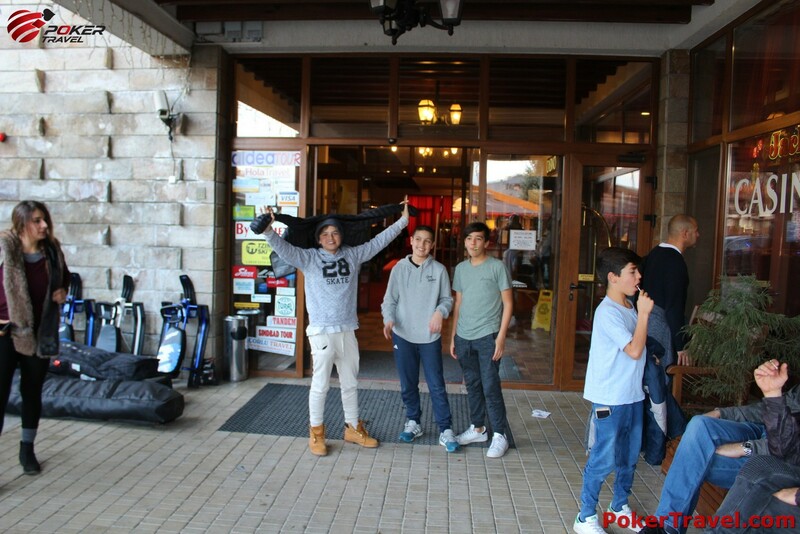 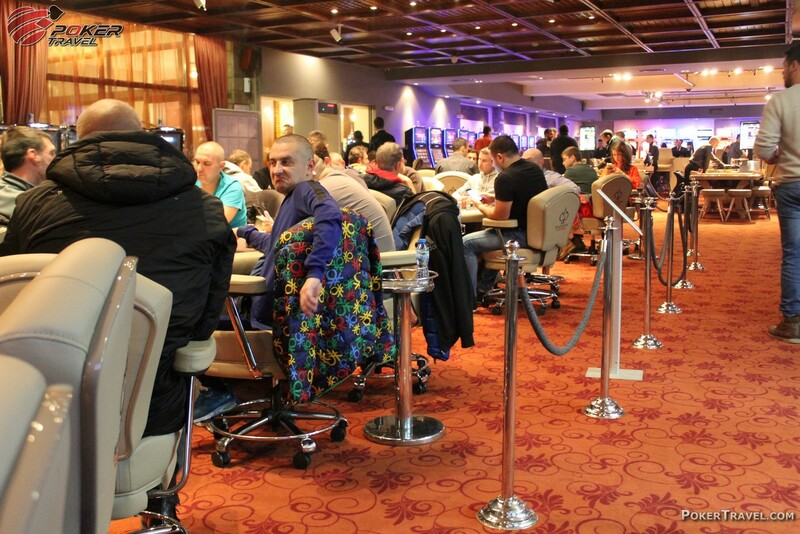 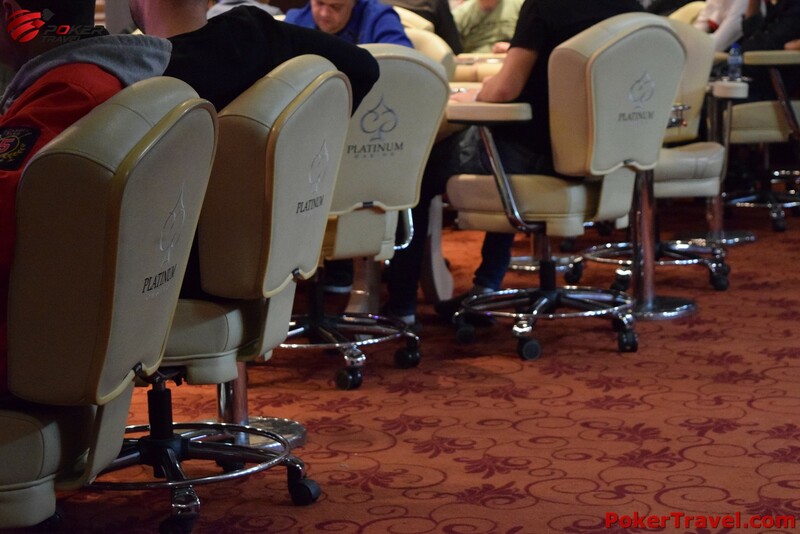 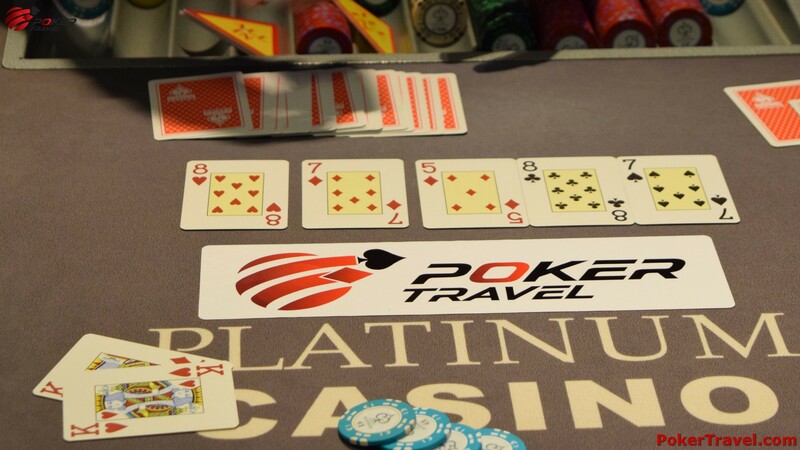 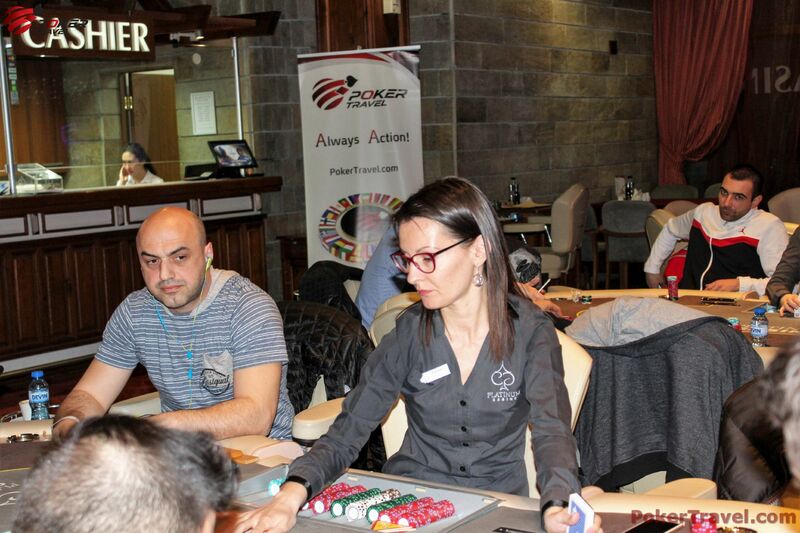 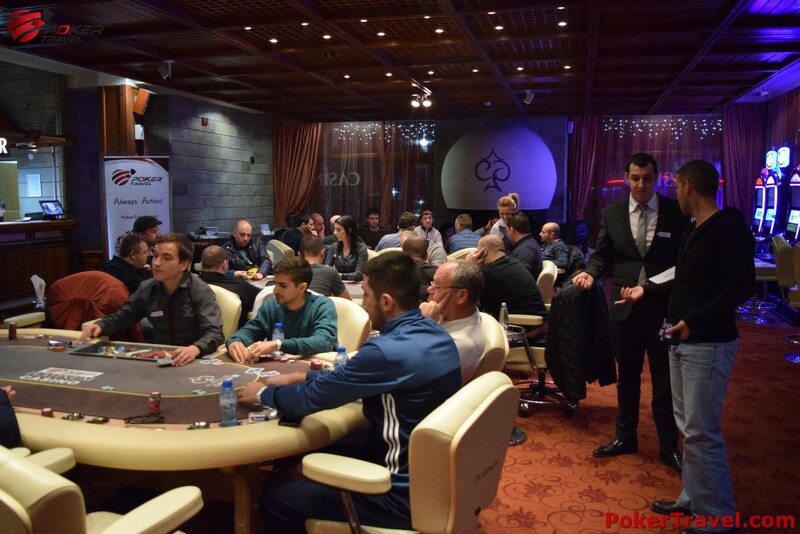 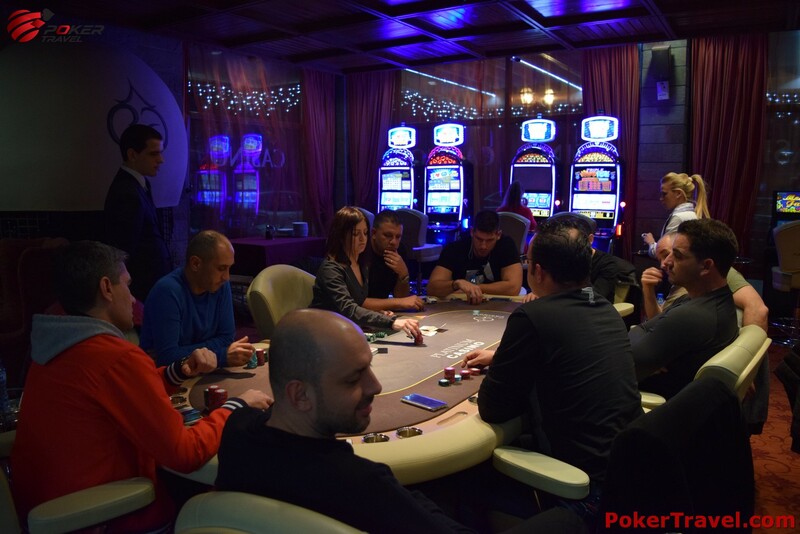 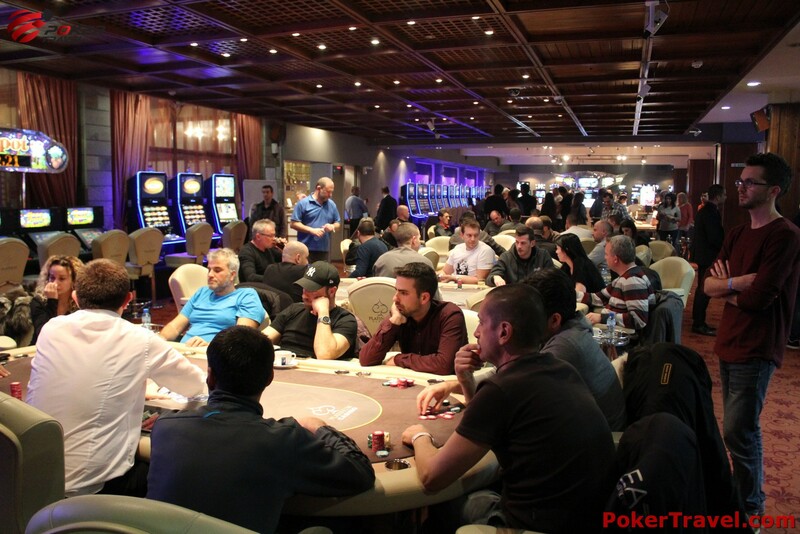 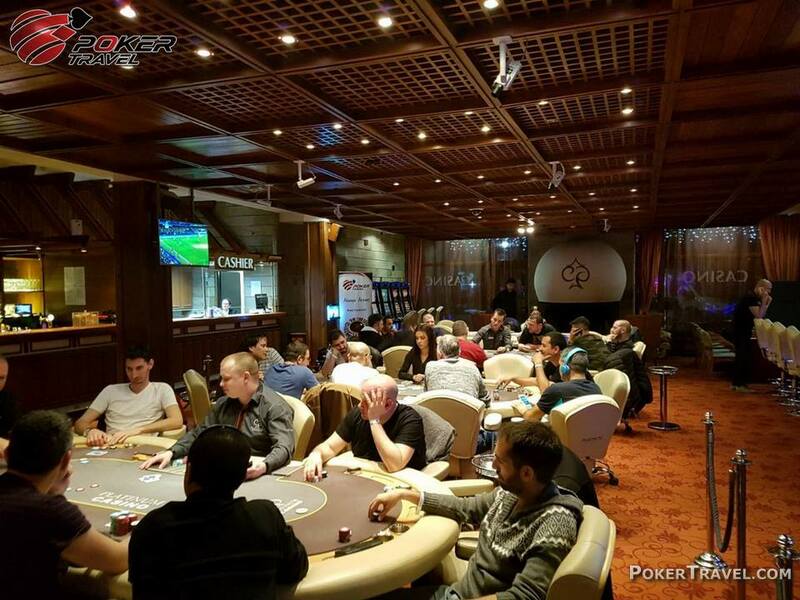 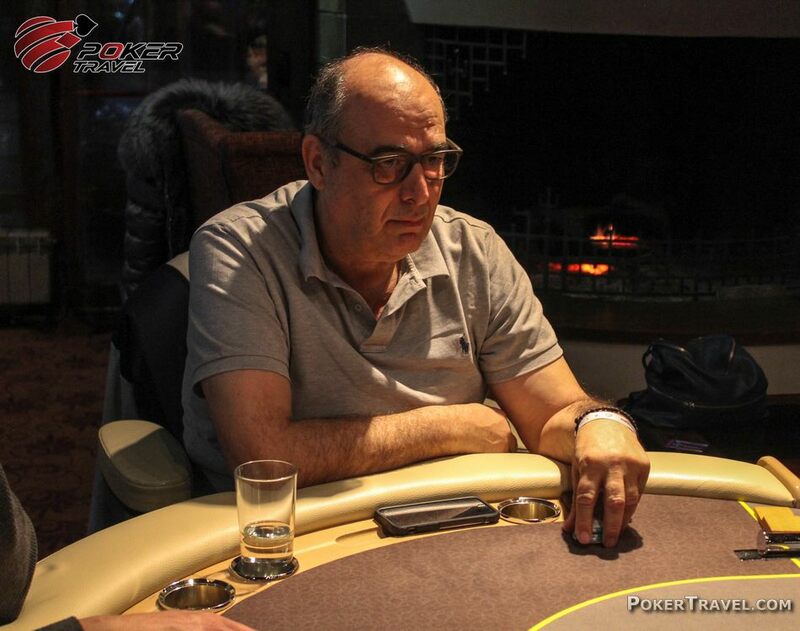 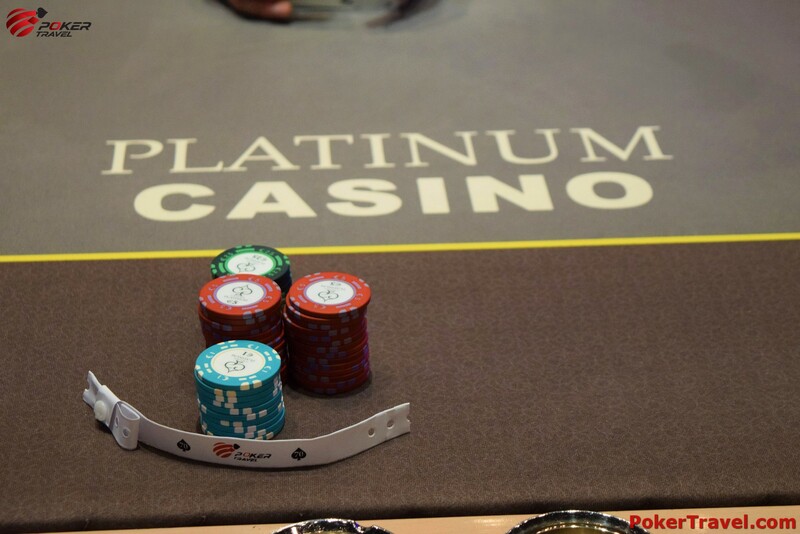 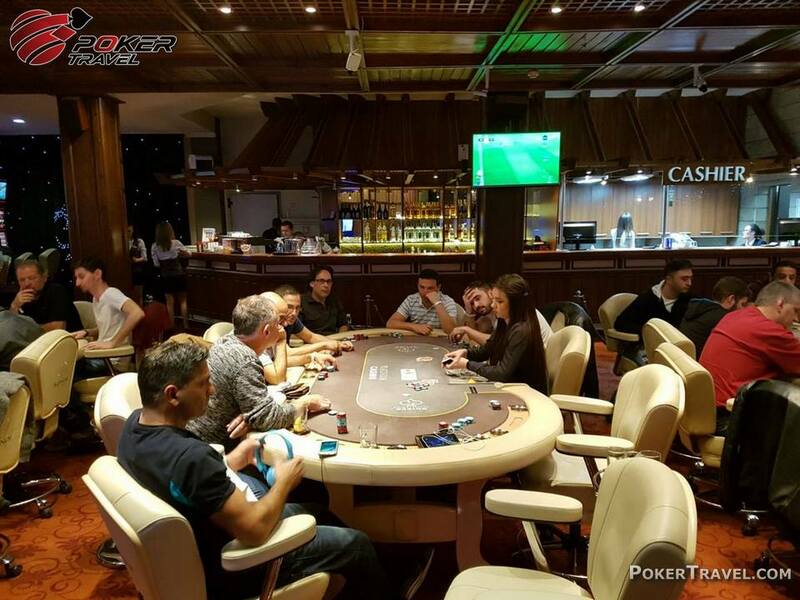 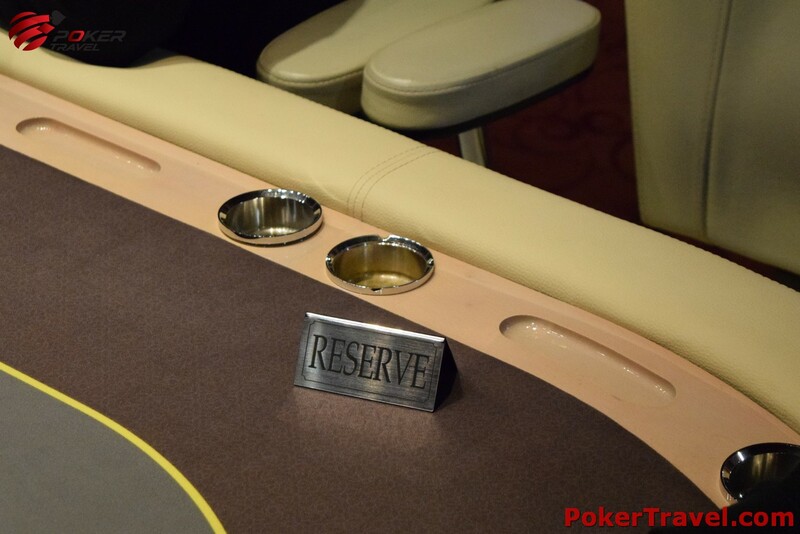 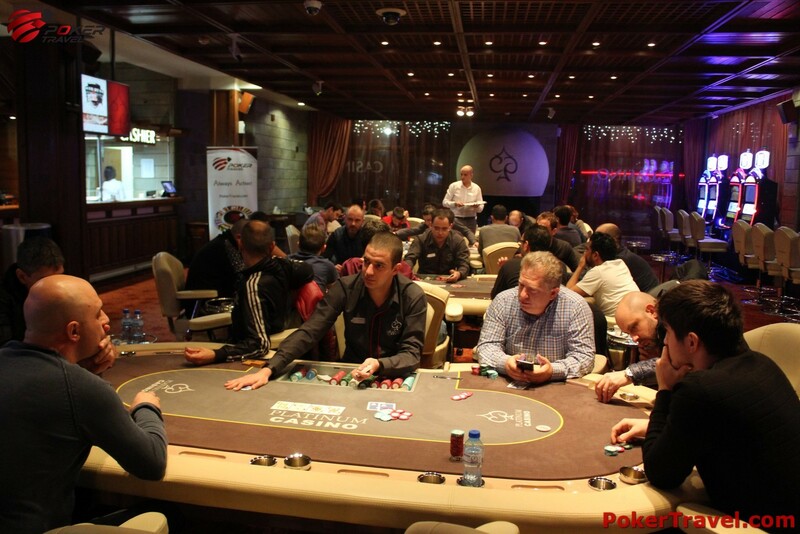 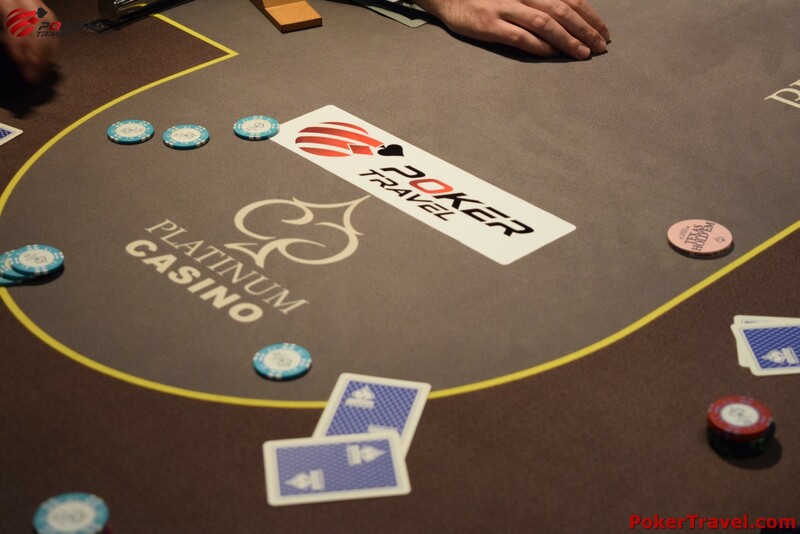 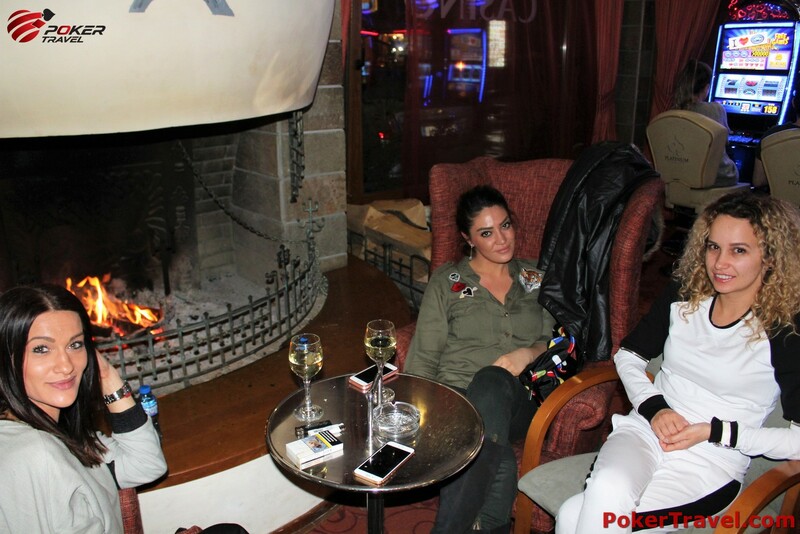 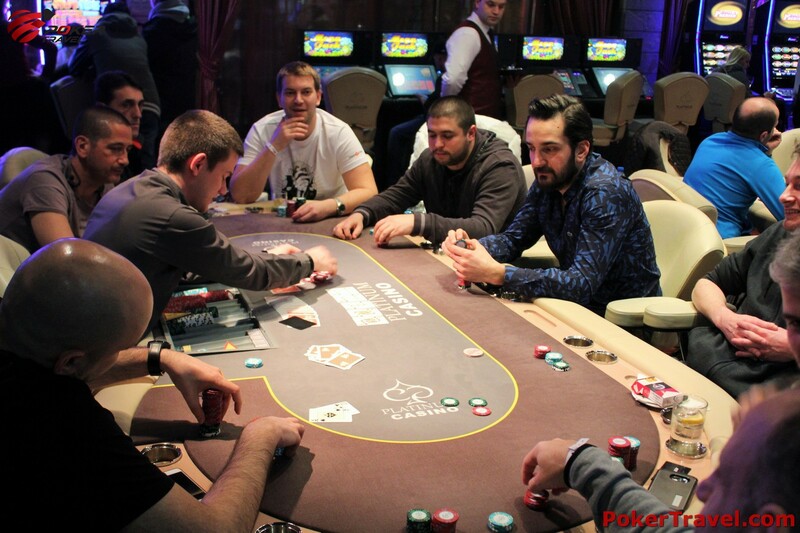 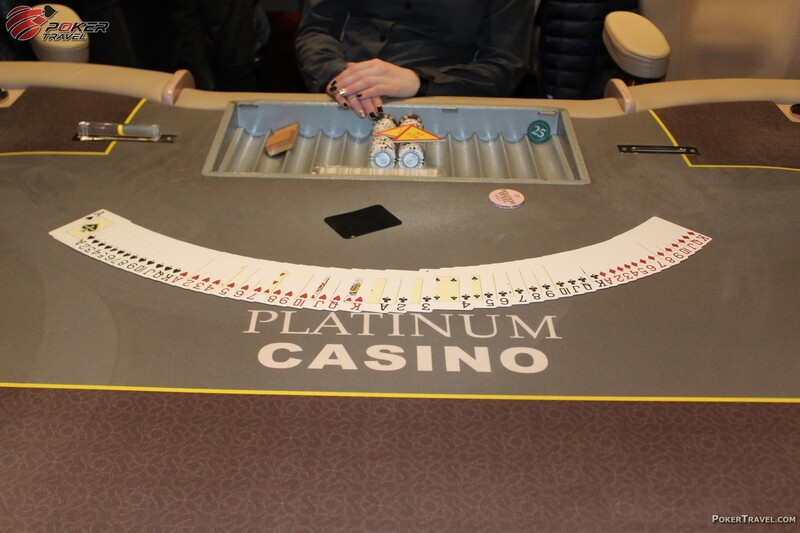 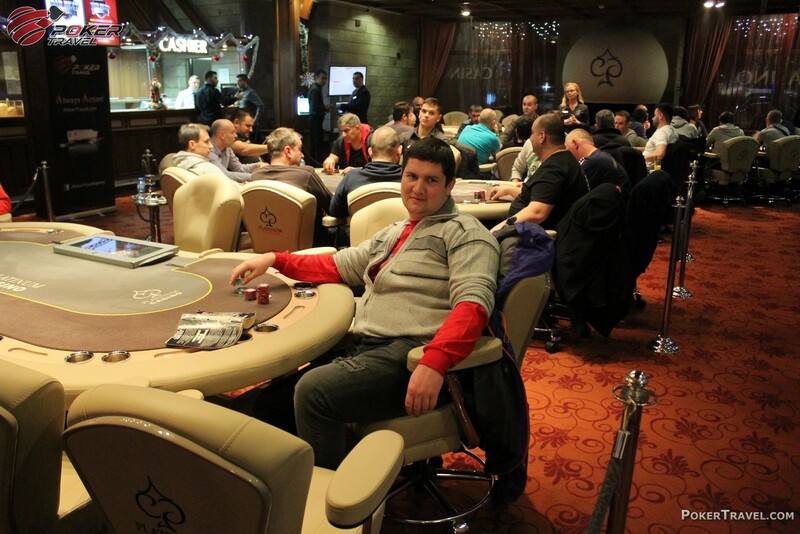 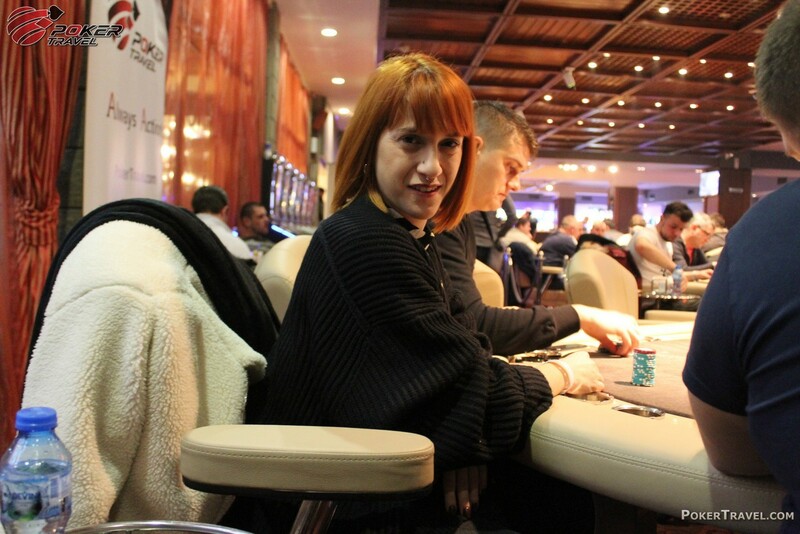 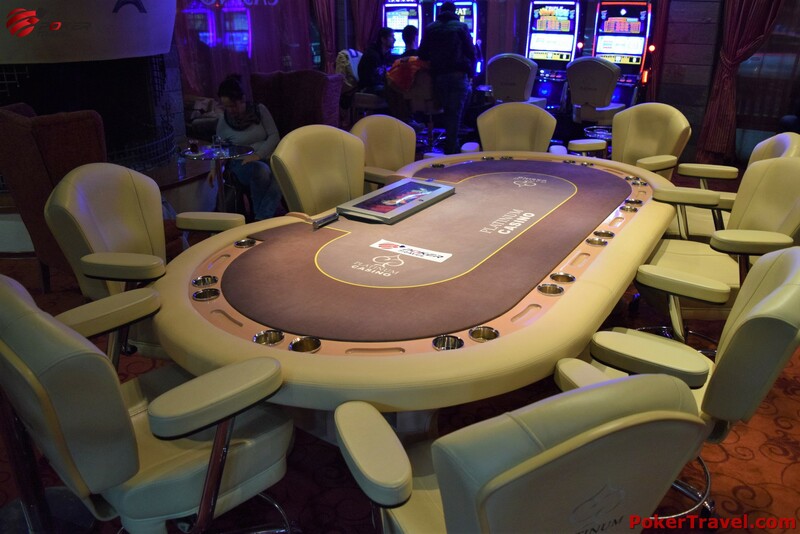 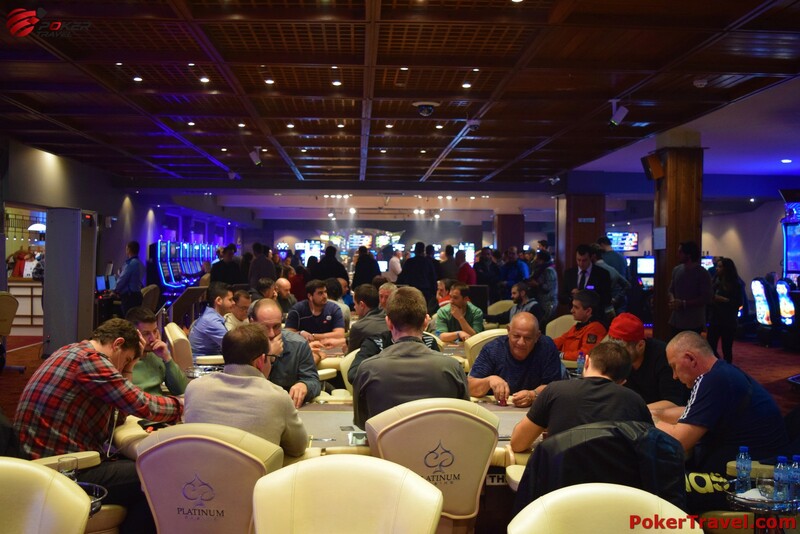 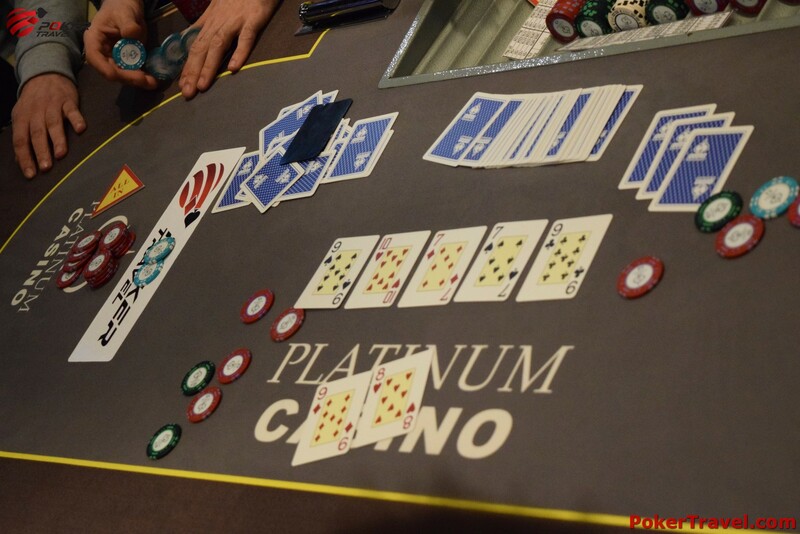 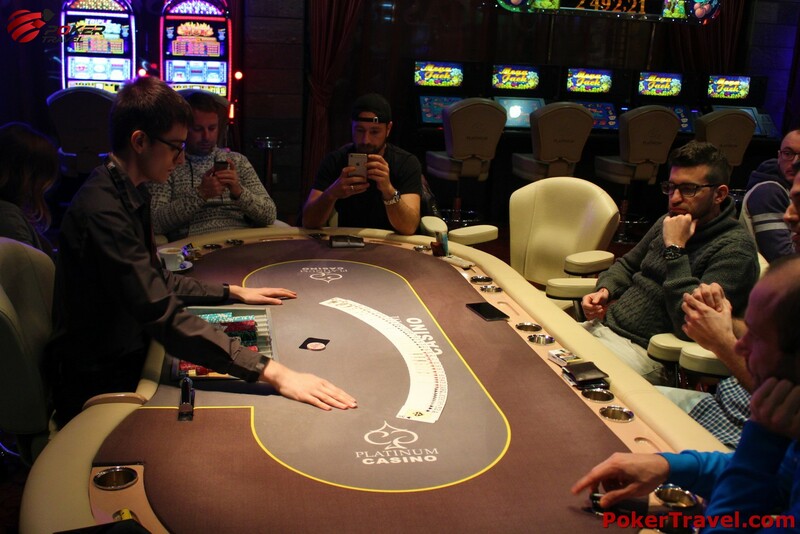 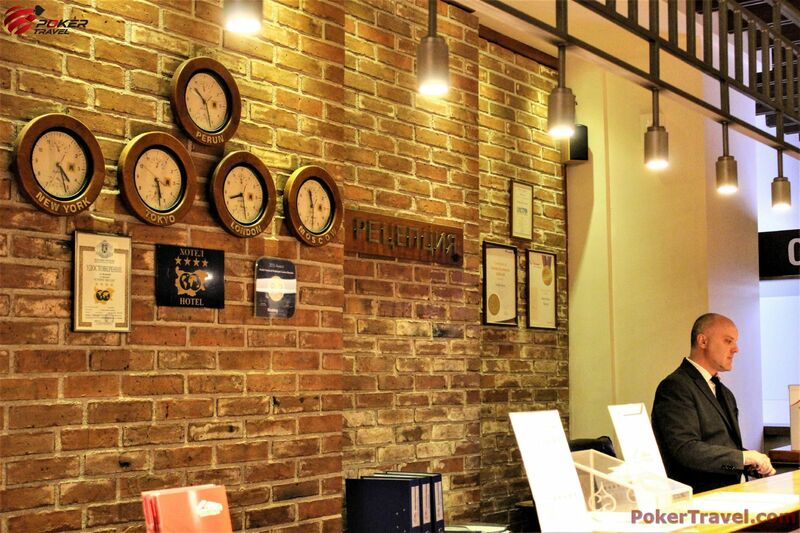 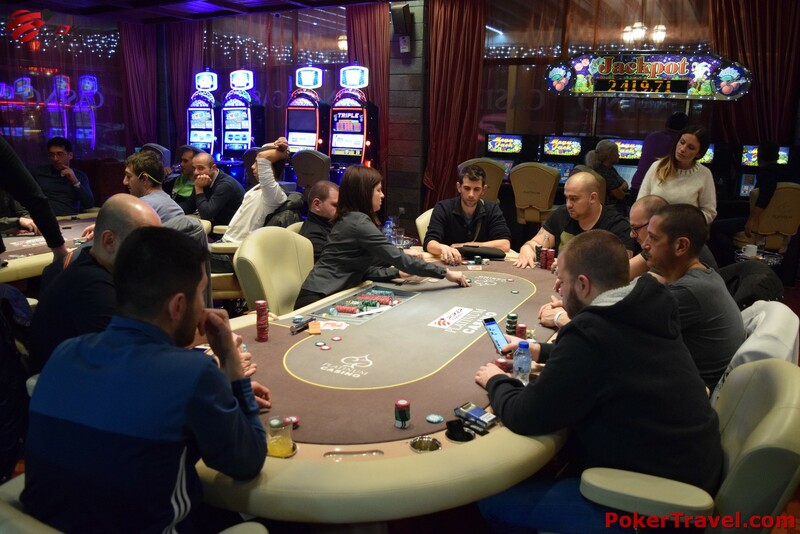 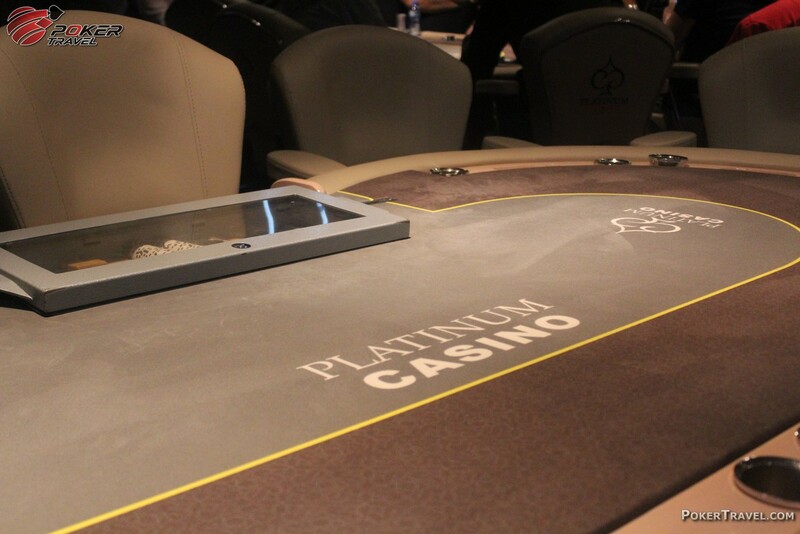 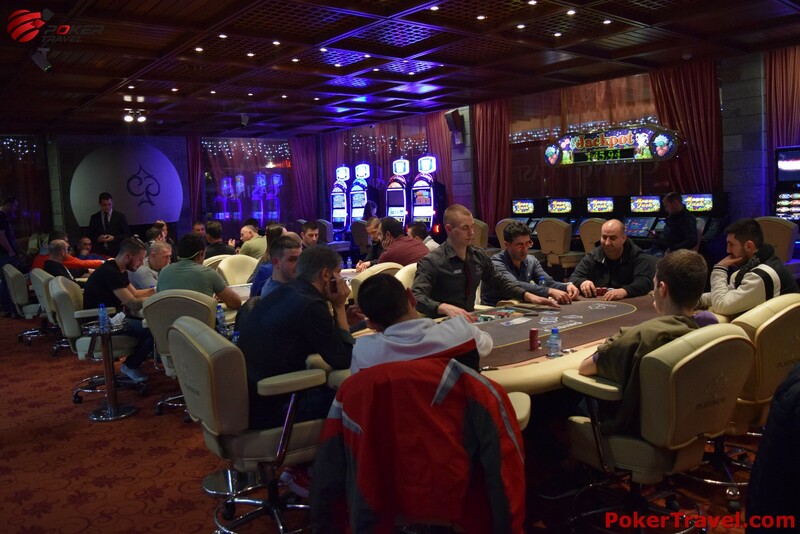 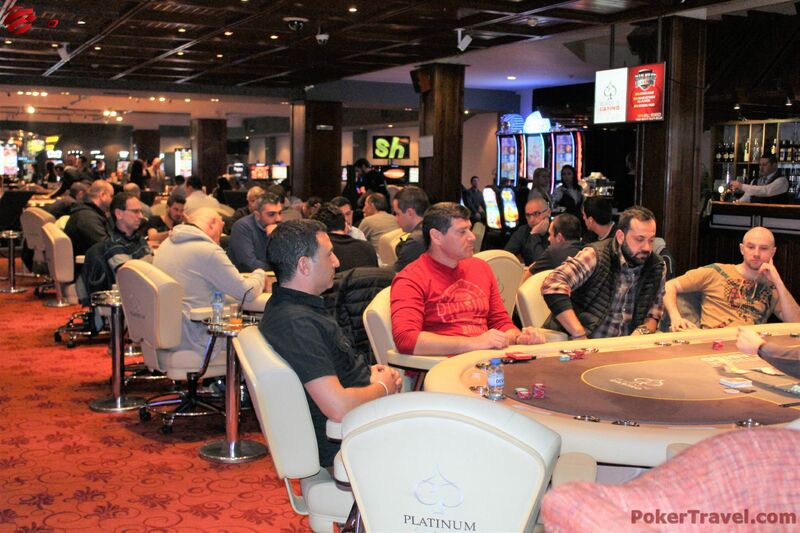 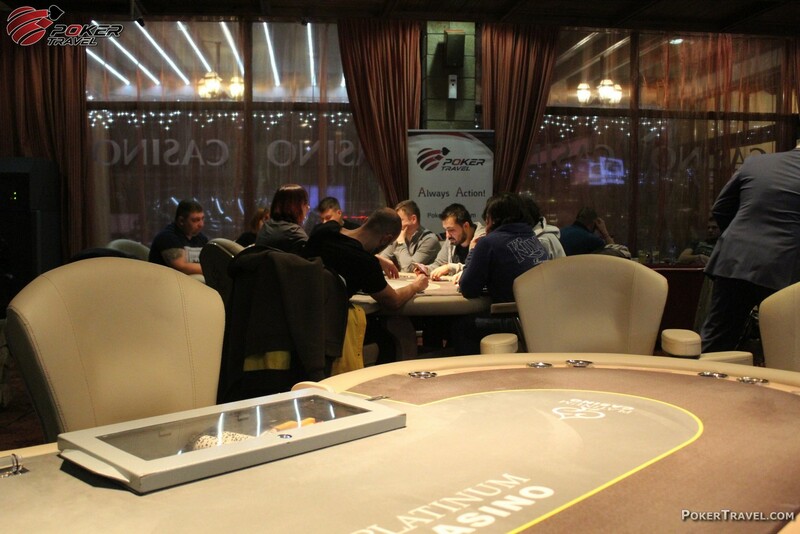 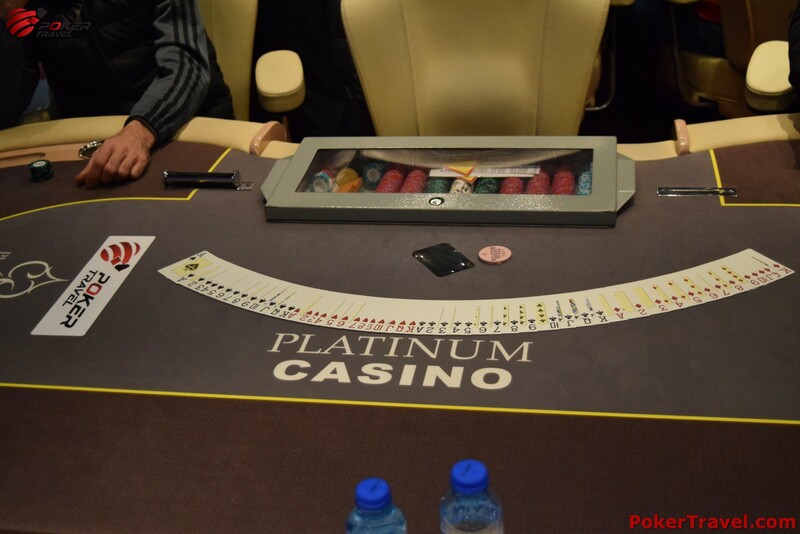 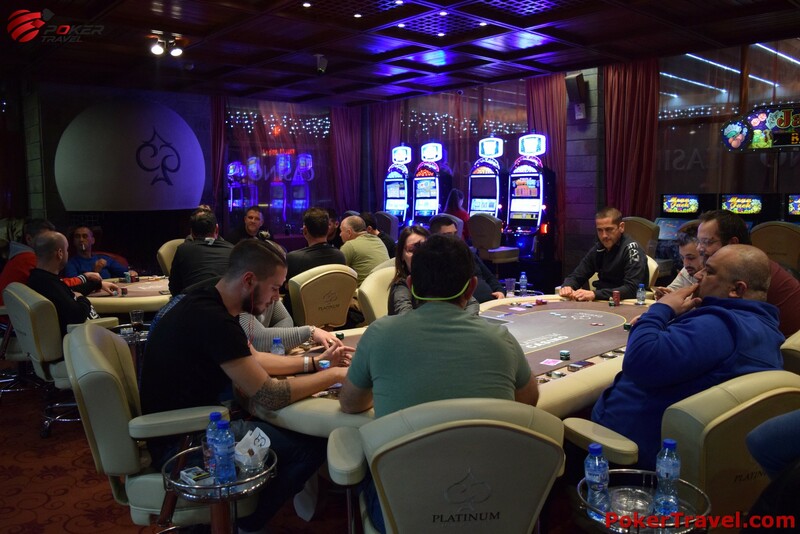 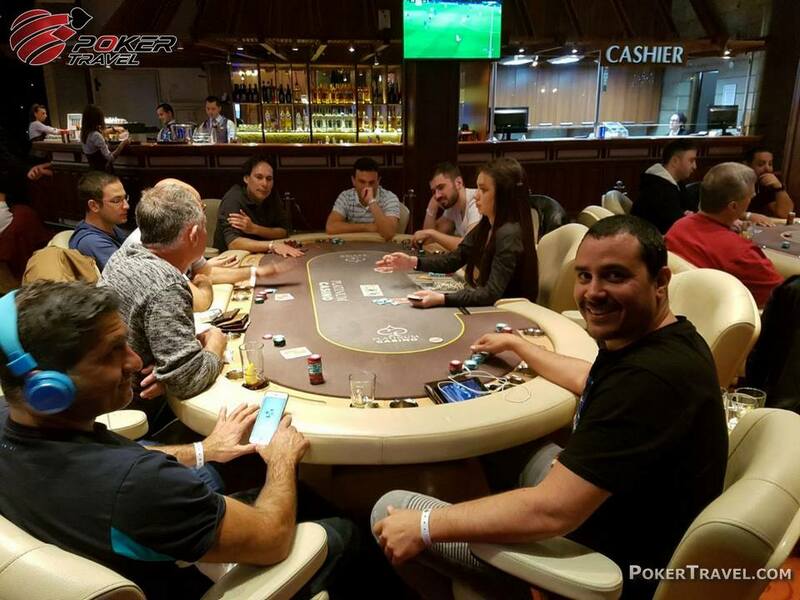 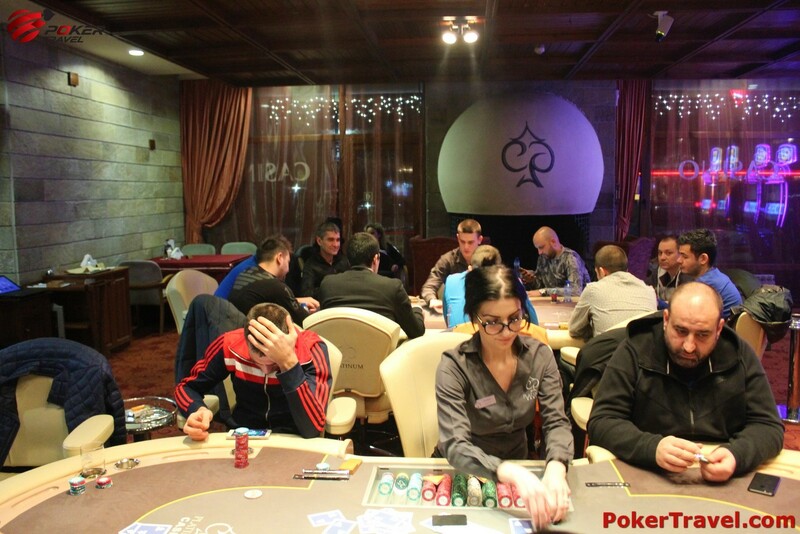 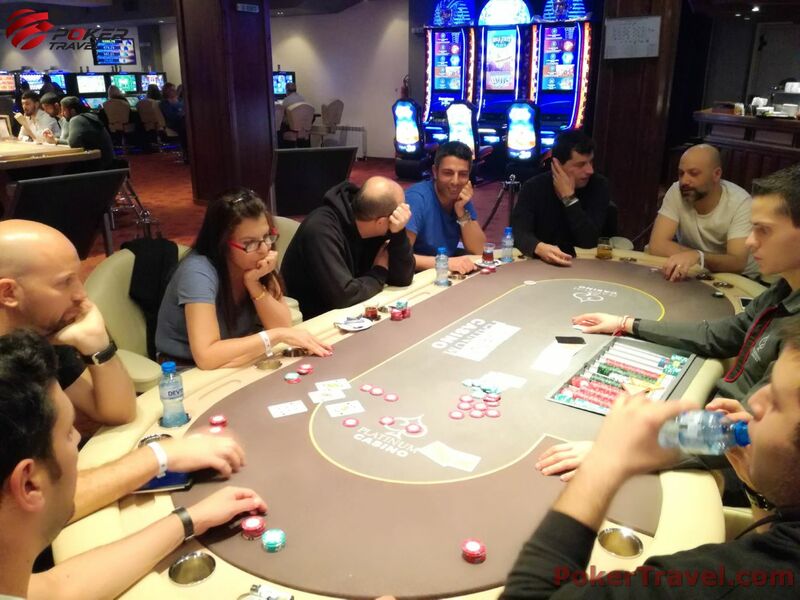 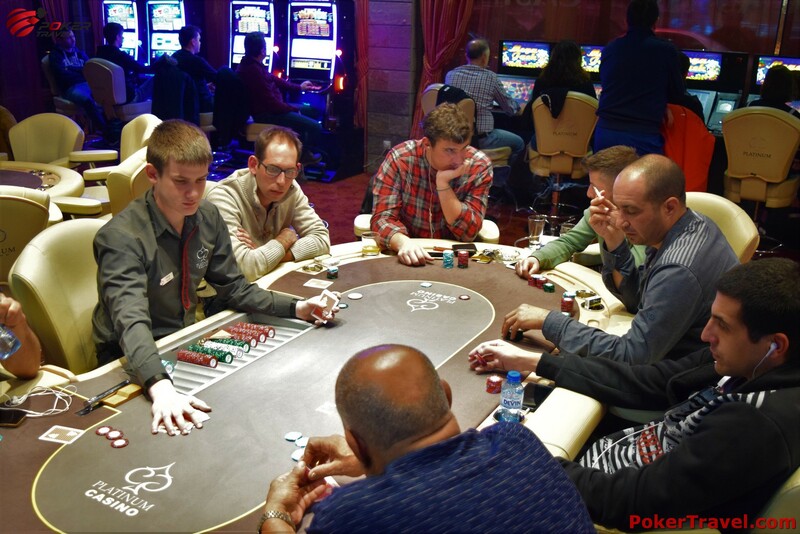 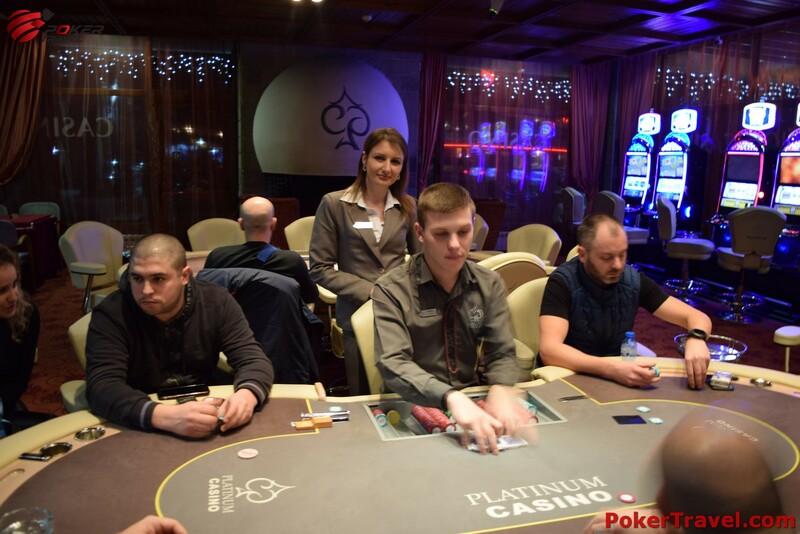 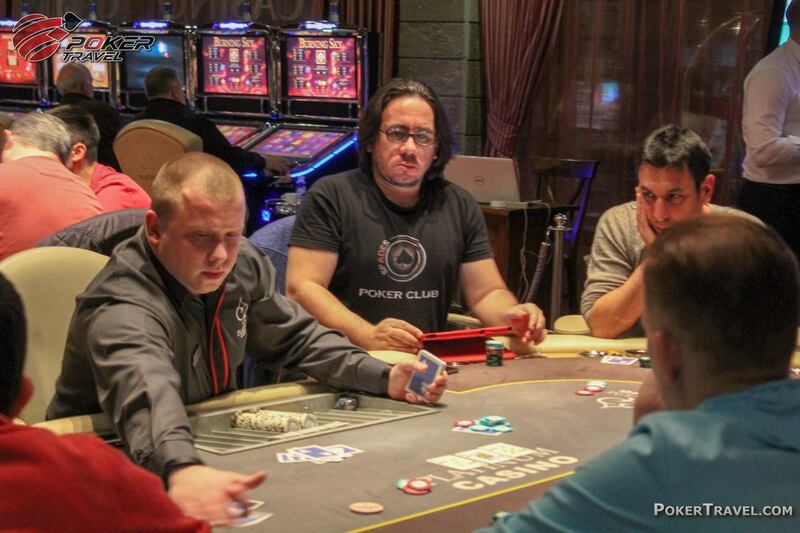 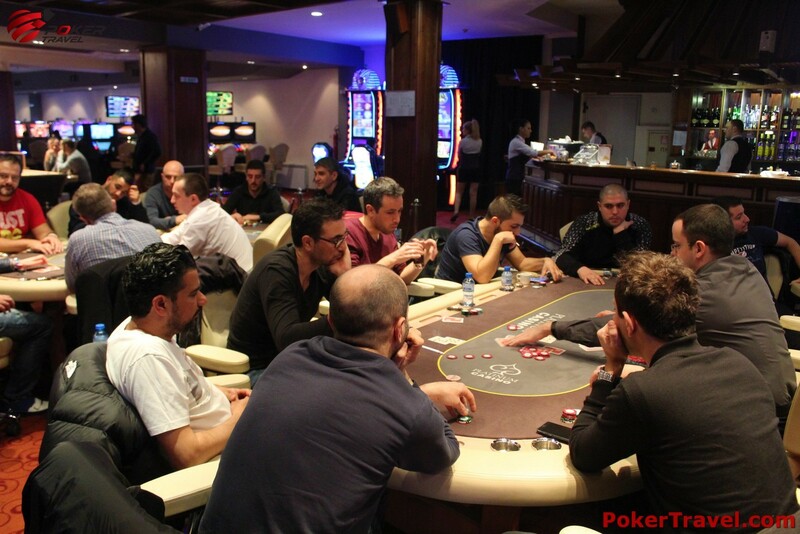 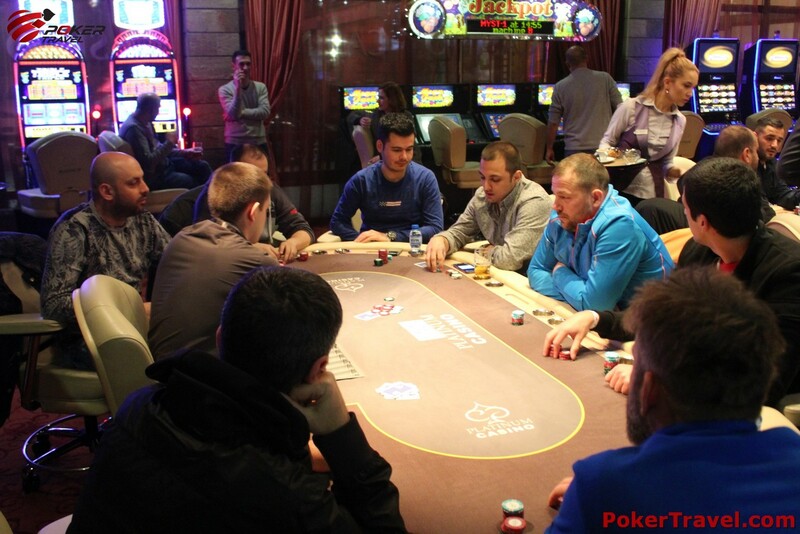 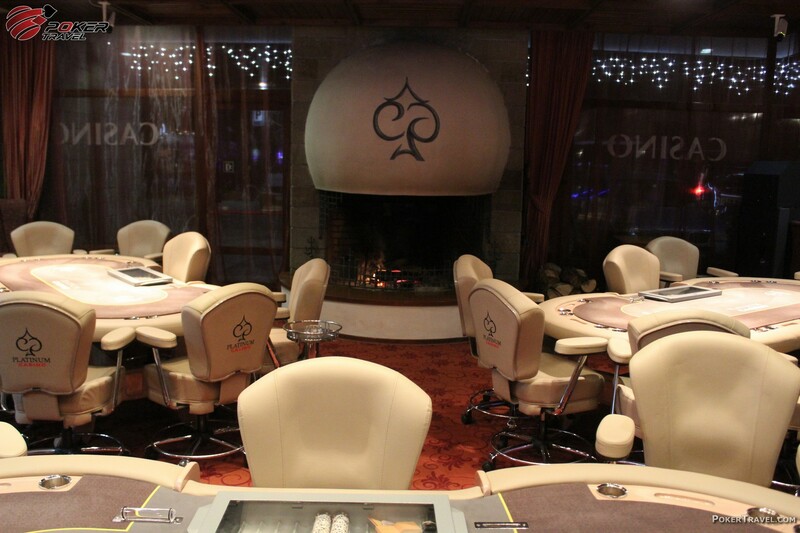 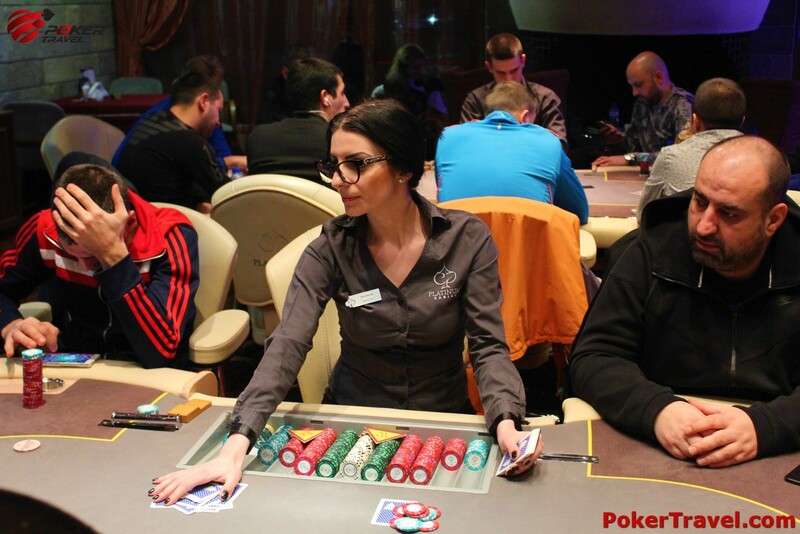 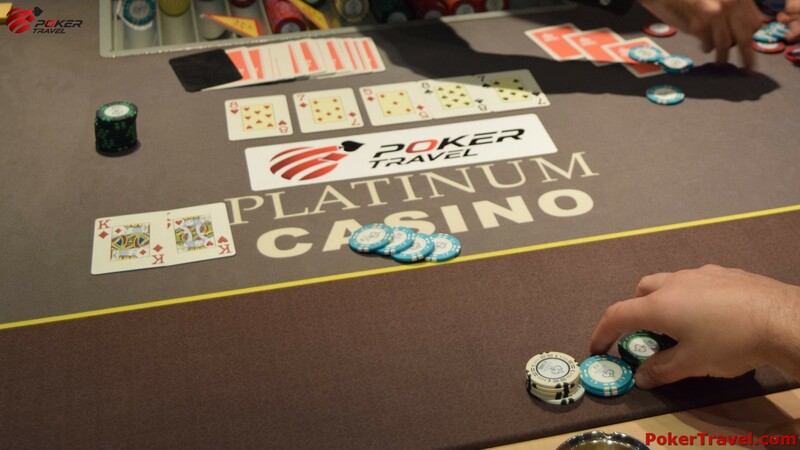 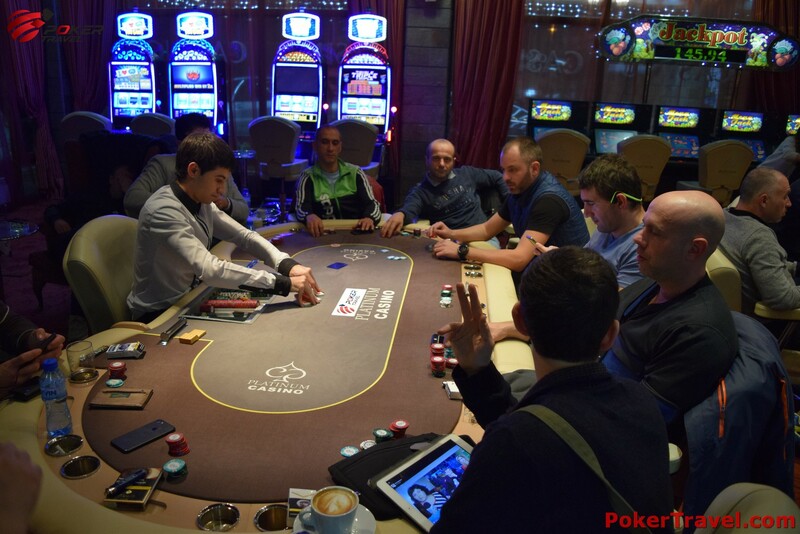 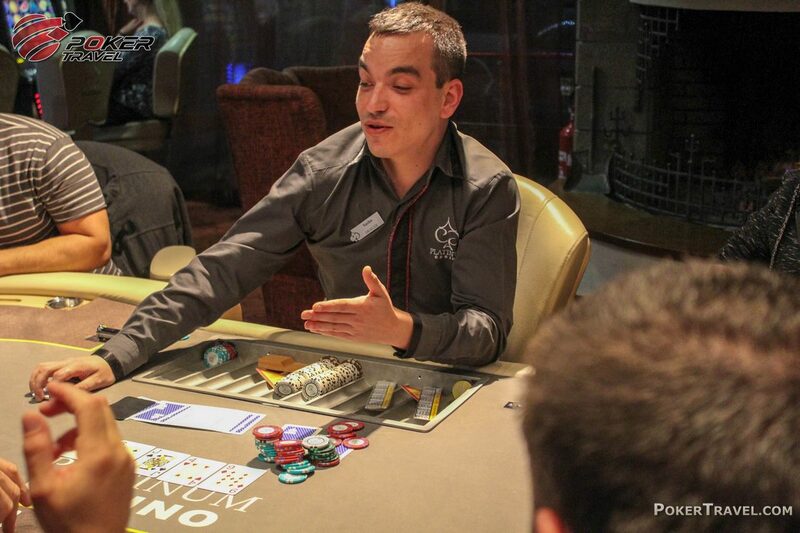 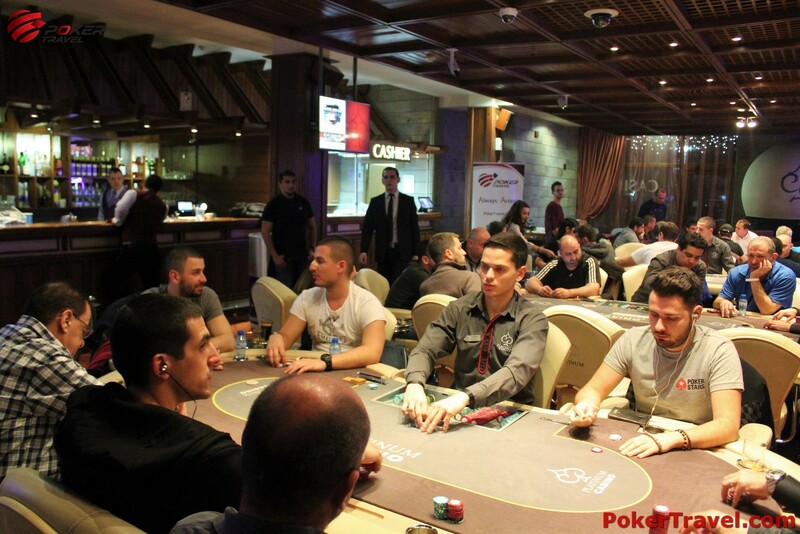 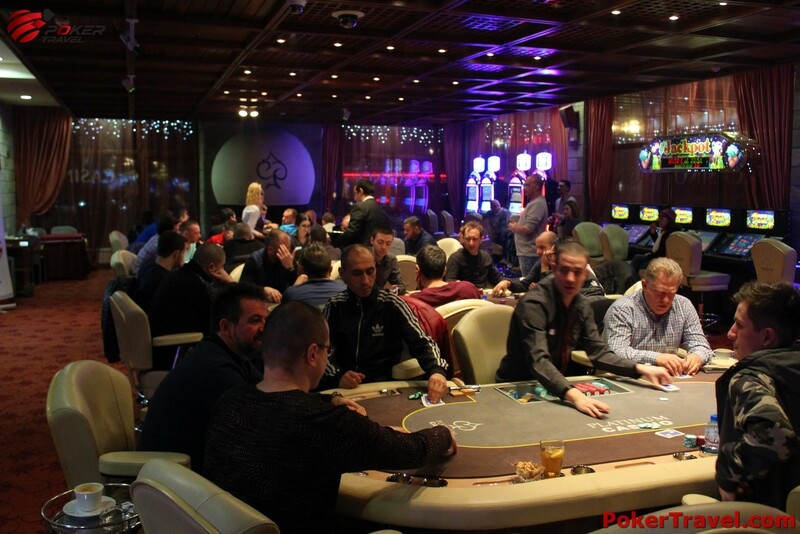 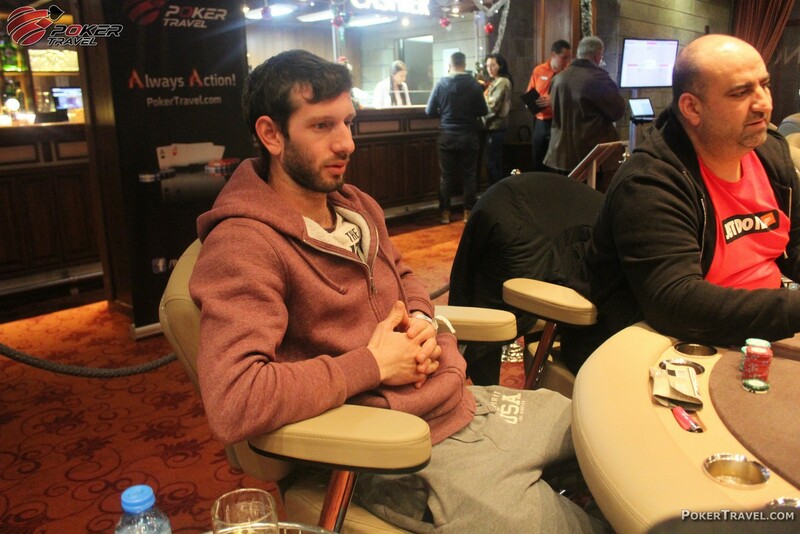 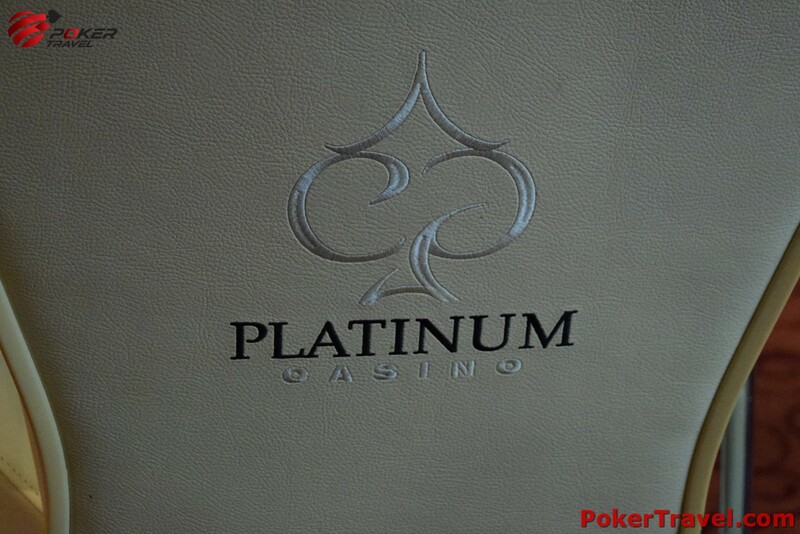 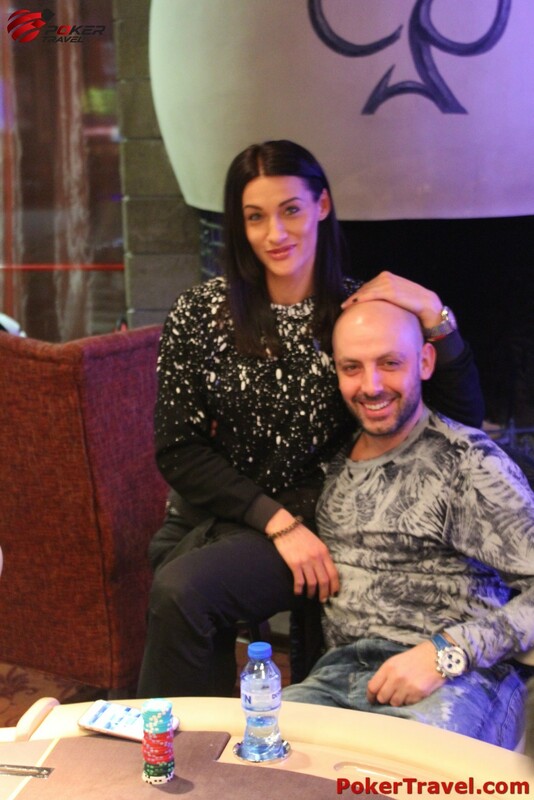 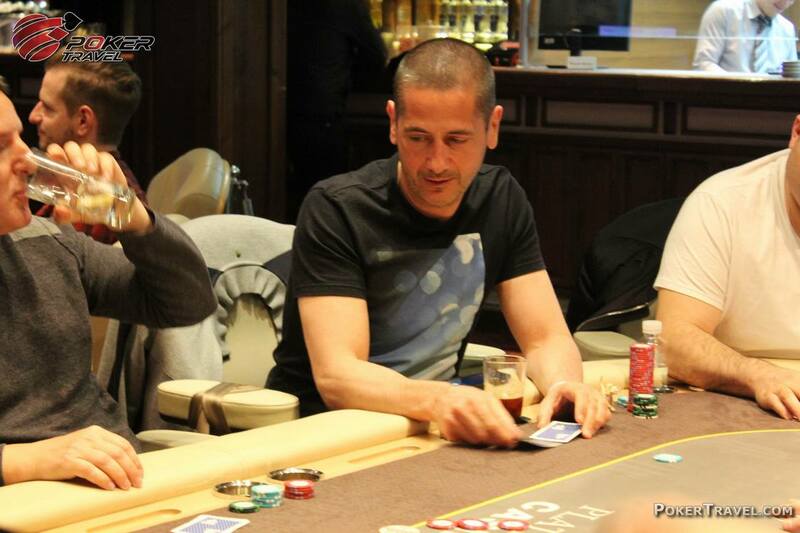 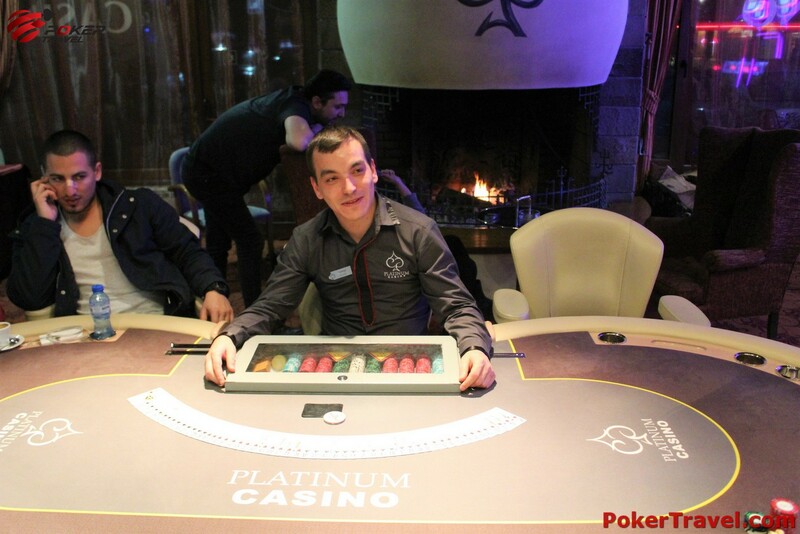 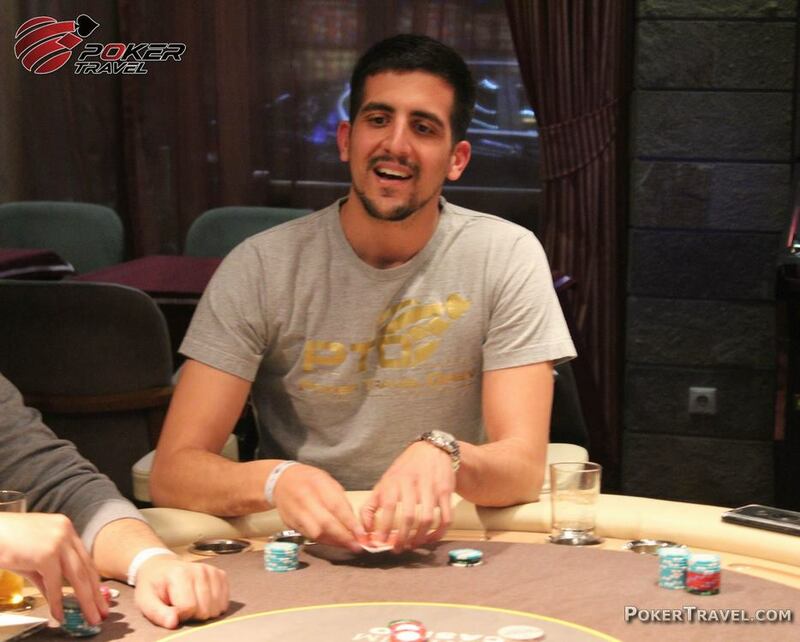 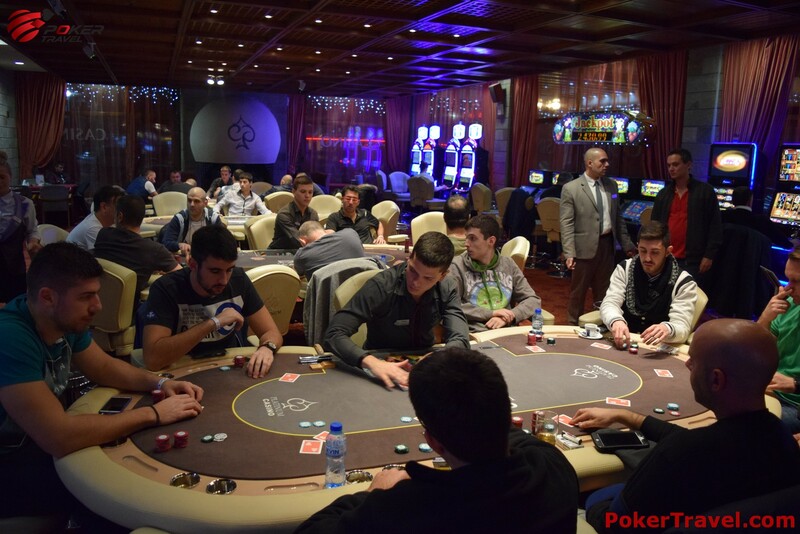 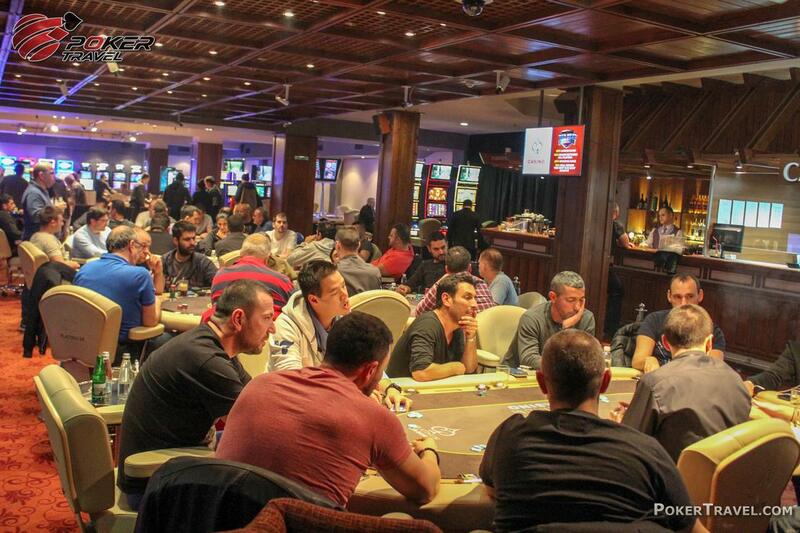 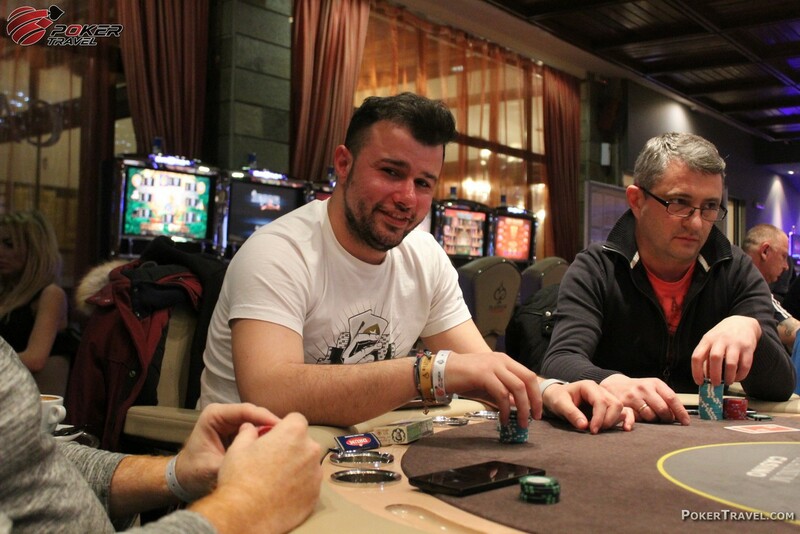 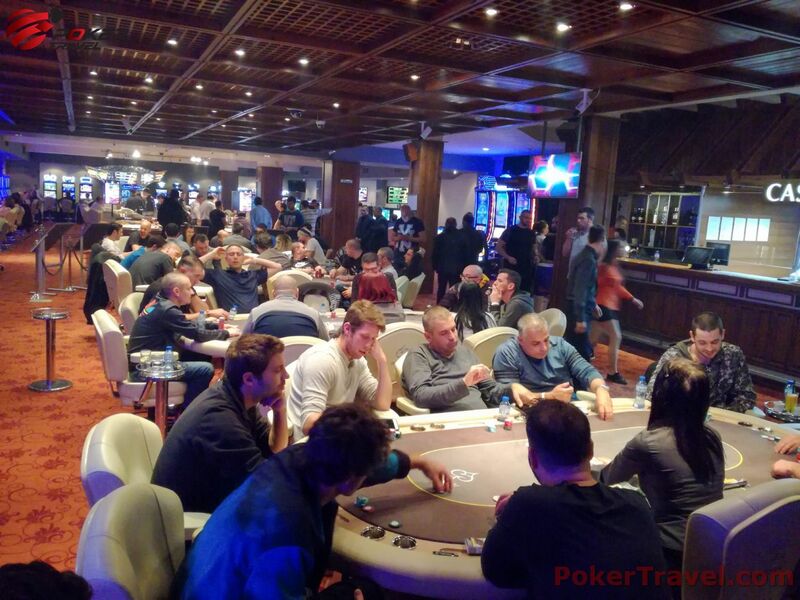 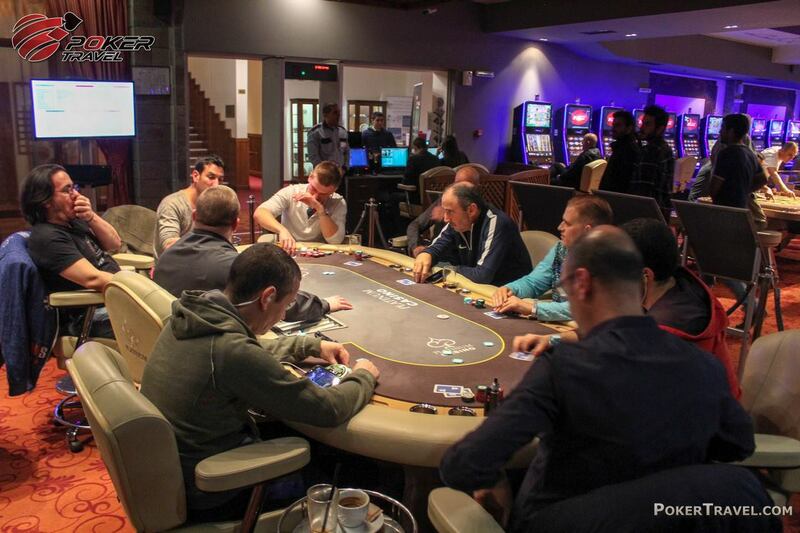 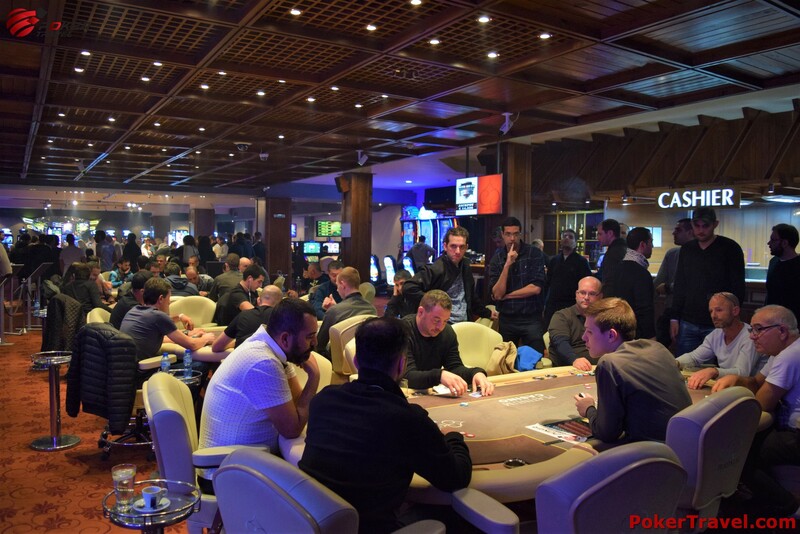 The luxurious Hotel Platinum in Bansko is the perfect accommodation for your poker vacation. 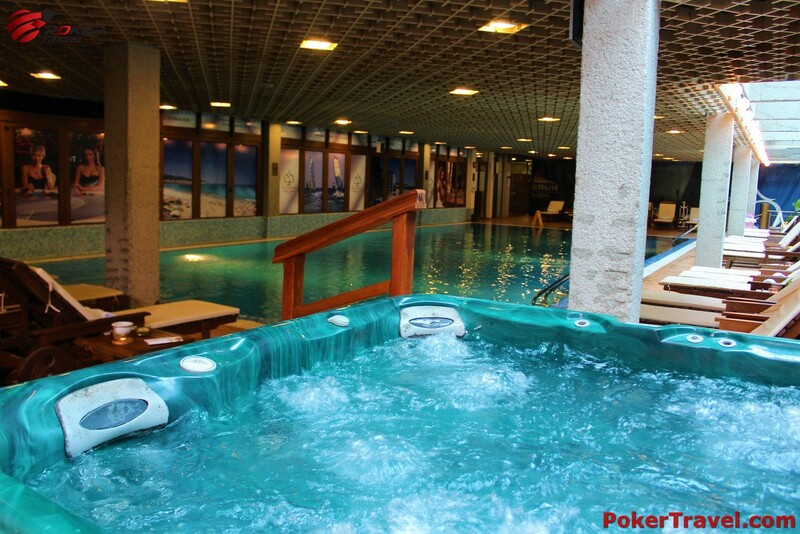 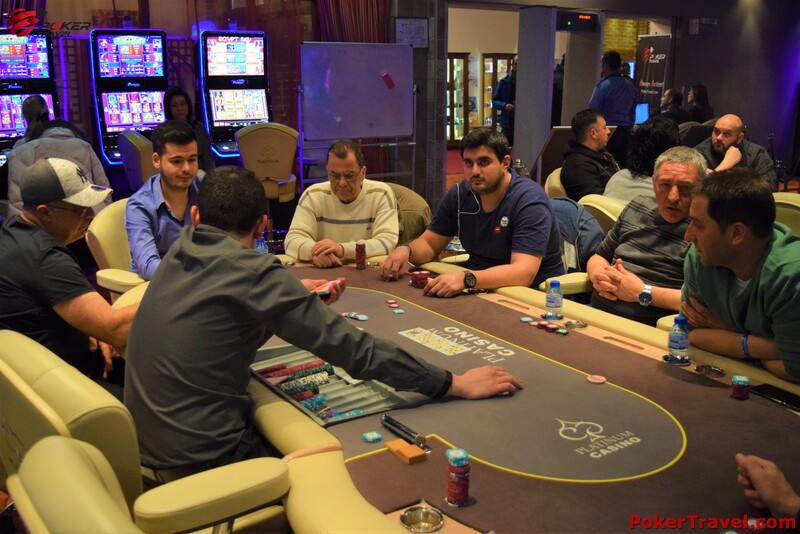 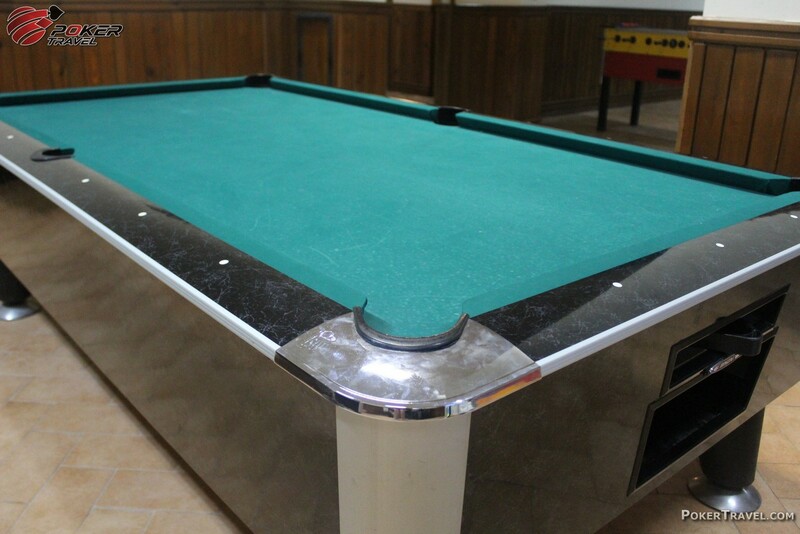 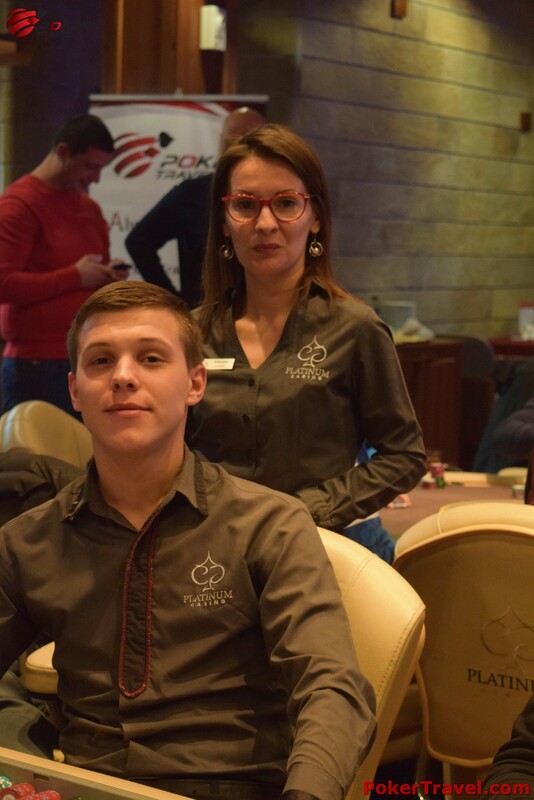 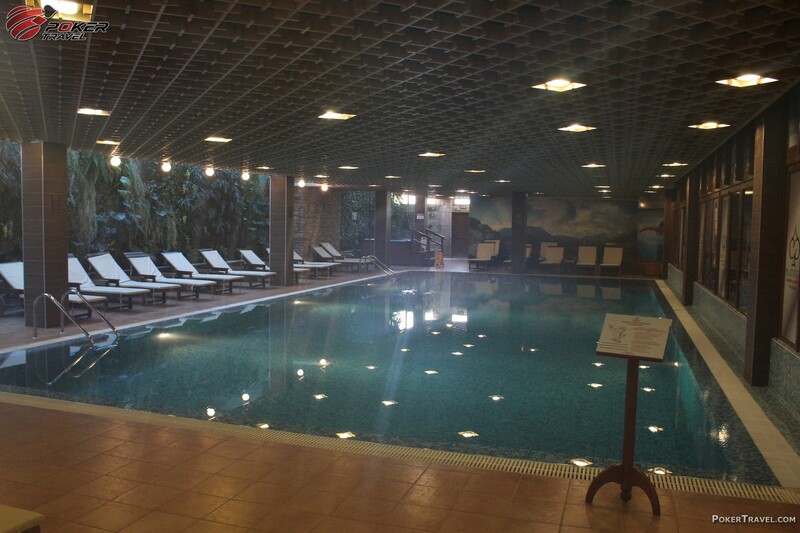 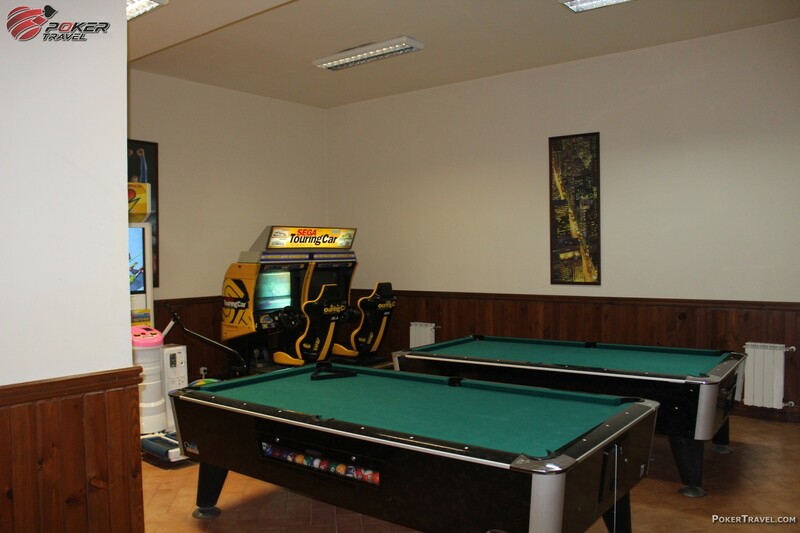 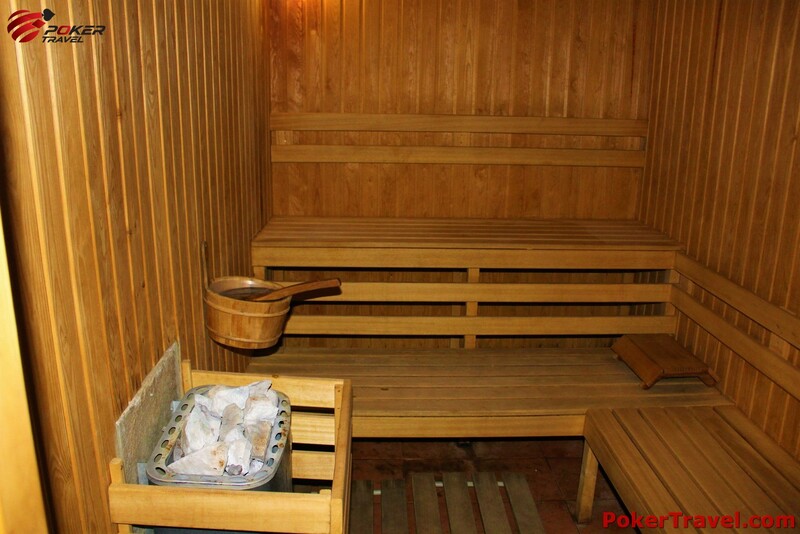 It offers its guests an outdoor and an indoor pool, various SPA facilities like a sauna, Turkish bath and of course a well equipped fitness centre available to Poker Travel guests free of charge. 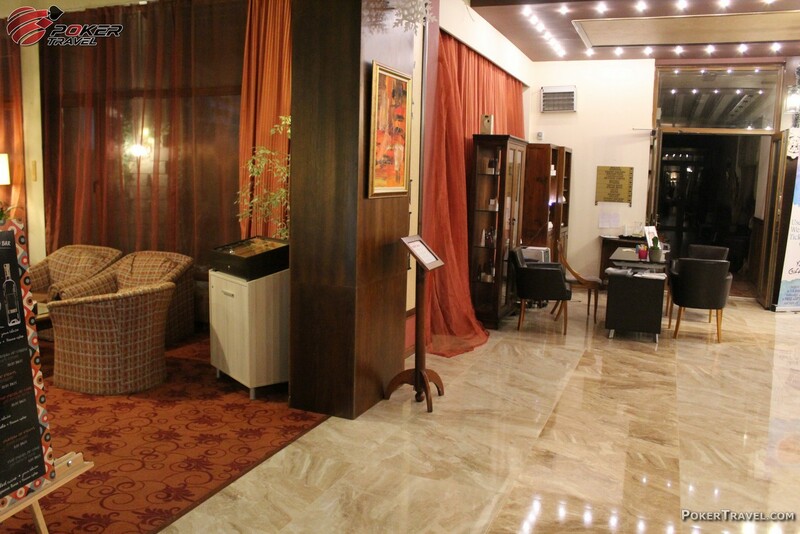 A lobby bar and a piano bar are at the guests’ disposal. 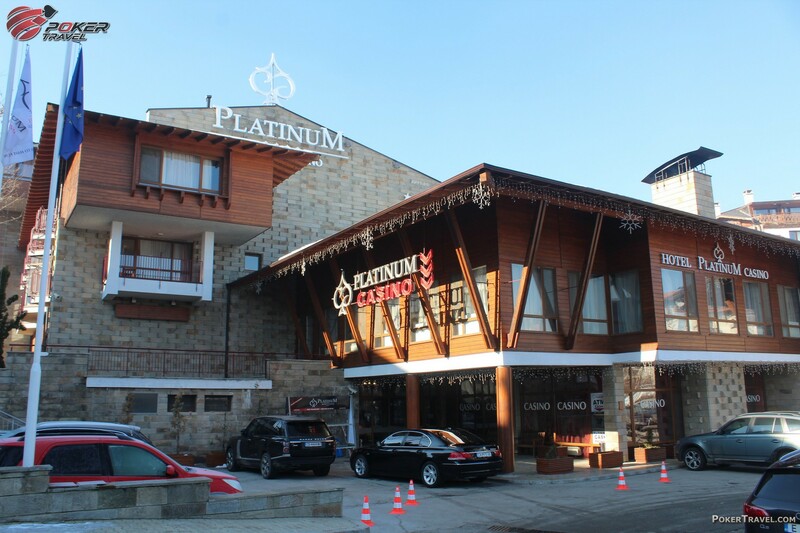 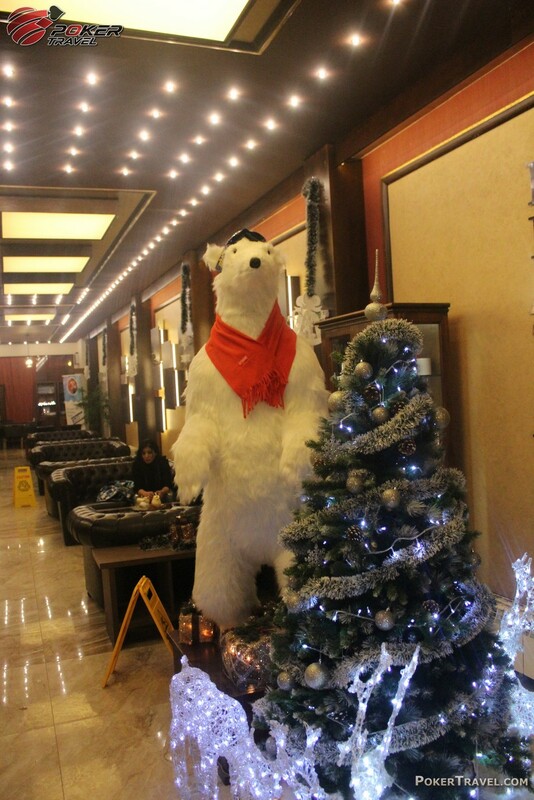 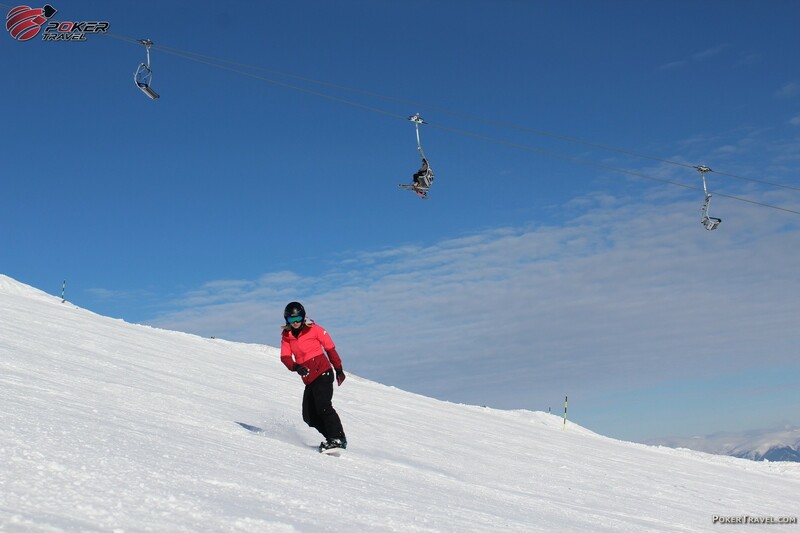 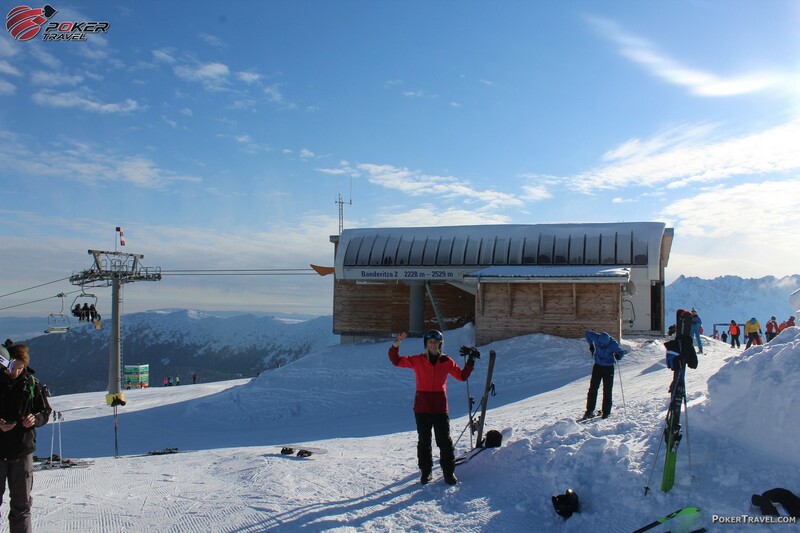 Hotel Platinum provides free ski storage and ski equipment can be rented on site. 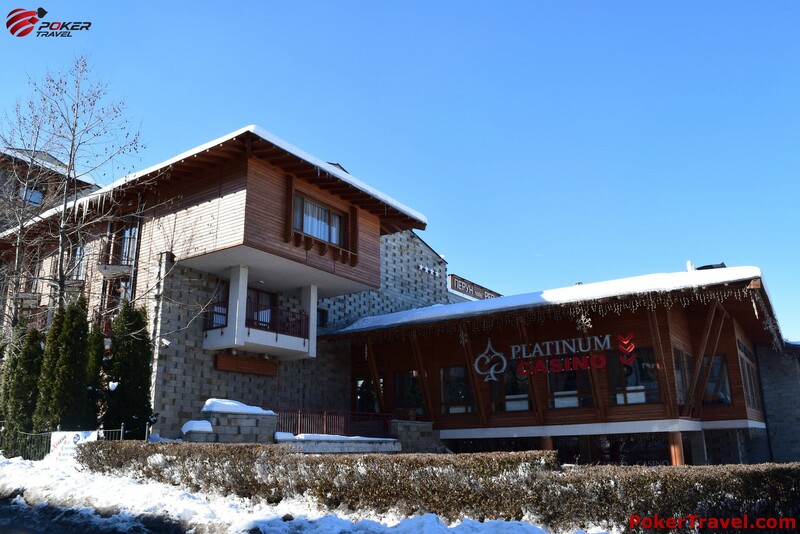 Guests can choose between the three restaurants on the hotel grounds – a buffet, a sit-down restaurant and a traditional Bulgarian style tavern. 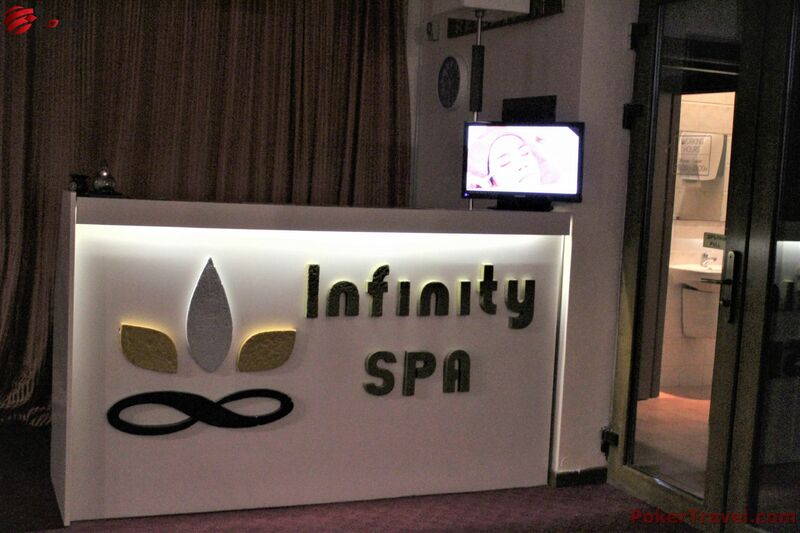 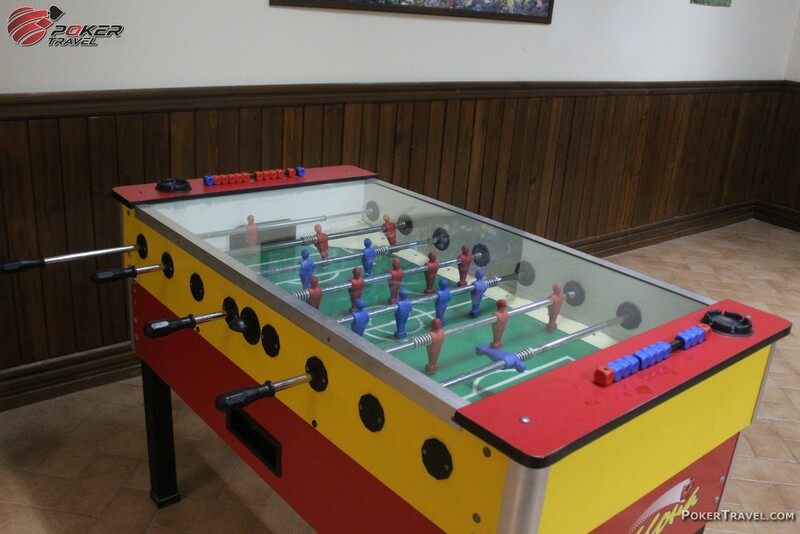 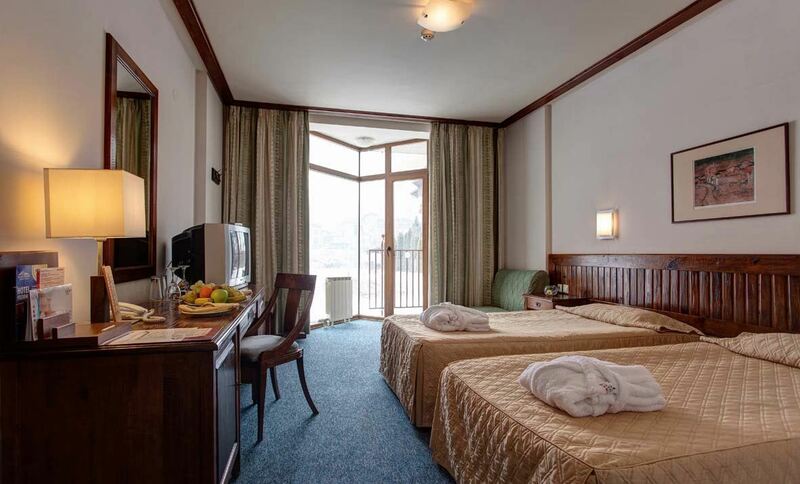 The hotel is located at just a 10 minute walk from the center of the resort. 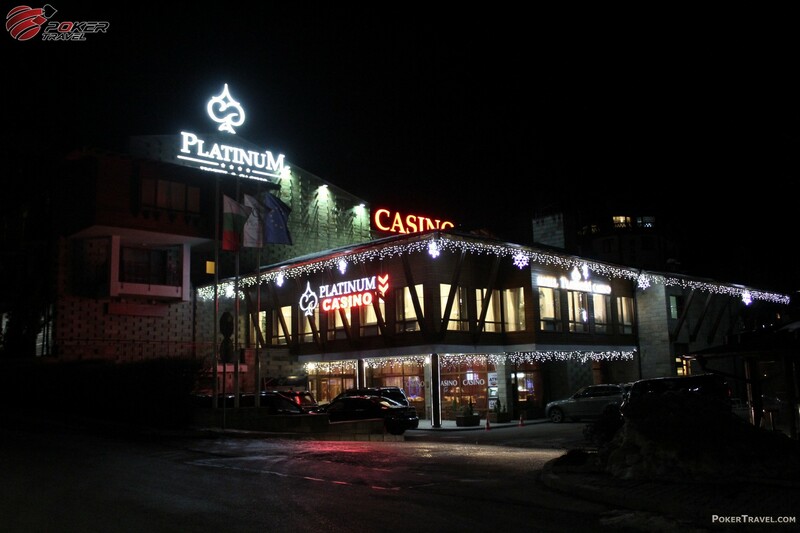 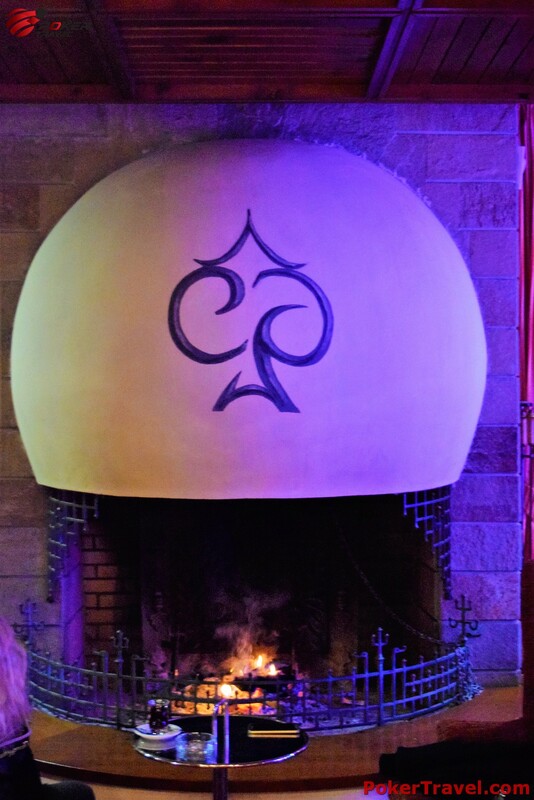 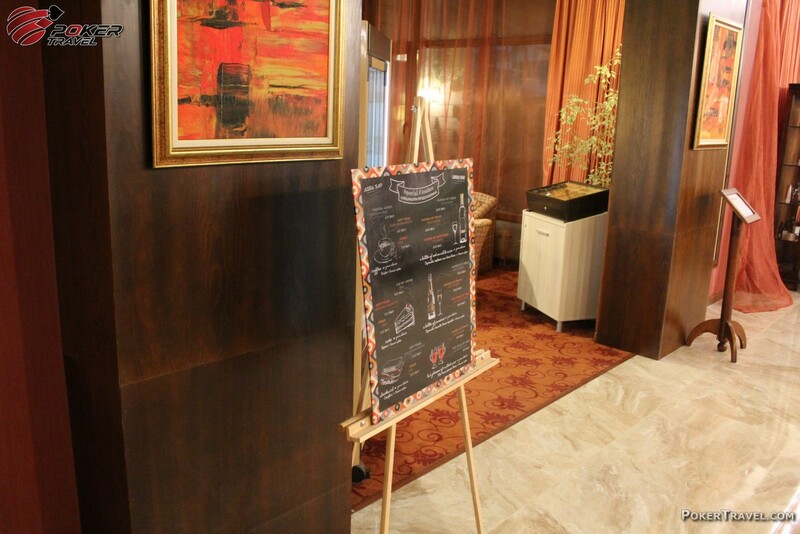 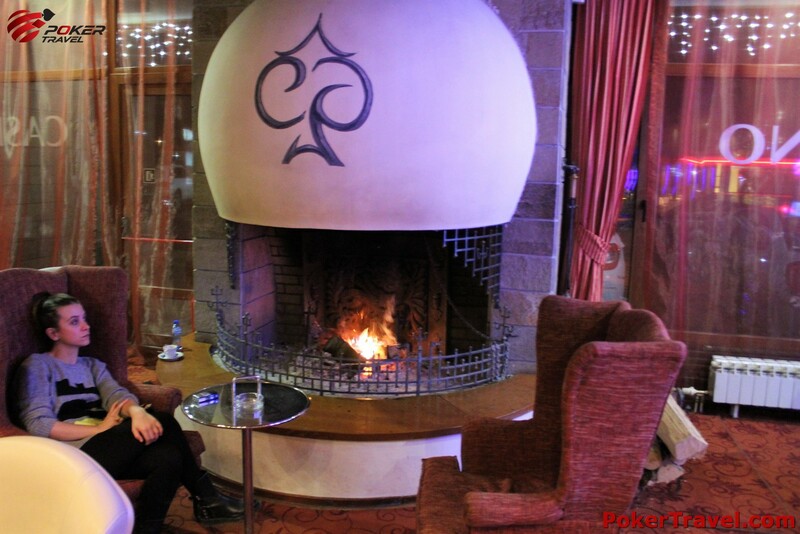 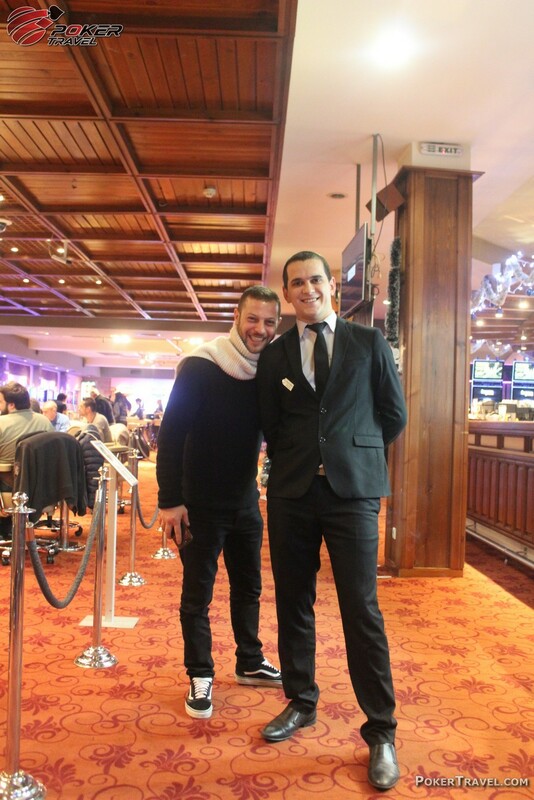 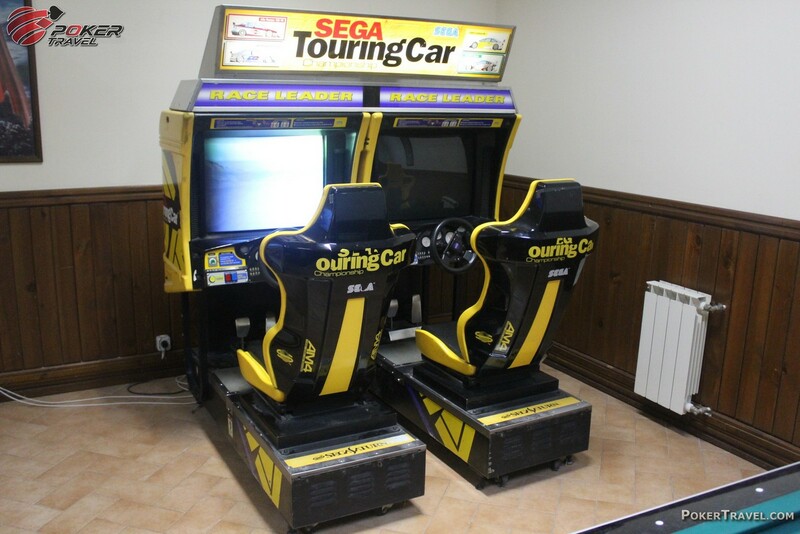 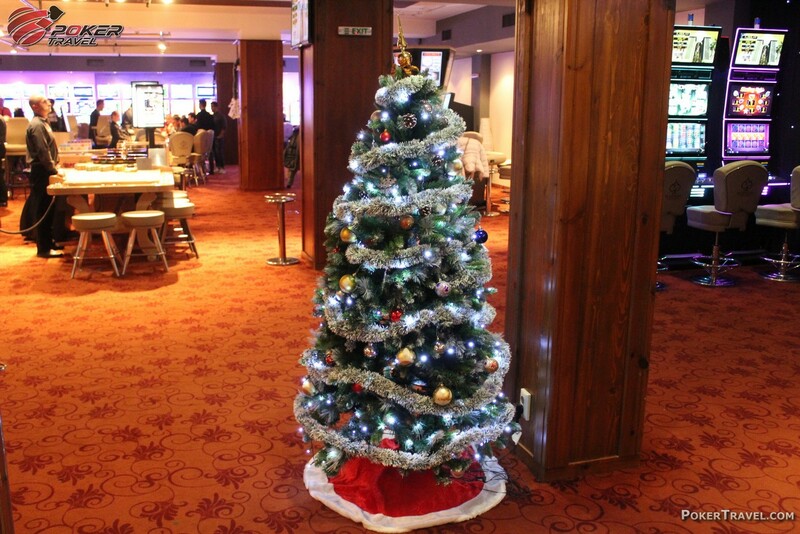 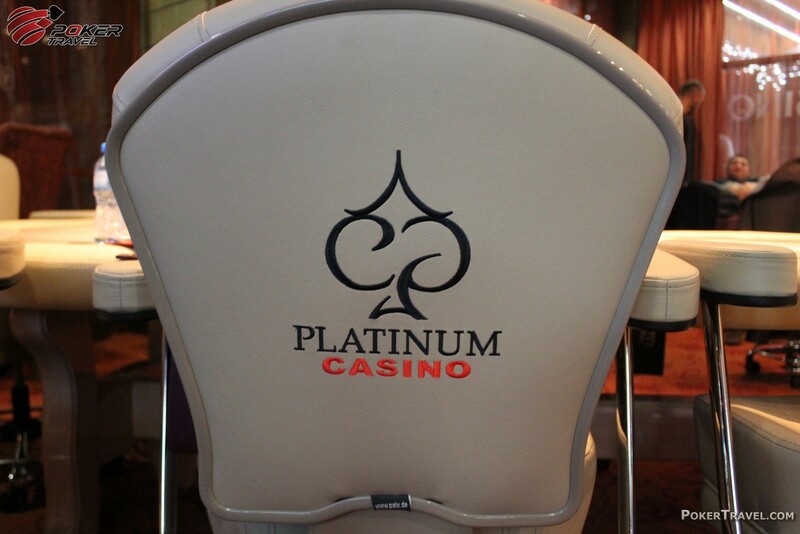 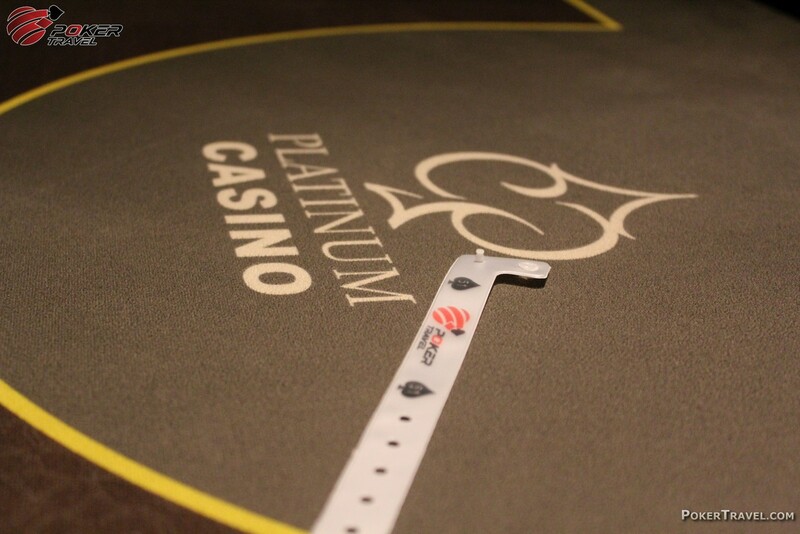 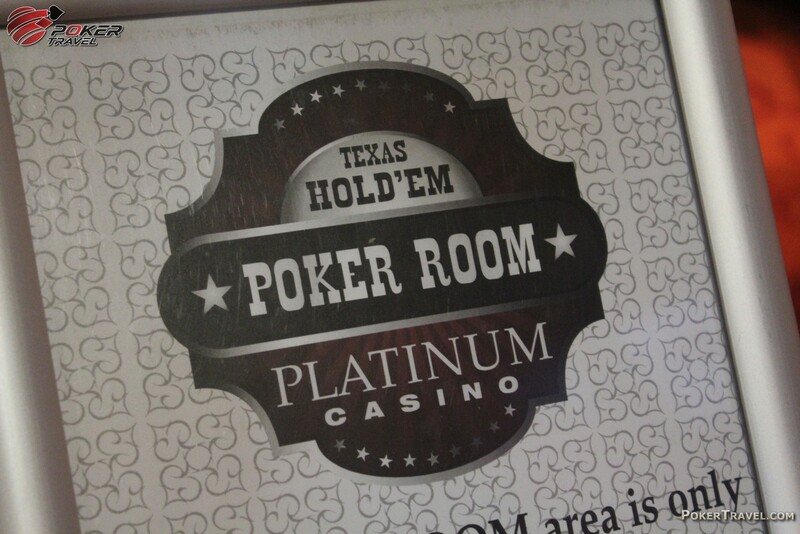 The hosting room belongs to the prestigious Platinum Casino in Bansko Resort. 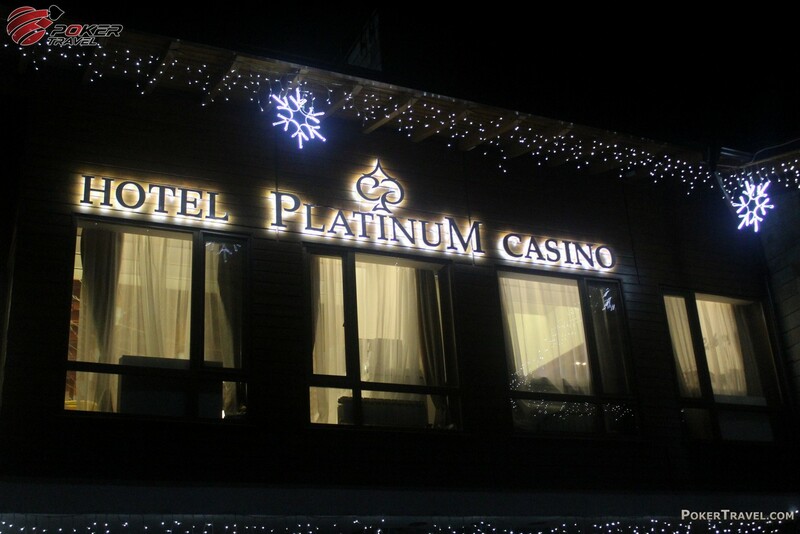 The casino is open 24/7. 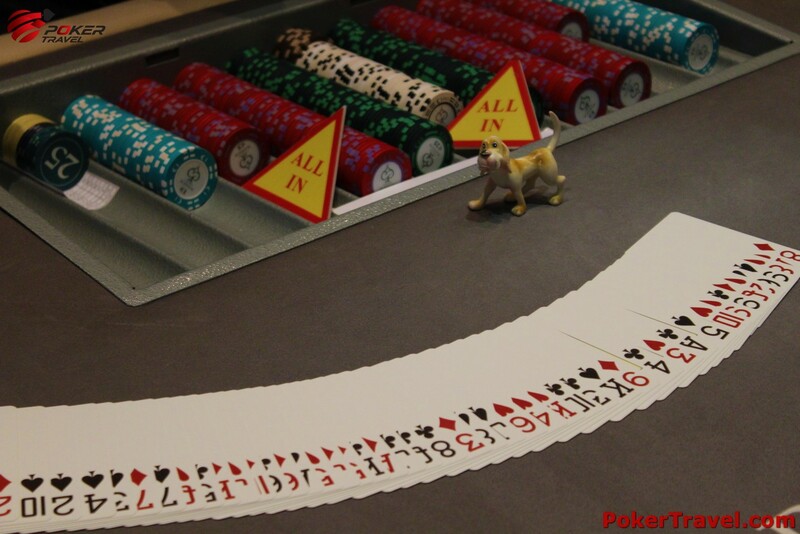 Omaha games are available at request. 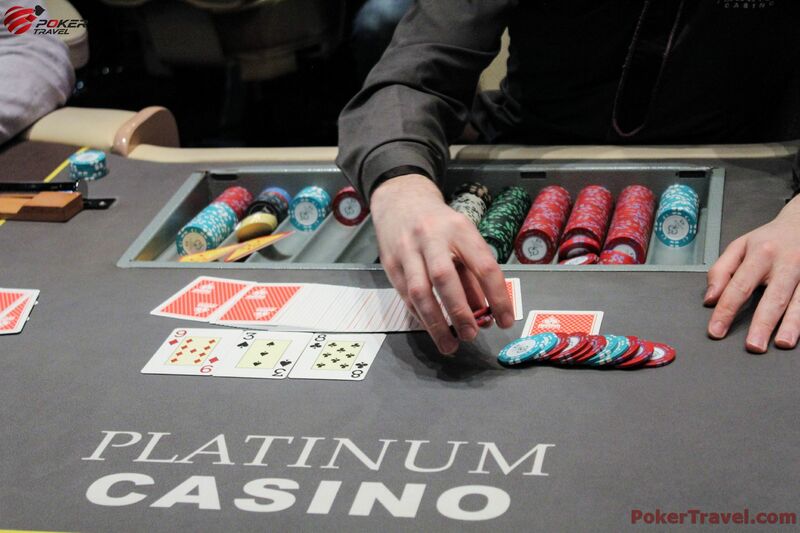 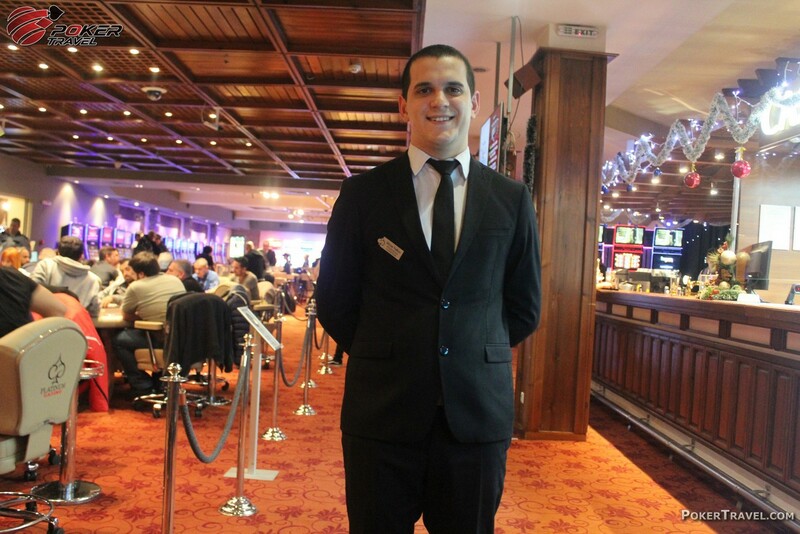 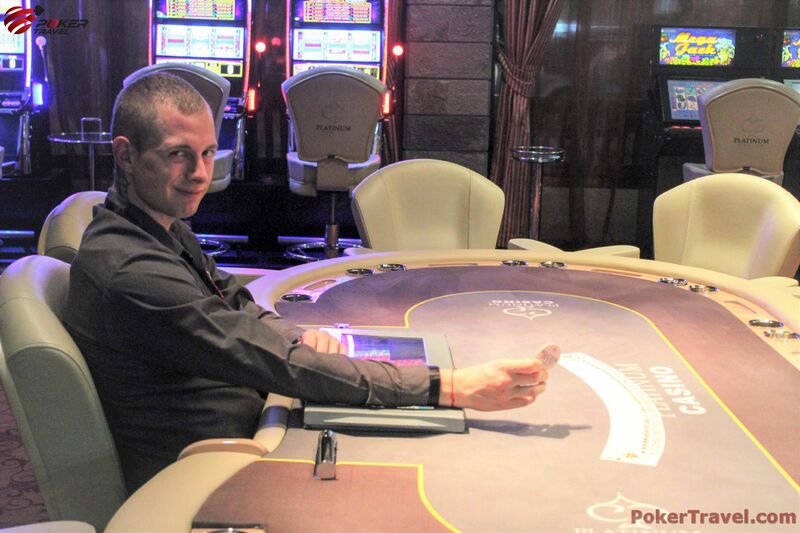 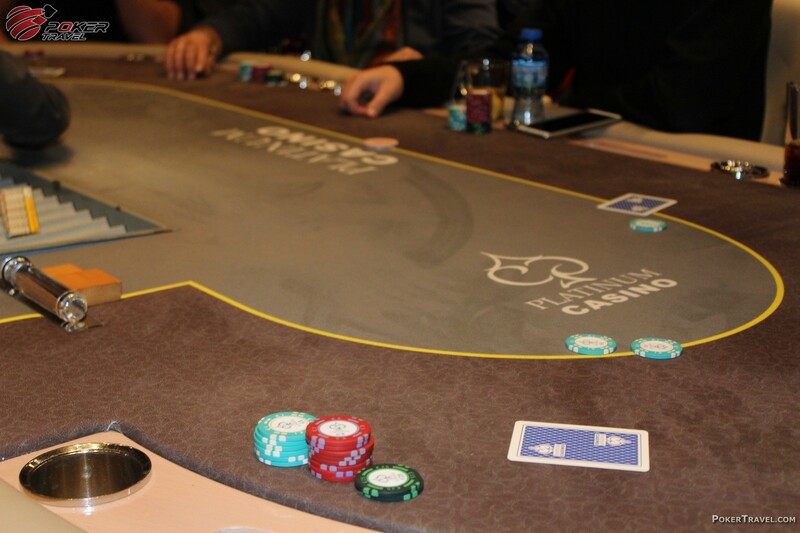 The rake is 5% for €1-€2 and €1-€3 blinds with €25 cap. 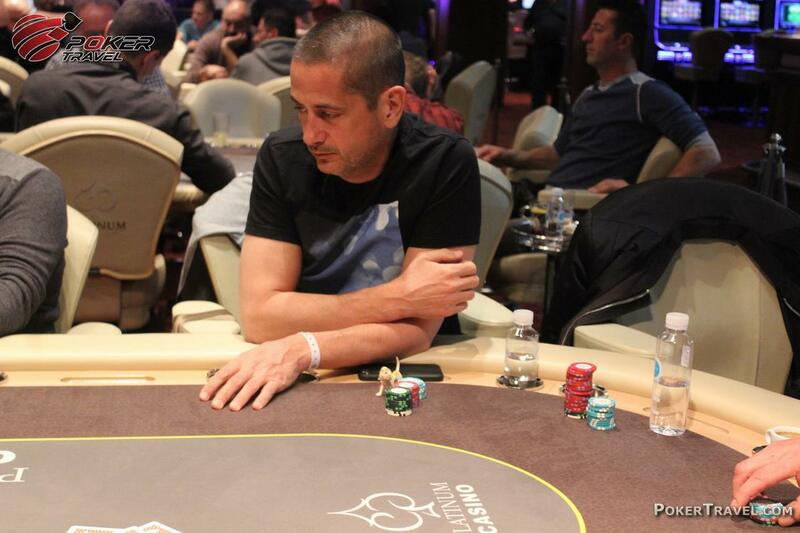 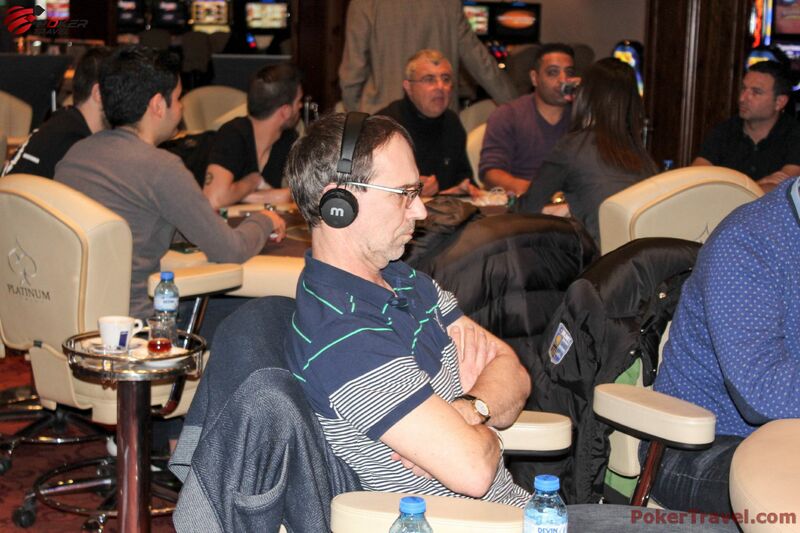 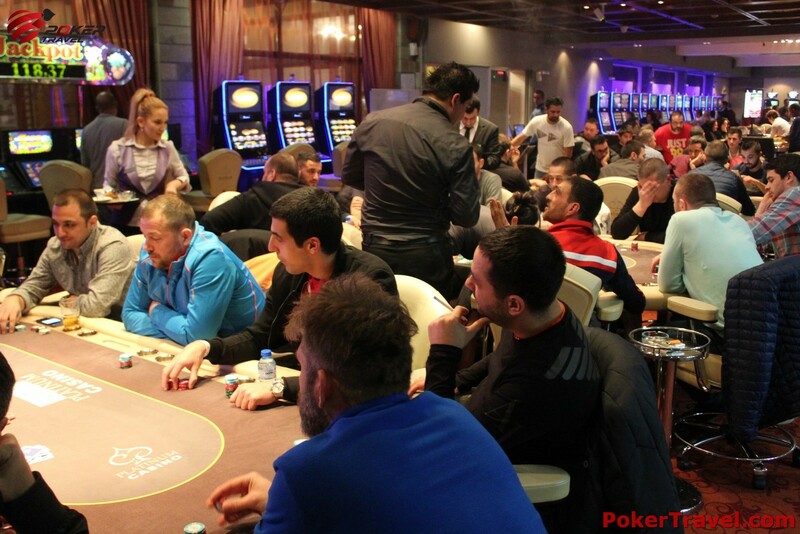 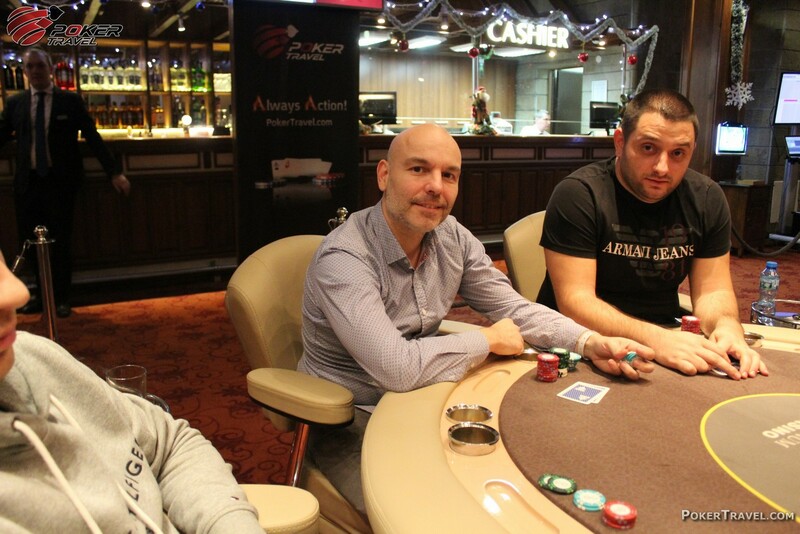 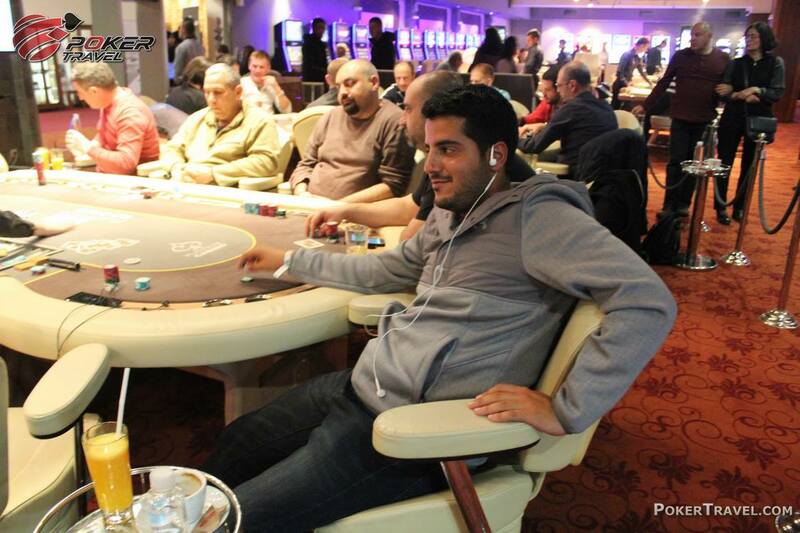 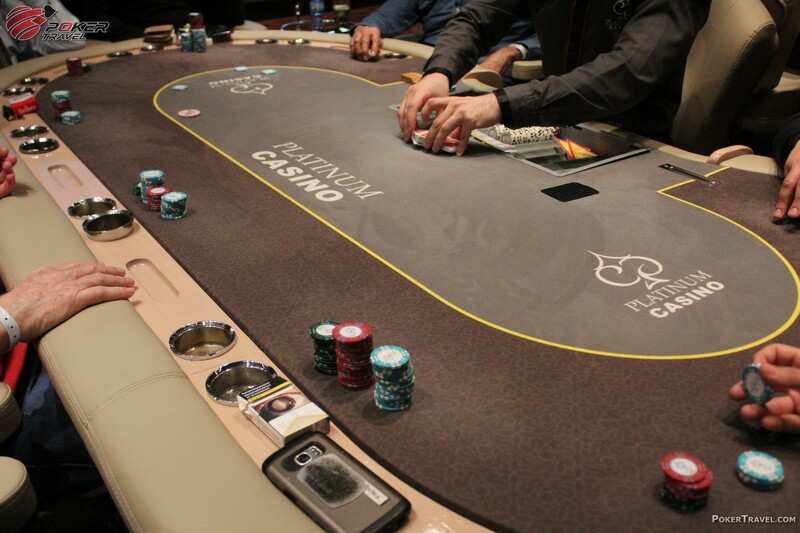 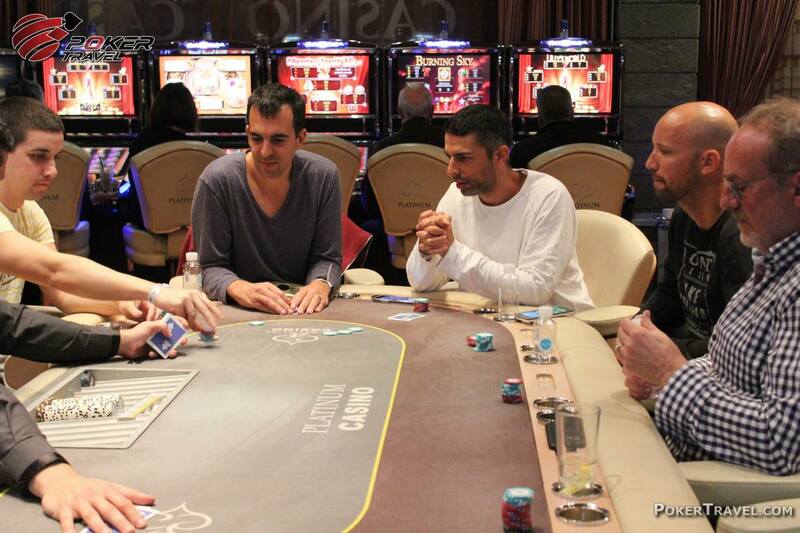 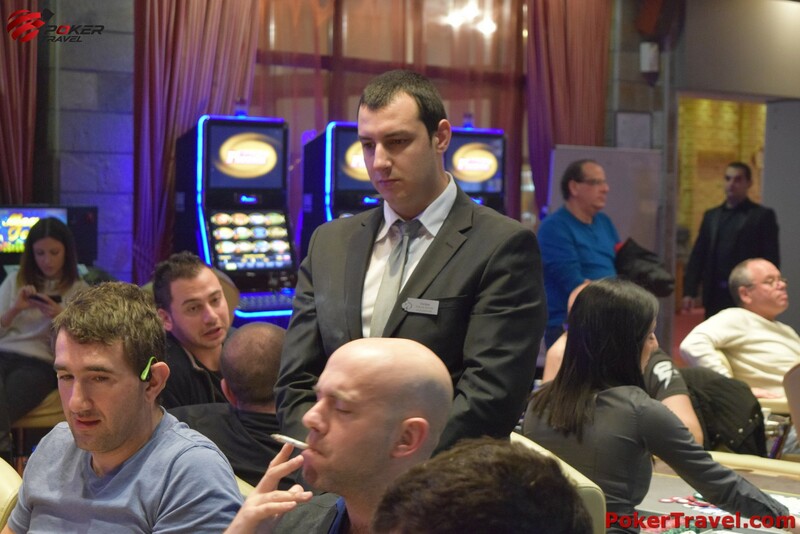 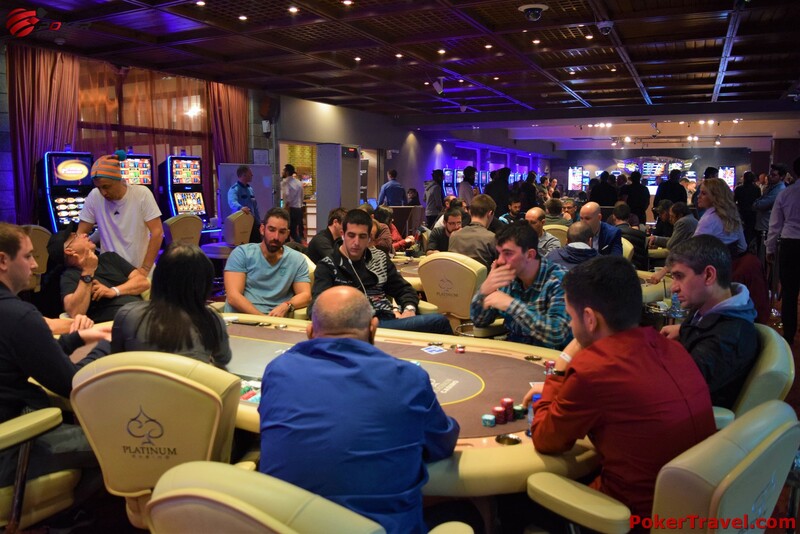 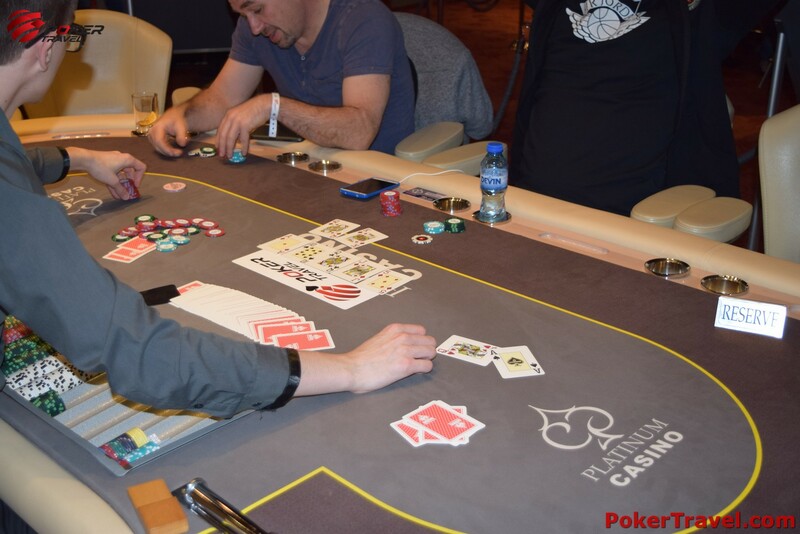 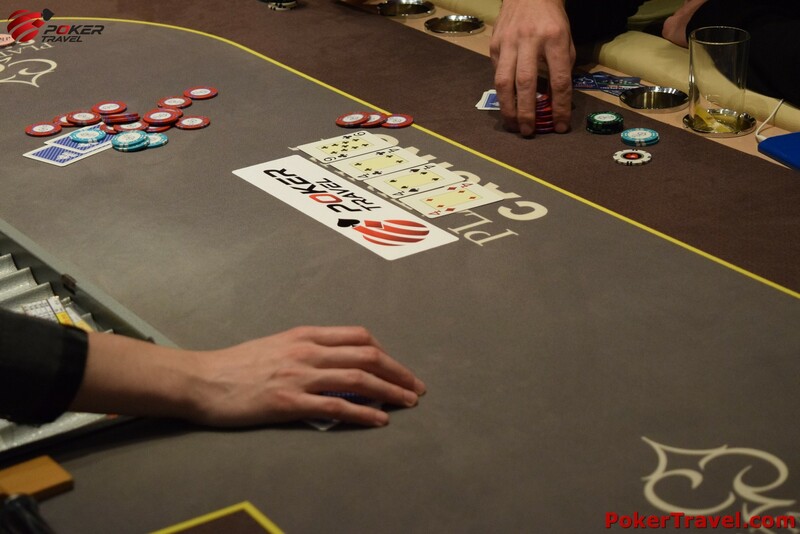 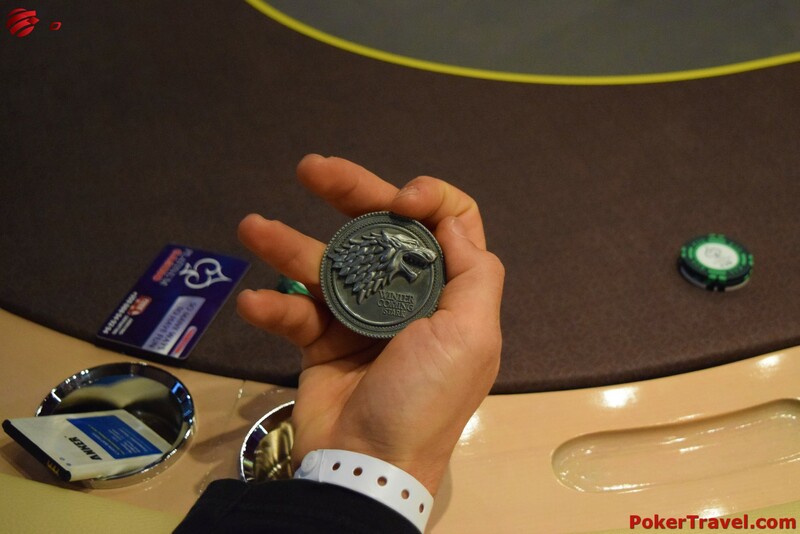 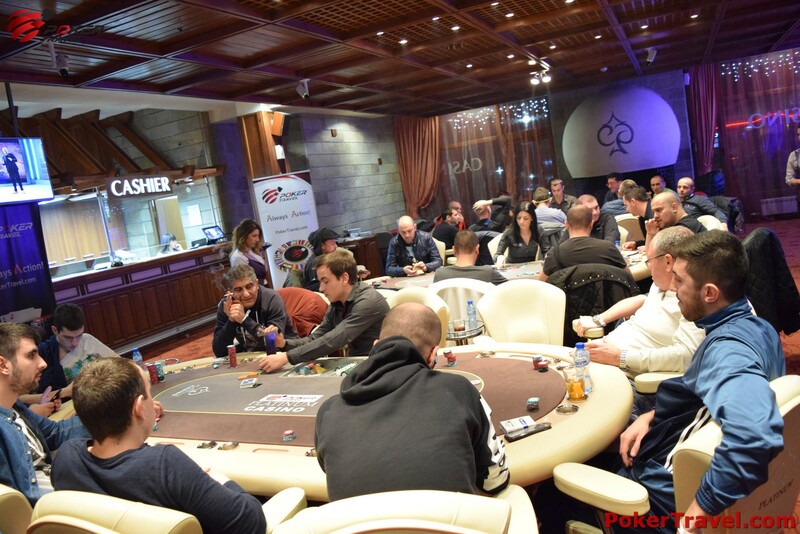 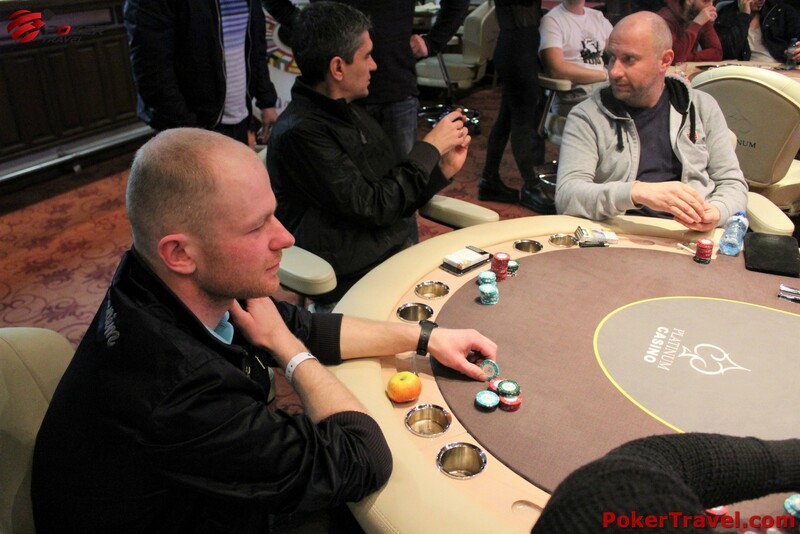 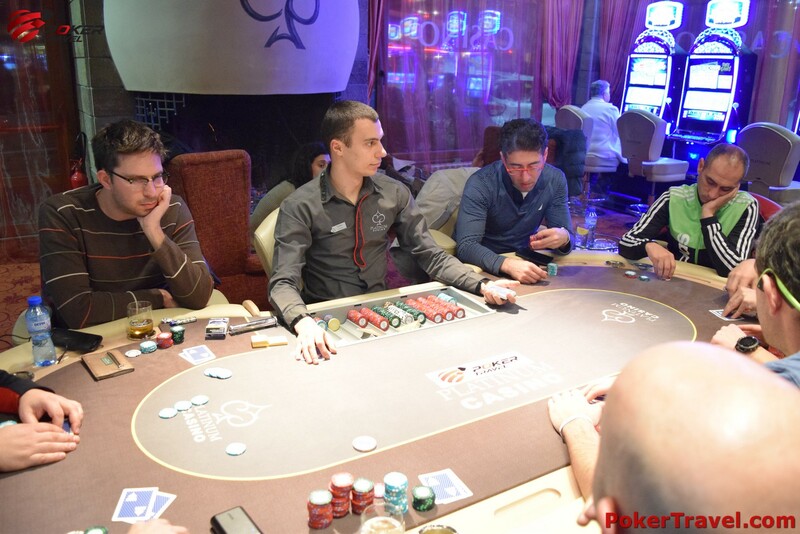 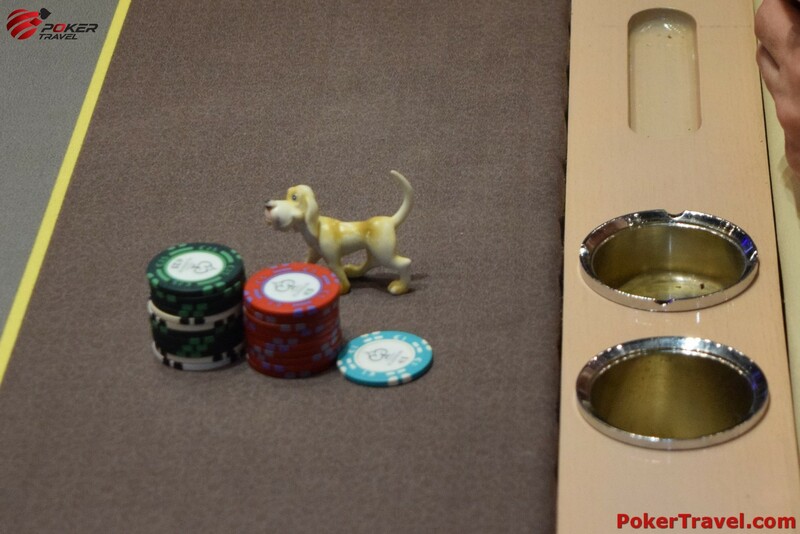 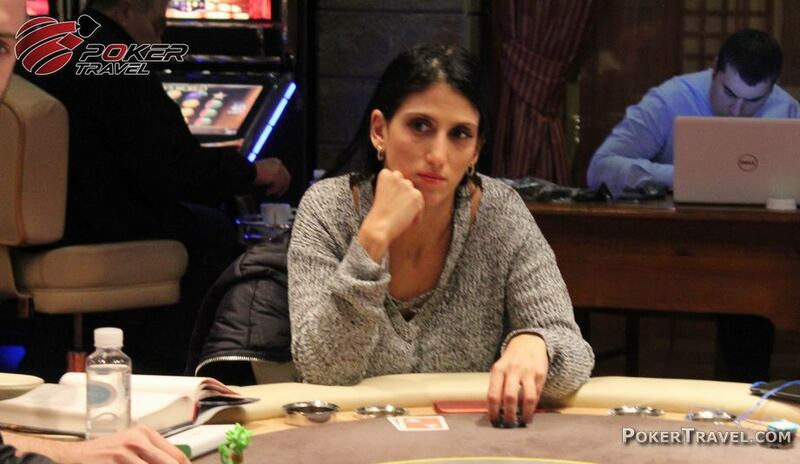 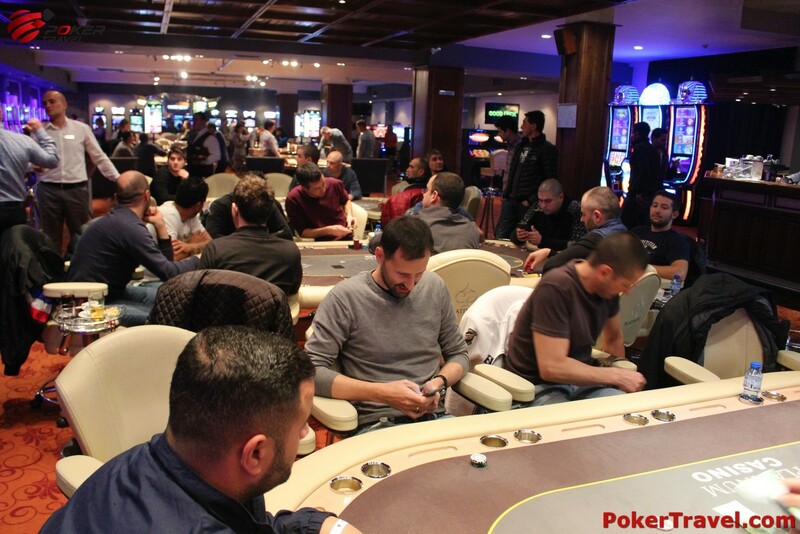 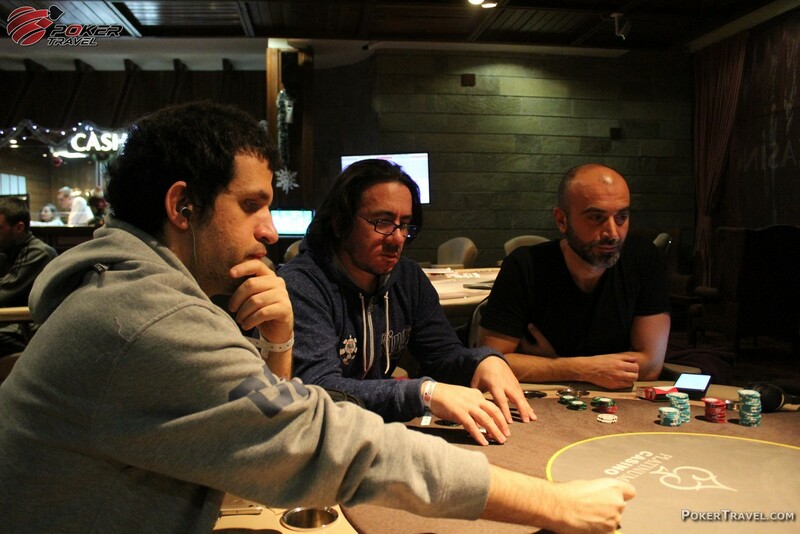 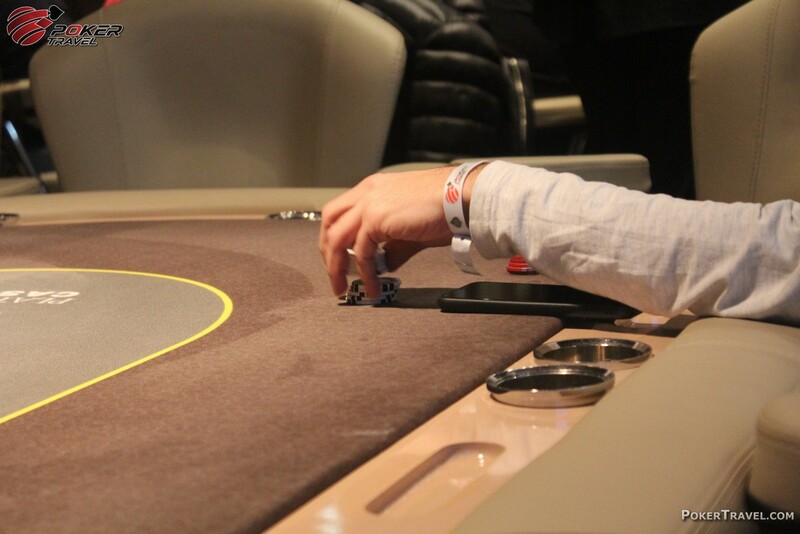 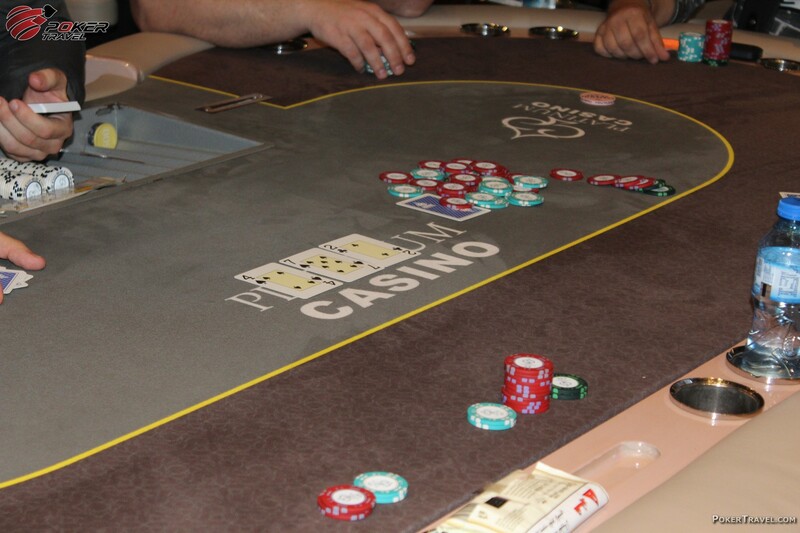 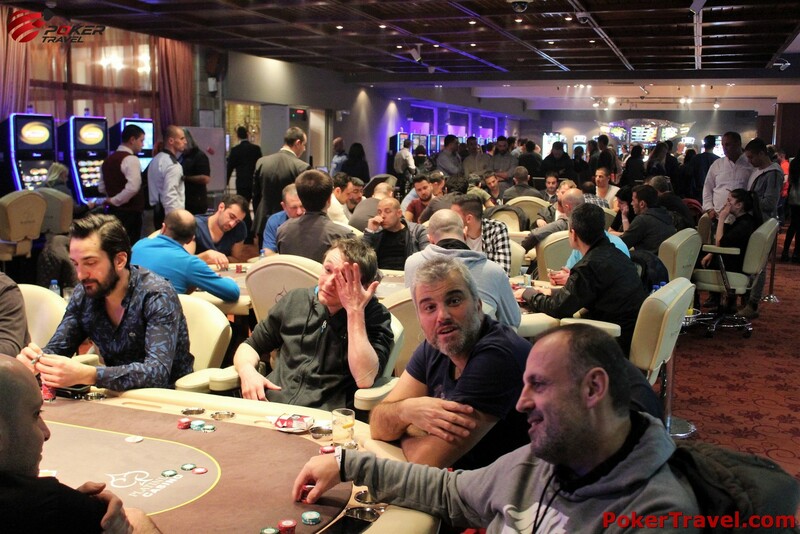 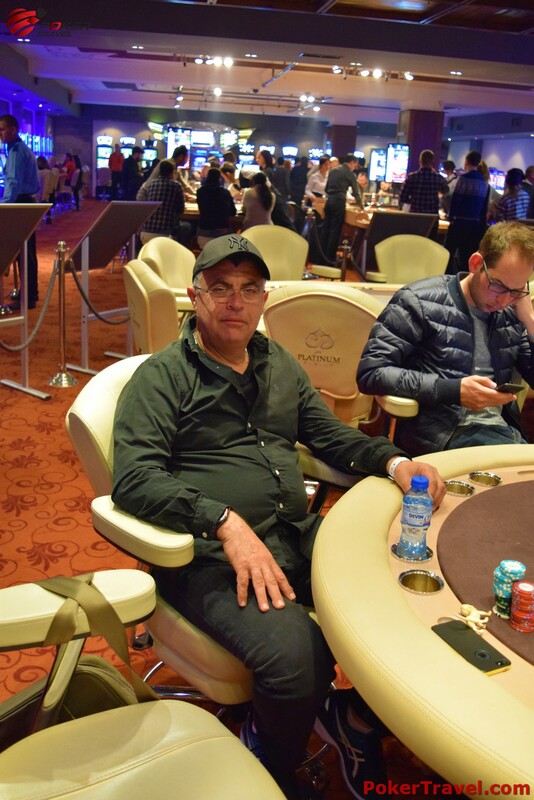 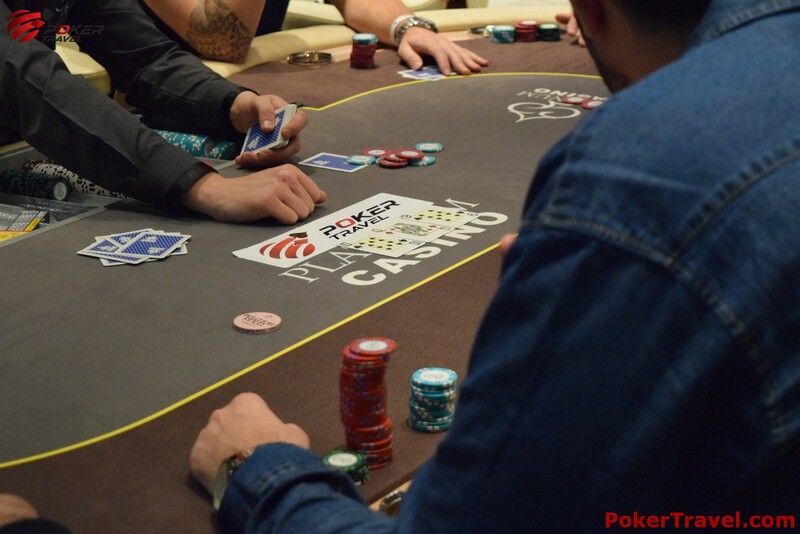 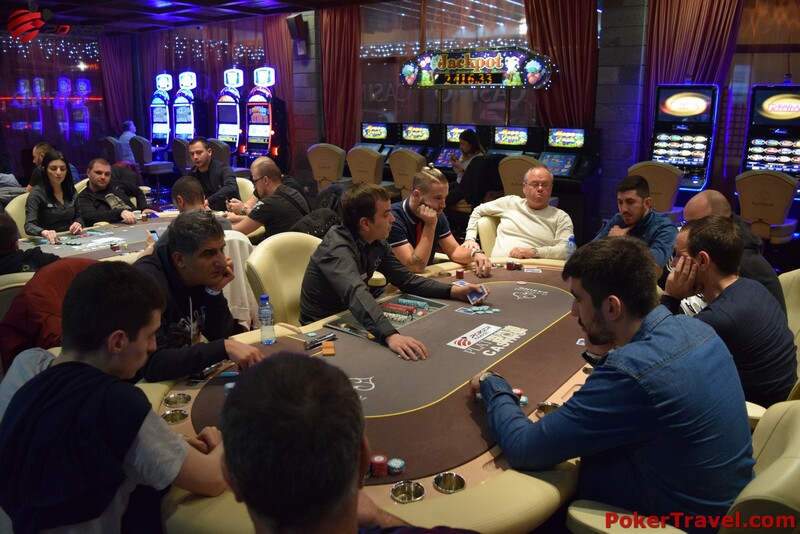 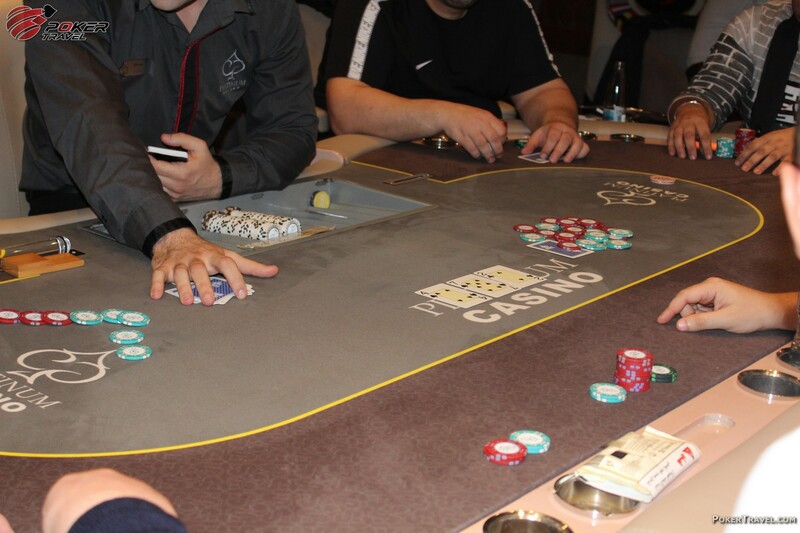 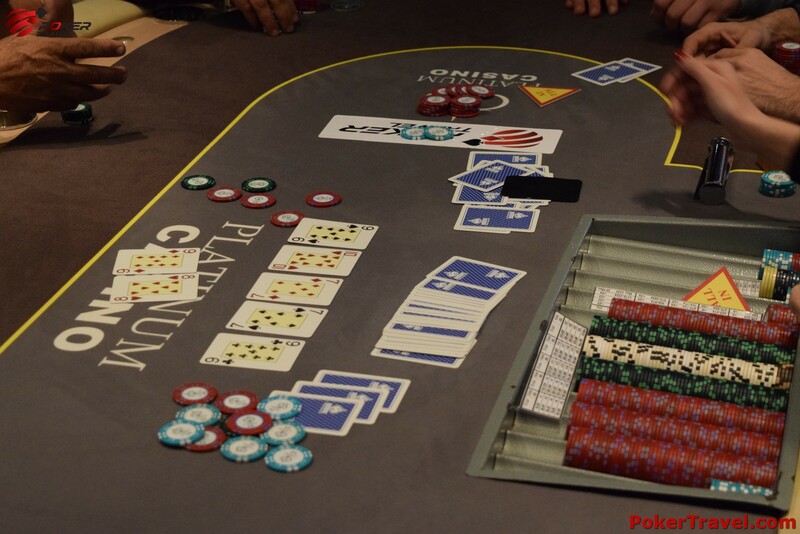 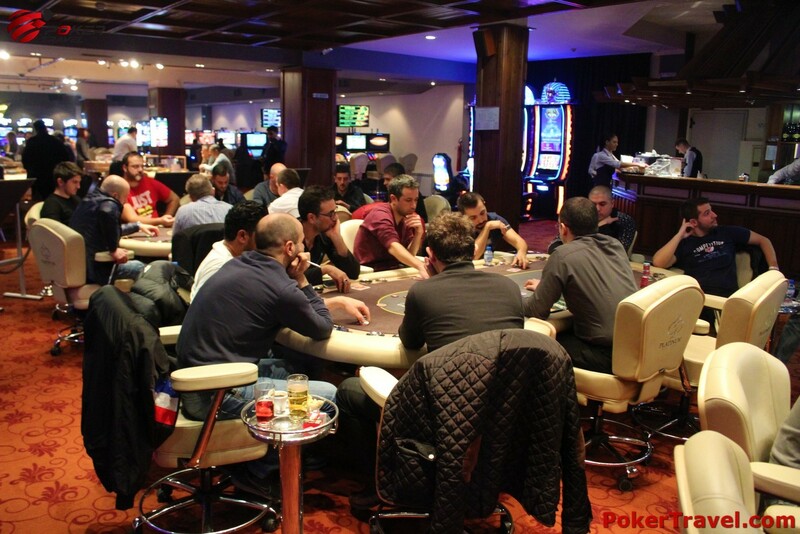 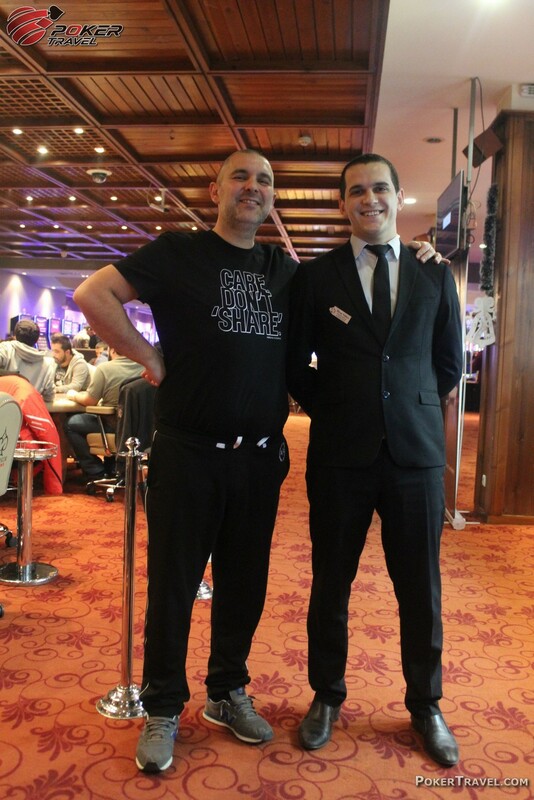 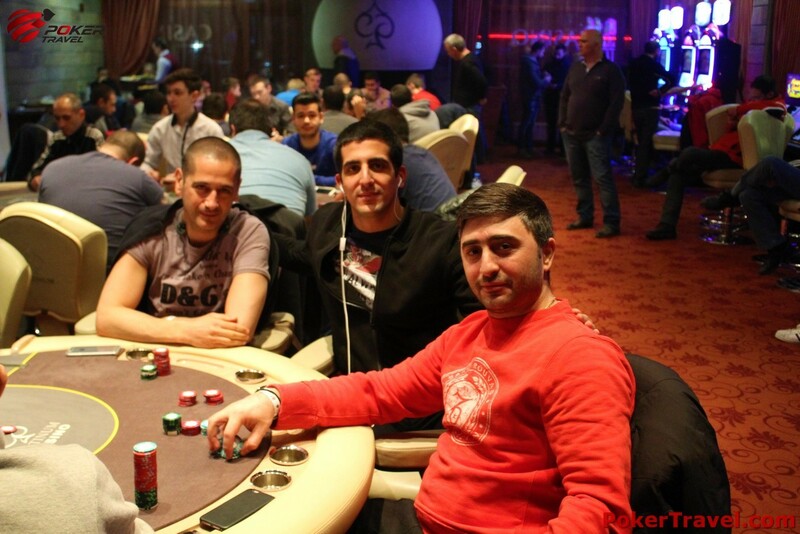 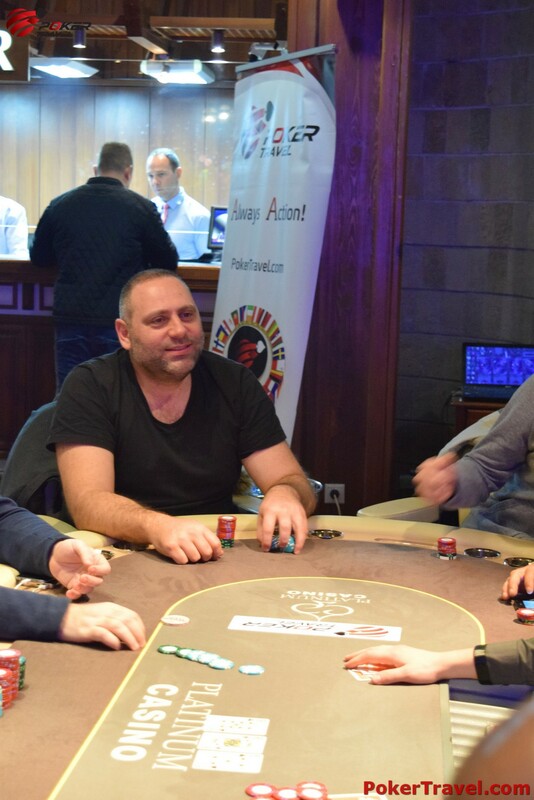 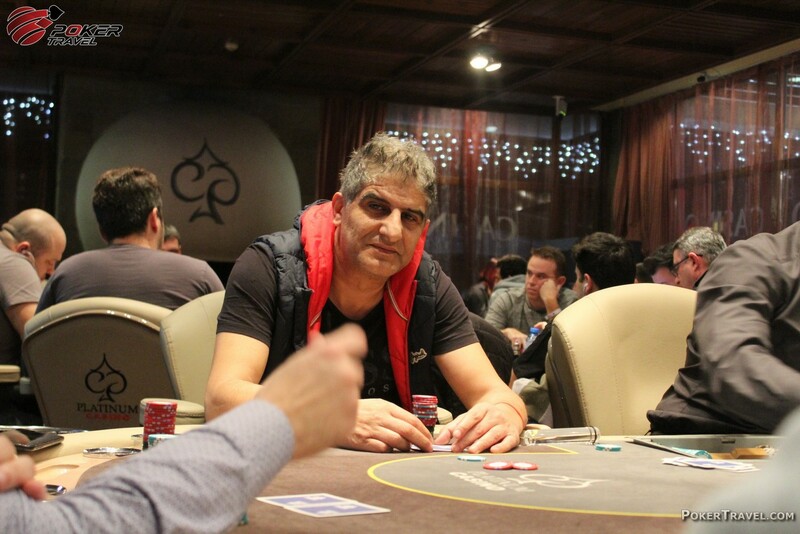 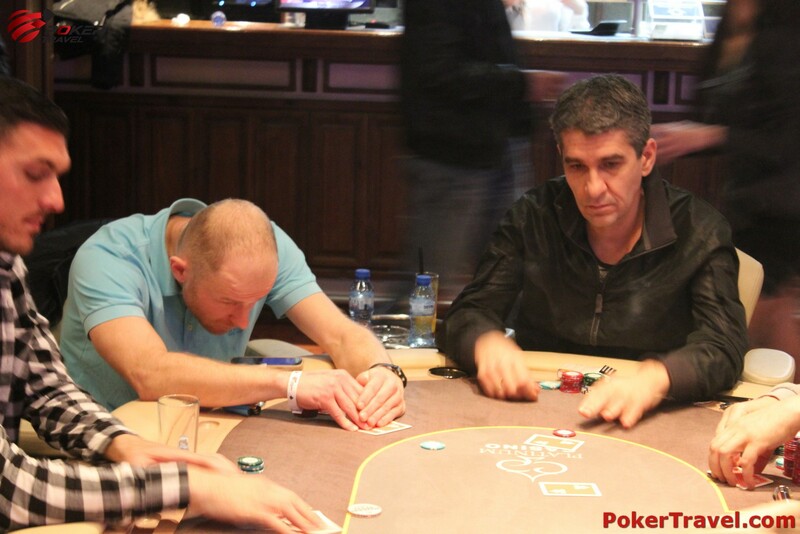 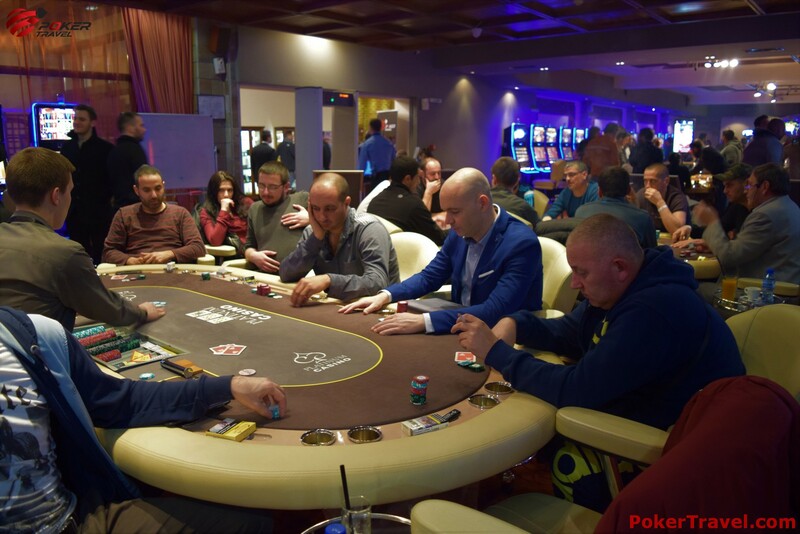 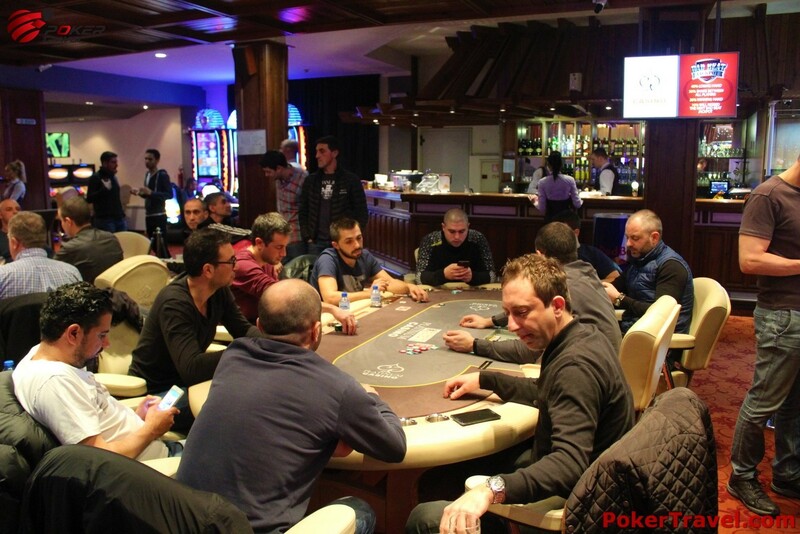 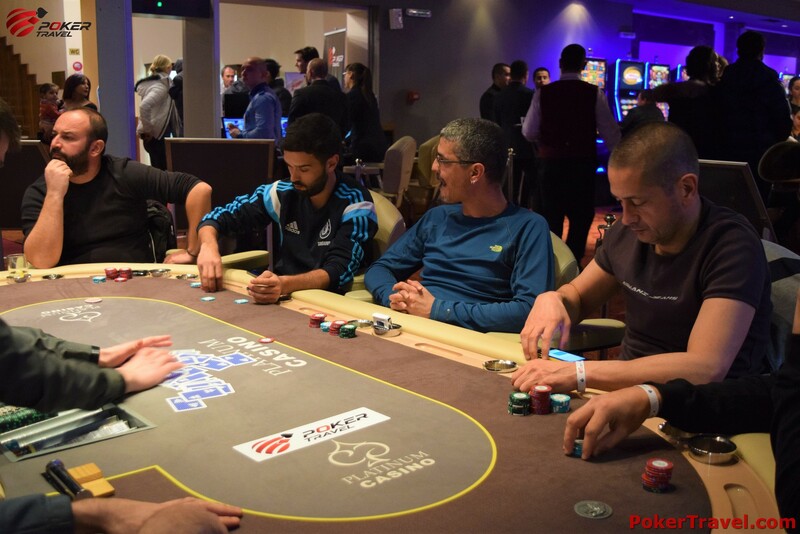 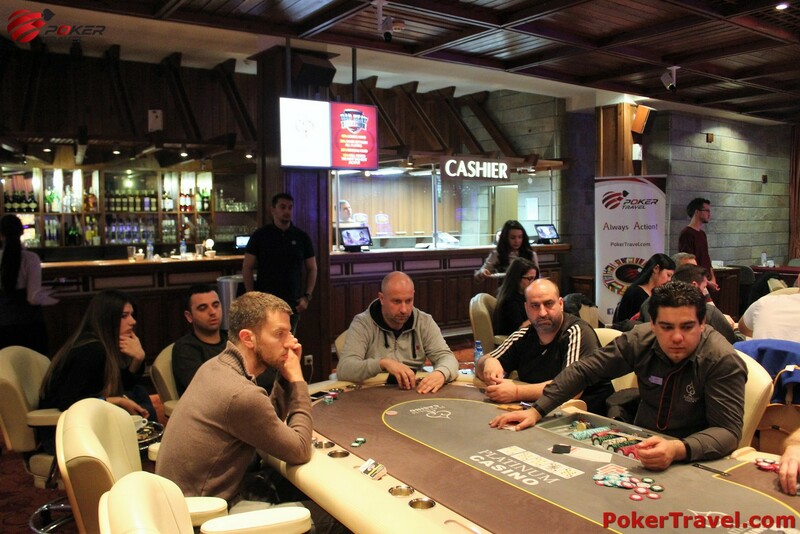 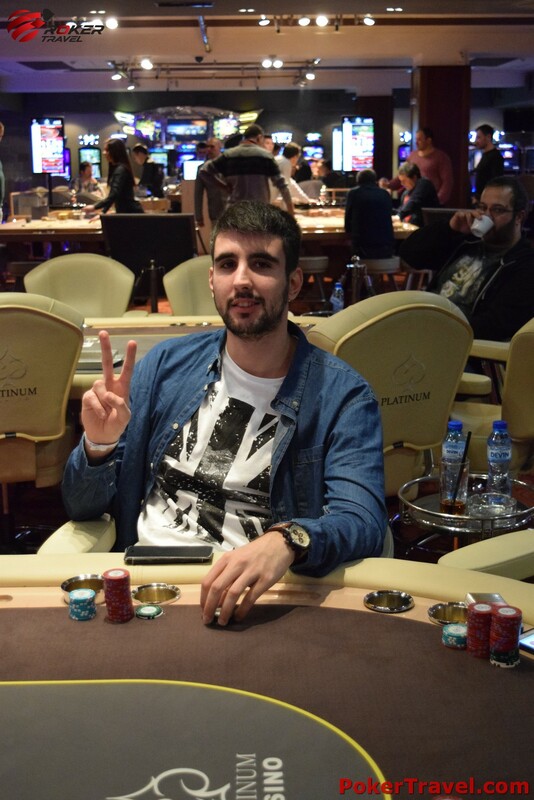 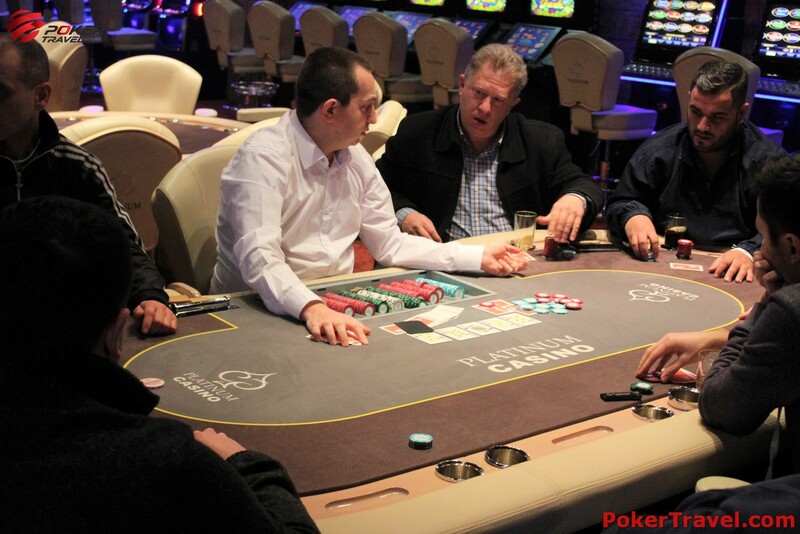 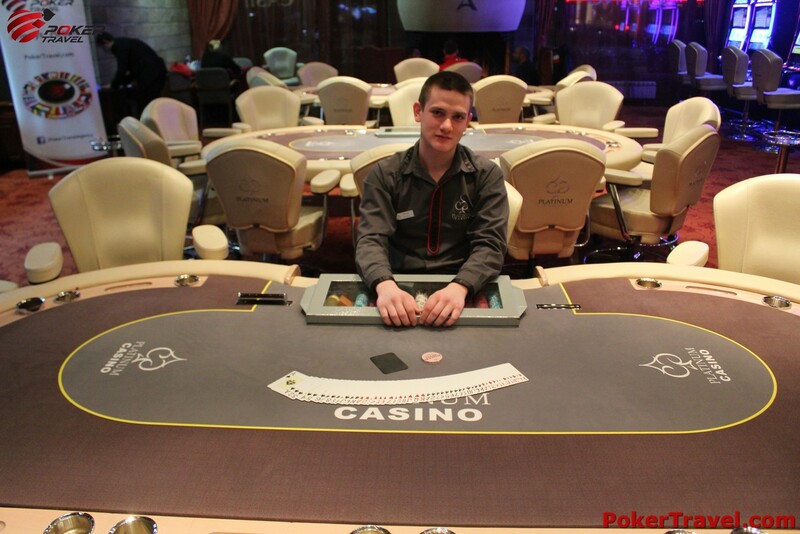 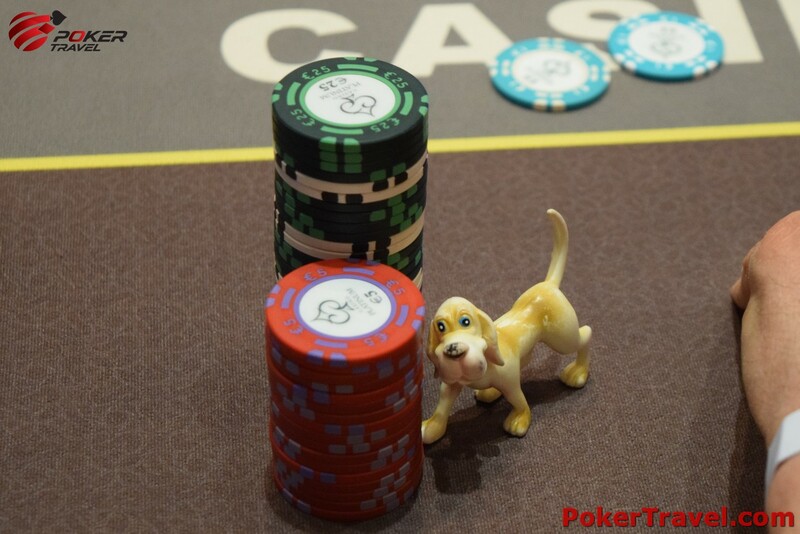 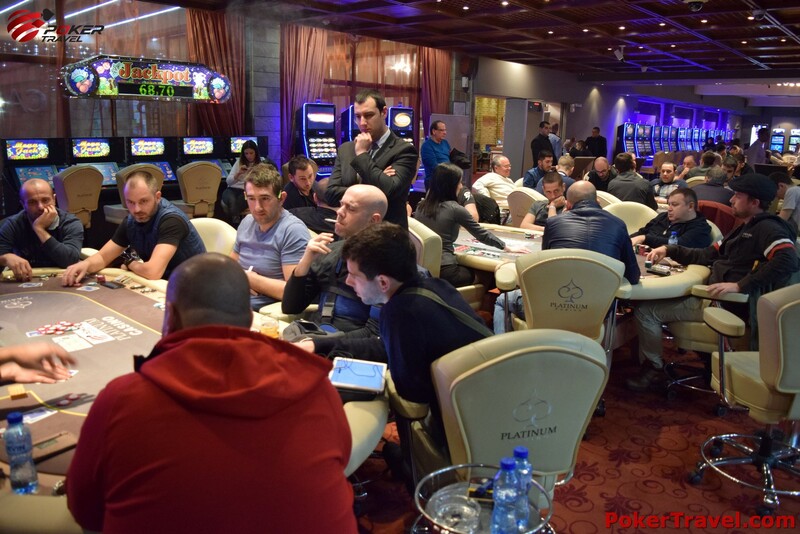 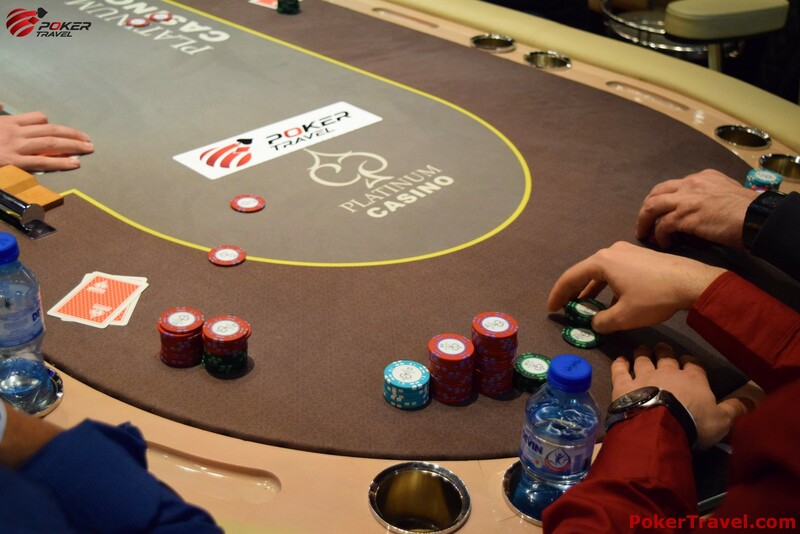 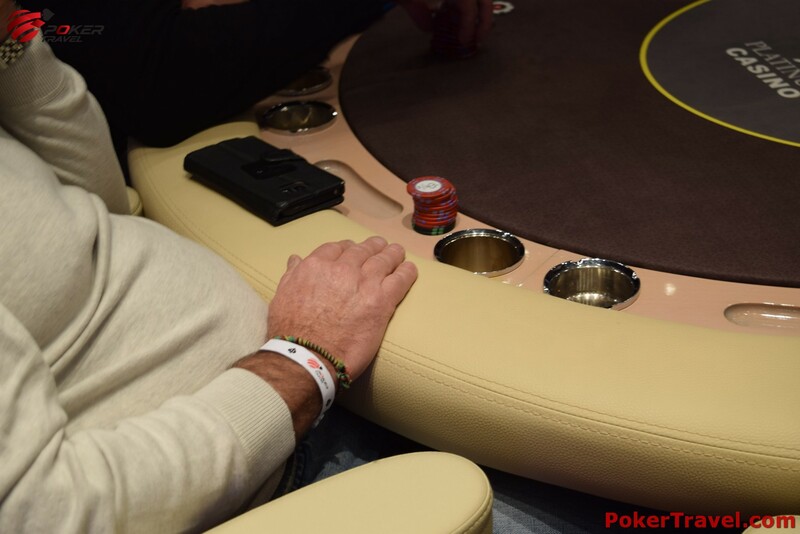 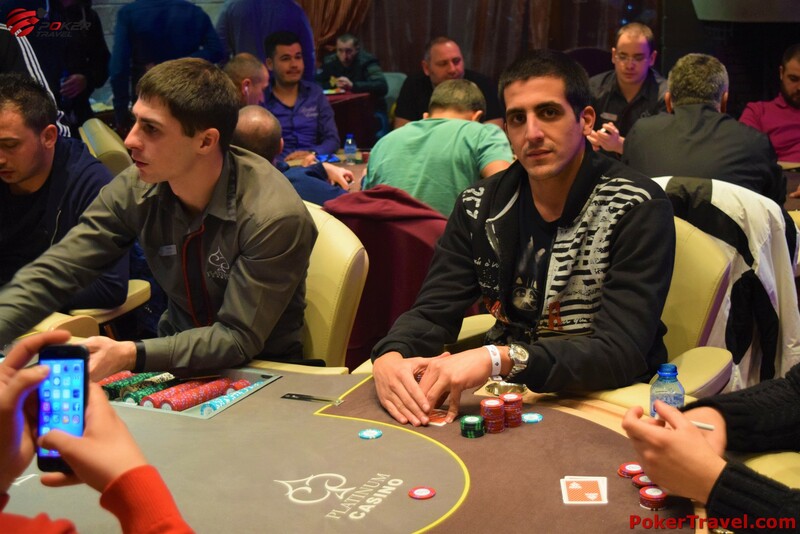 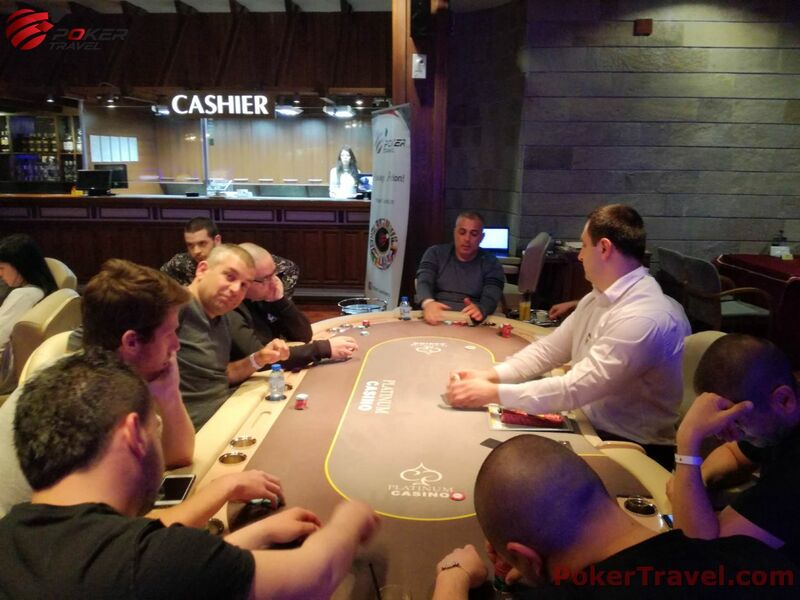 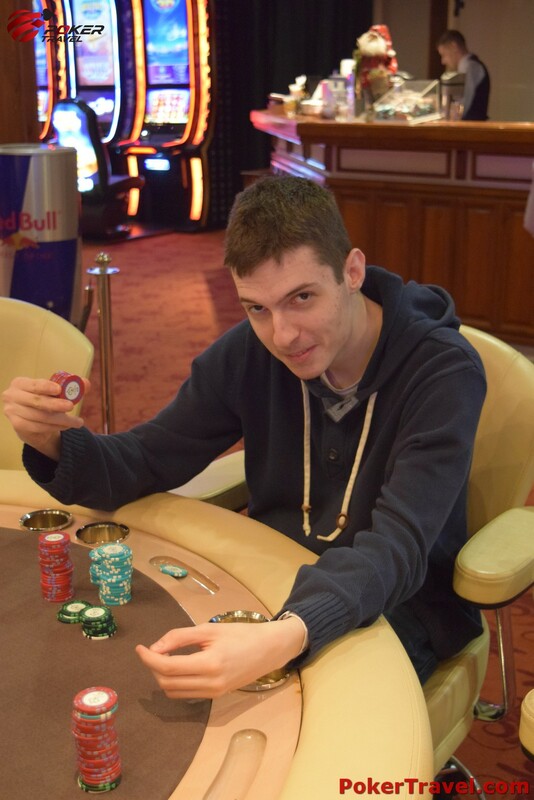 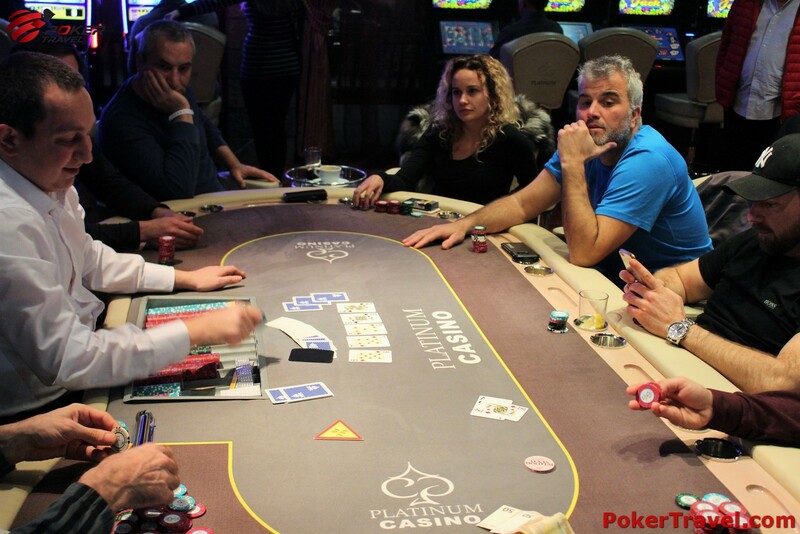 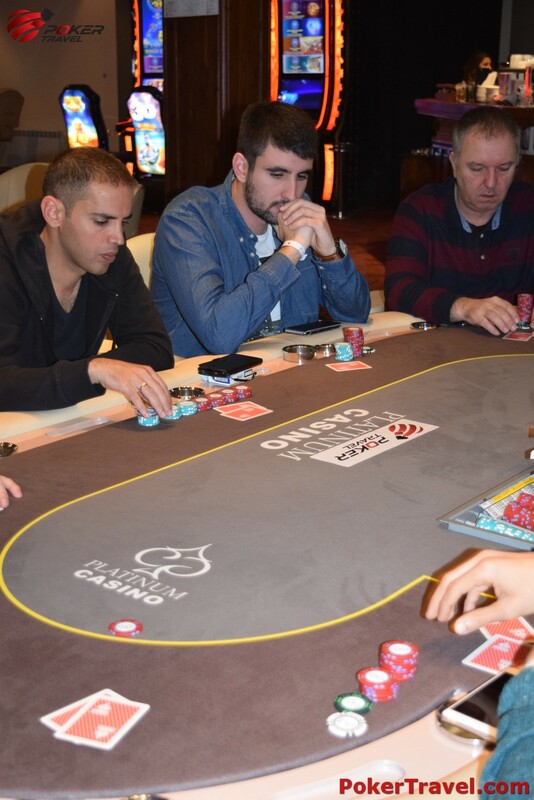 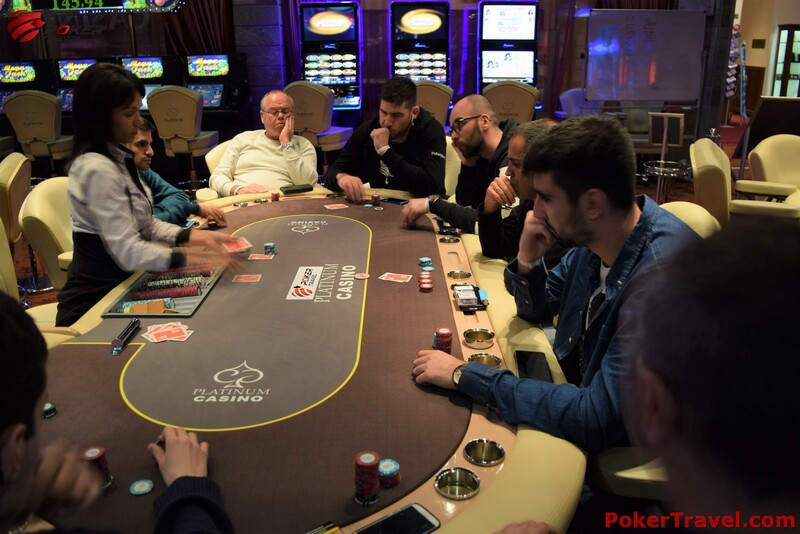 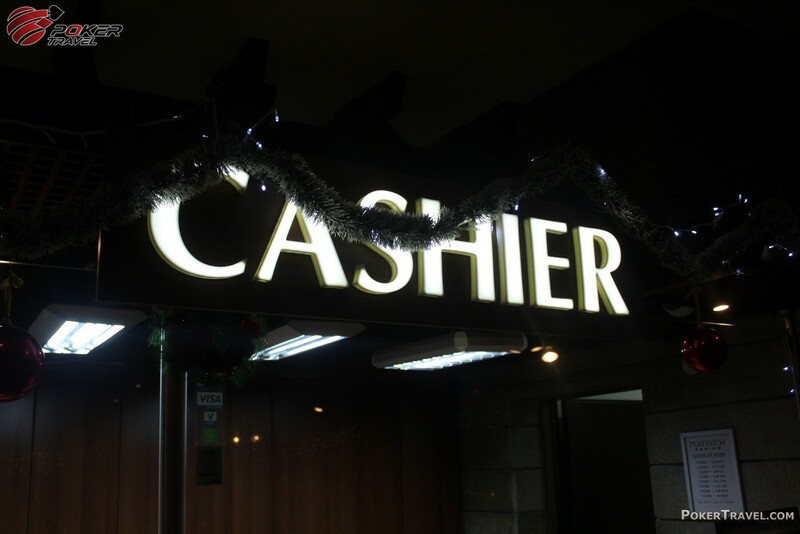 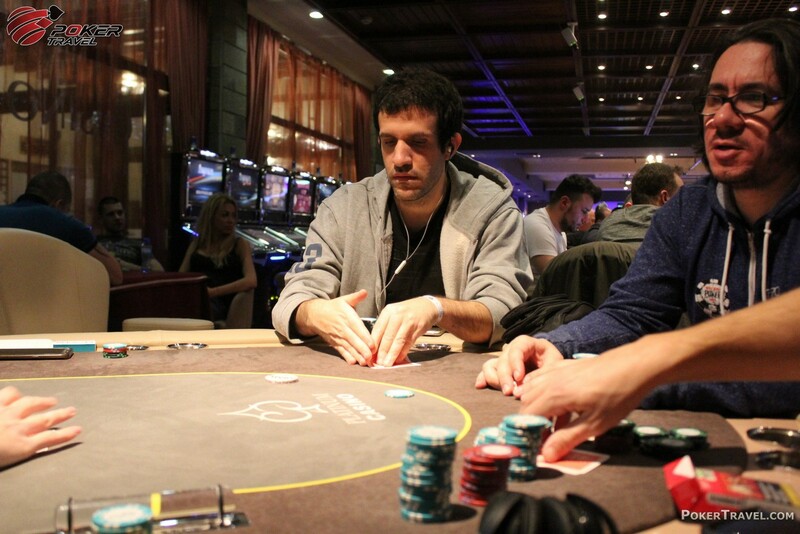 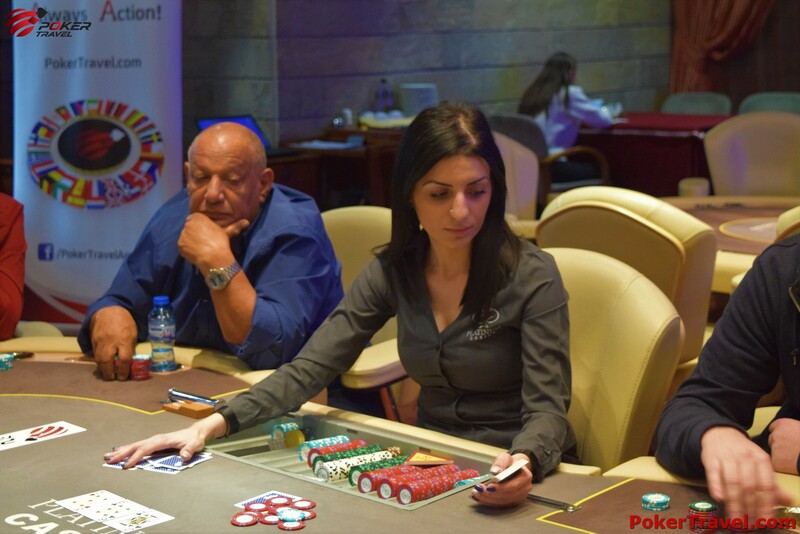 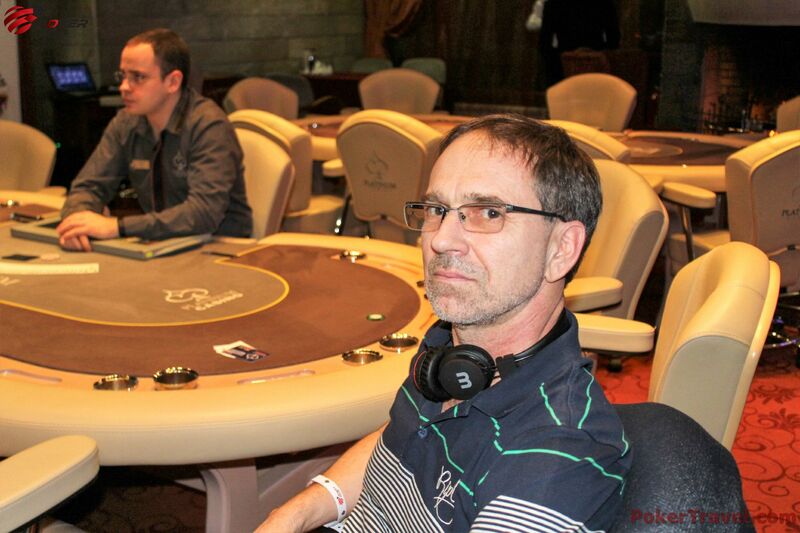 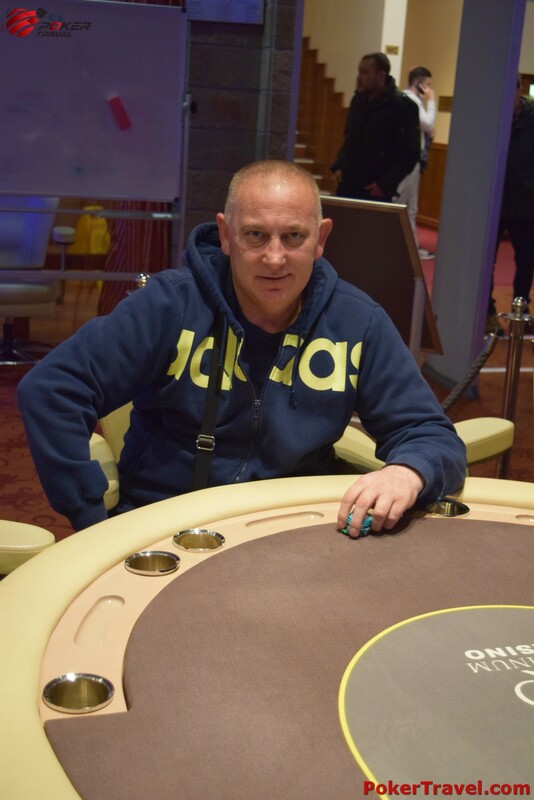 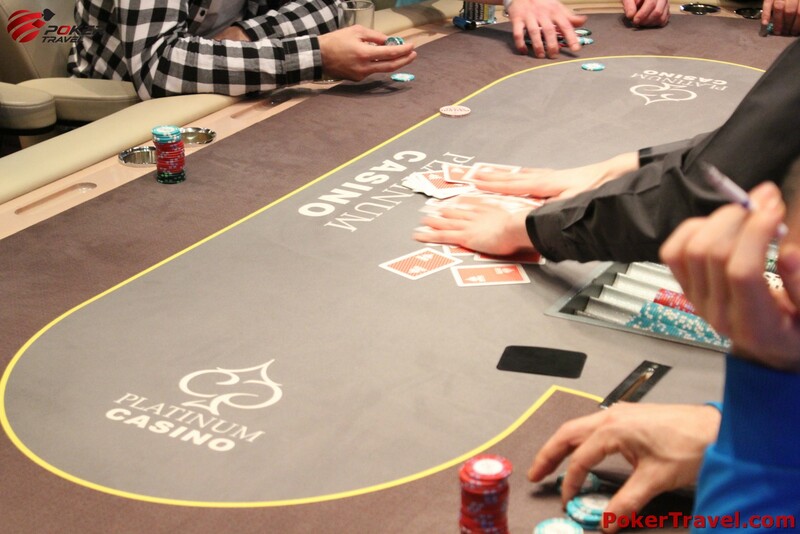 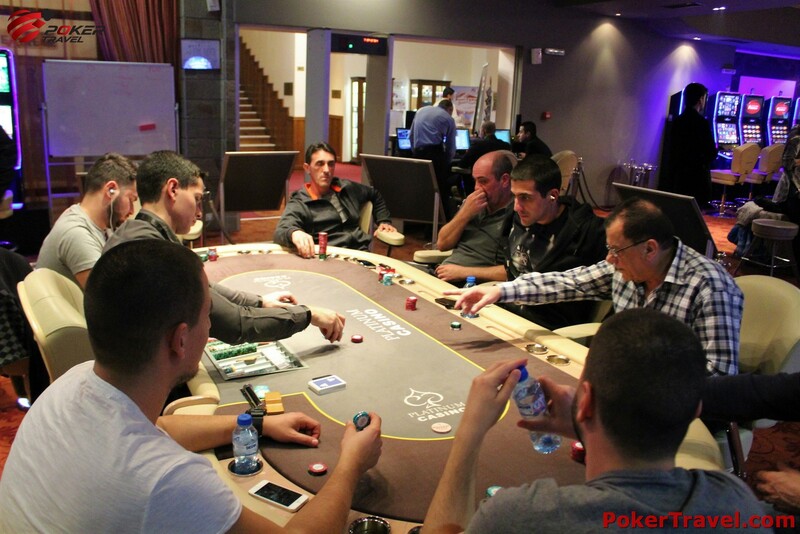 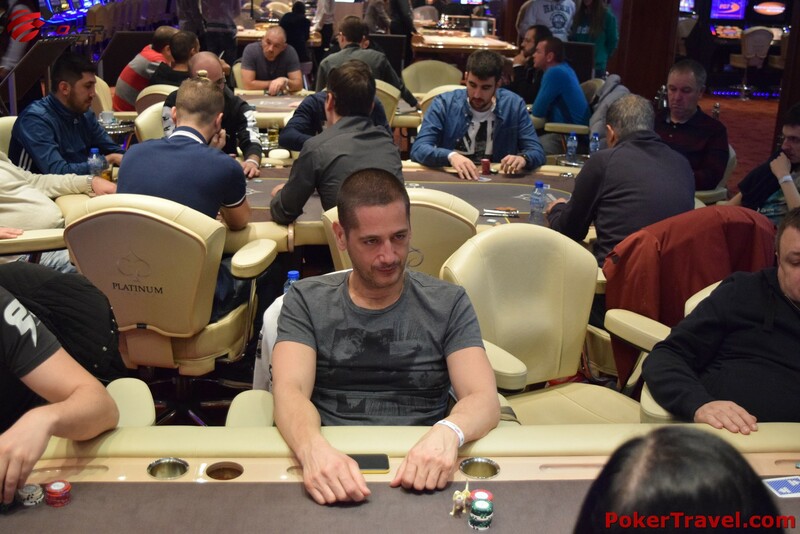 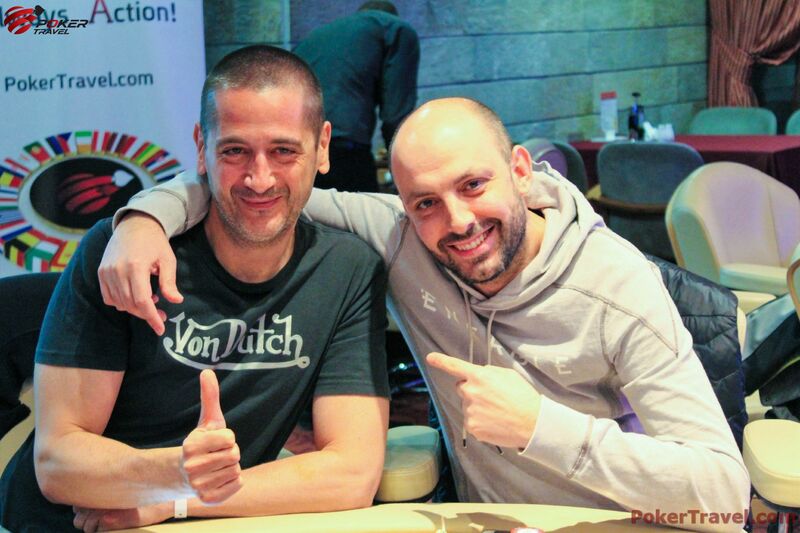 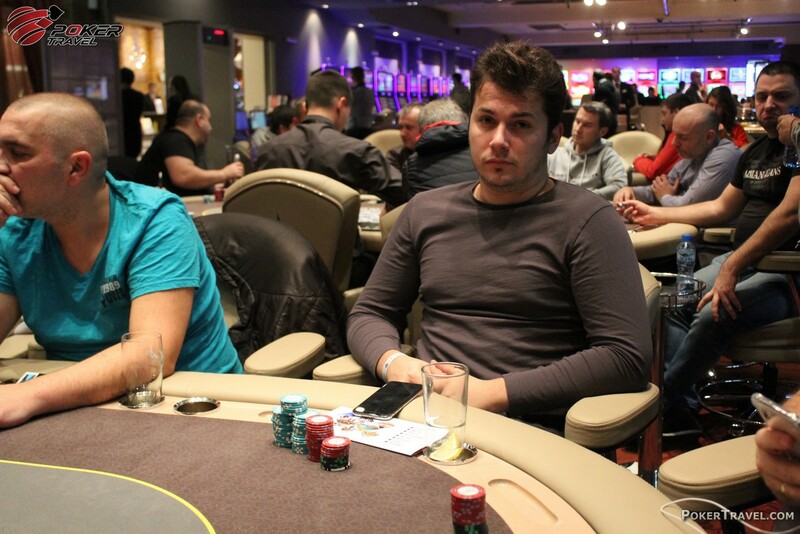 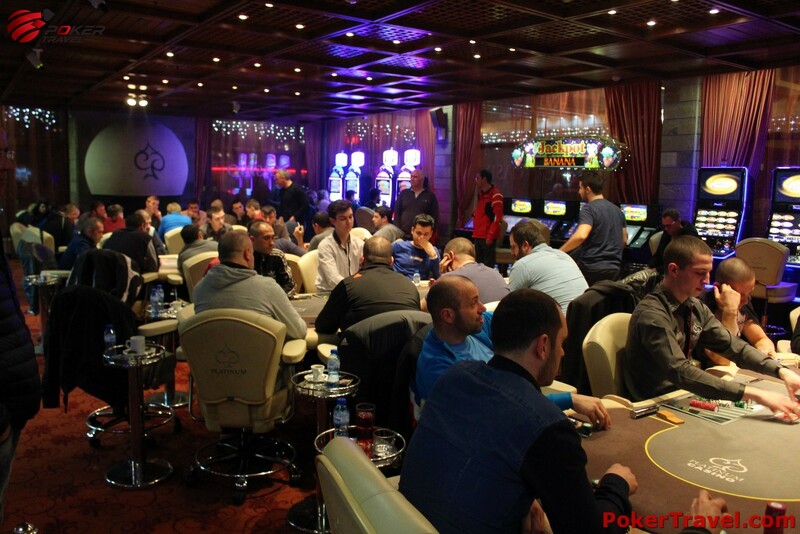 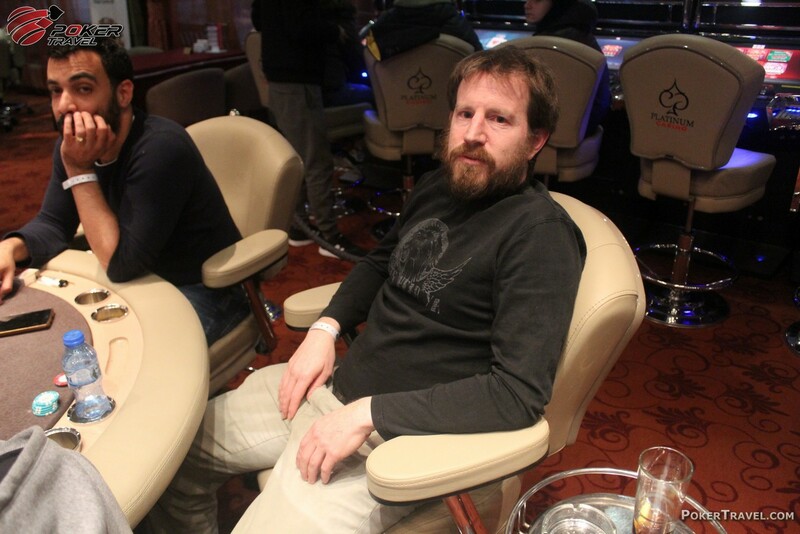 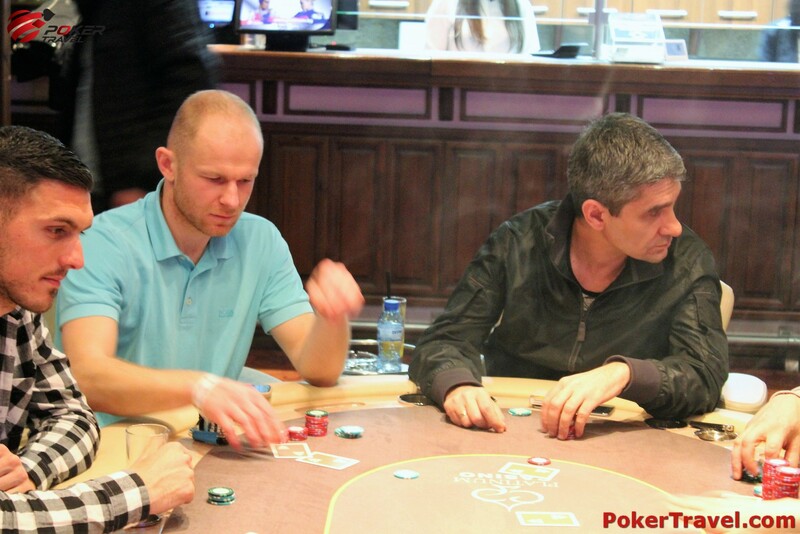 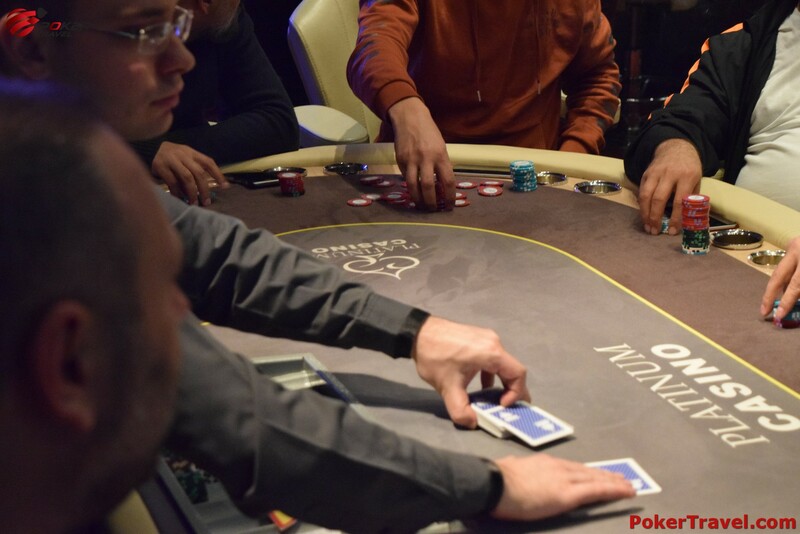 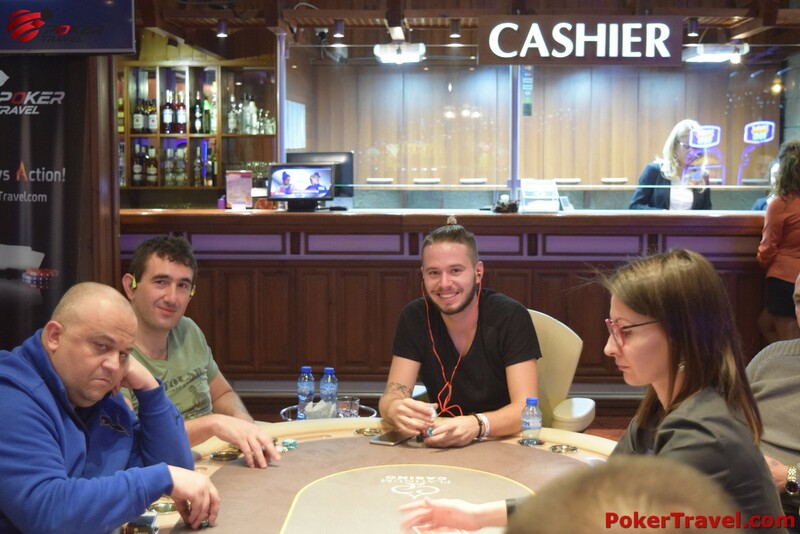 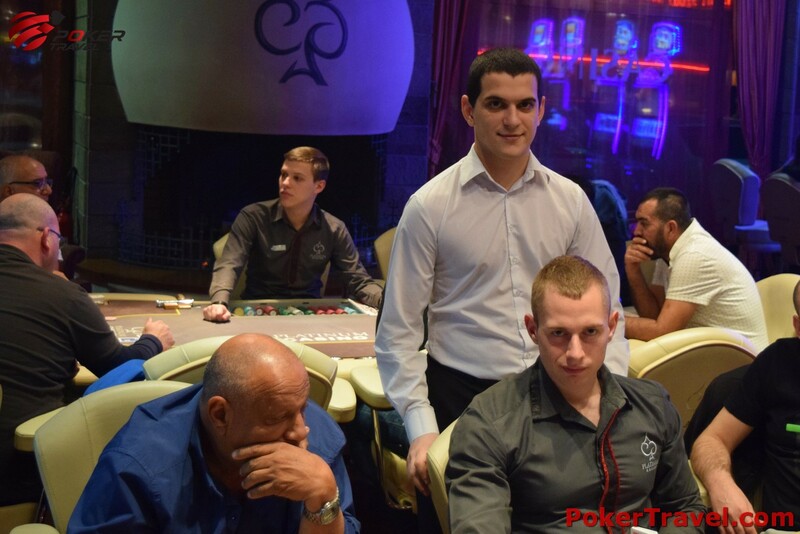 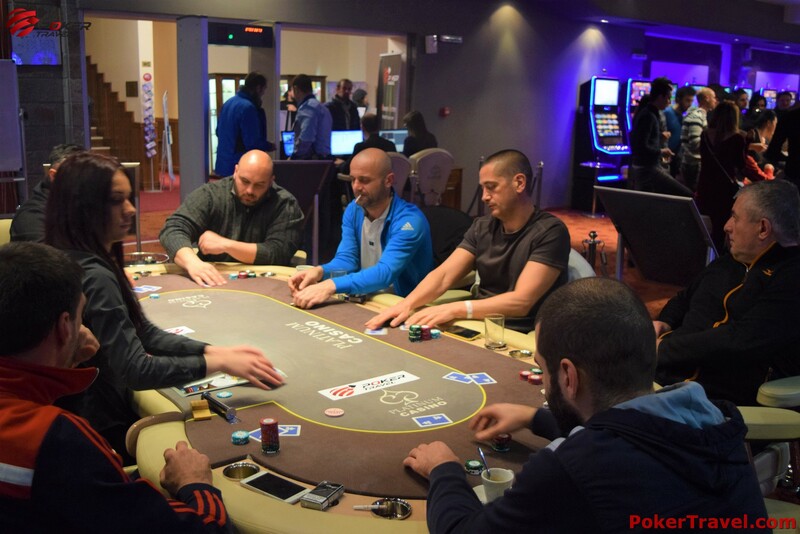 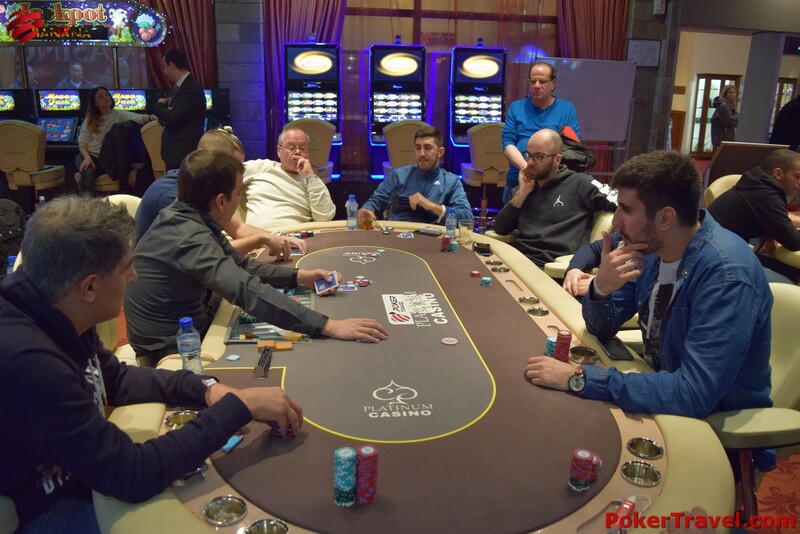 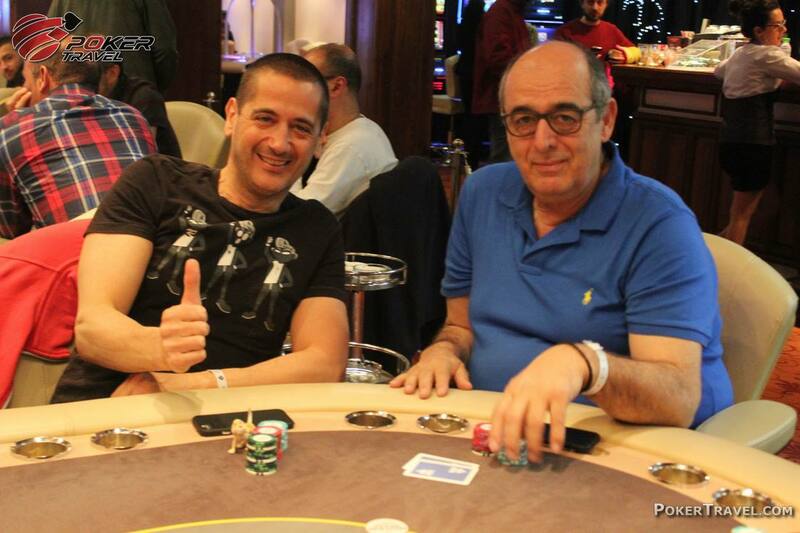 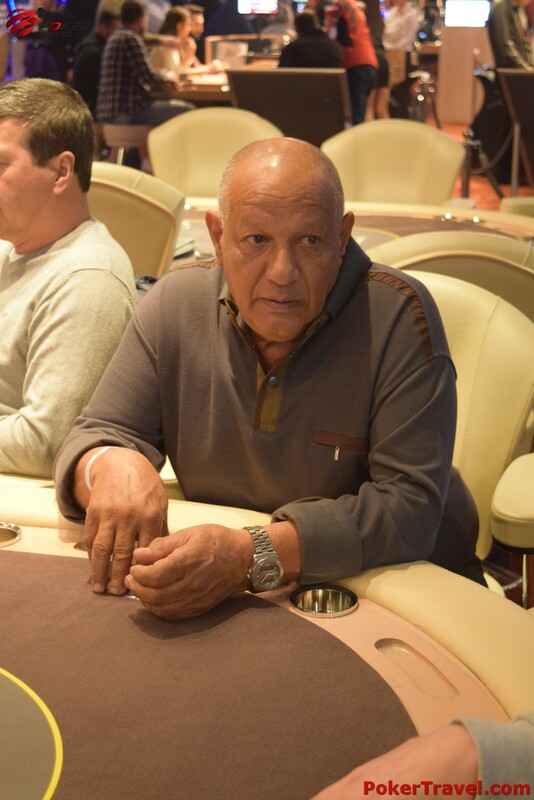 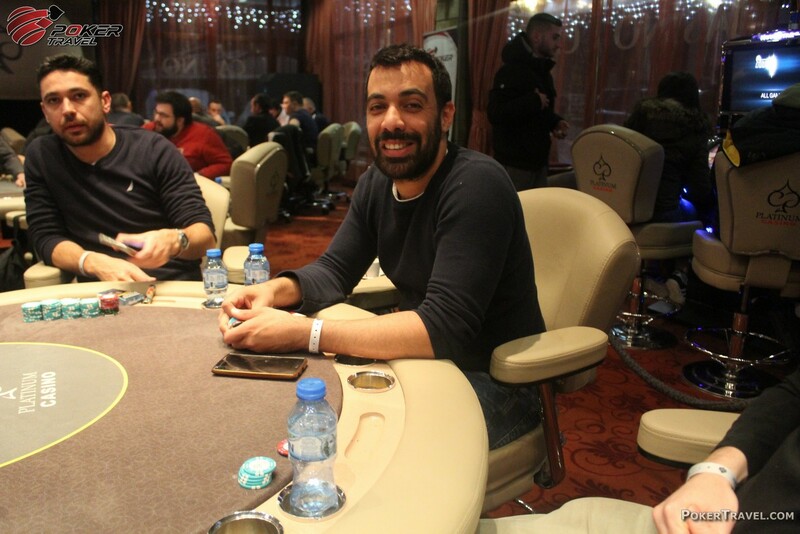 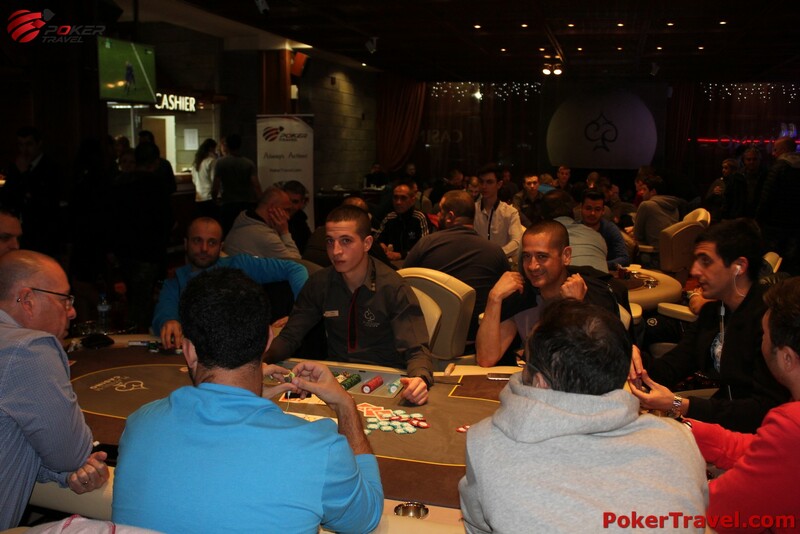 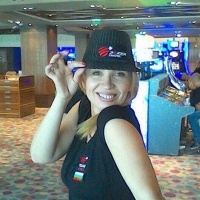 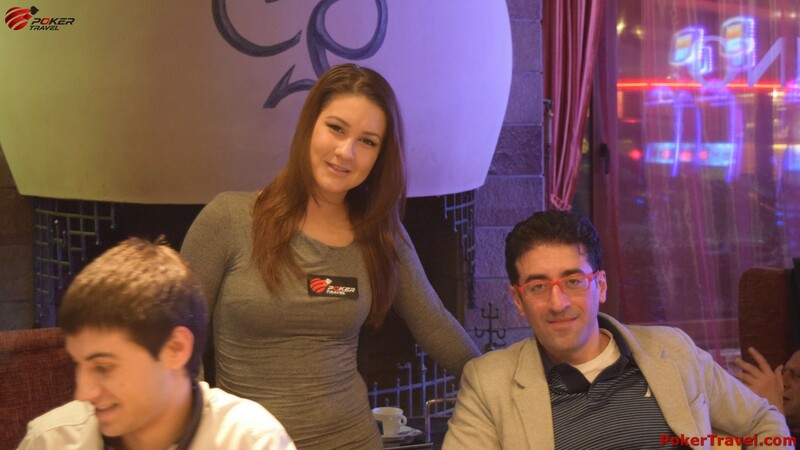 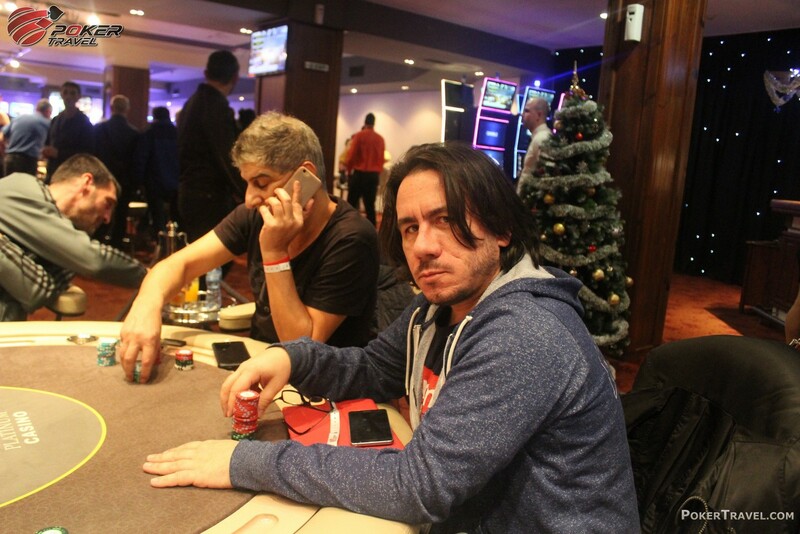 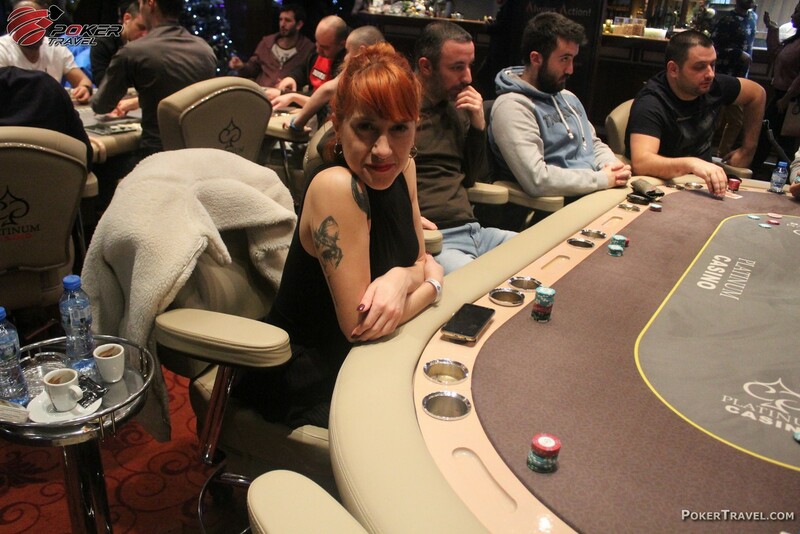 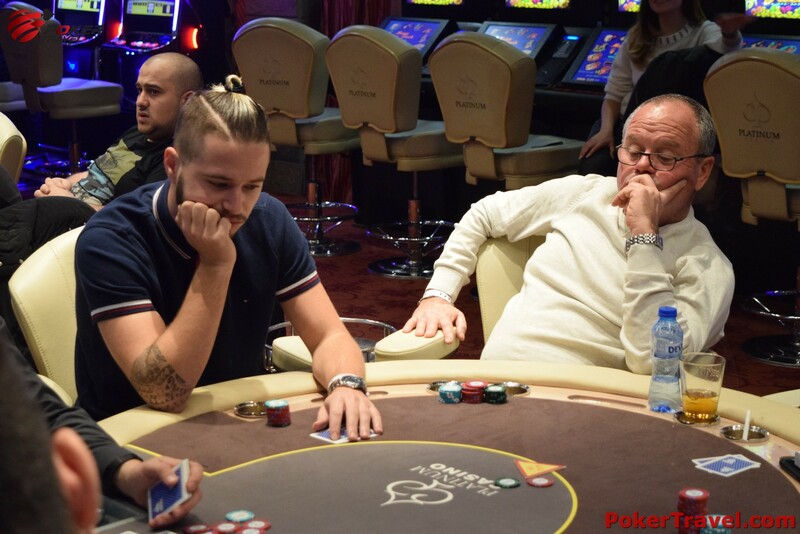 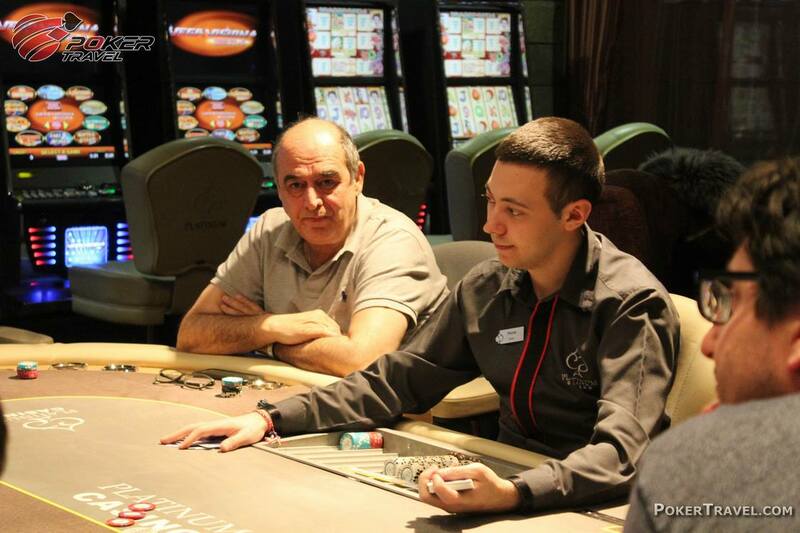 The rake for €2-€5, €5-€5 and €5-€10 blinds is 2% with €25 cap. 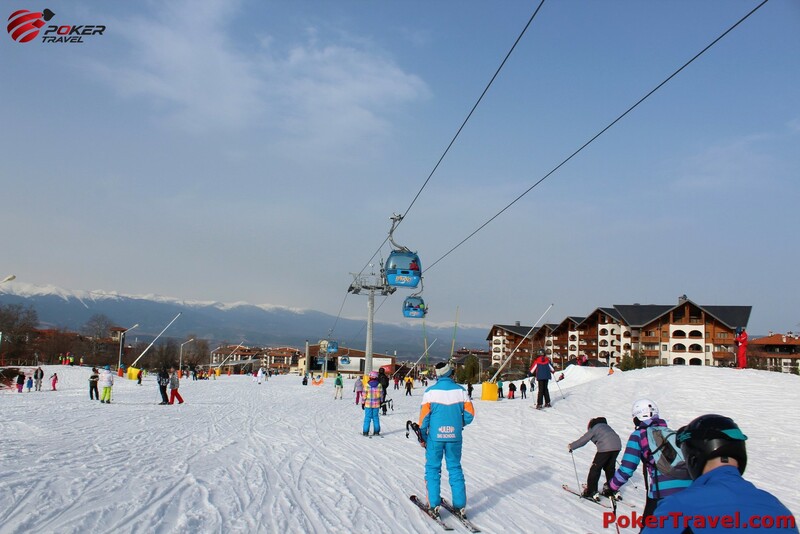 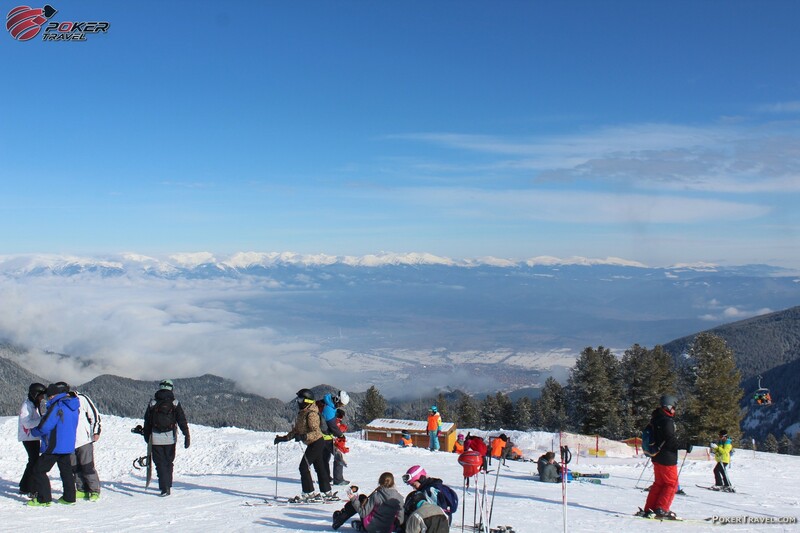 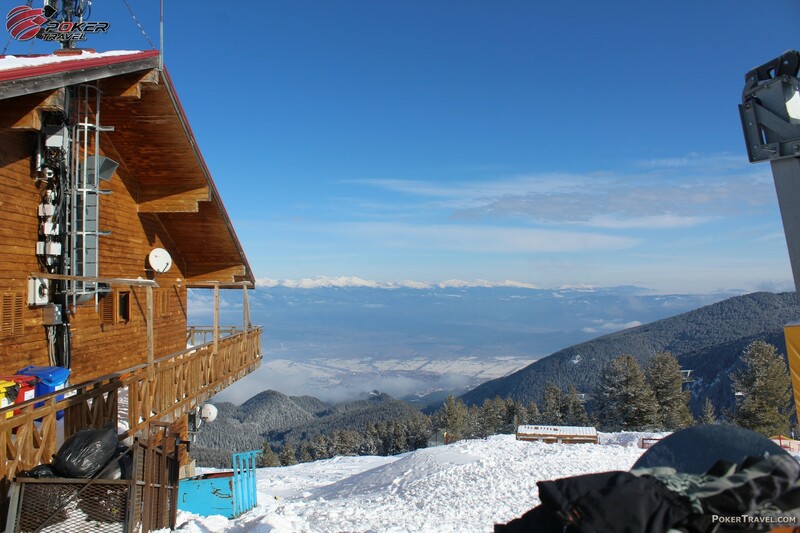 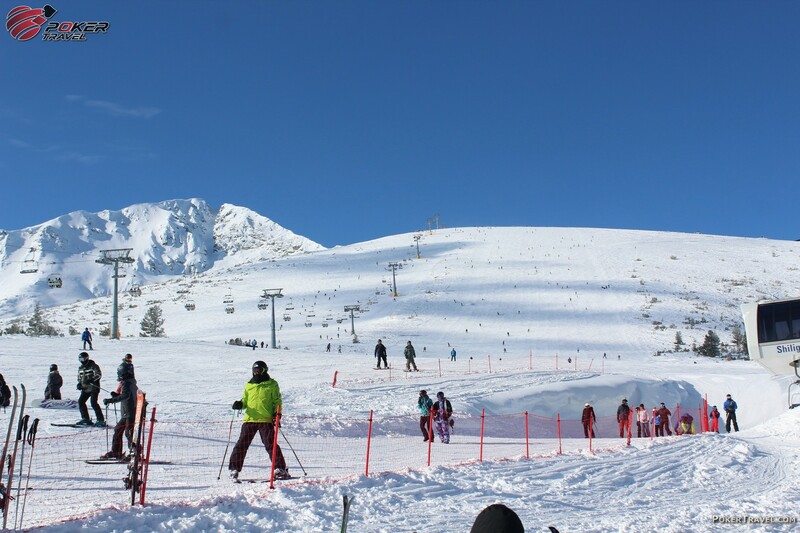 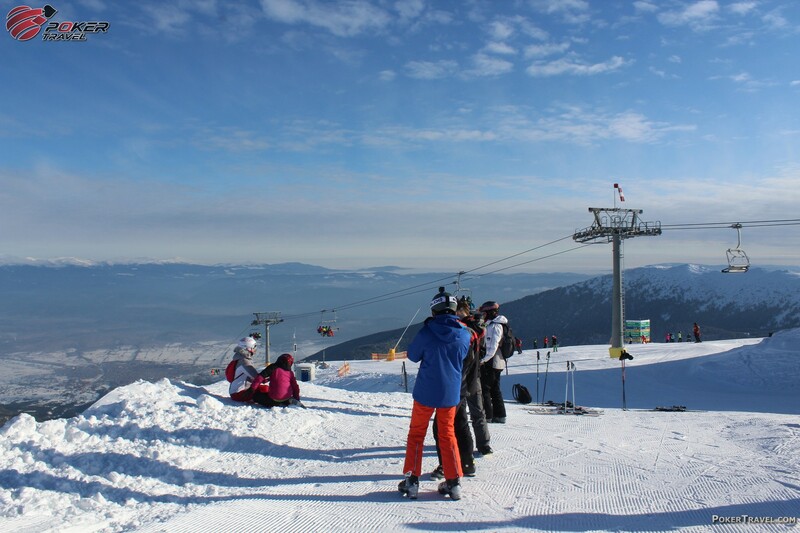 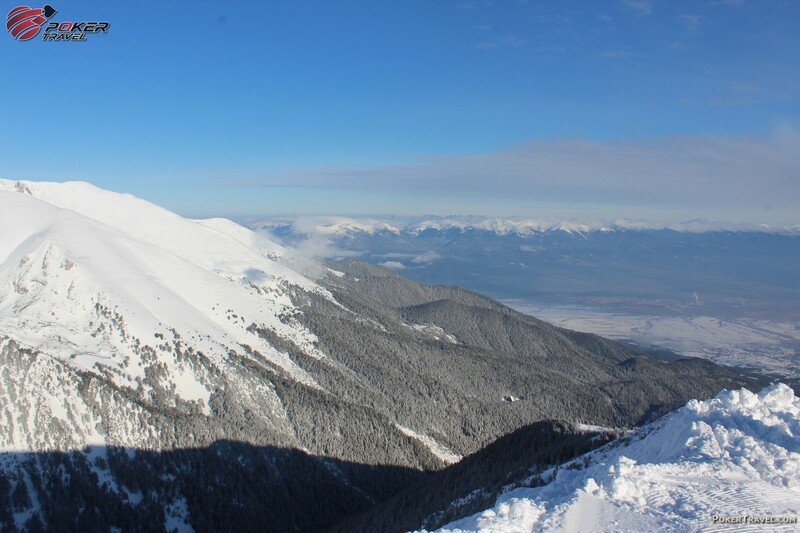 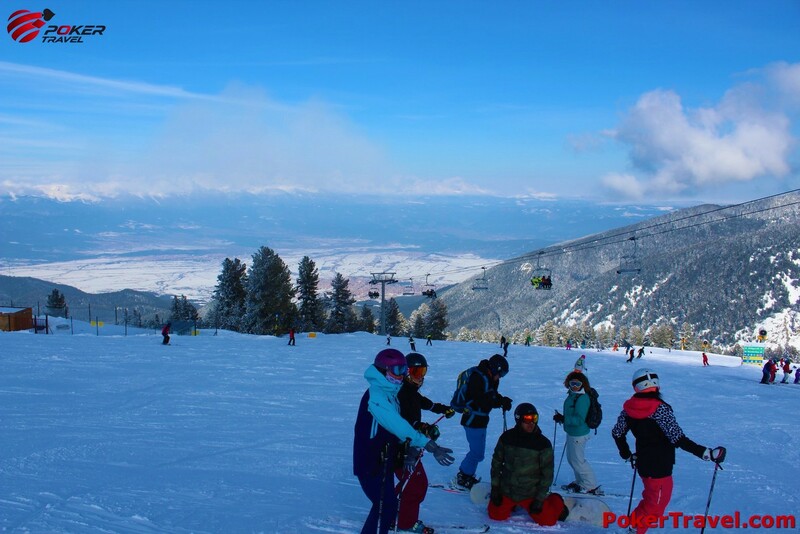 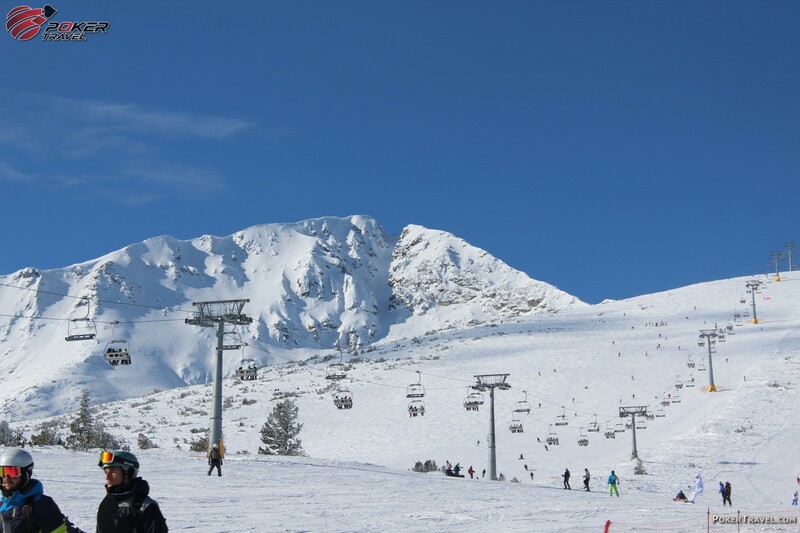 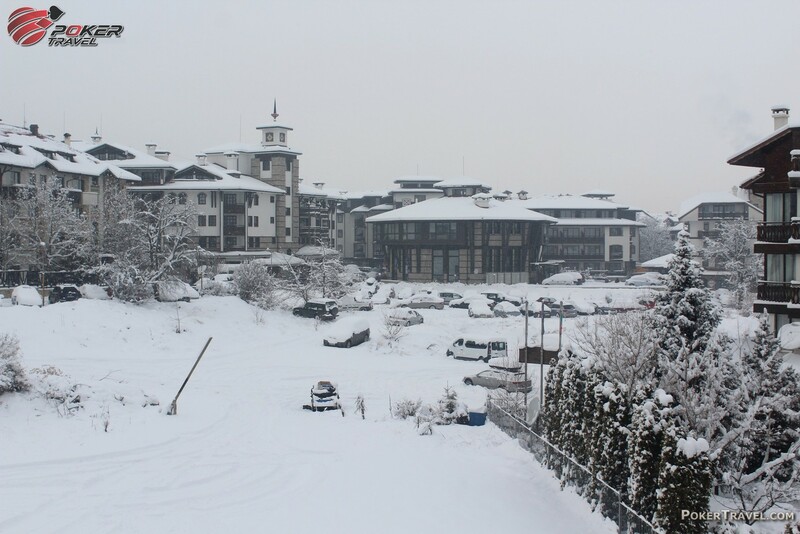 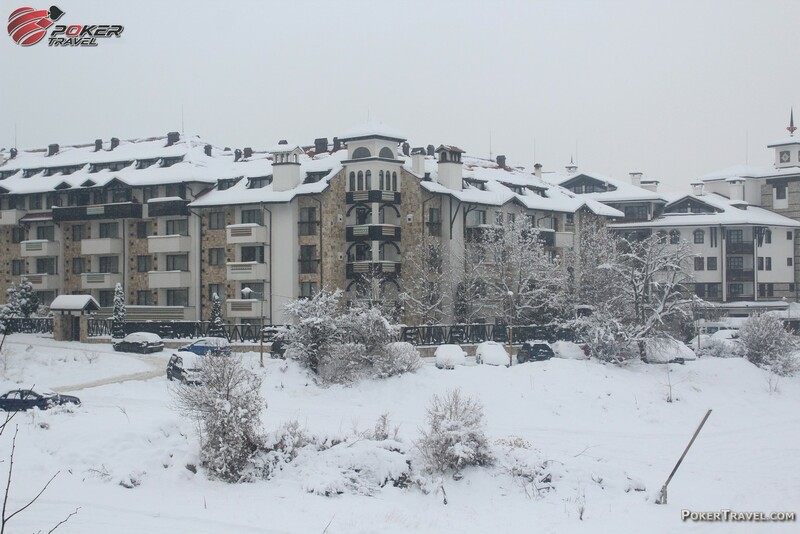 Bansko is the most desired winter resort destination in the Balkan peninsula. 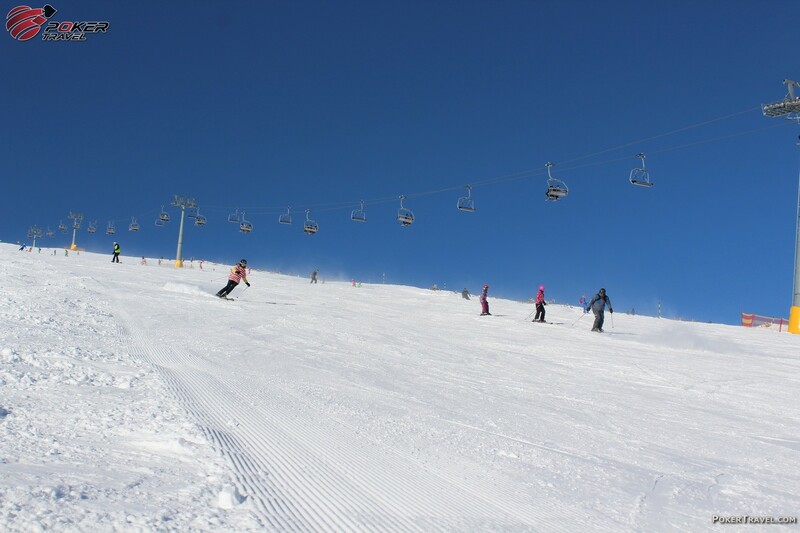 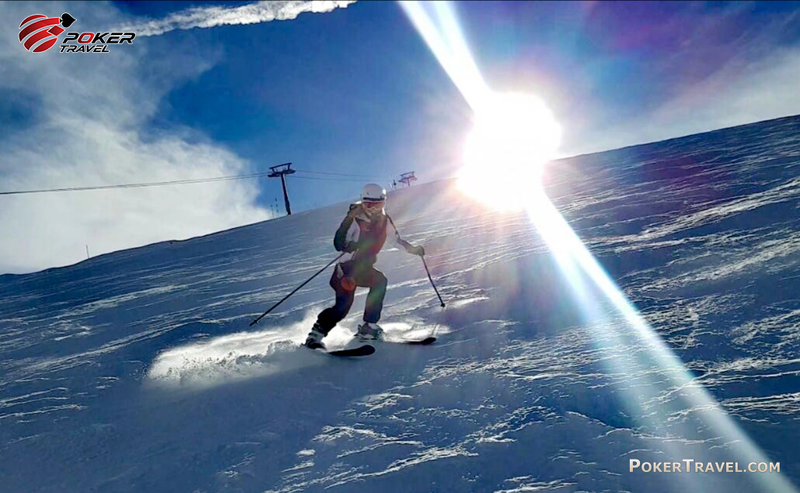 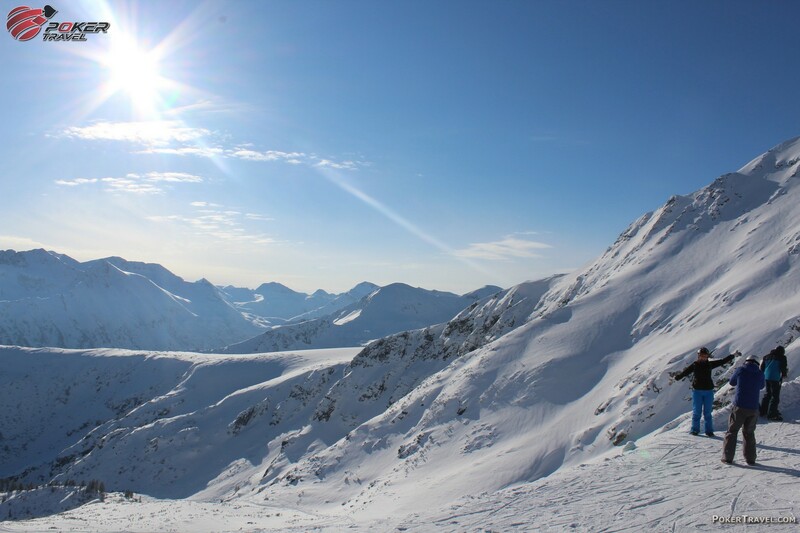 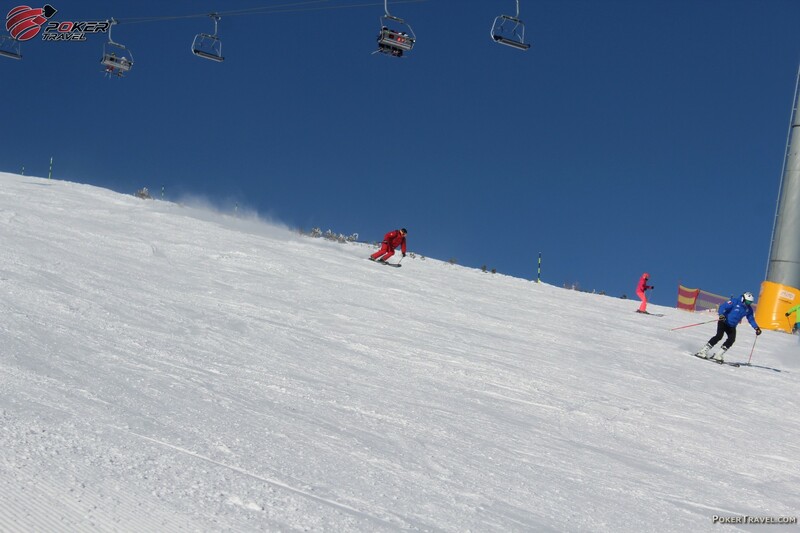 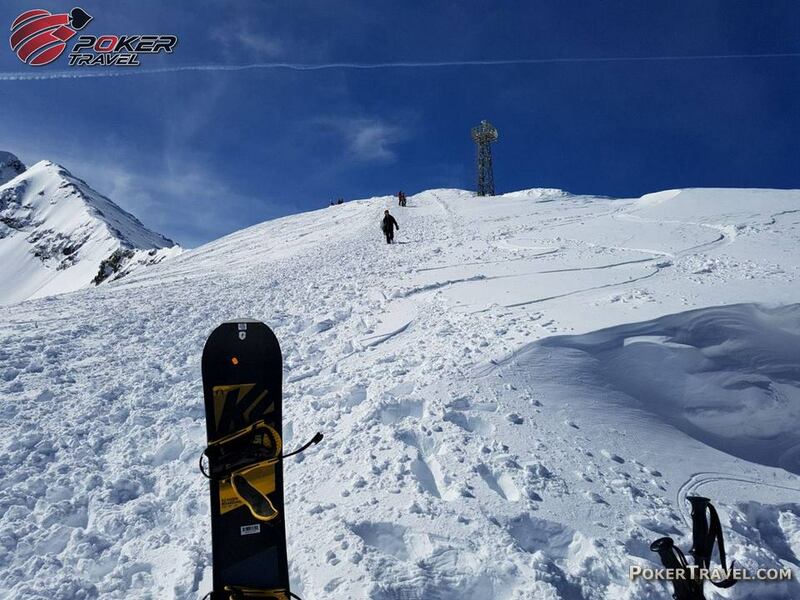 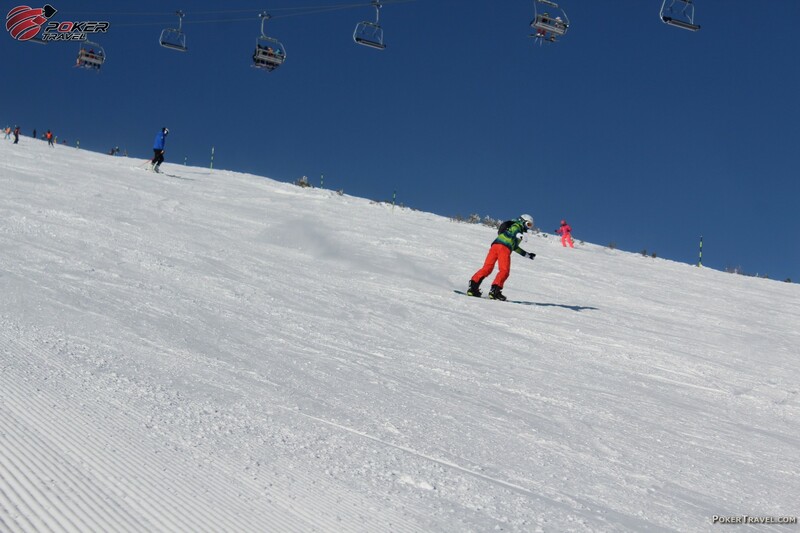 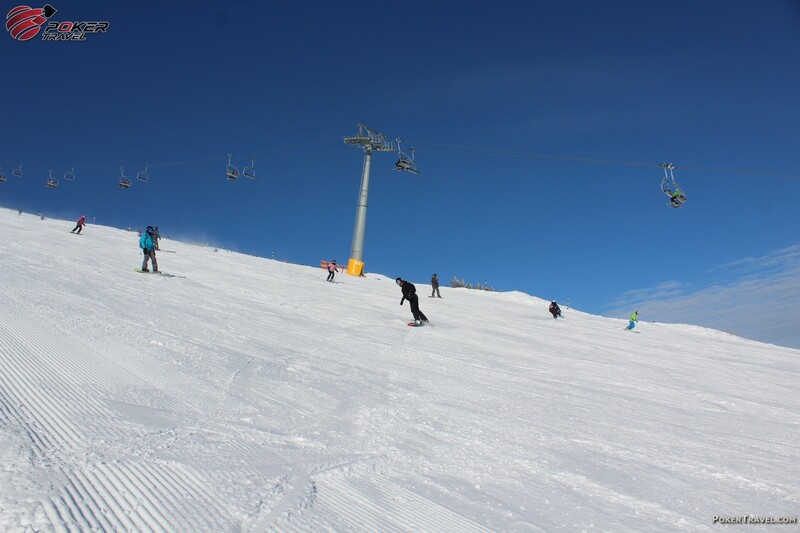 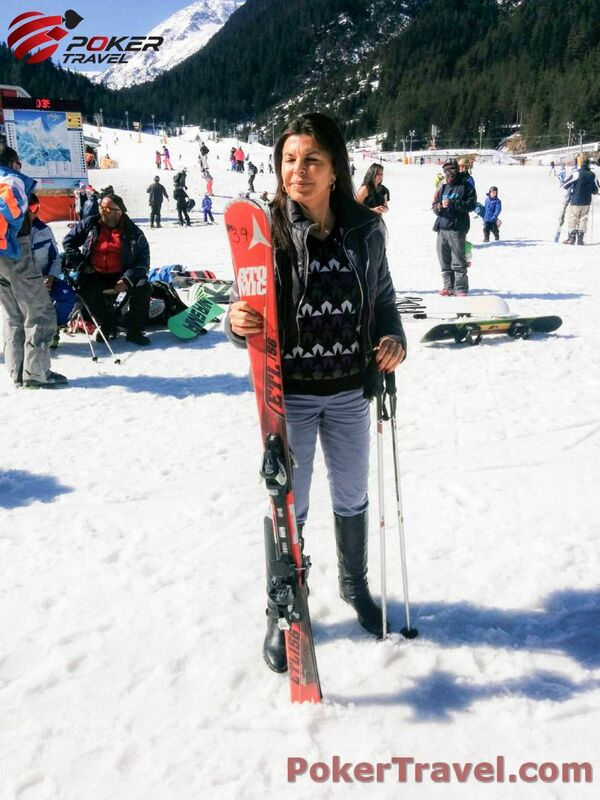 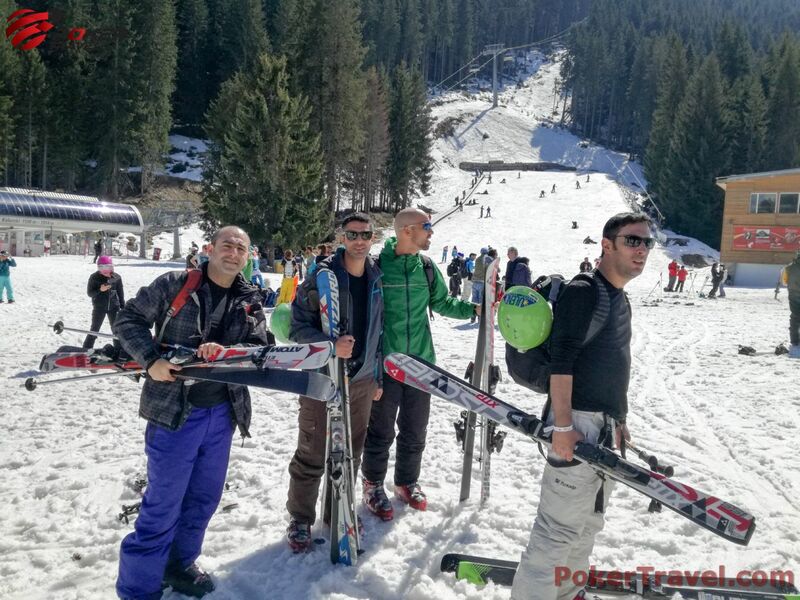 People travel from all around the world to take advantage of the exquisite opportunity to ski down the slopes of the beautiful Pirin mountain at an elevation of 927 m. above sea level. 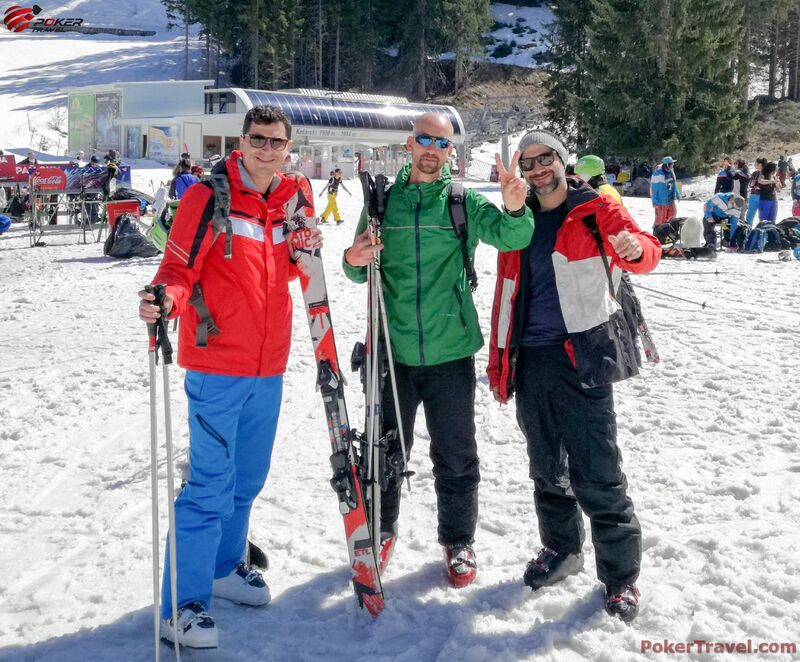 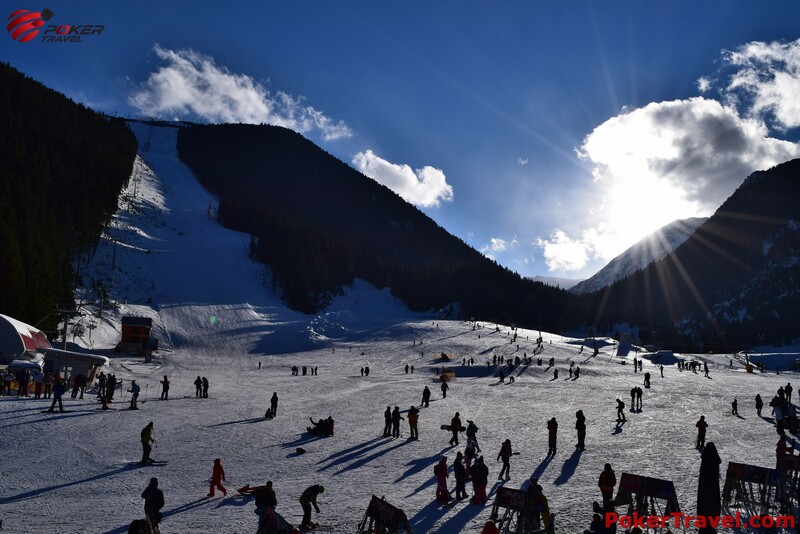 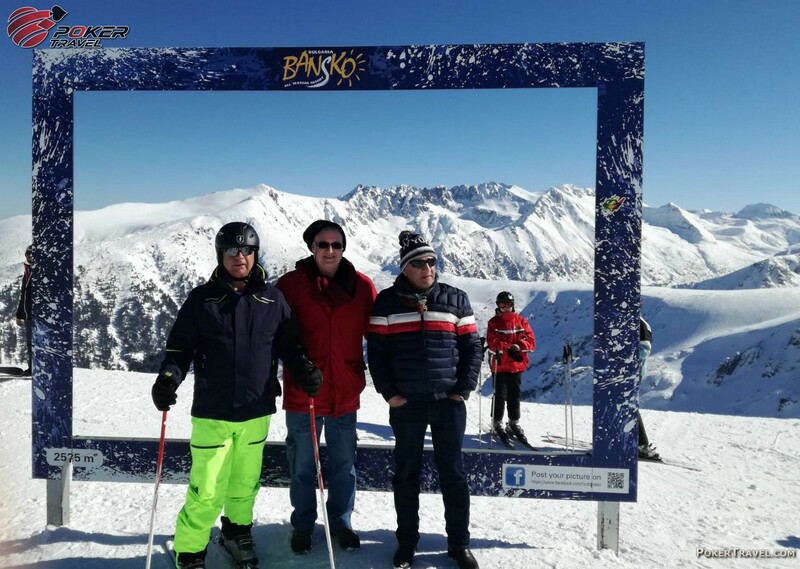 Bansko is one of the most visited and sought after winter resorts due to it's snowy slopes, which provide any tourist with an unforgettable skiing experience. 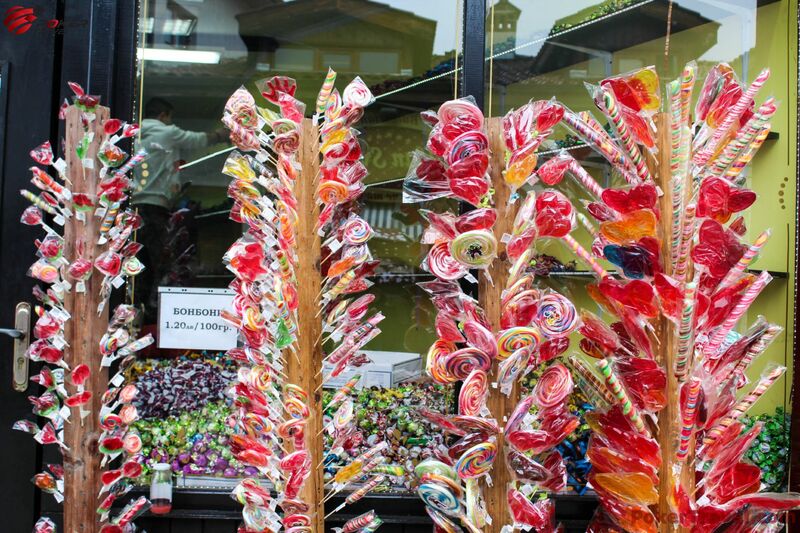 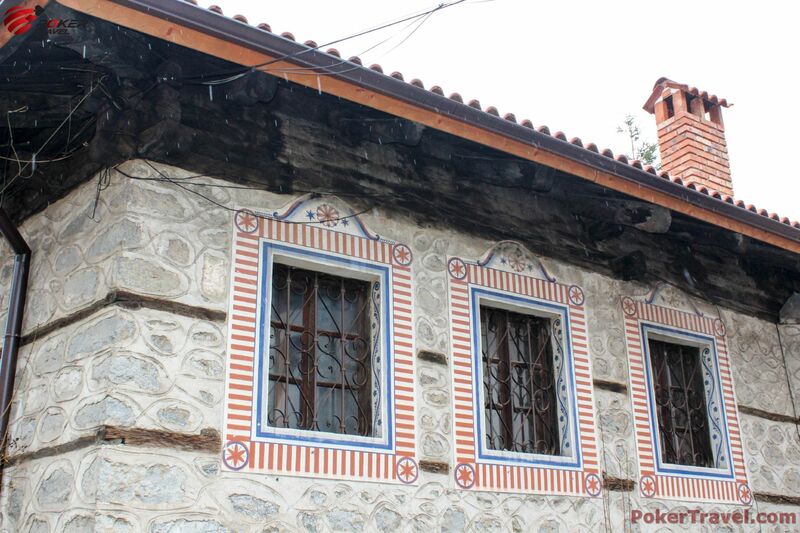 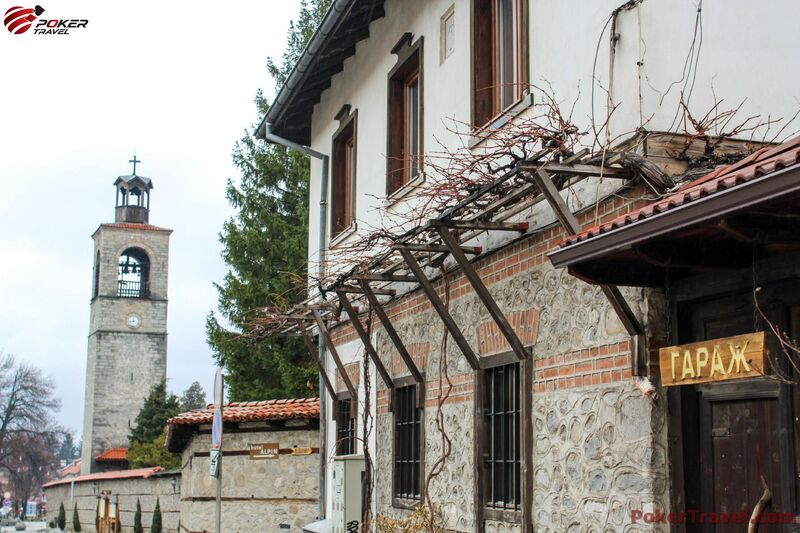 The residents of Bansko also take pride in the city's old history and rich, specific architecture. 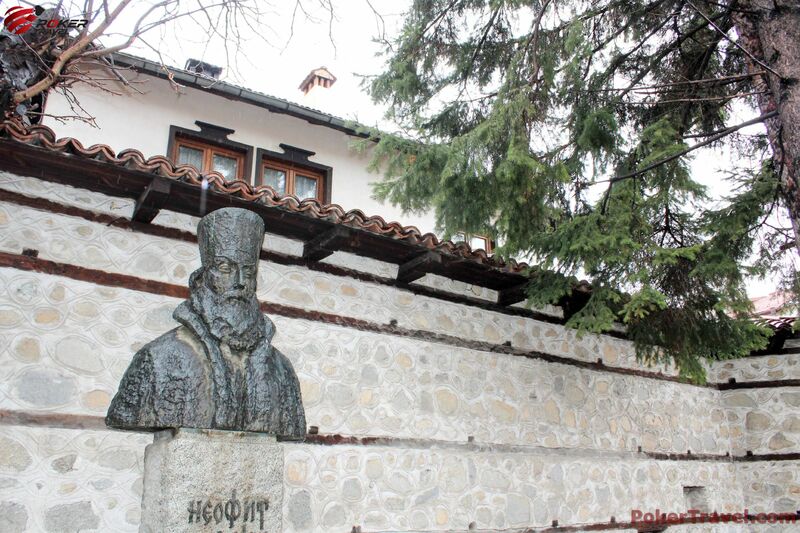 Visit Velyan’s house and the Museum house of Nikola Vaptsarov. 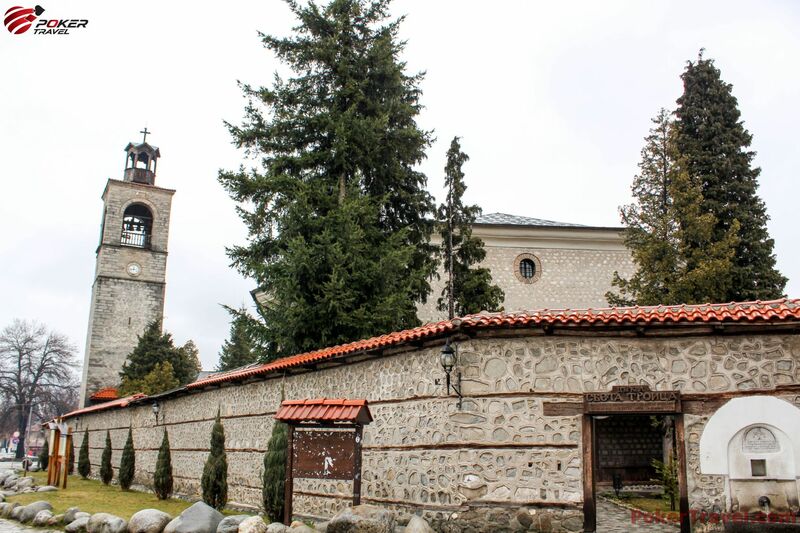 Another must see view is the Holy Trinity Church with its tall belfry, which has become a symbol of Bansko. 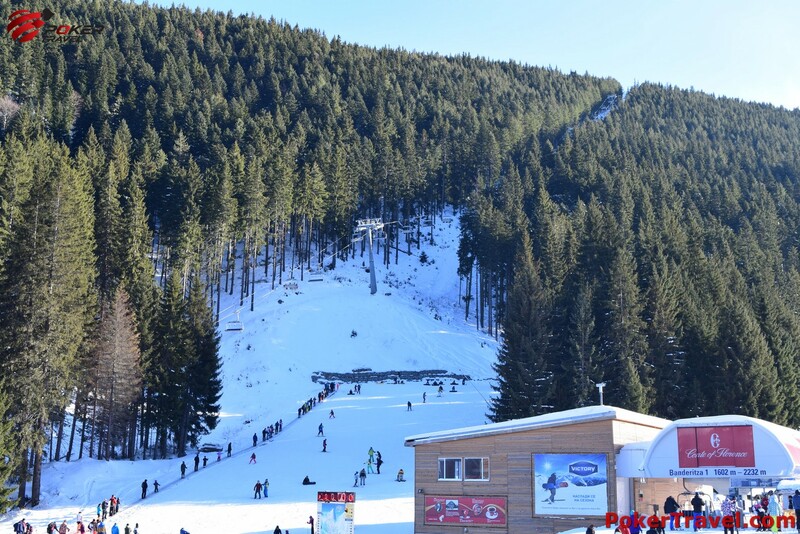 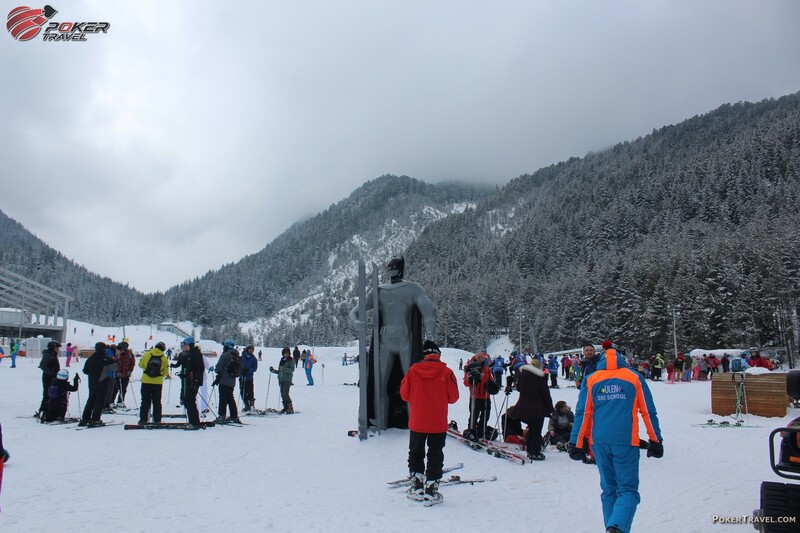 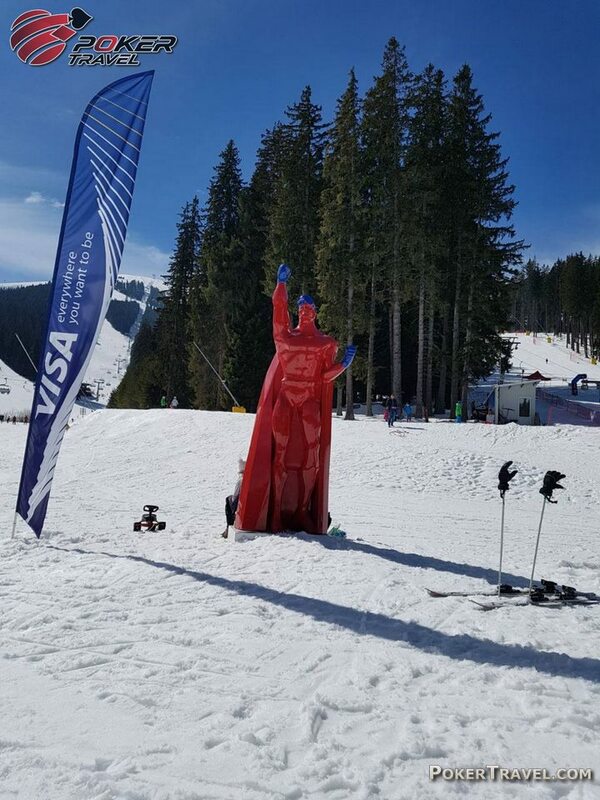 When visiting Bansko, not only you should go skiing, but you should also visit the Belitsa dancing bears park. 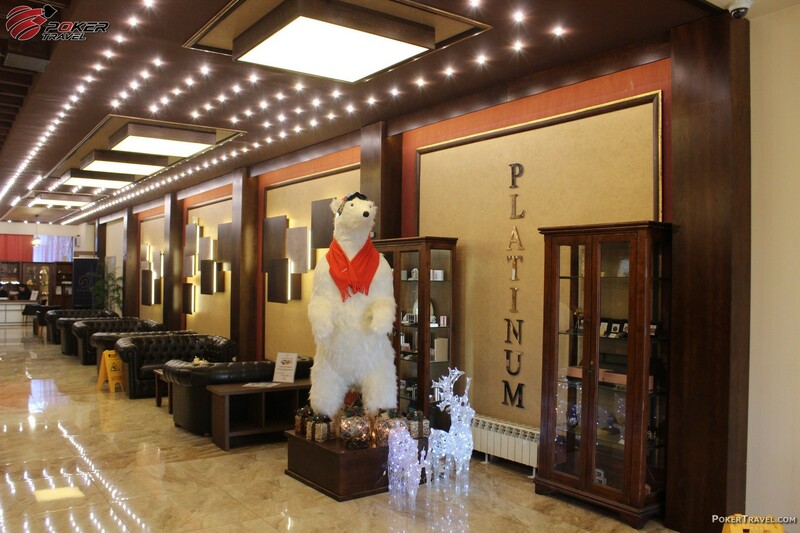 The park is home to 24 former dancing bears who used to be held in captivity, but are now rescued and live a free and happy life. 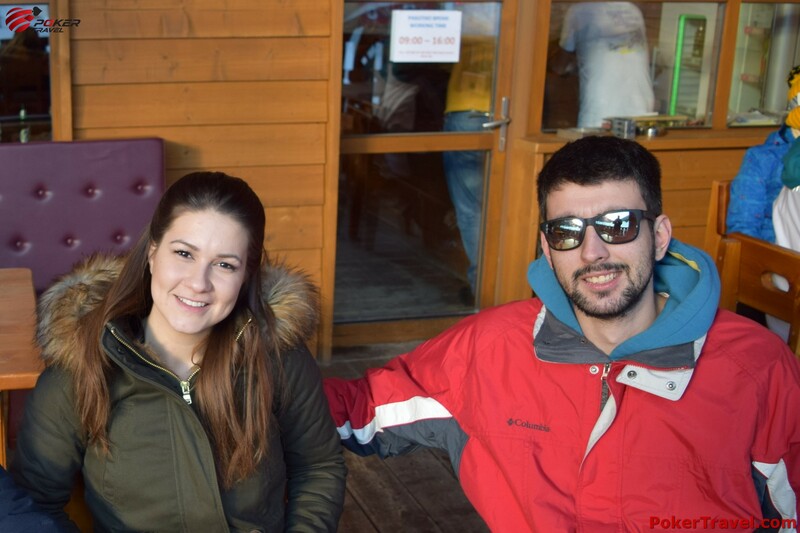 House Dedo Pene is a place where you’d always want to eat, drink and have fun. 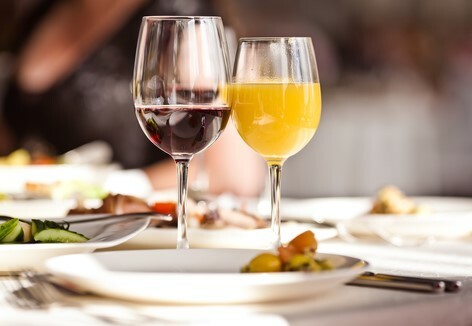 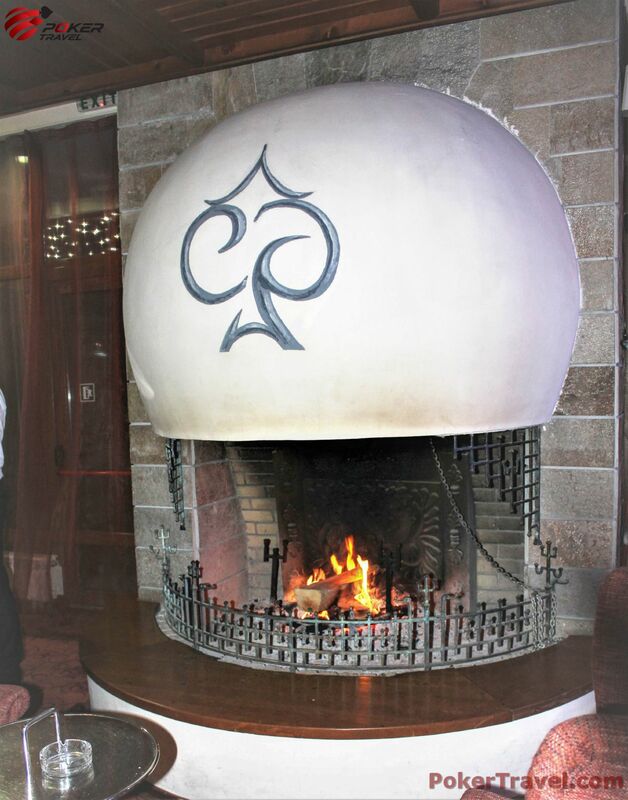 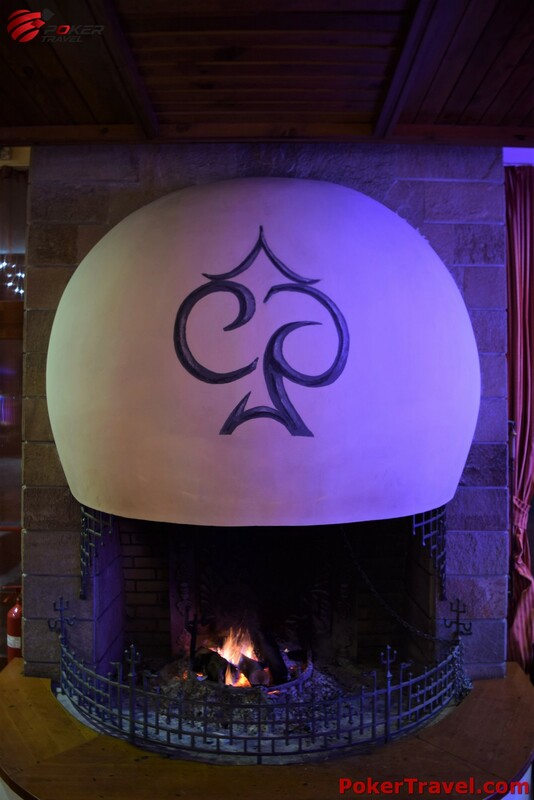 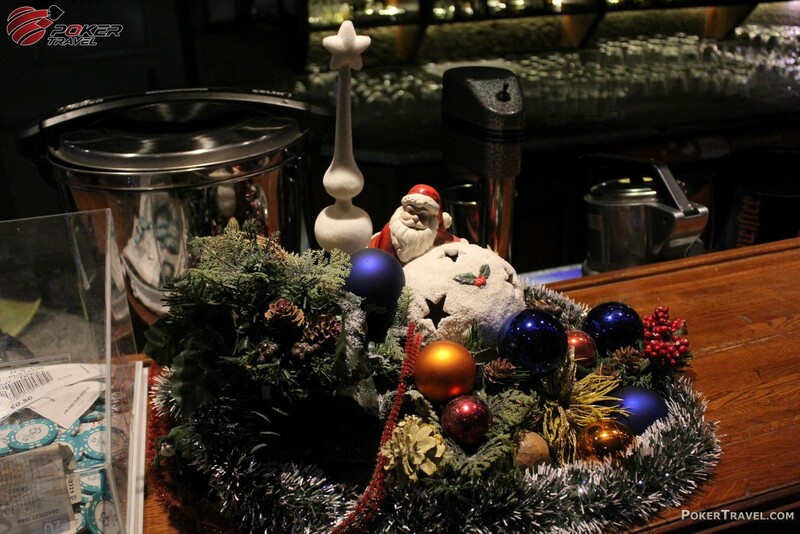 The classy Moderato restaurant is located in the St. Ivan Rilski hotel, near the Bansko Gondola Ski lift. 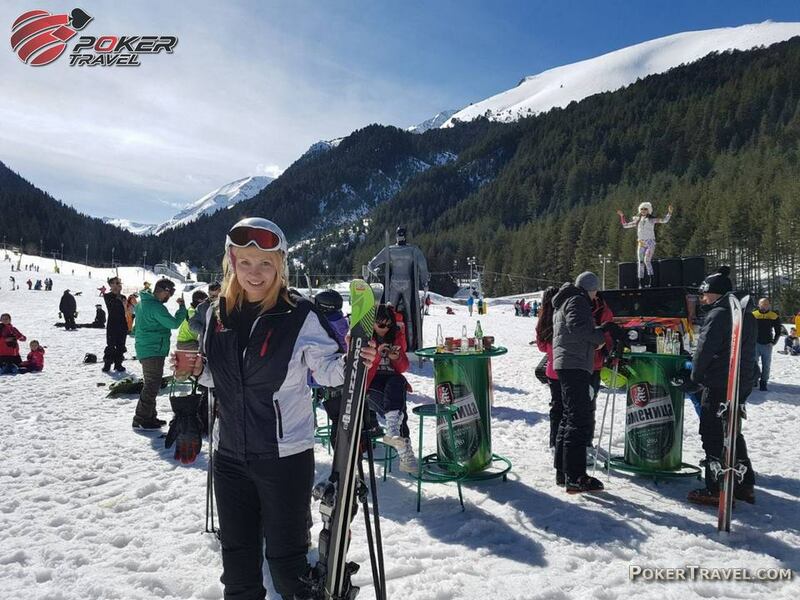 Grill and Beer Boulevard restaurant is located in the most attractive part of Pirin Street, right next to the Gondola Ski lift and is the only place in Bansko where live beer is served. 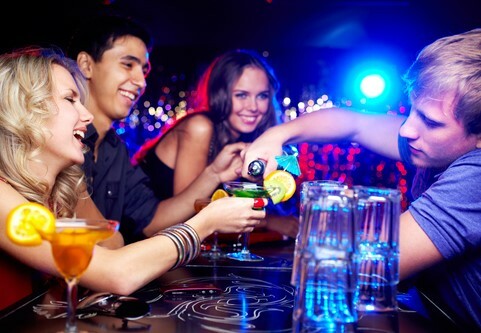 One of the places where you can have a fun night out and hear some great DJ’s is Oxygen club. 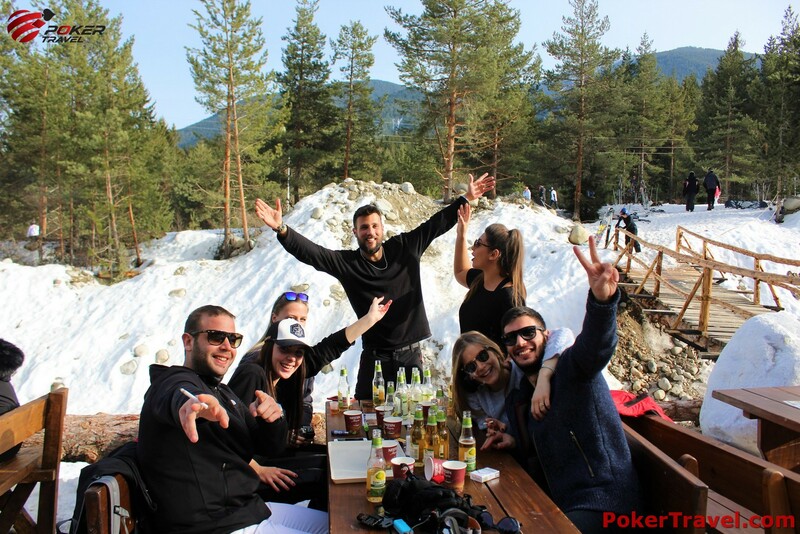 A great Night club, which you can find in Bansko, is the Jack’s house. 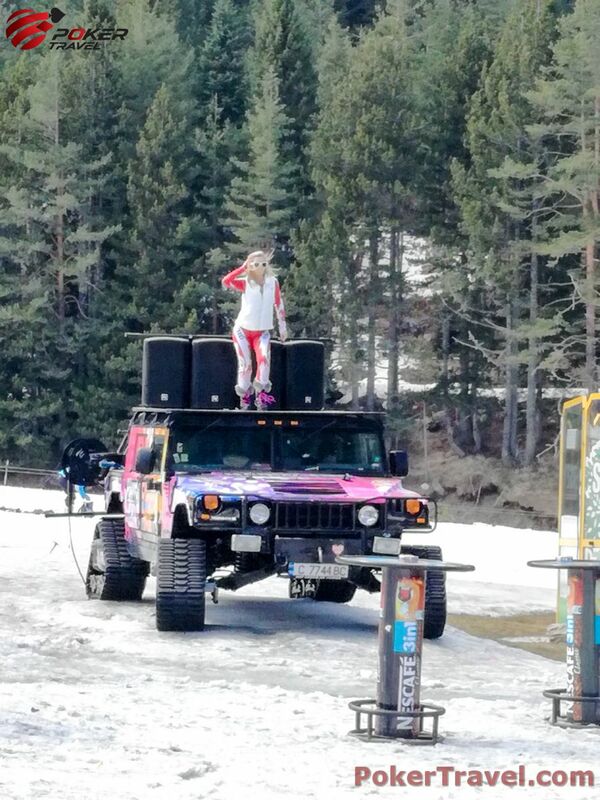 There you can listen to all kinds of good music to satisfy everyone’s taste. 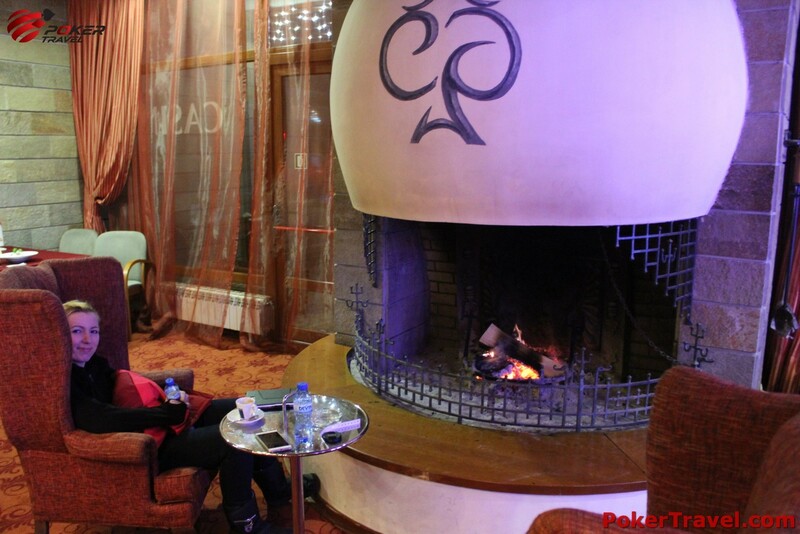 The best way to end a day in Bansko is by passing through Briliantin club for some dancing.